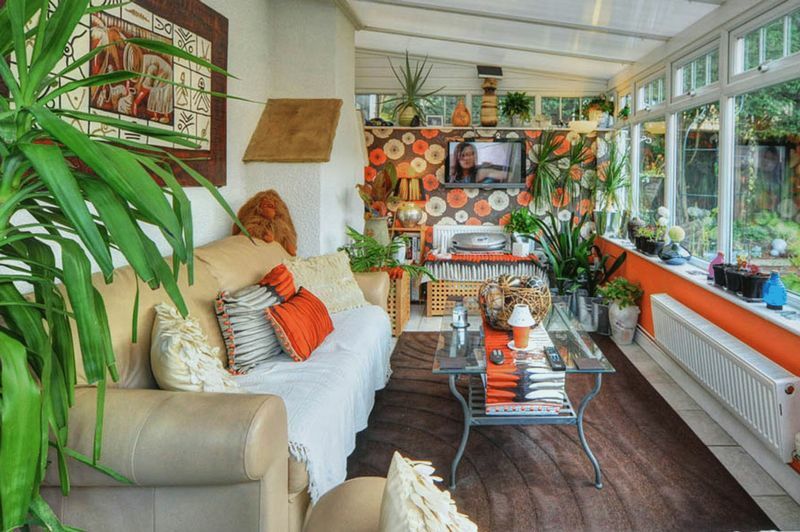 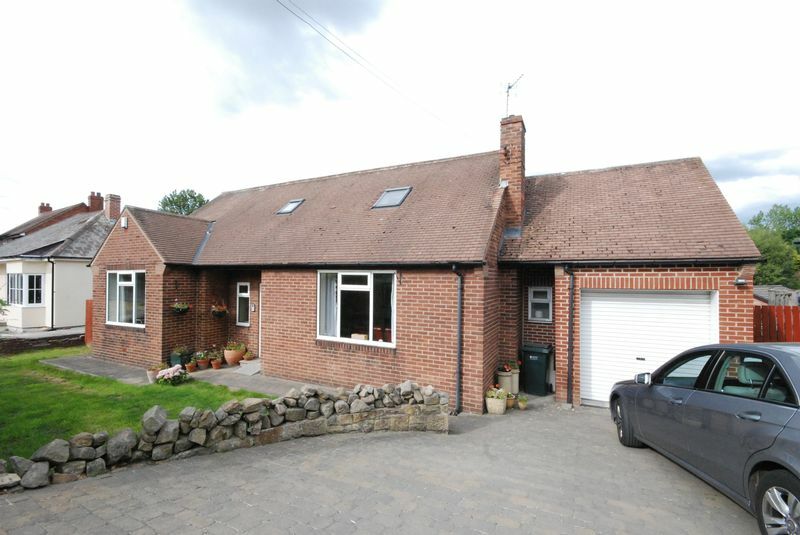 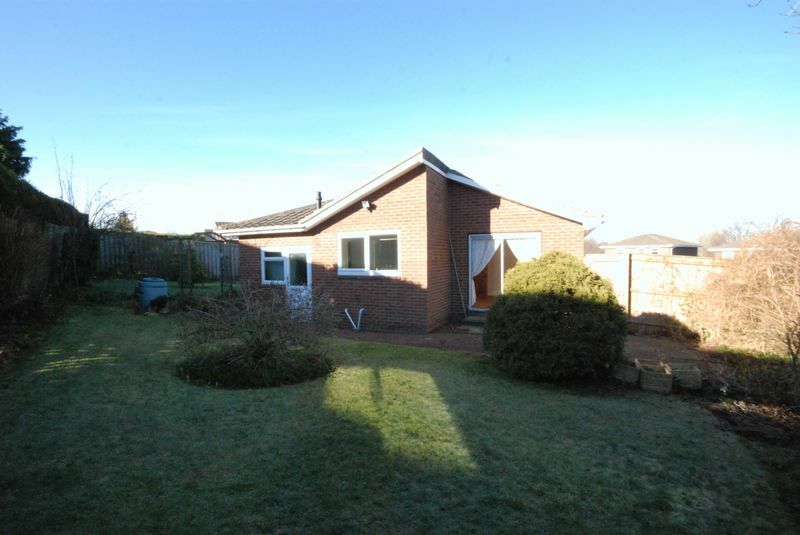 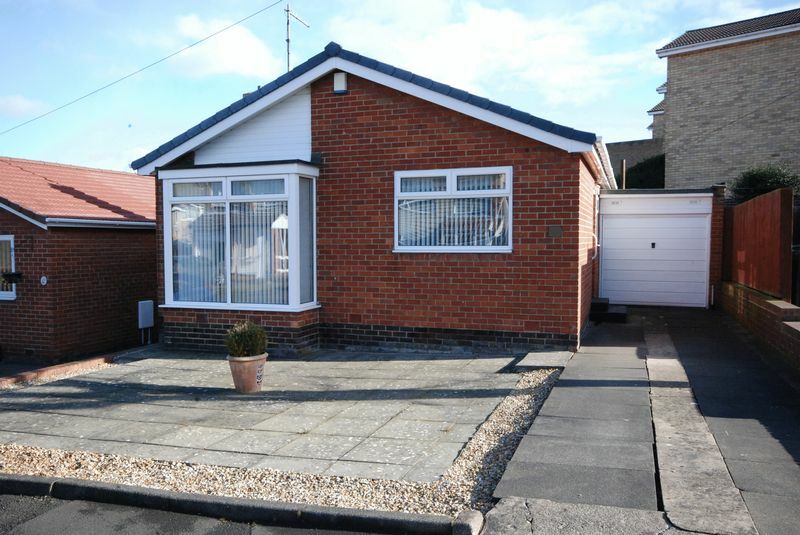 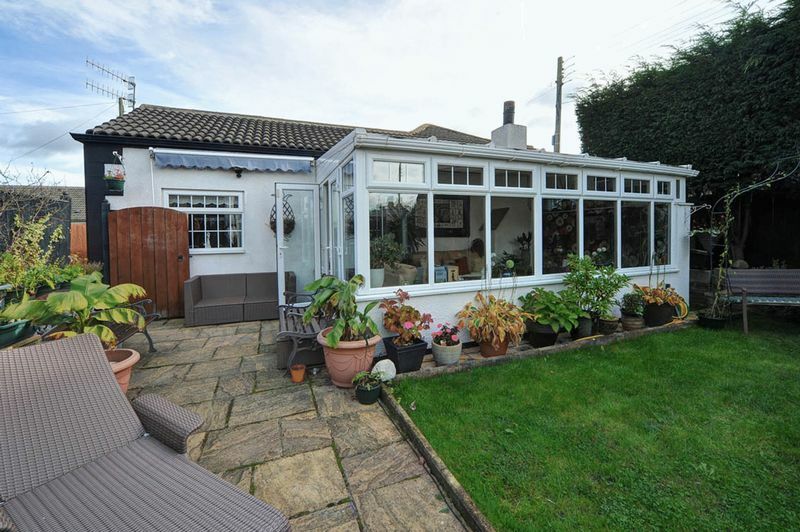 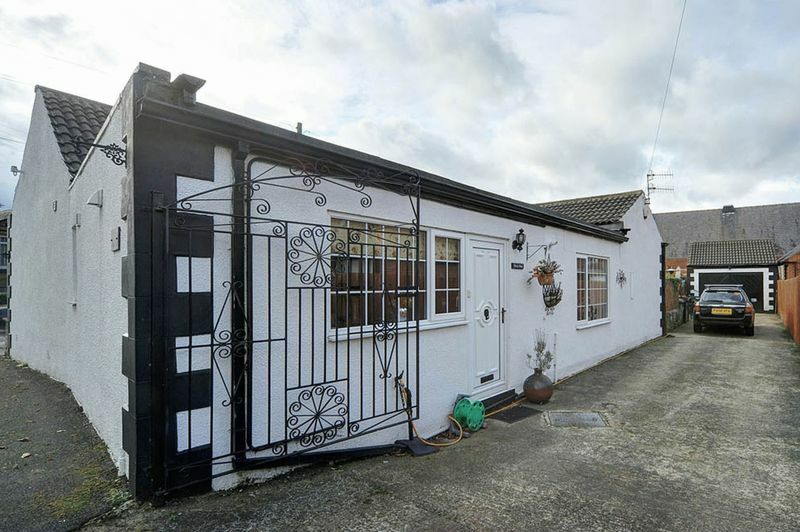 A wonderful, detached bungalow tucked away in a quiet cul-de-sac. 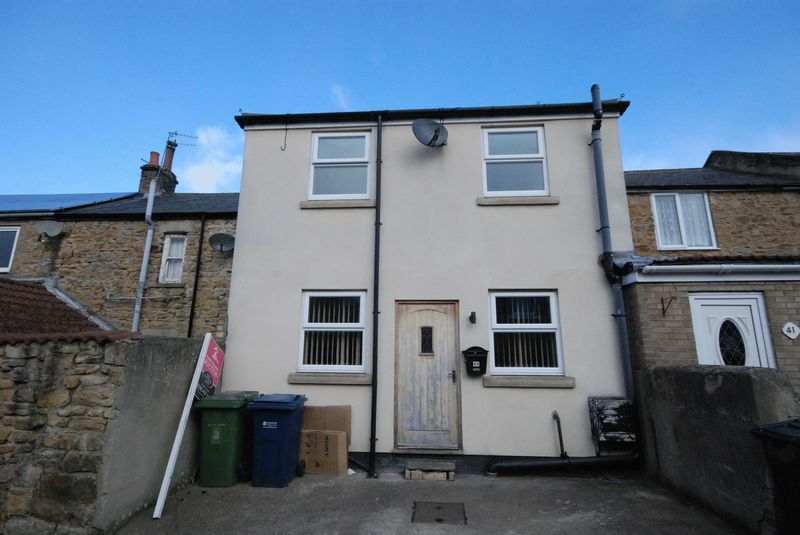 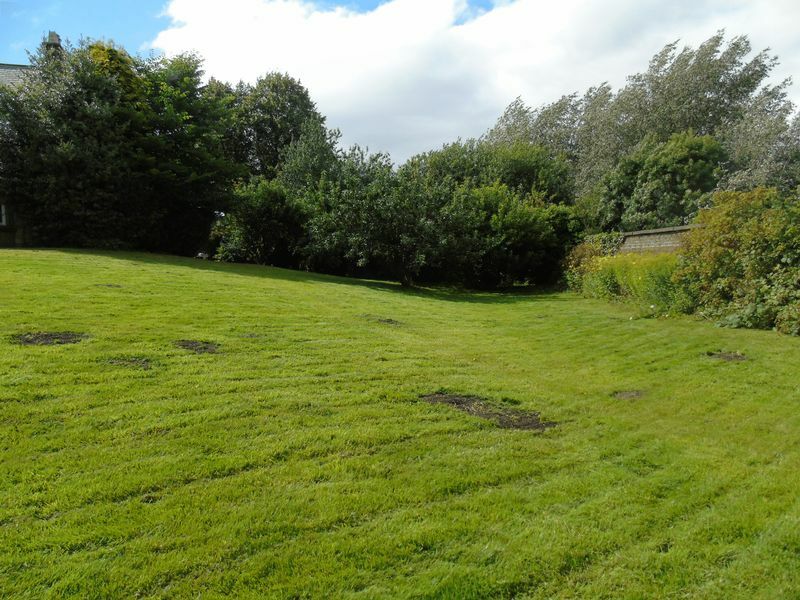 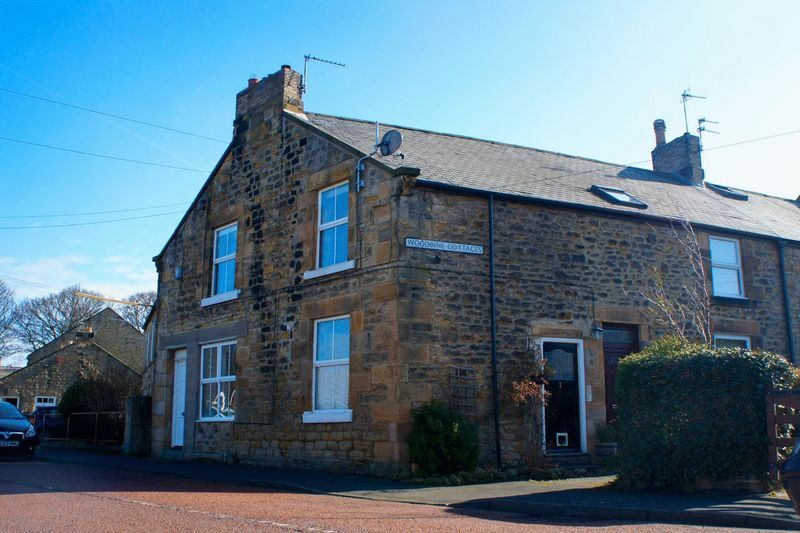 The property is conveniently placed close to local shops and amenities as well as having easy access to the A695 leading to the A1 and Newcastle City Centre. 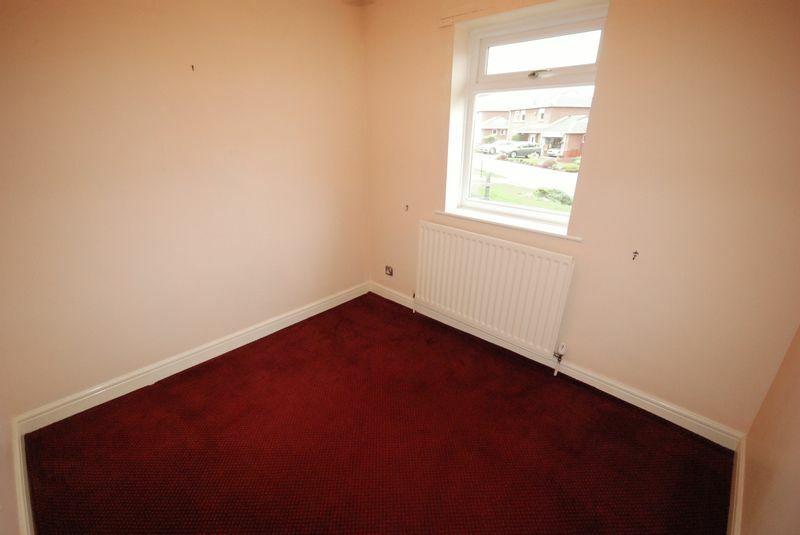 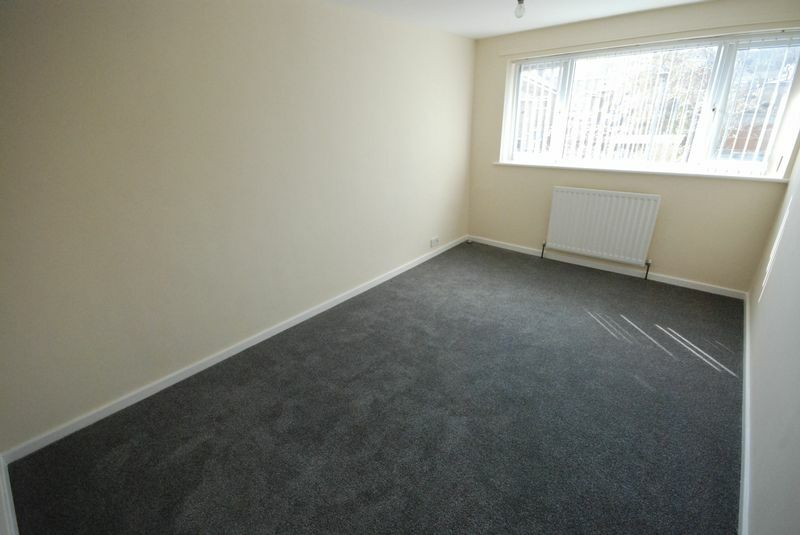 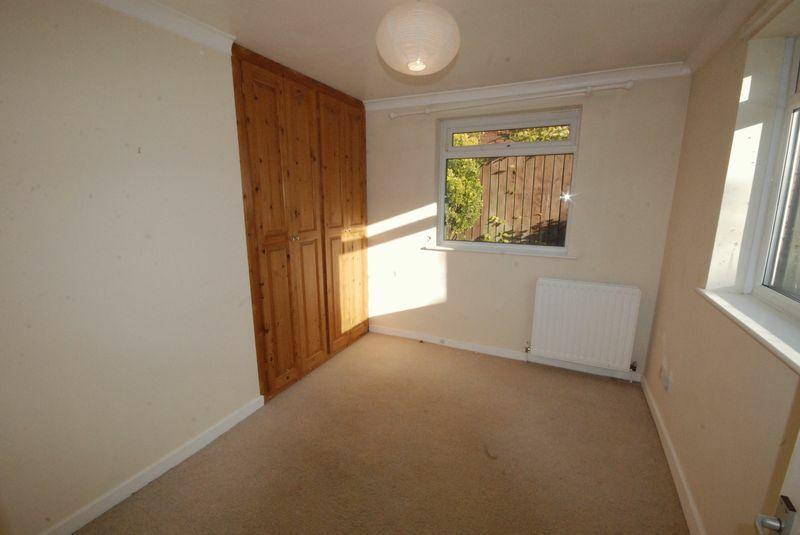 The property is available with no onward chain and briefly comprises; Entrance hall with laminate flooring and storage cupboards. 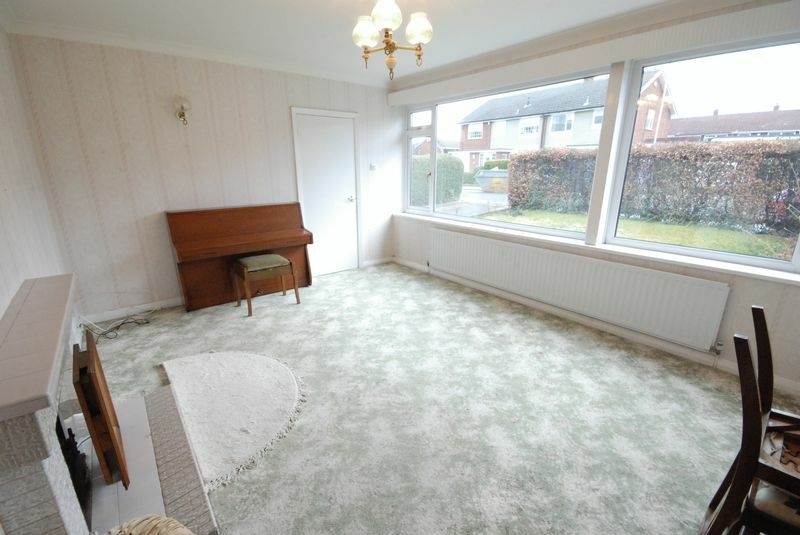 The lounge is light and bright with a dual aspect to the front and side. 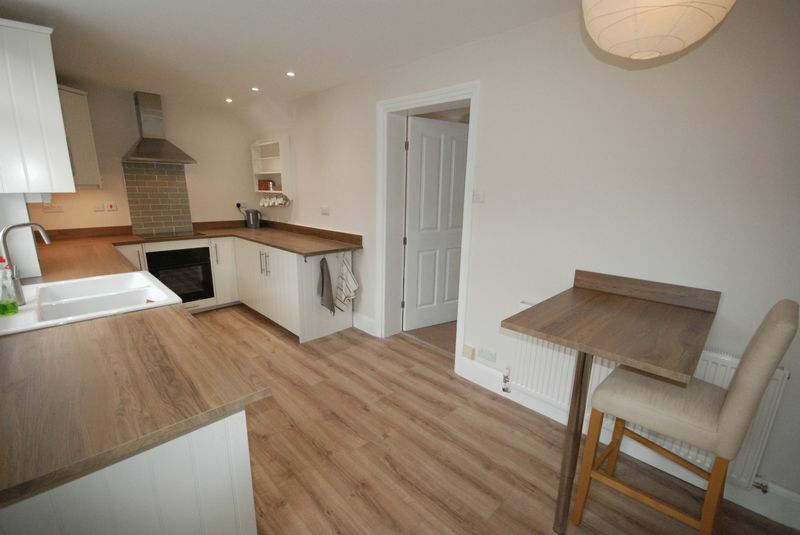 There’s also a fully fitted breakfasting kitchen with a door to the integral garage, two bedrooms, master with sliding door to the patio, and a bathroom. 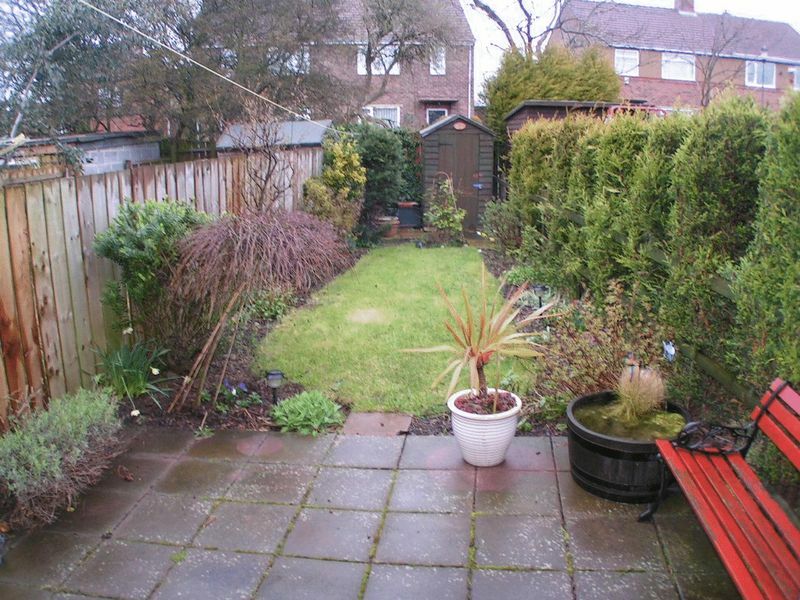 Externally, the property has beautiful, mature gardens to the front, rear and side. 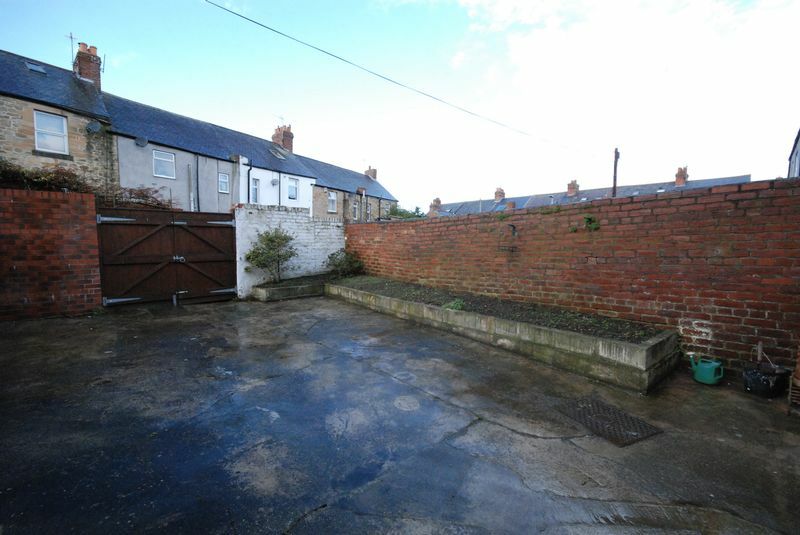 Plus there’s plenty of room for off-street parking on the long driveway. 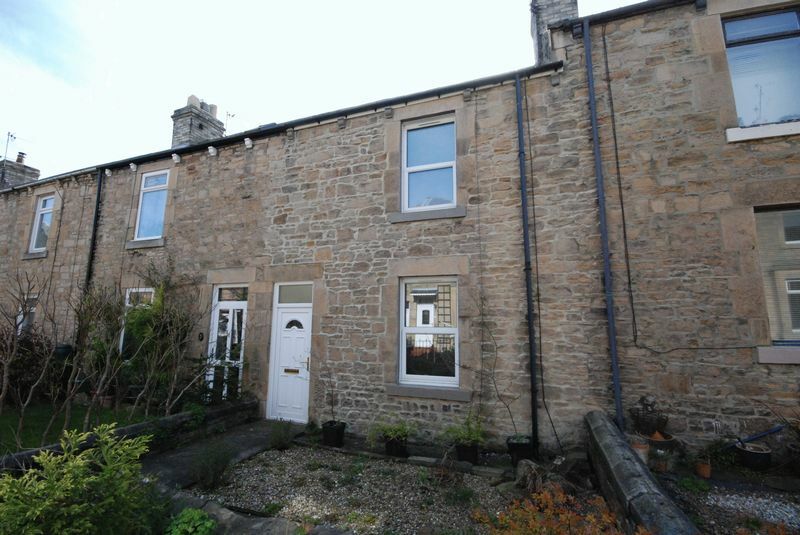 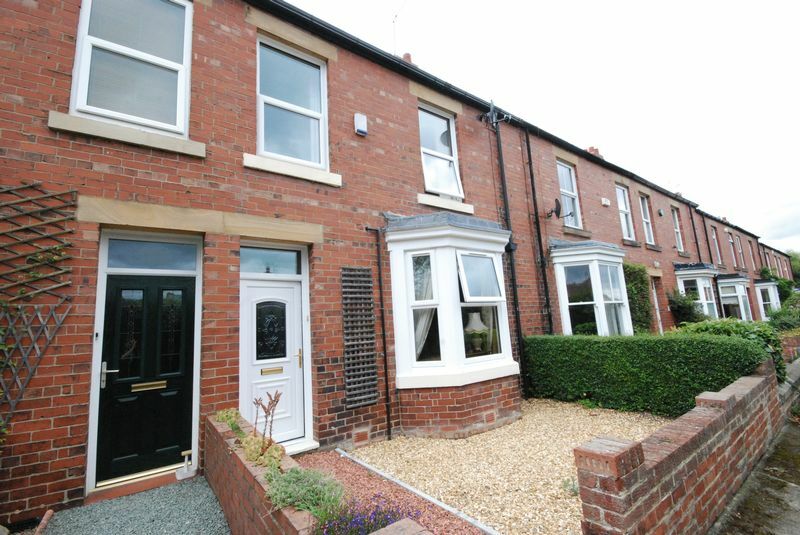 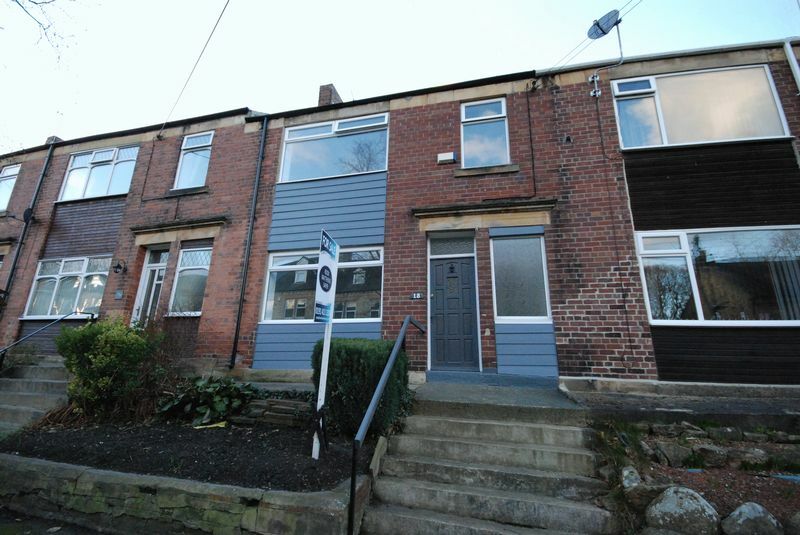 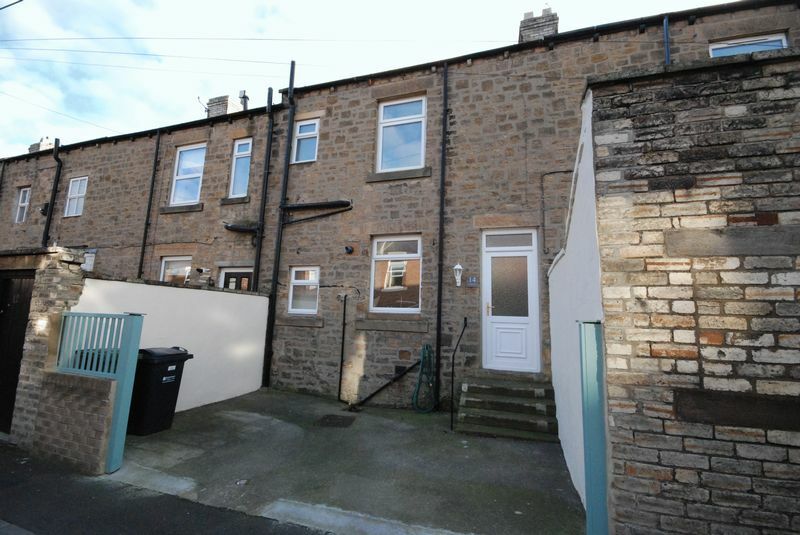 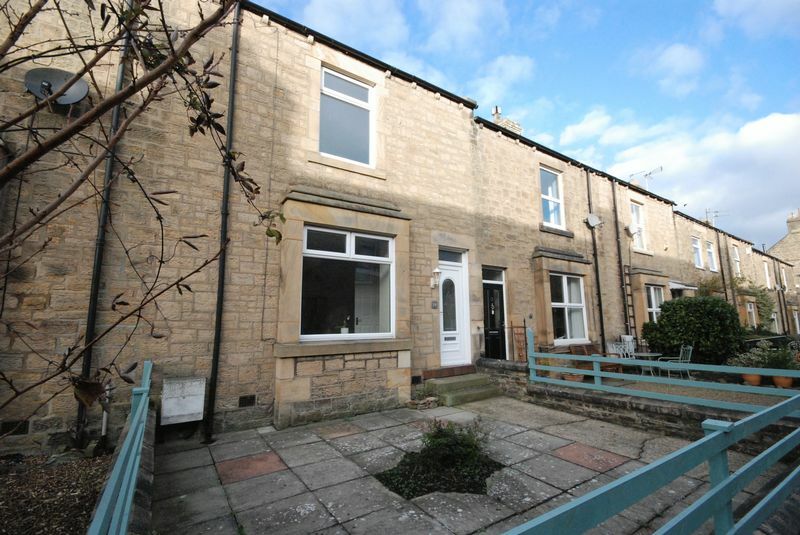 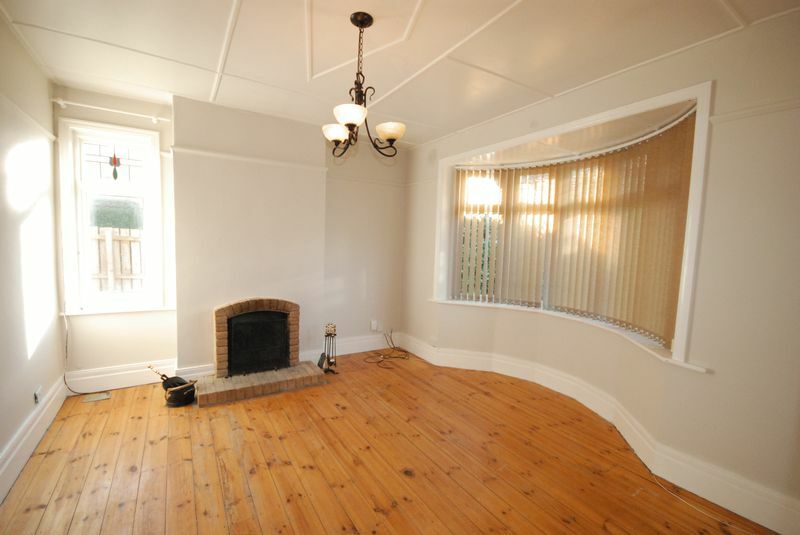 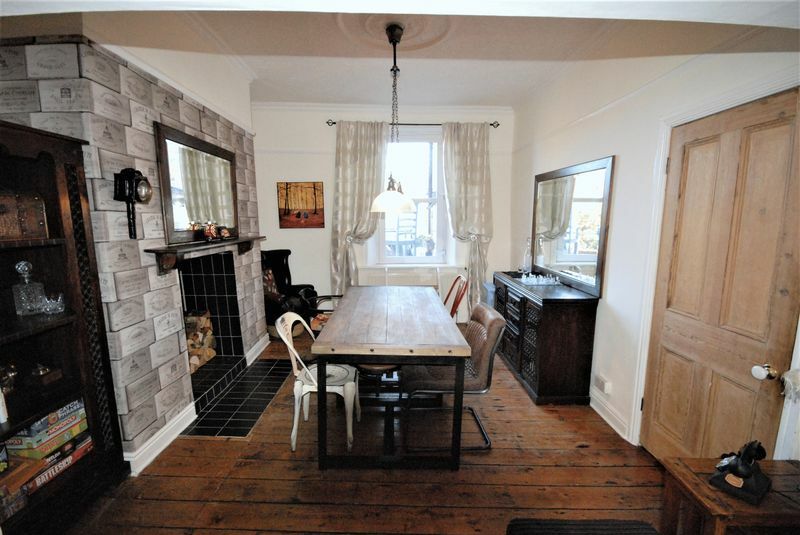 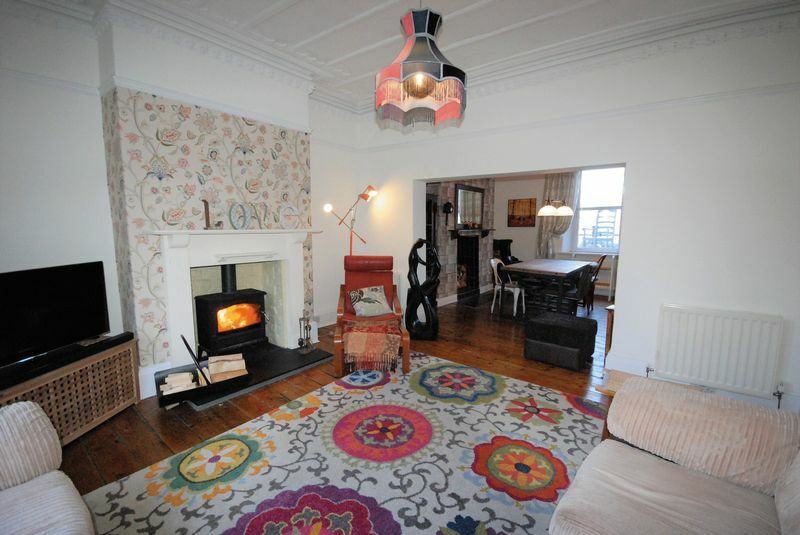 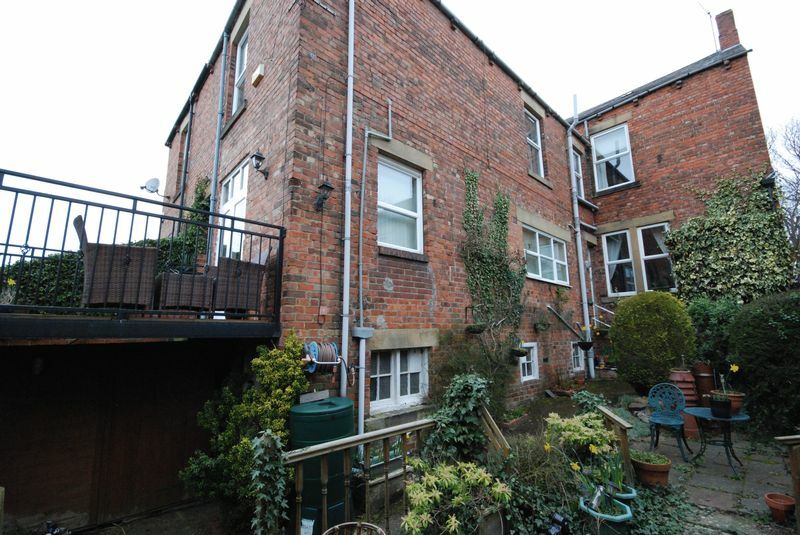 A larger style, traditional terraced house located in Greenside. 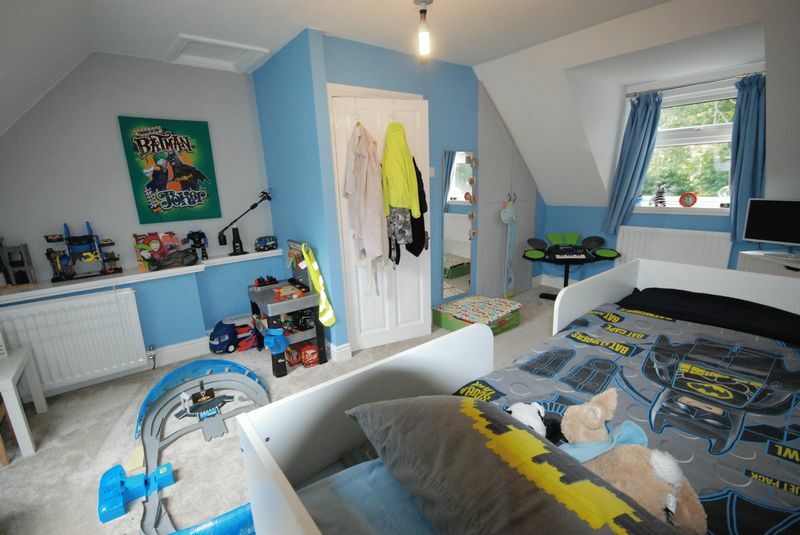 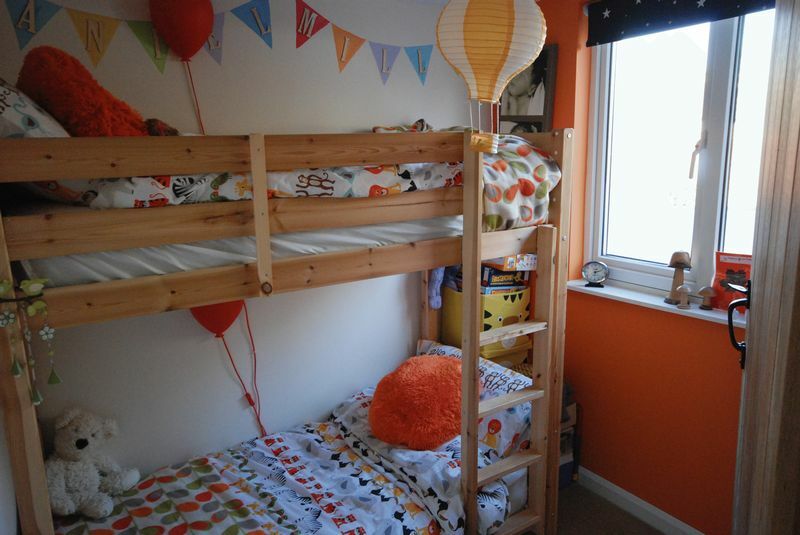 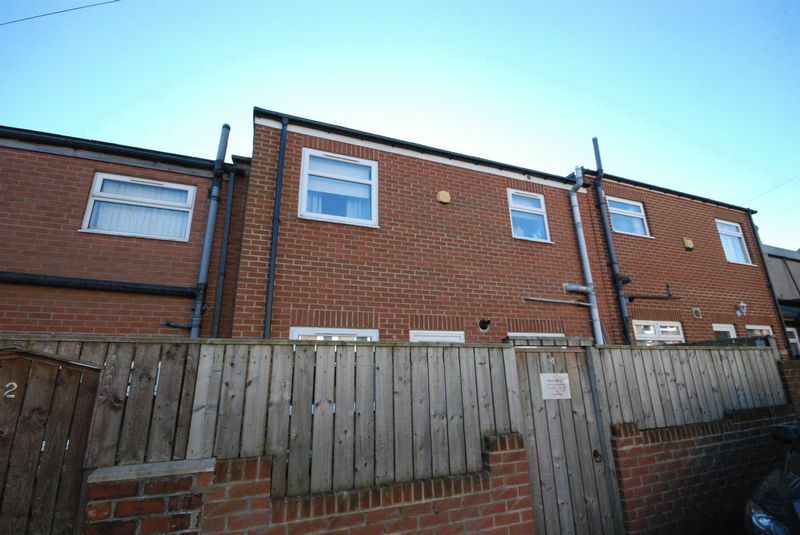 The property has had a two storey extension to provide additional space for a growing family. 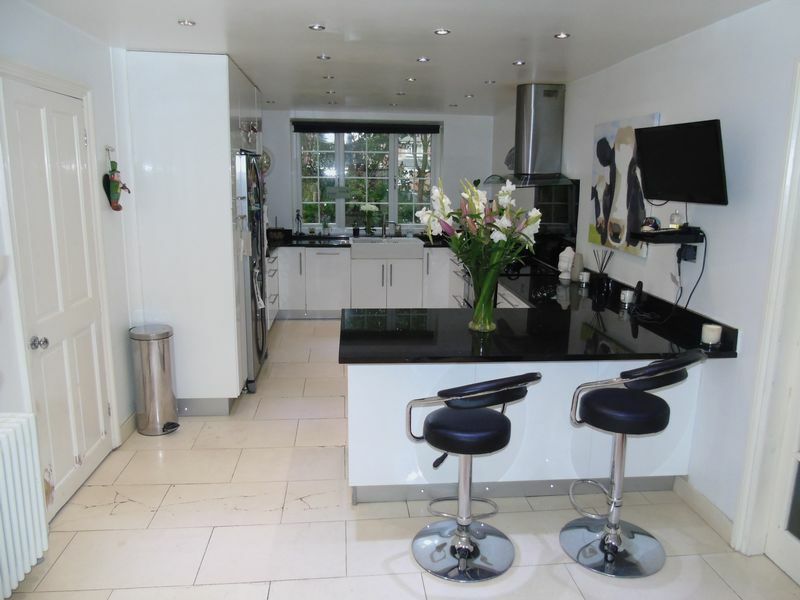 The accommodation briefly comprises; Entrance hall, lounge and a modern kitchen/diner. 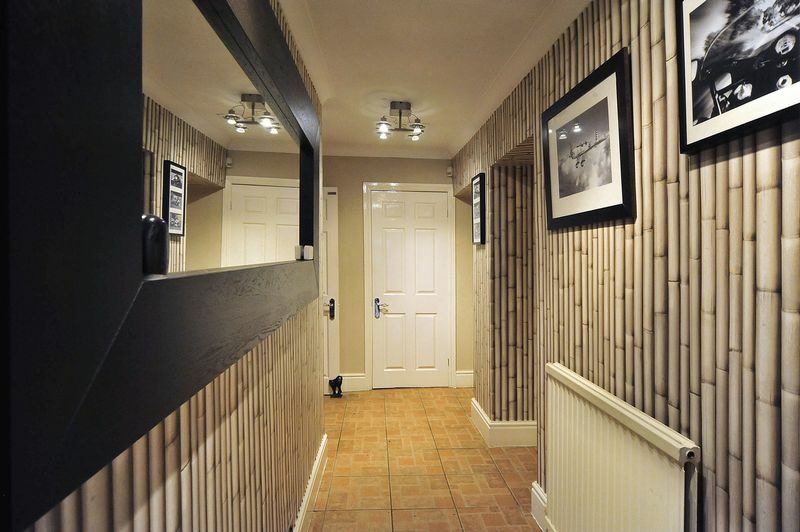 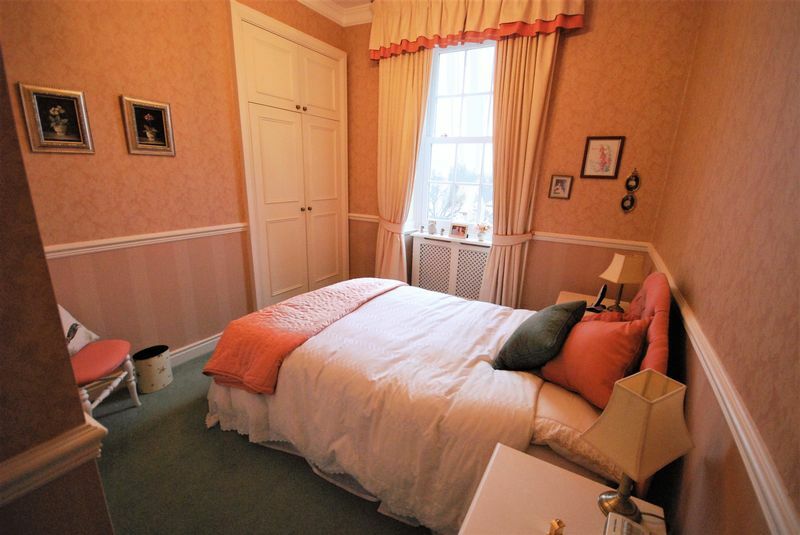 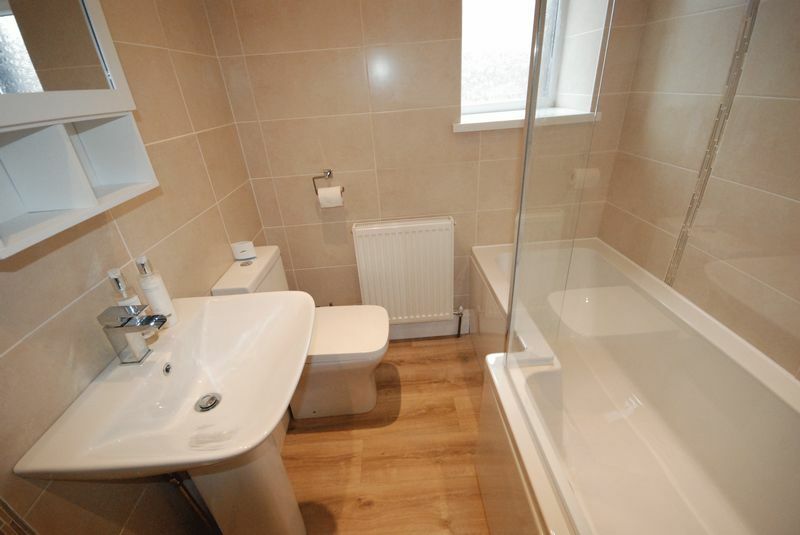 Three double bedrooms can be found on the first floor alongside the family bathroom. 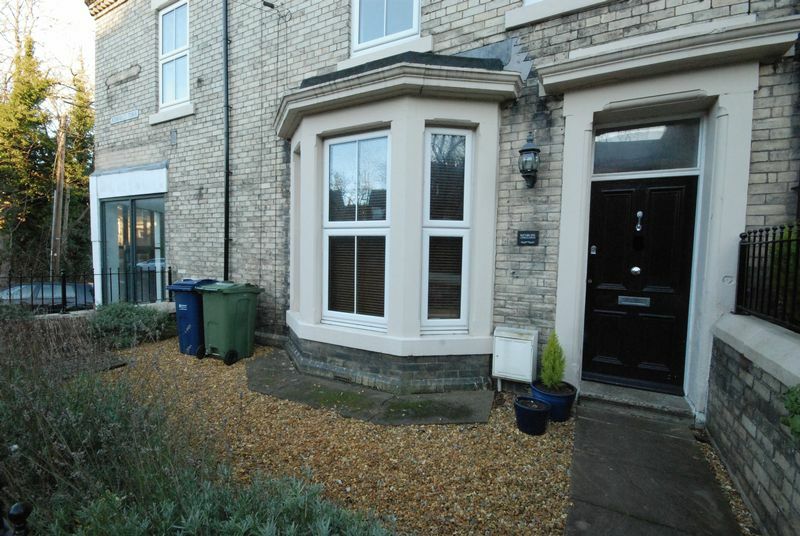 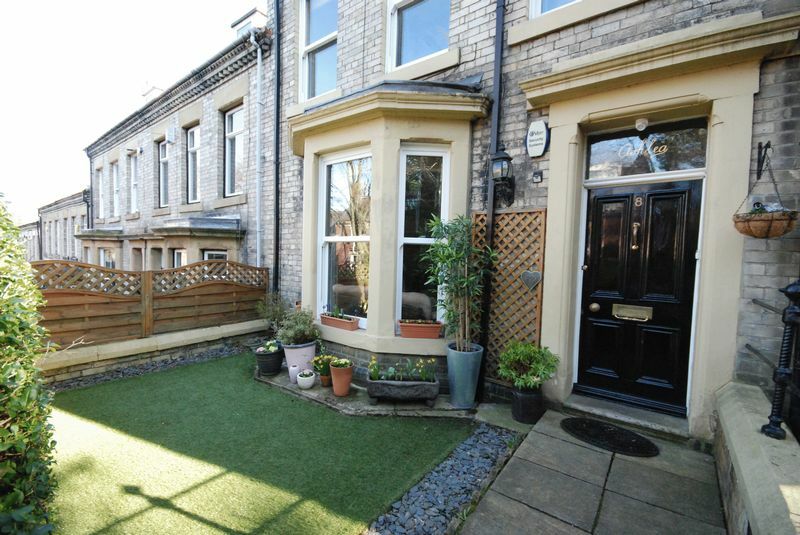 Externally, the front garden is lawned and is accessed via the pedestrianised street. 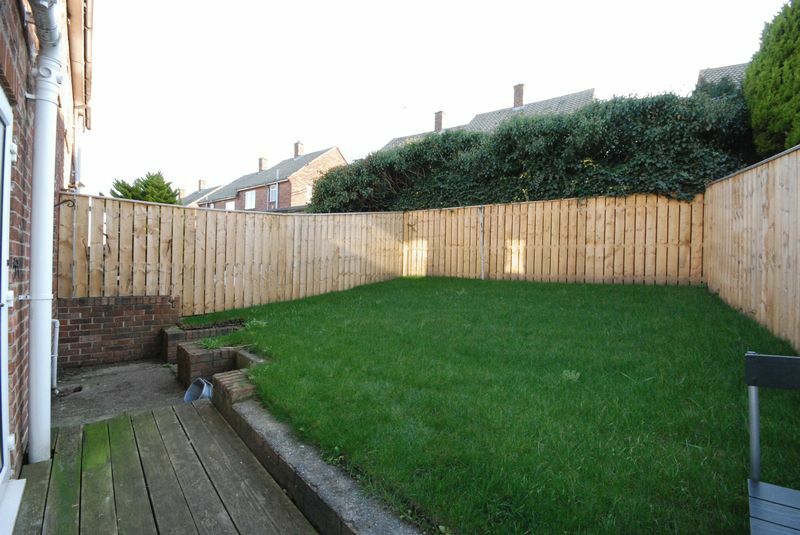 There’s a yard to the rear of the property with gated access. 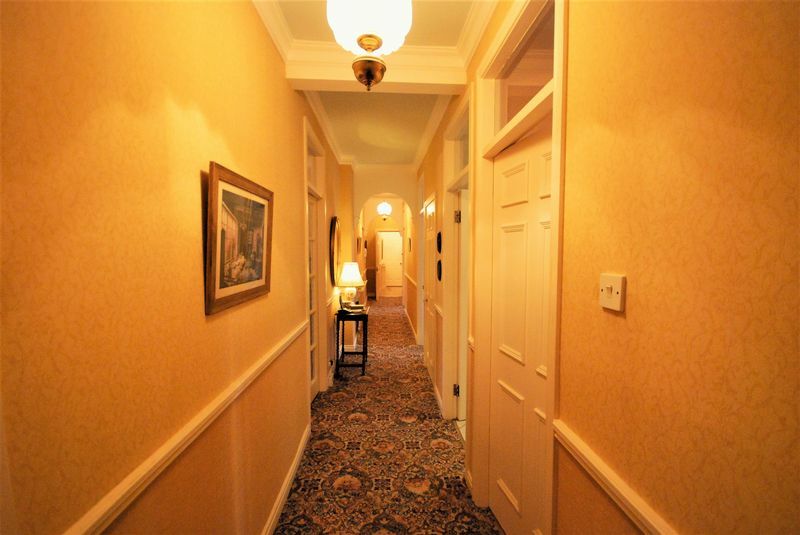 For Sale by Auction, 27th March 2019, Grand Hotel (formerley The Marriott) Gosforth Park, Option 2, terms and conditions apply. 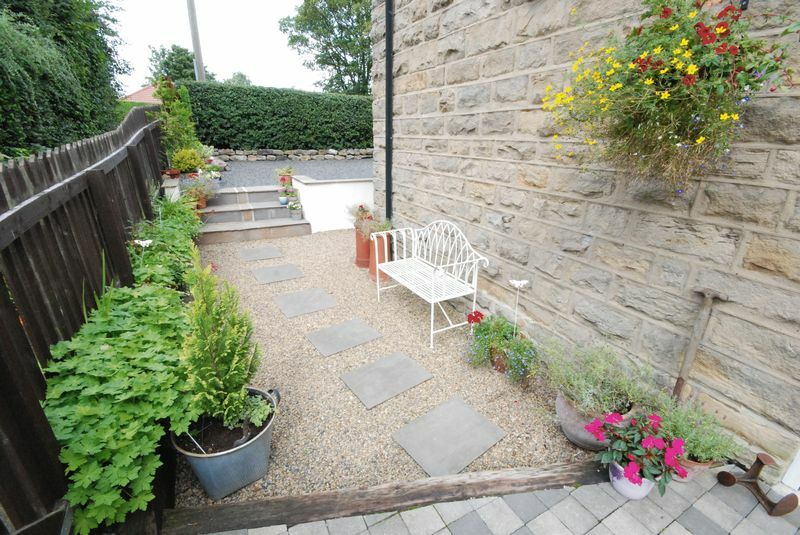 An extended property that is bursting with character and charm. 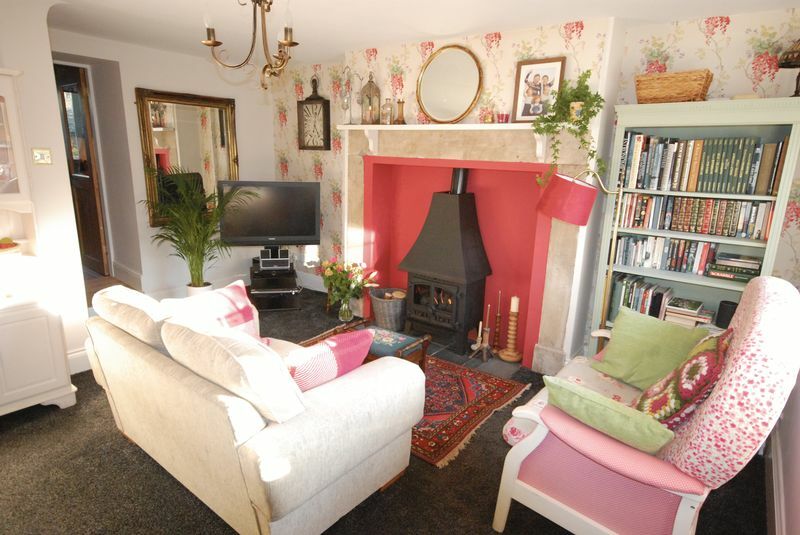 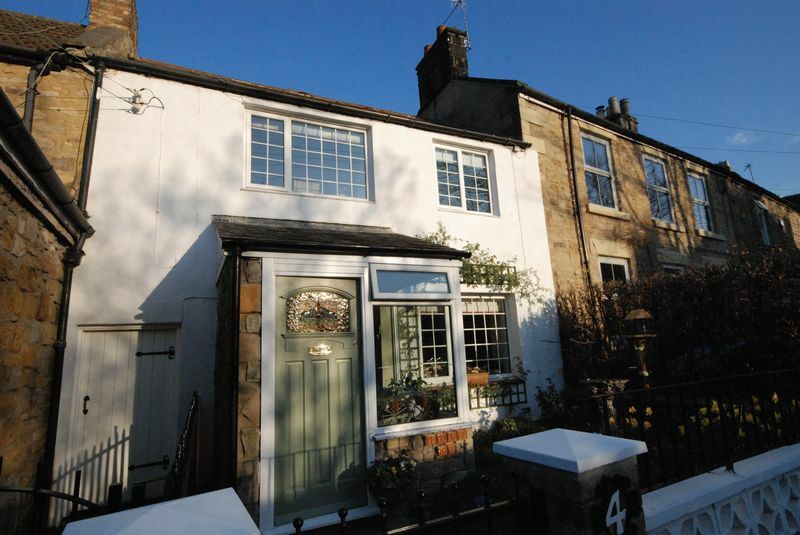 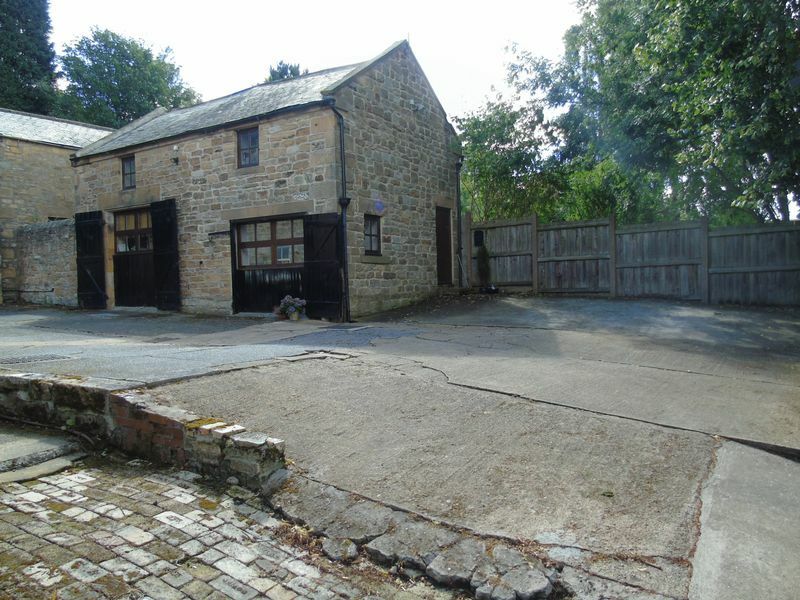 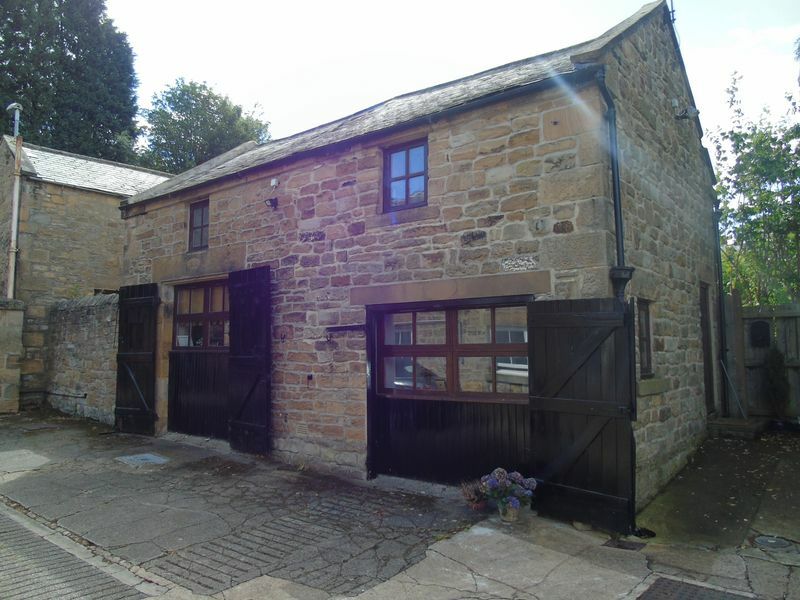 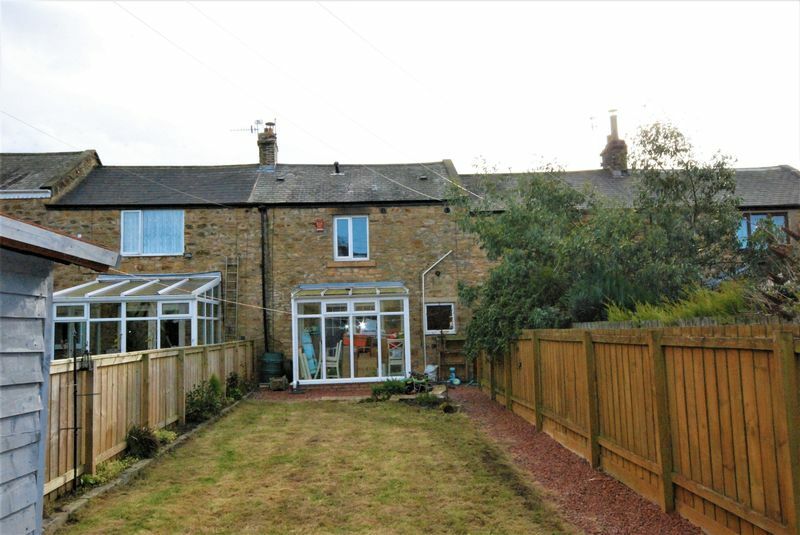 This quaint, cottage style house is located in the small village of Stargate, which is within a close proximity to Ryton as well as having easy access to the A695 leading to Blaydon, Newcastle City Centre and the A1. 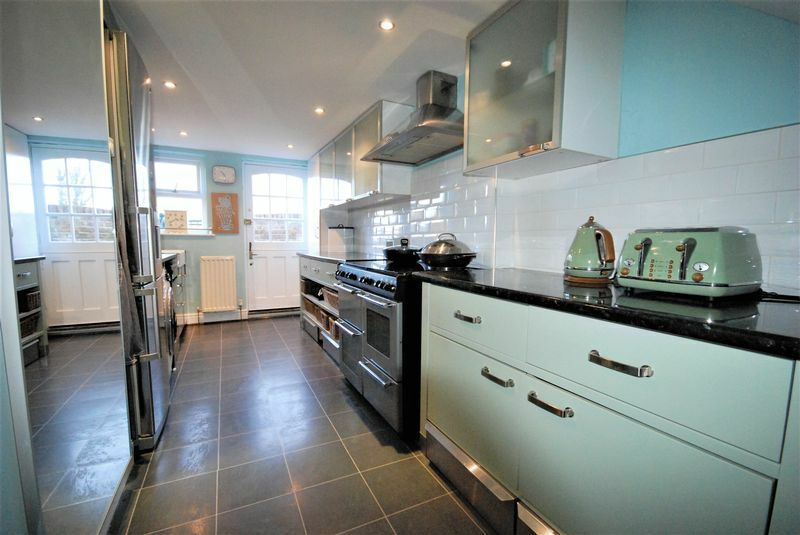 The property is offered to the market with no onward chain and the accommodation briefly comprises; Entrance from the rear into a generous kitchen/diner. 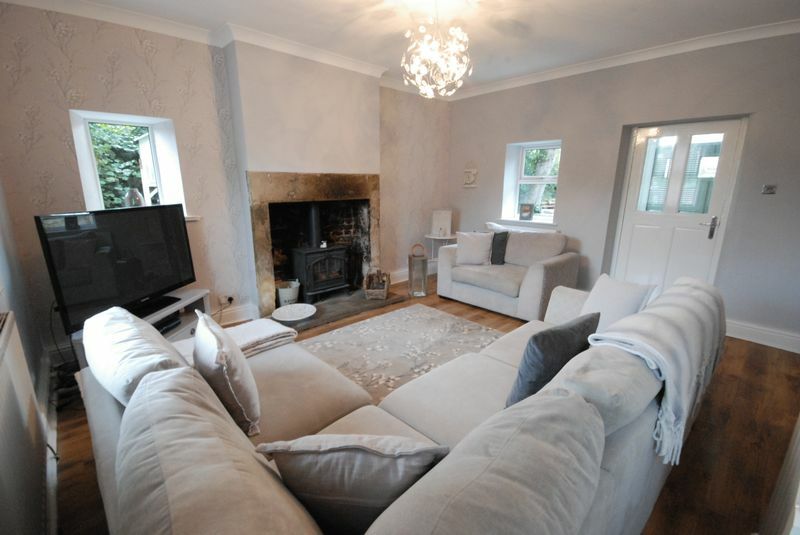 The lounge has stunning features such as an inglenook fireplace with multi fuel stove, an exposed stone wall going upstairs and French doors to the conservatory. 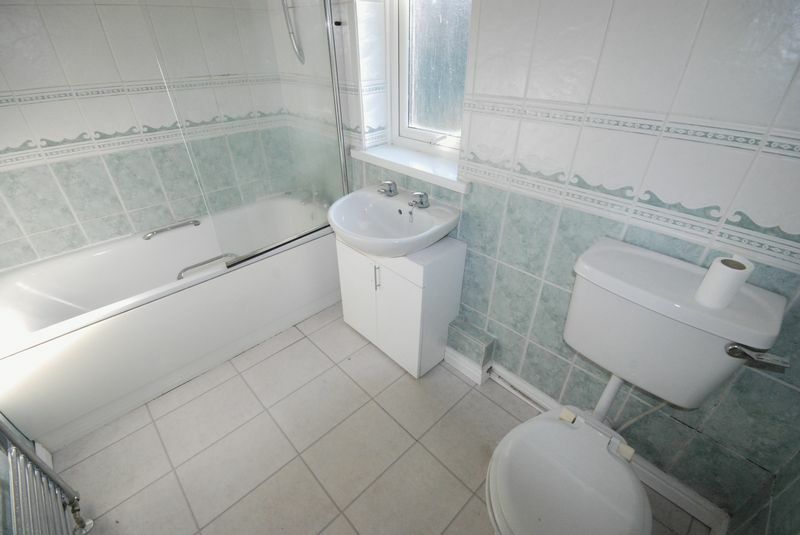 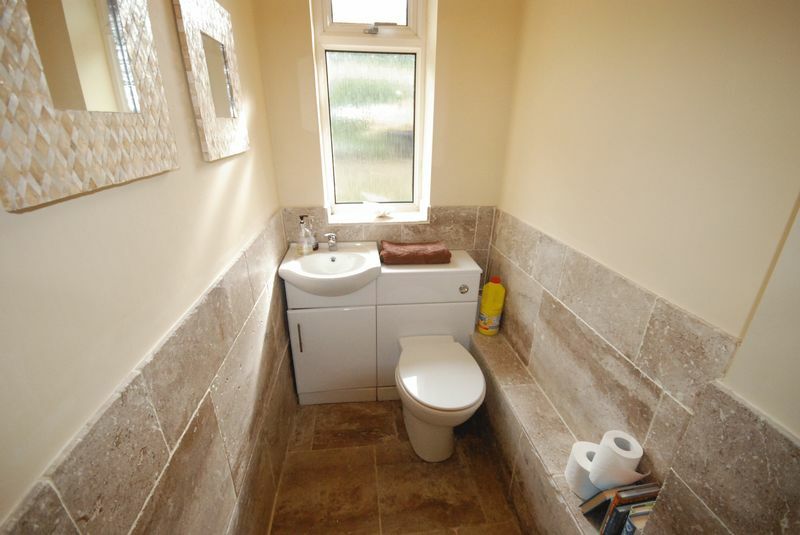 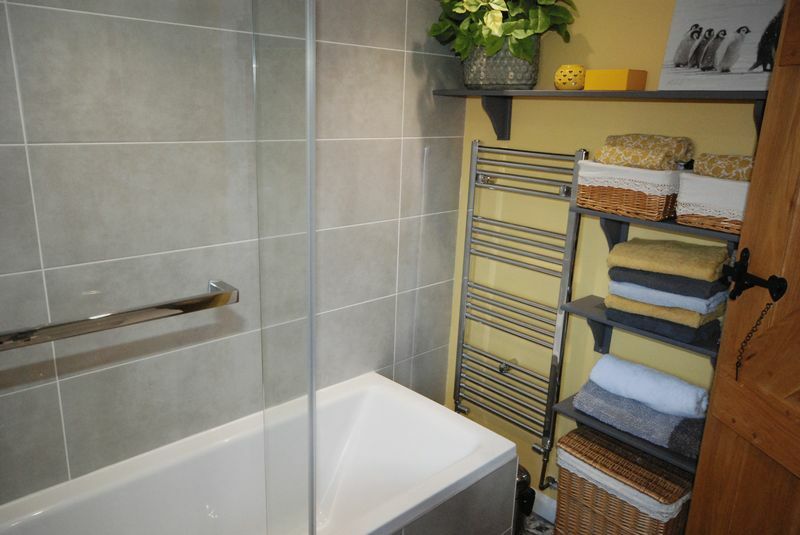 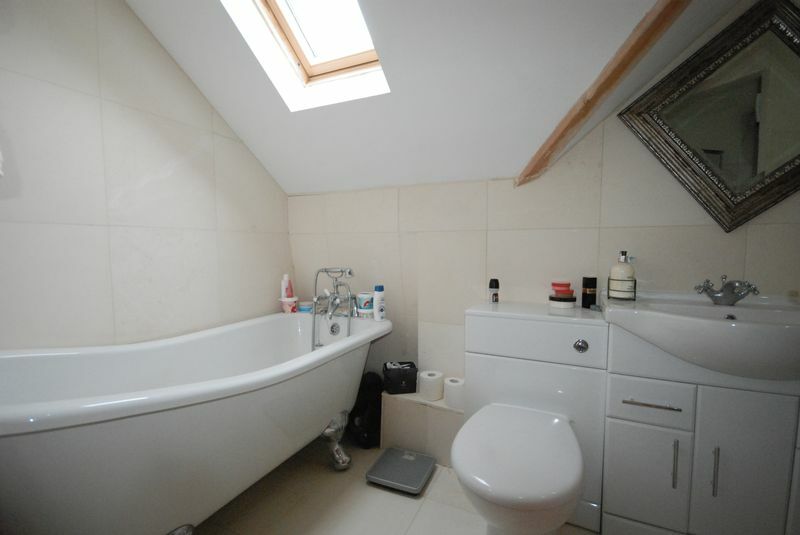 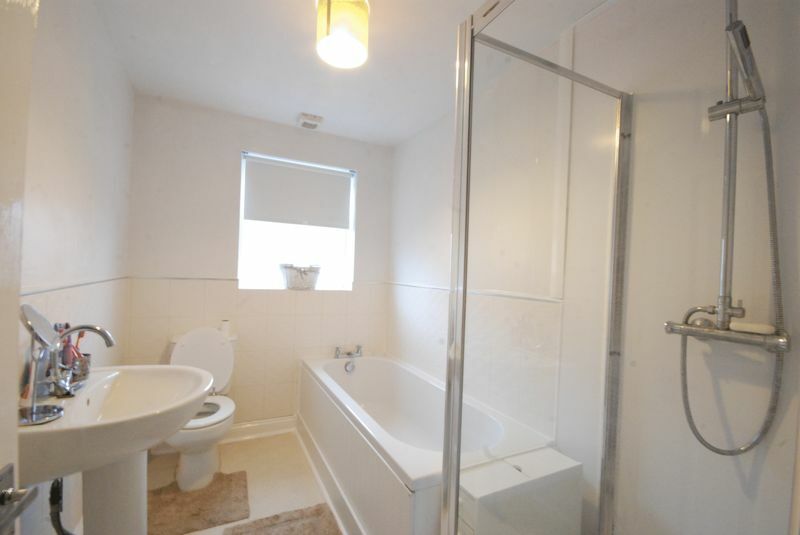 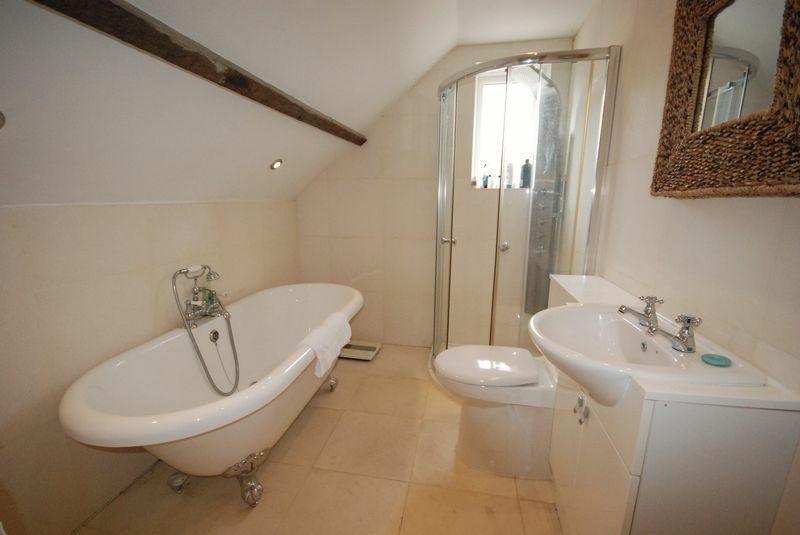 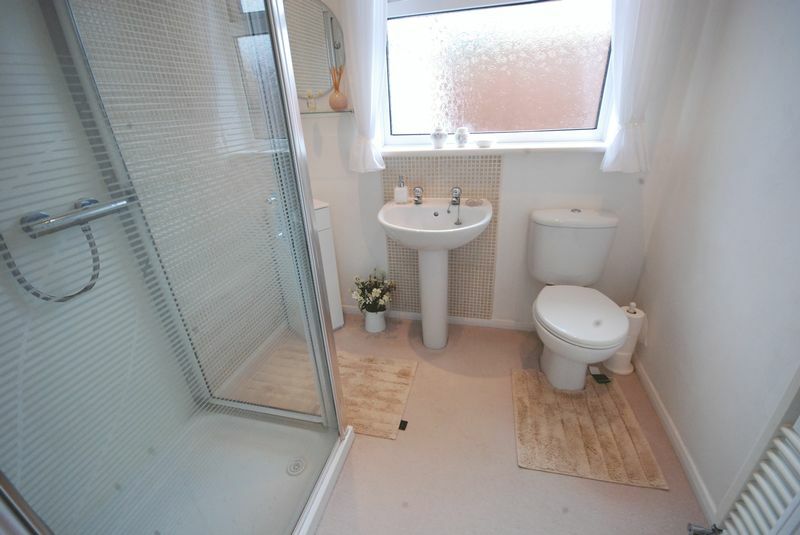 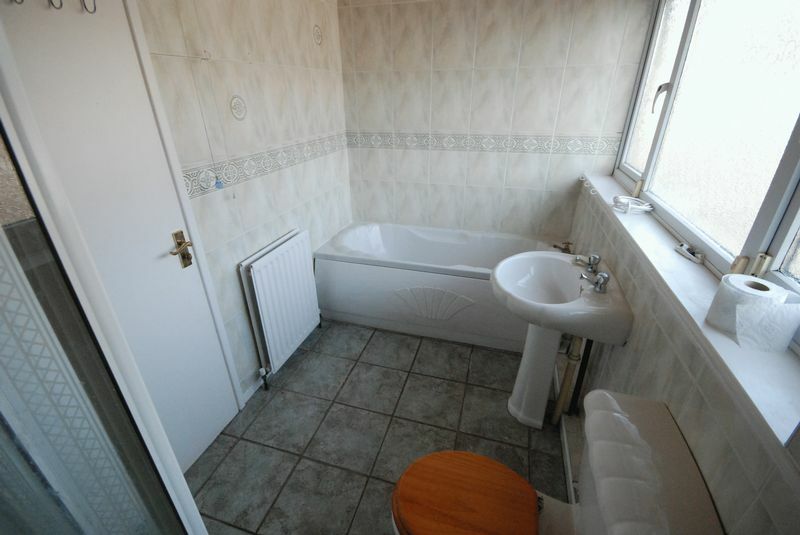 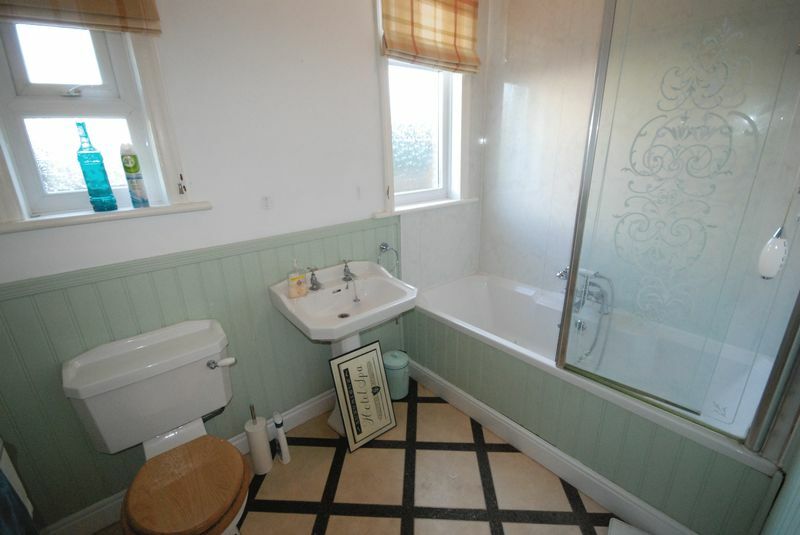 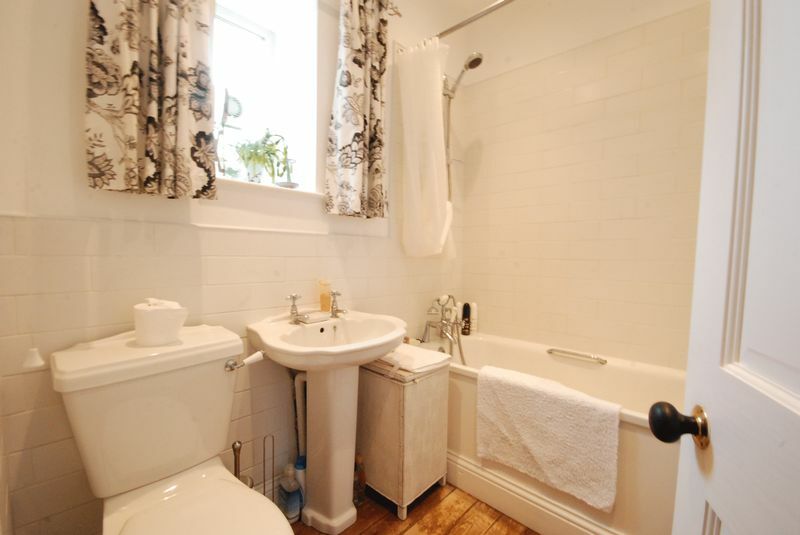 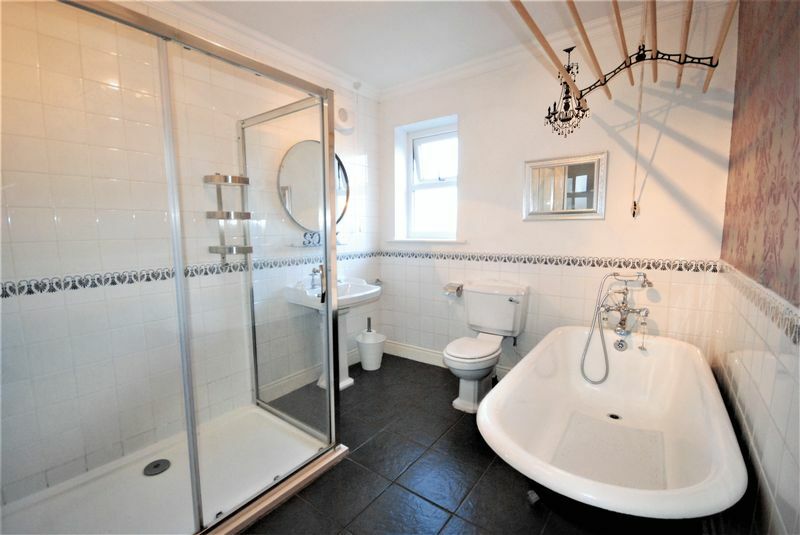 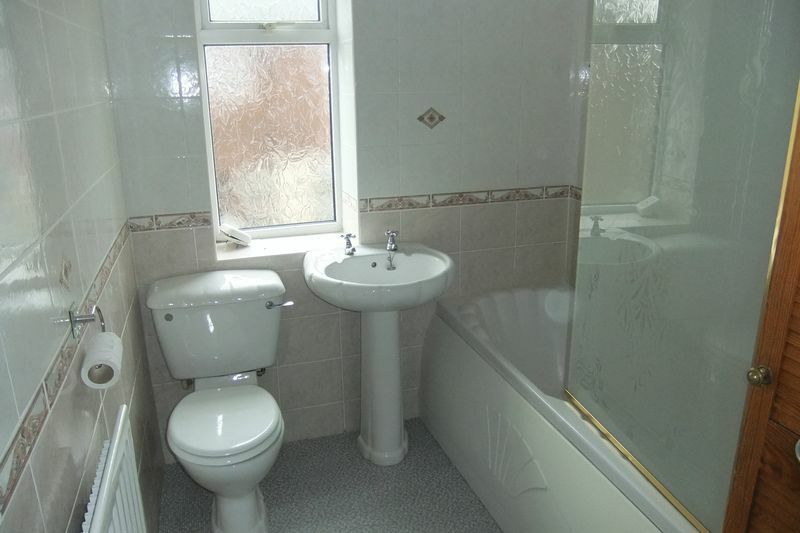 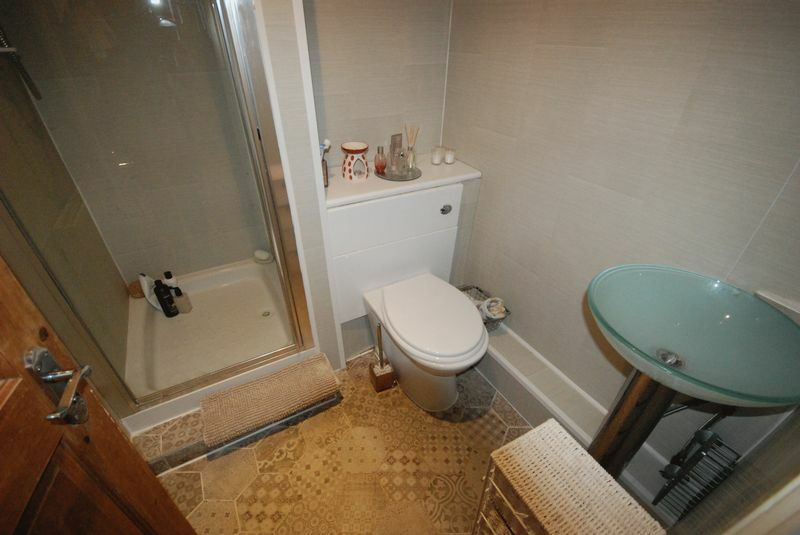 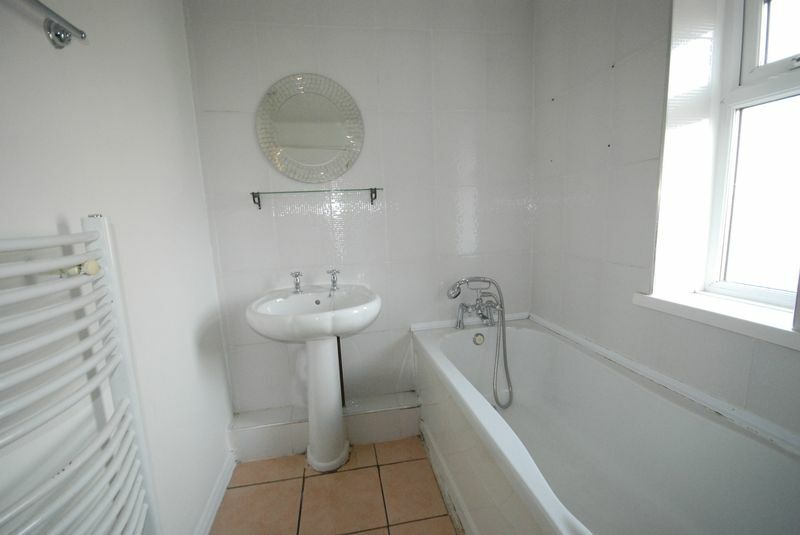 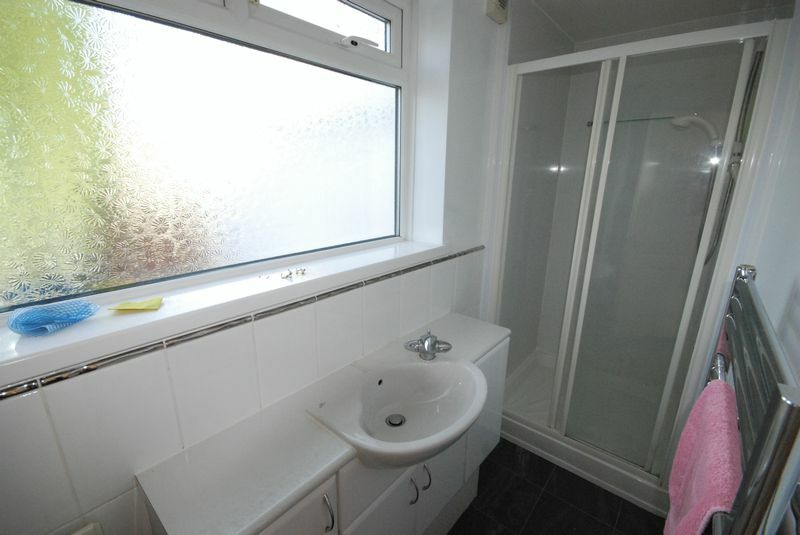 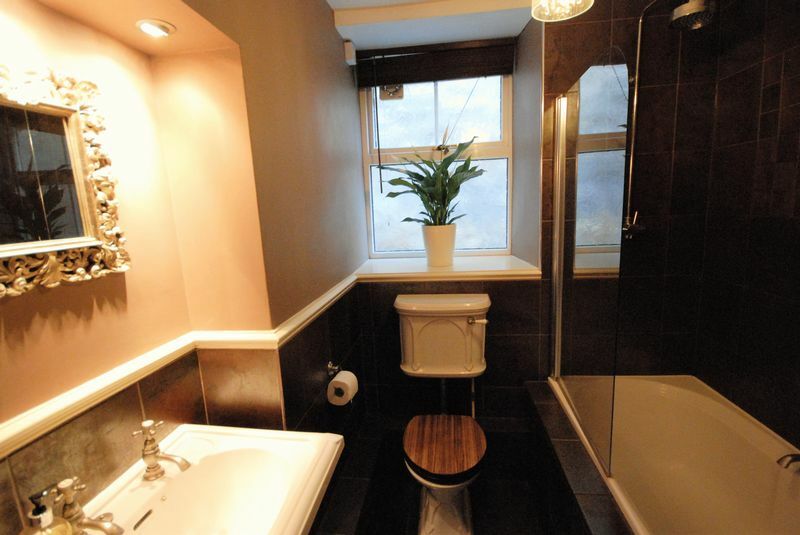 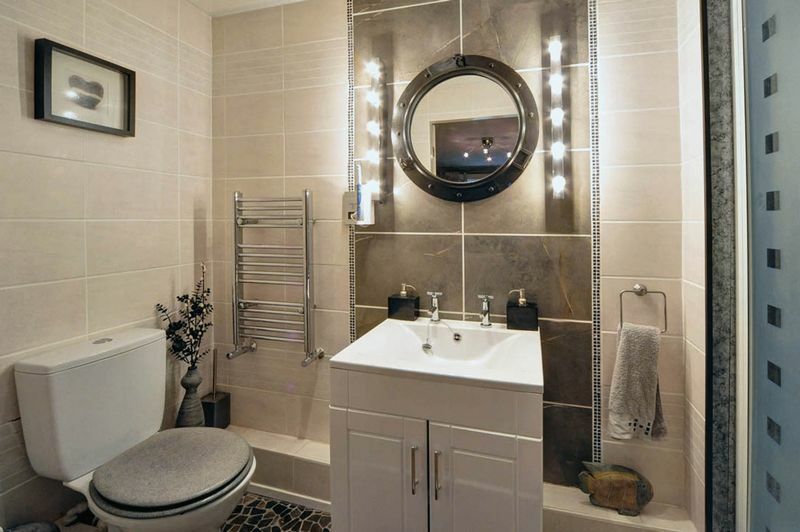 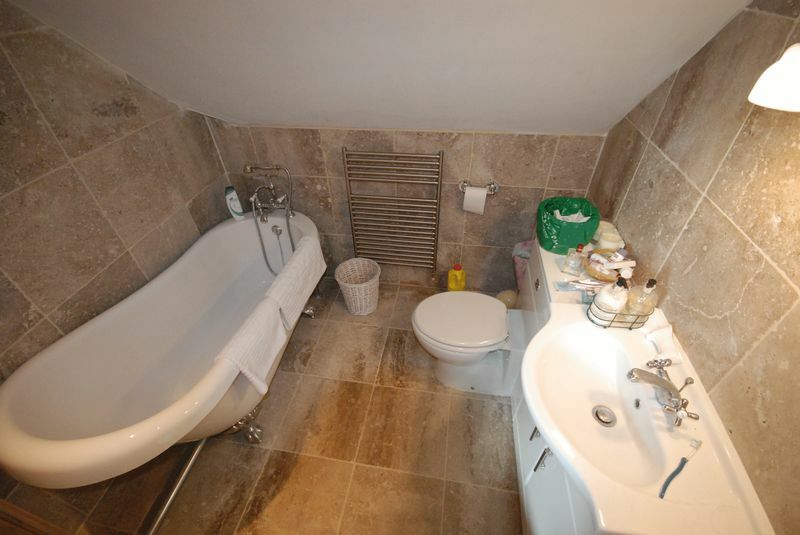 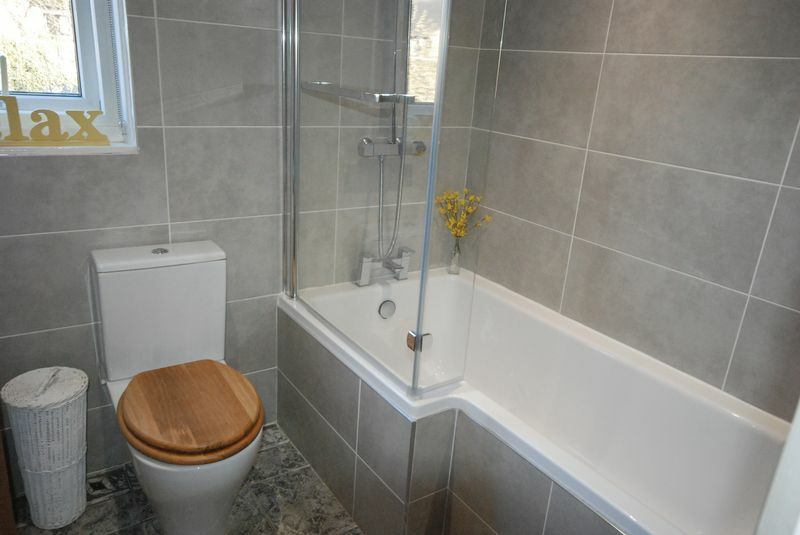 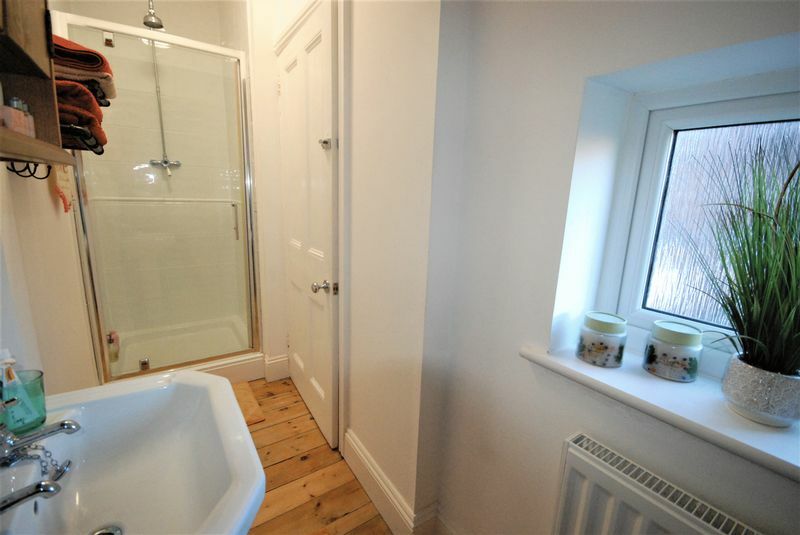 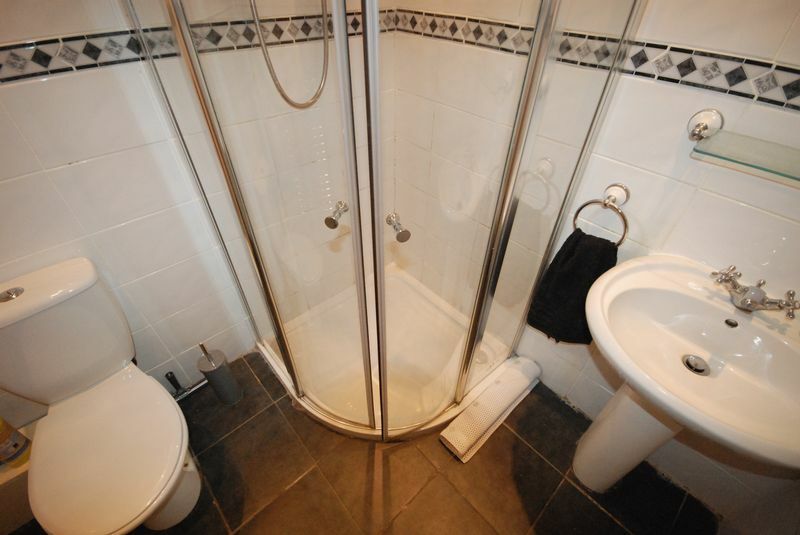 Three bedrooms and a stylish family bathroom can be found on the first floor. 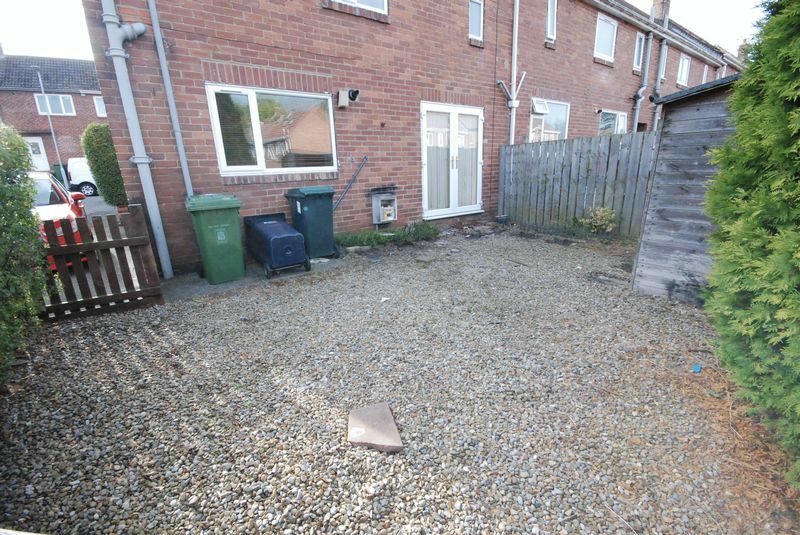 Externally, the rear of the property is paved to provide off street parking. 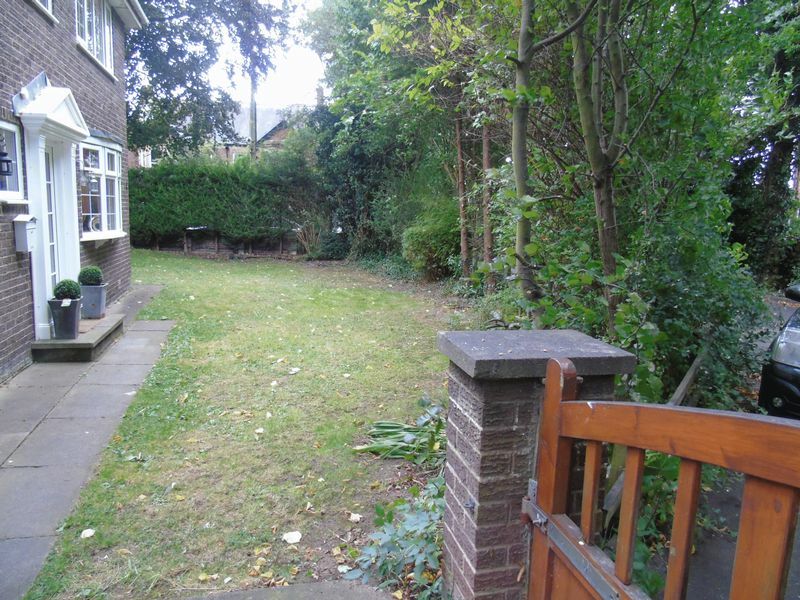 The long front garden is mainly lawned with fenced boundaries and a gravelled patio area. 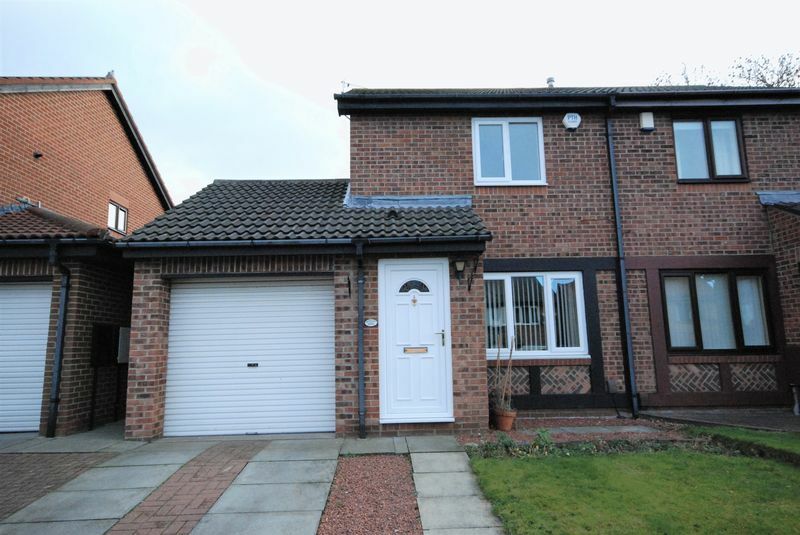 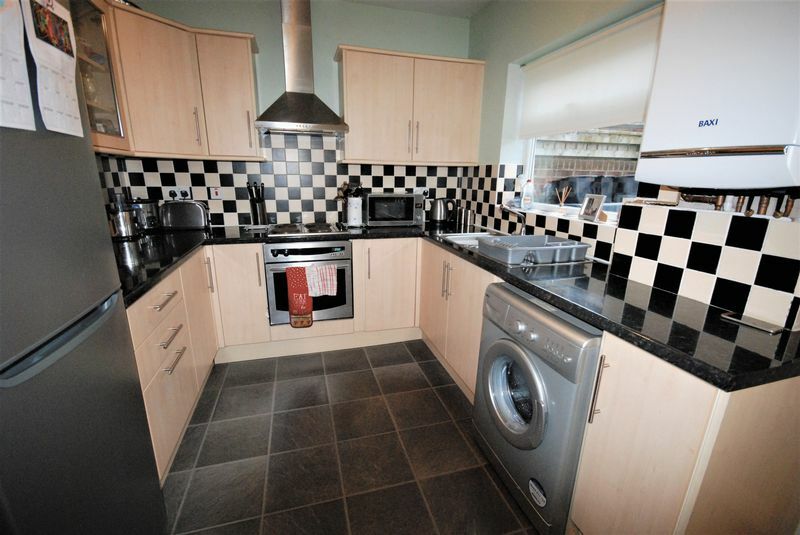 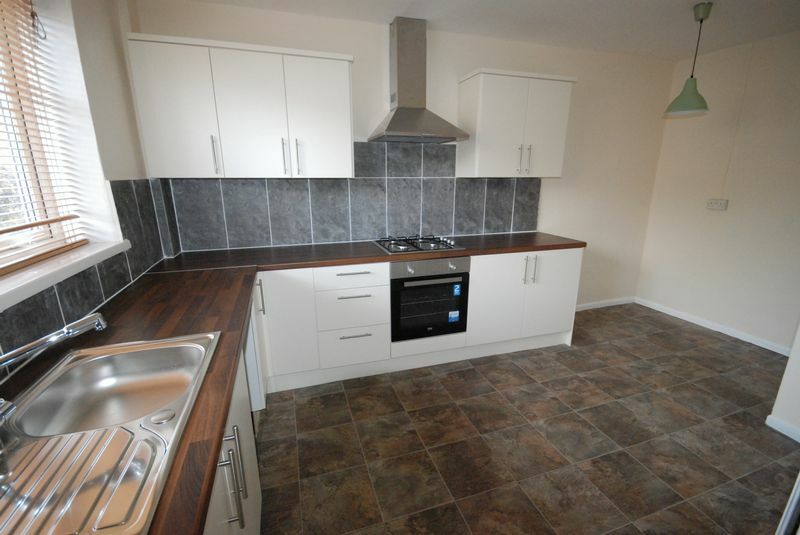 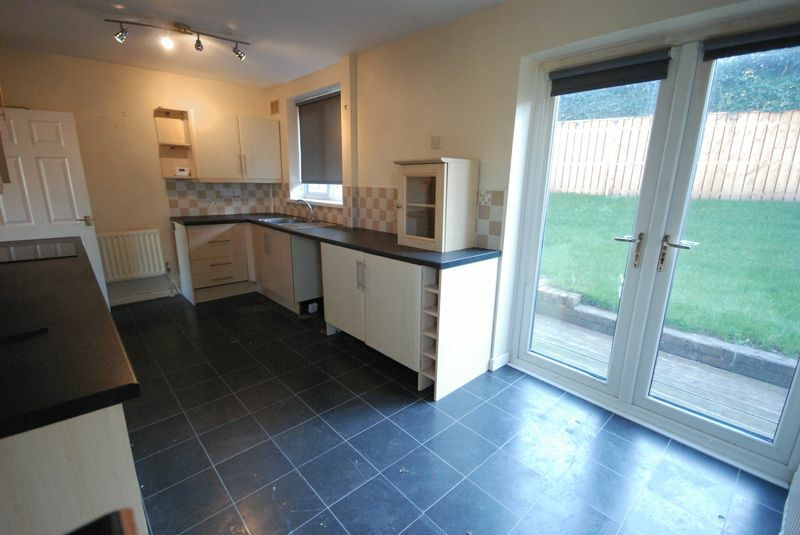 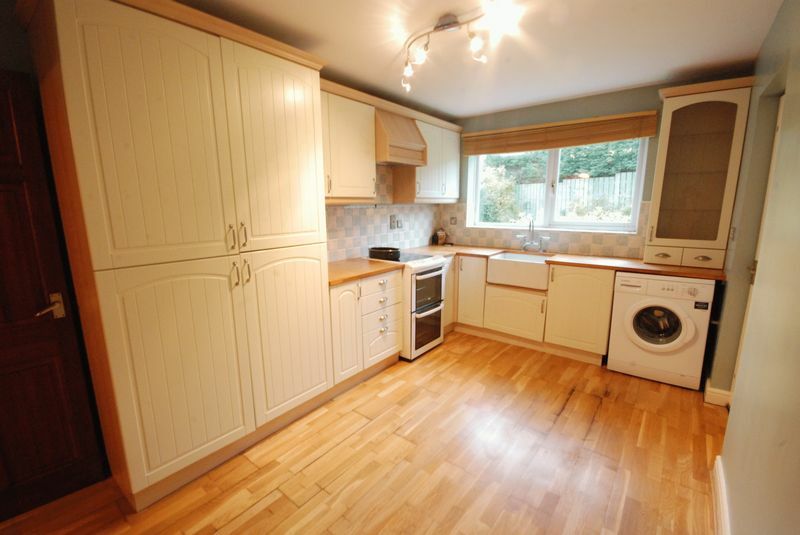 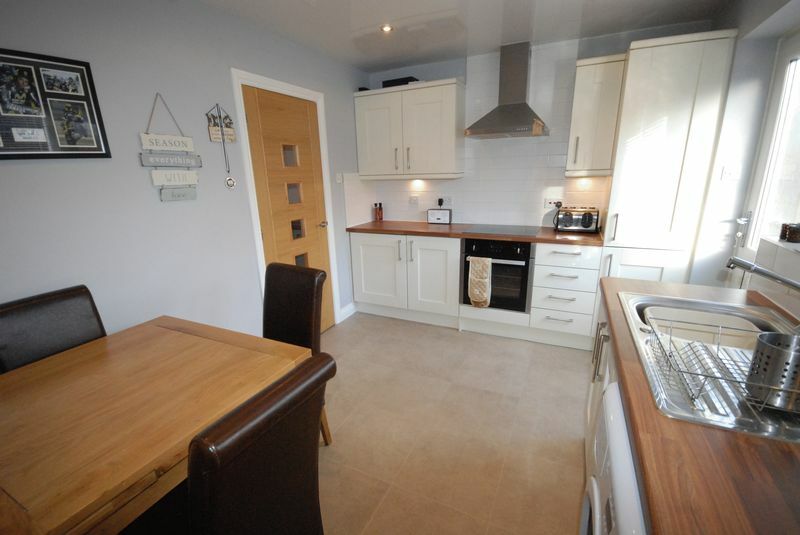 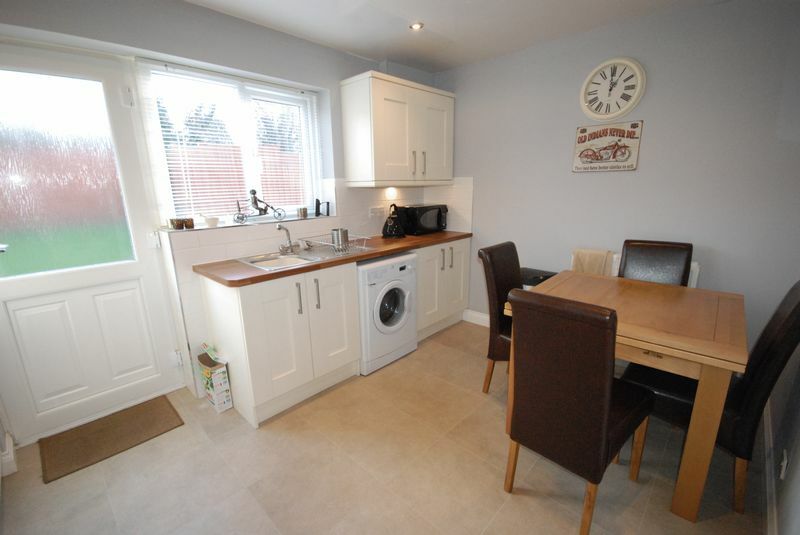 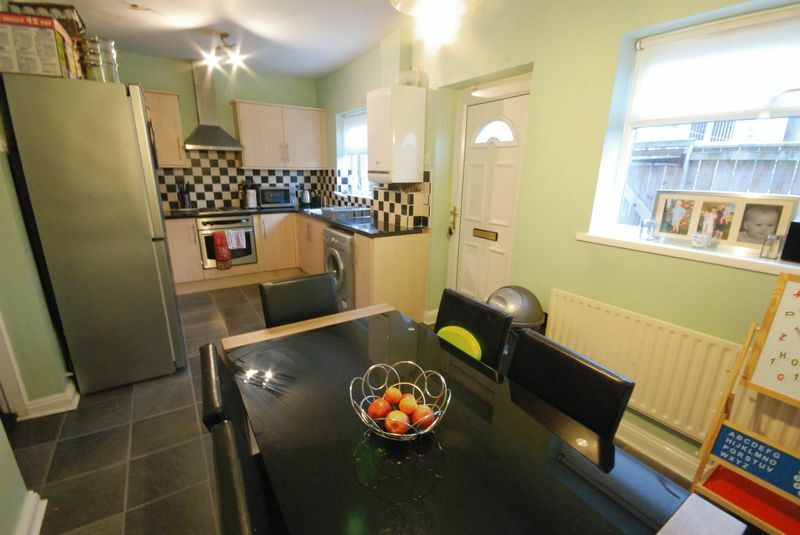 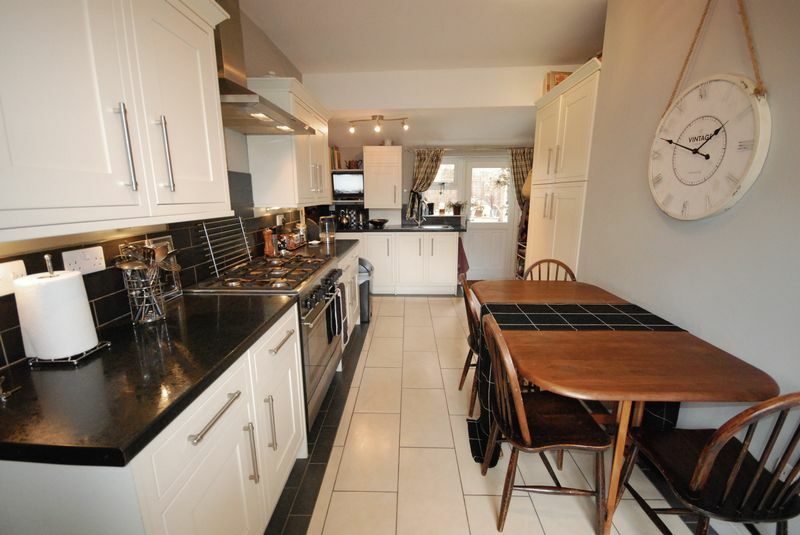 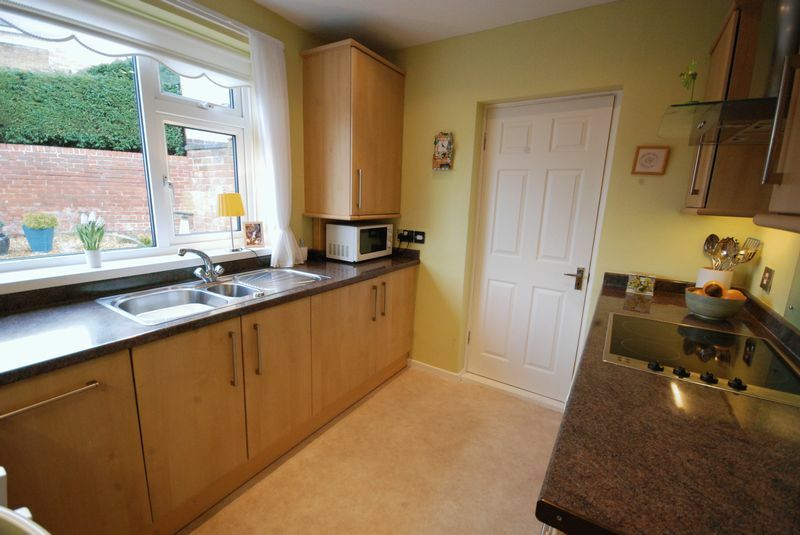 A fully updated property located in the heart of Ryton. 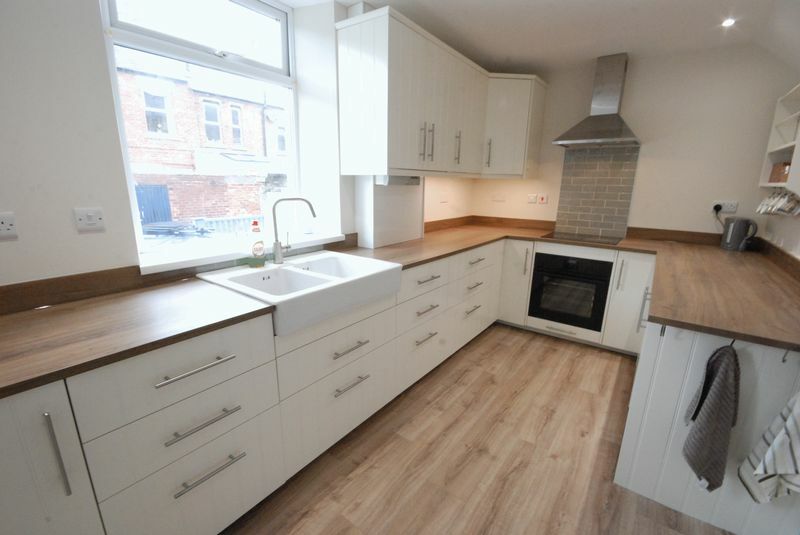 This property has recently undergone an extensive refurbishment and is offered to the market with no onward chain. 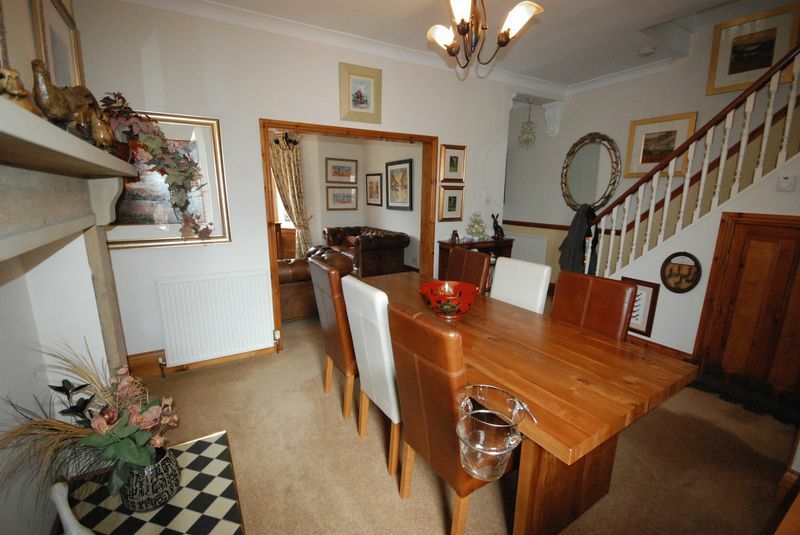 The accommodation briefly comprises; Entrance hall, lounge, kitchen and separate dining room. 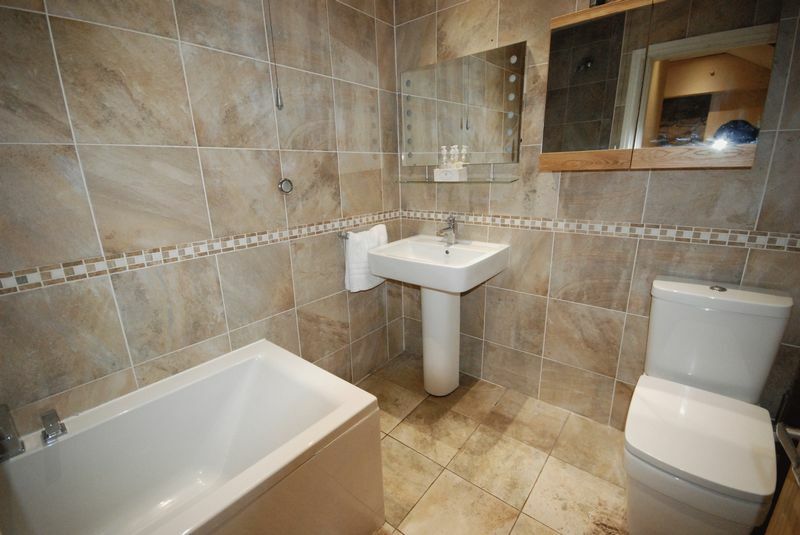 Three bedrooms can be found upstairs along with the family bathroom. 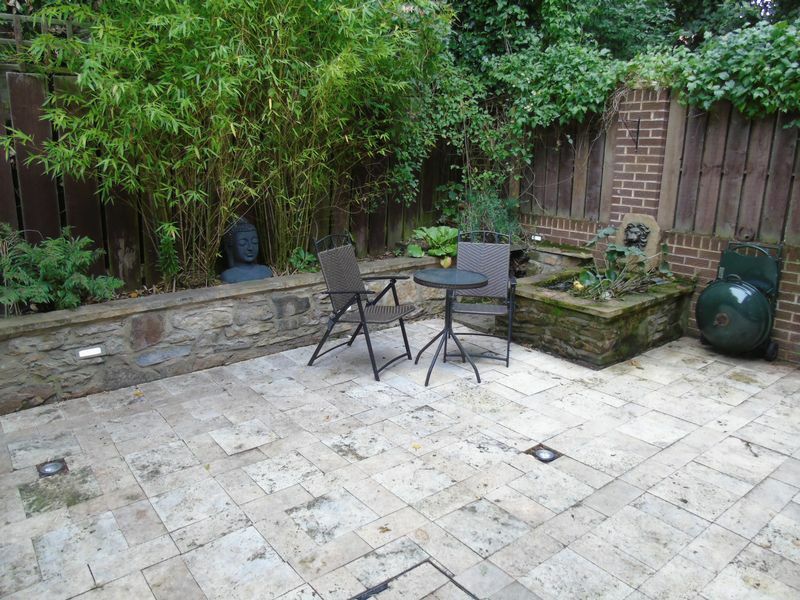 Externally, the rear yard has gated access and can provide off street parking if desired. 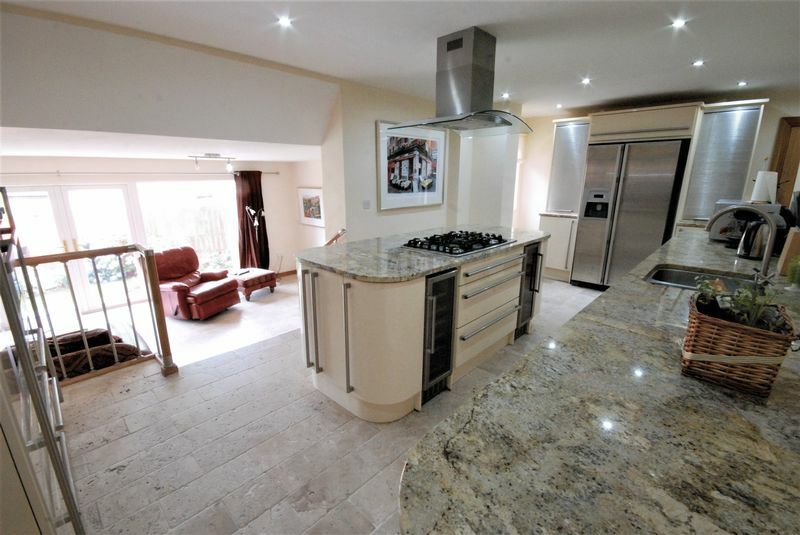 An immaculate stone built home which has undergone an extensive refurbishment by the current owner. 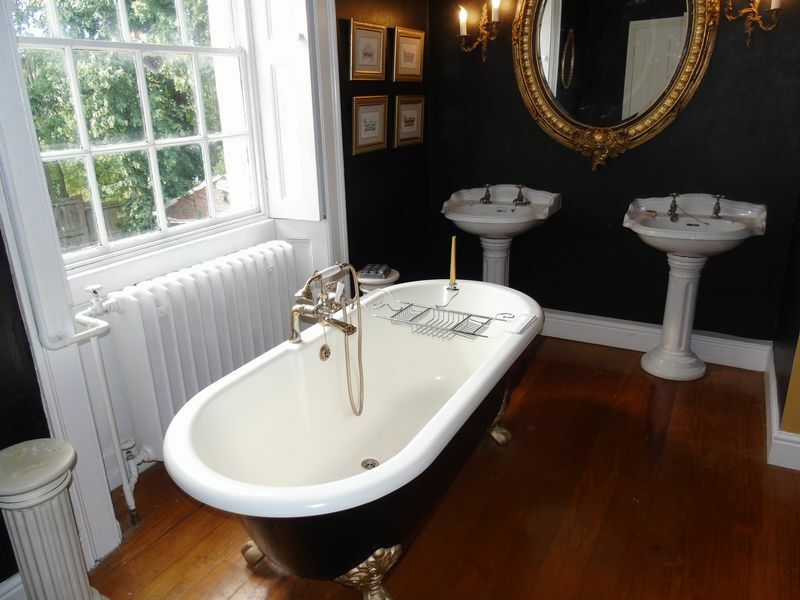 The property is thought to be between 120-140 years old but has carefully been brought to modern day standards whilst keeping its character, charm and some original features. 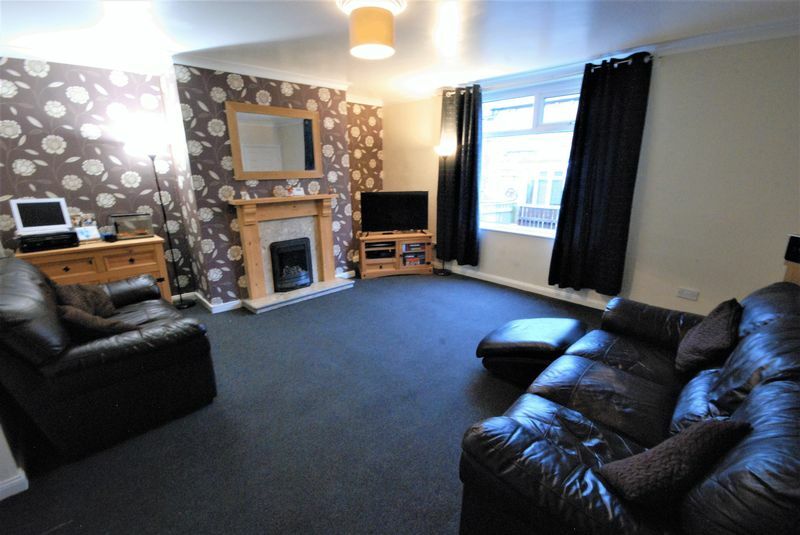 Situated within a close proximity to the shops, schools and amenities in Ryton, the accommodation briefly comprises; Entrance hall, lounge with feature fireplace and a door to the front supplying plenty of natural light. 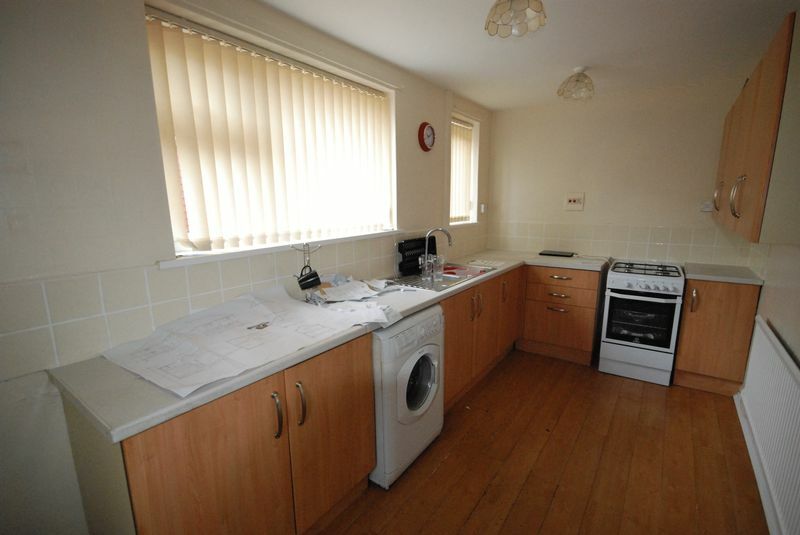 The breakfasting kitchen has some integrated appliances and sits alongside the ground floor WC and study/Dining room. 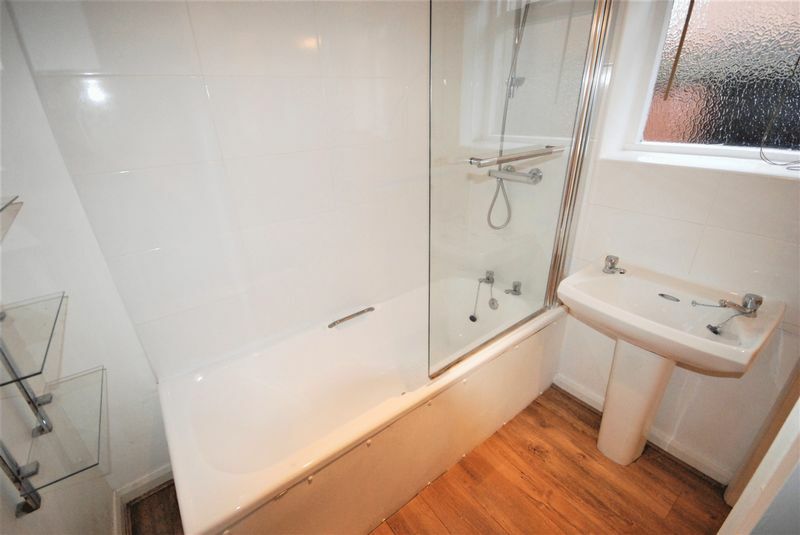 Three double bedrooms and the stylish bathroom can be found on the first floor along with a fully boarded loft which can be used for storage.. Externally, the property has a private yard and use of a communal lawn and further unallocated, on street parking to the rear. 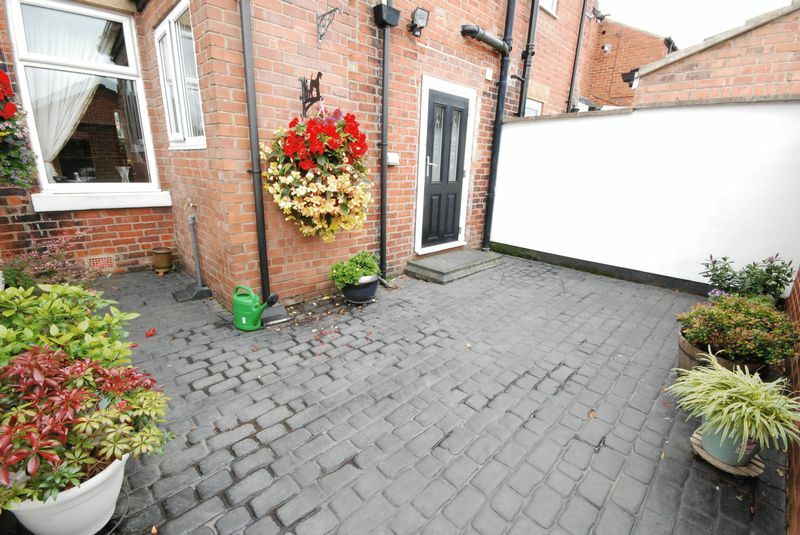 The front has been gravelled with gates access to provide secure off street parking for two cars and there’s also a side area, perfect for seating. 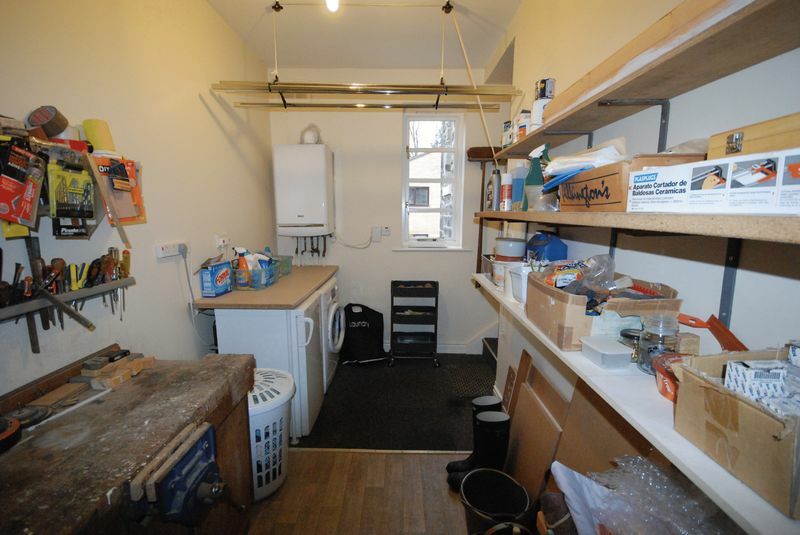 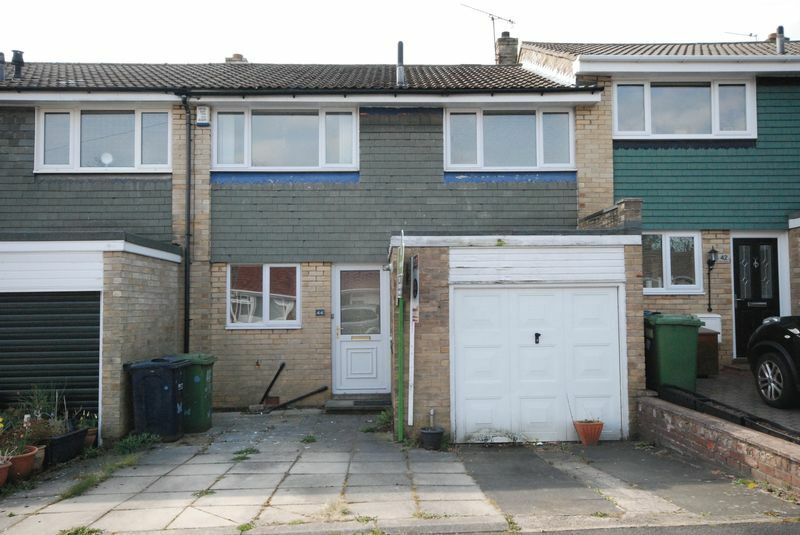 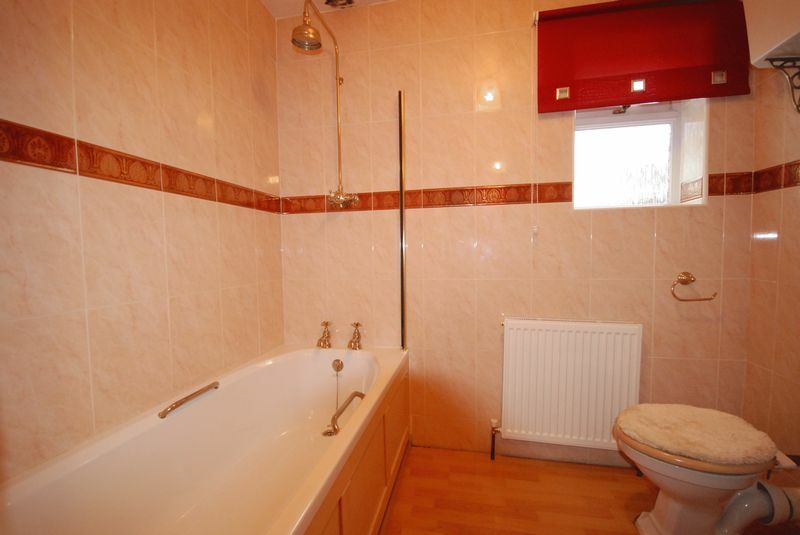 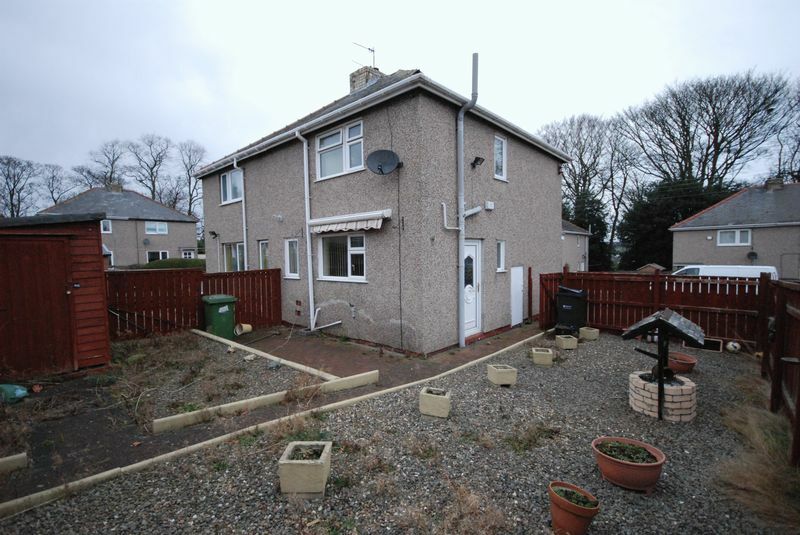 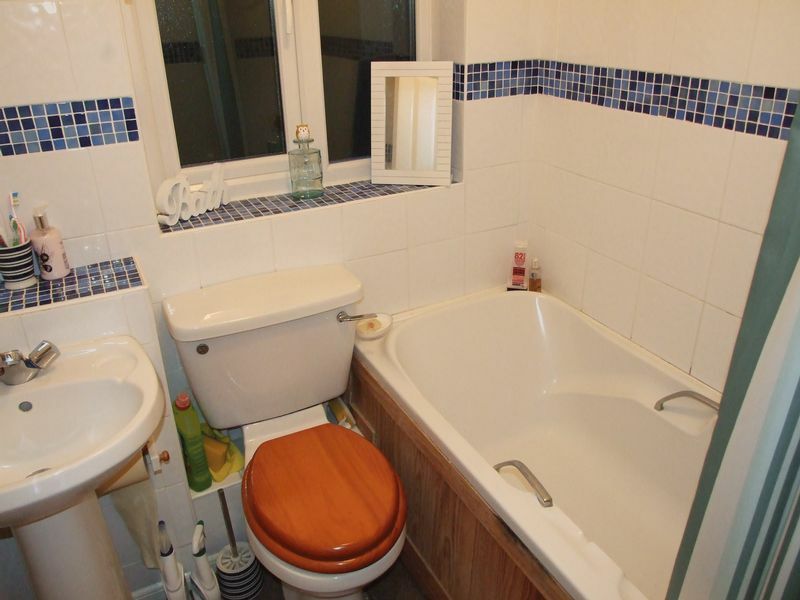 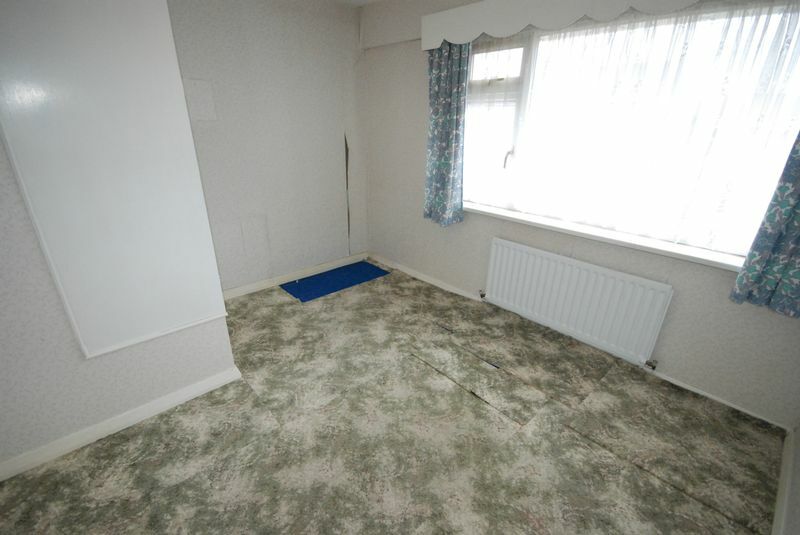 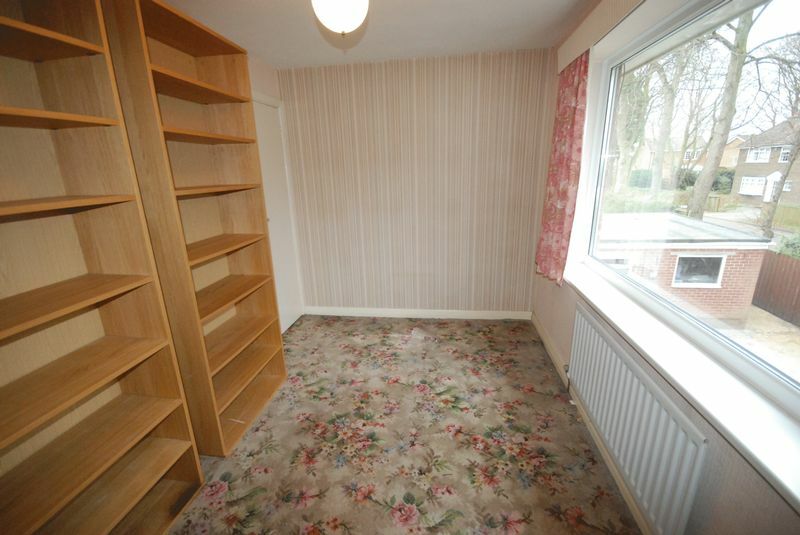 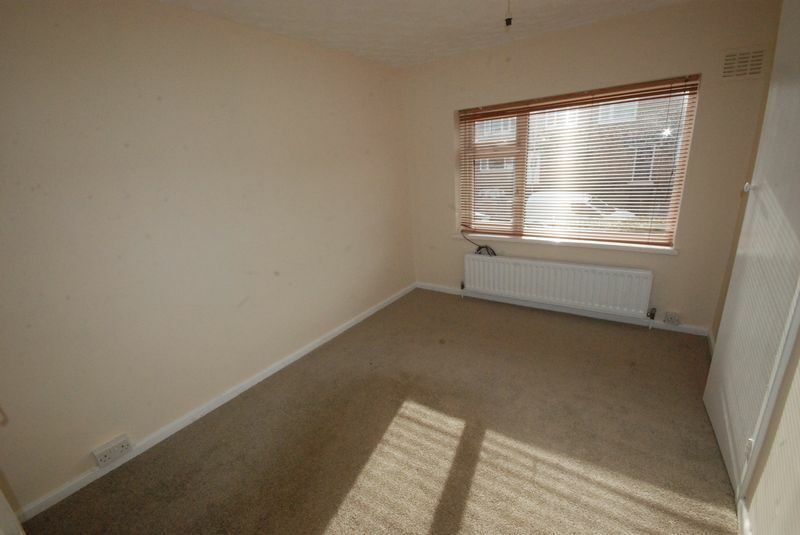 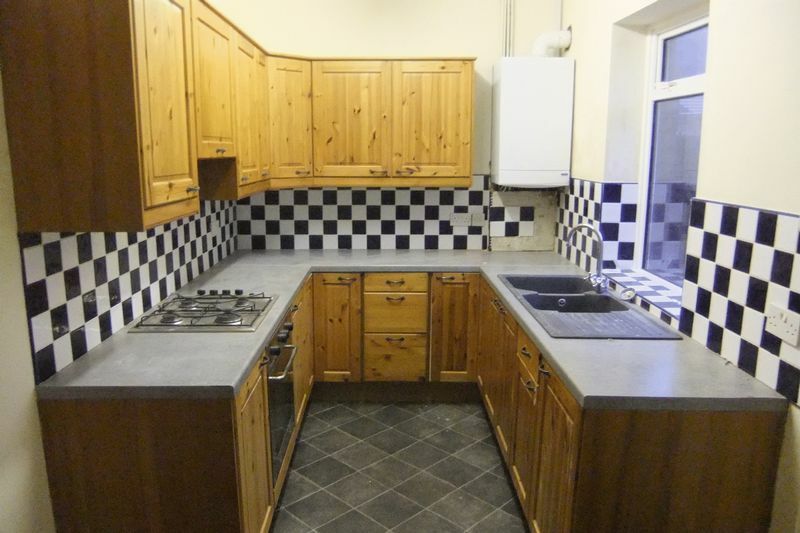 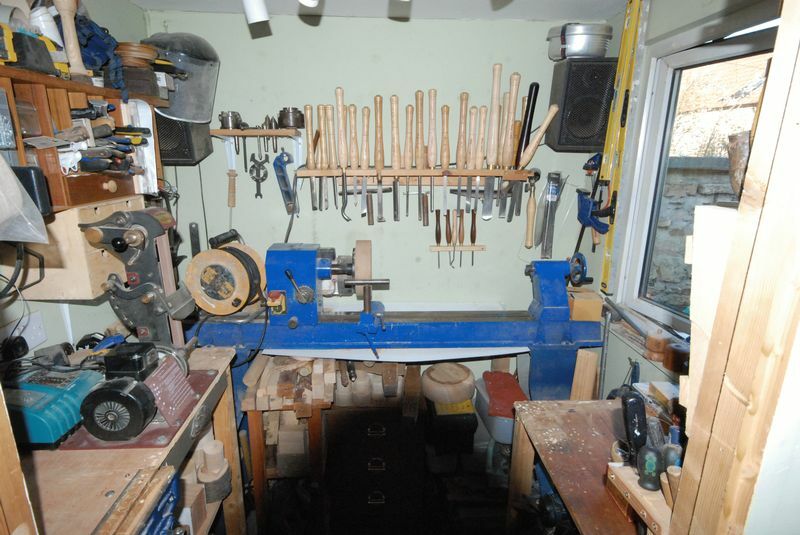 The property is offered to the market with no onward chain. 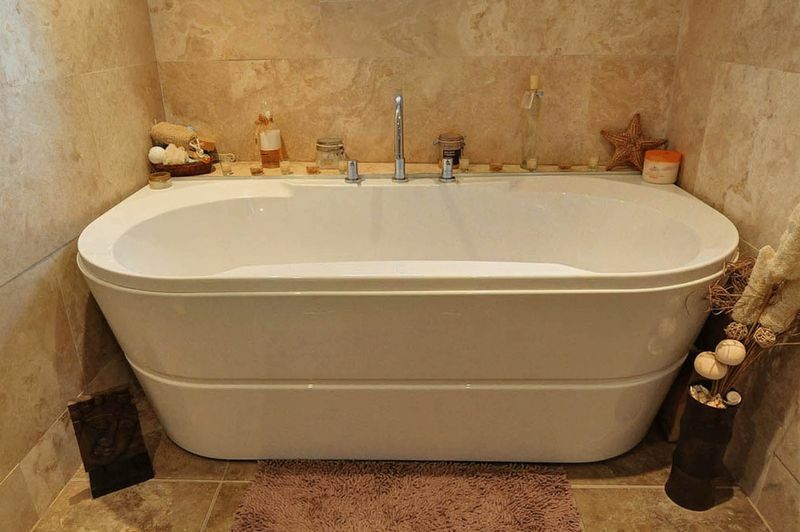 Viewing is highly recommended to truly appreciate the style and quality. 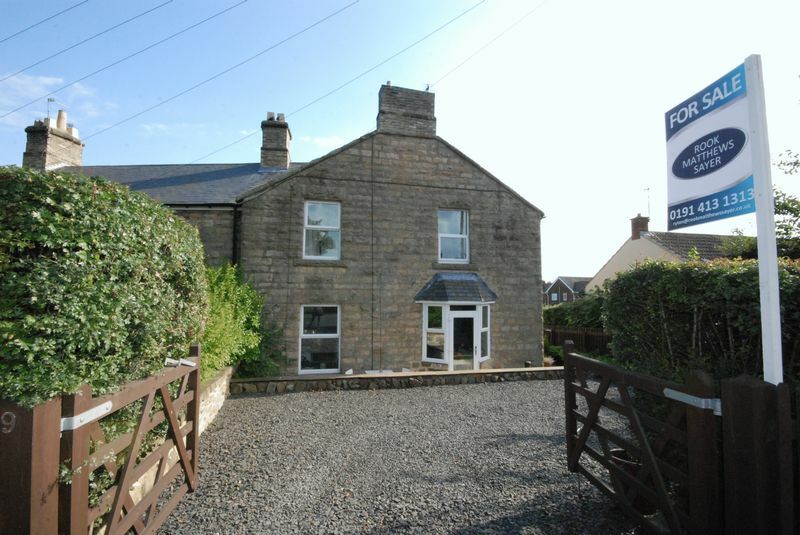 Constructed c.1905, this beautifully presented stone built property has just undergone a complete refurbishment and is offered with no onward chain. 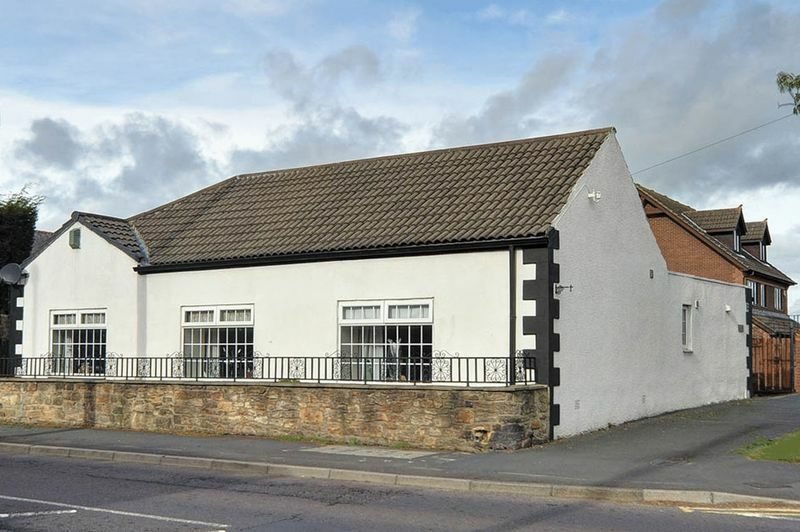 The property is located in Barmoor, which is an excellent location to enjoy the shops and amenities in both Ryton and Crawcook. 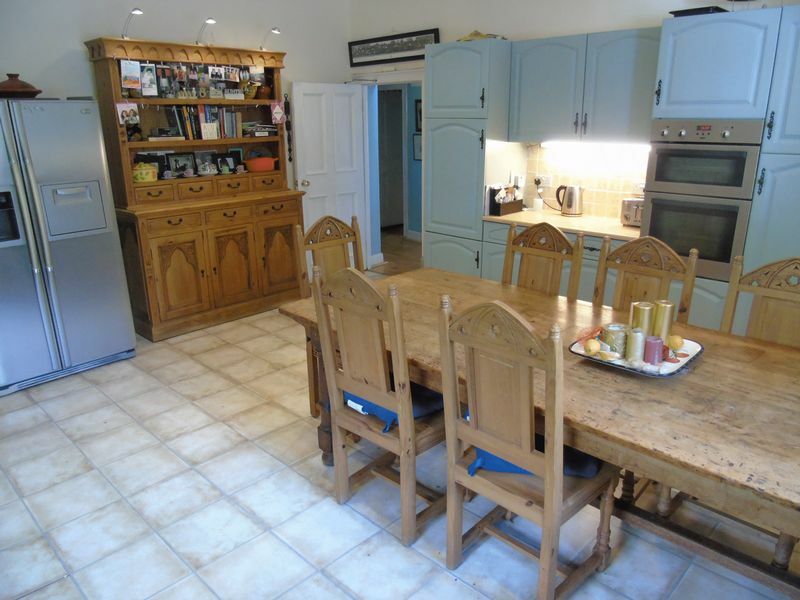 The accommodation briefly comprises; Entrance hall, lounge with feature inglenook, recently fitted kitchen with breakfast bar, integrated appliances and access to the rear. 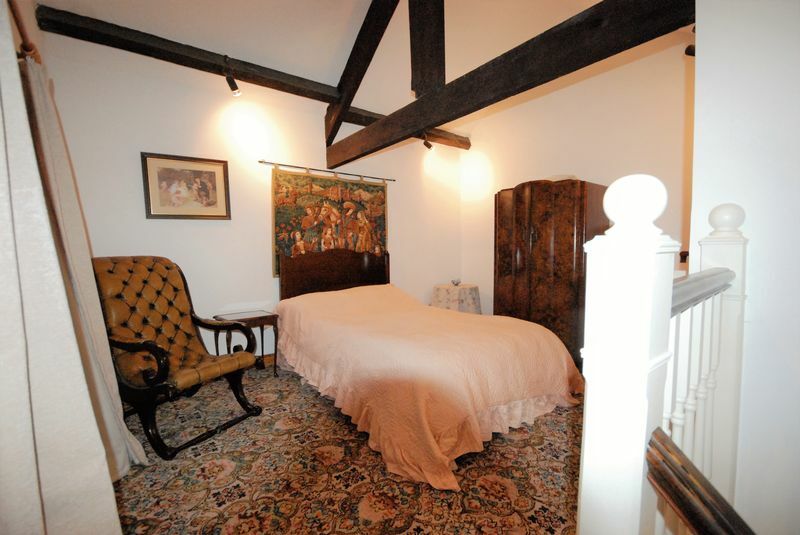 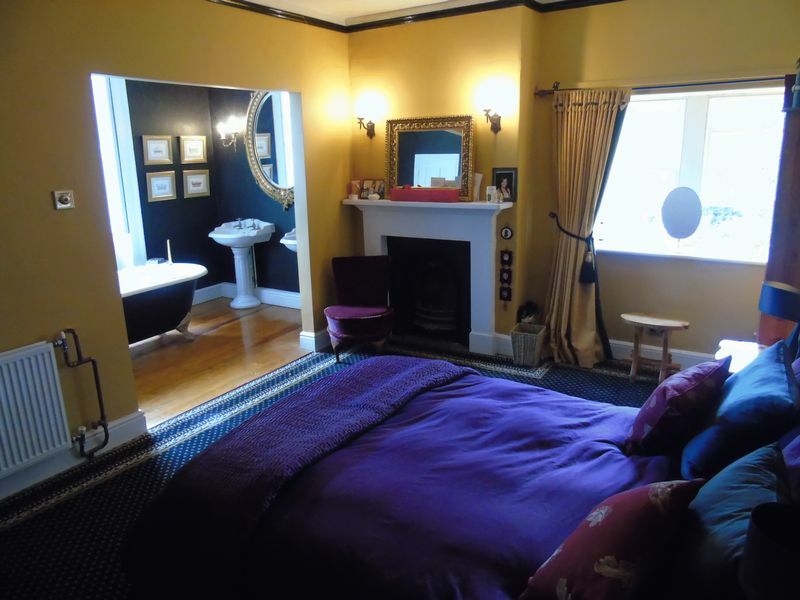 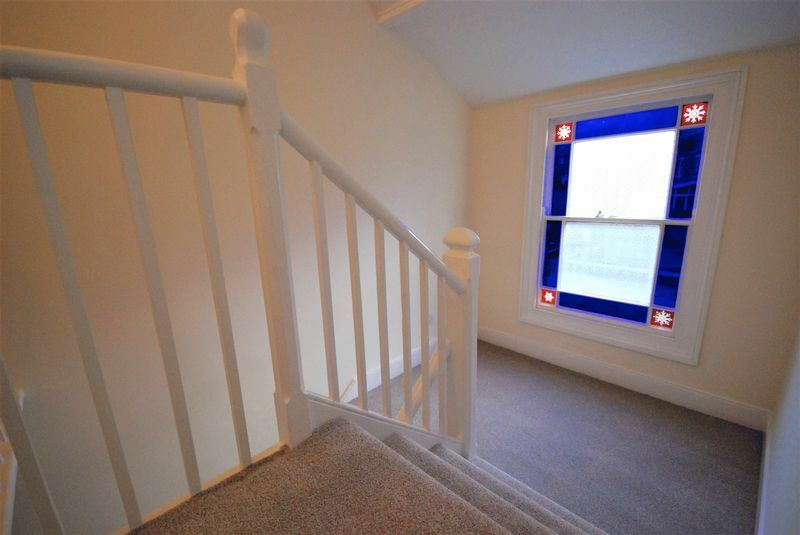 The second floor has two bedrooms, second with decorative fireplace, and a modern bathroom. 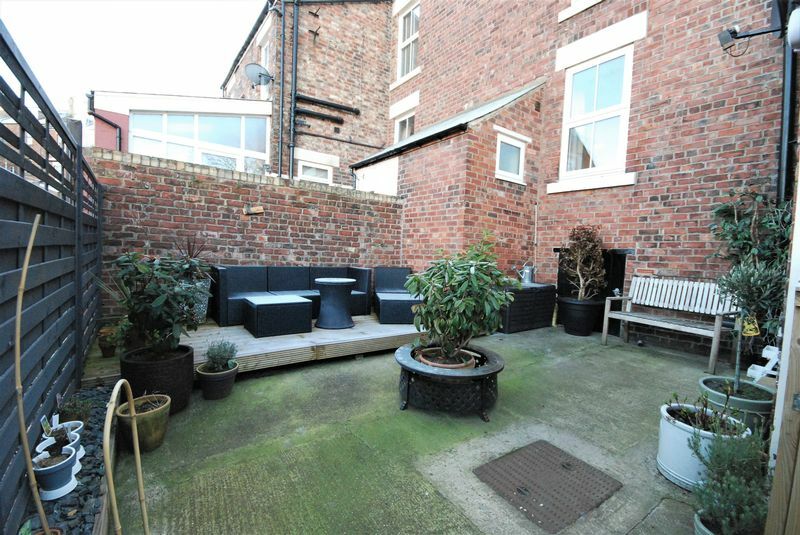 Externally, there’s a front courtyard on the leafy, pedestrian only street and the rear yard provides off street parking. 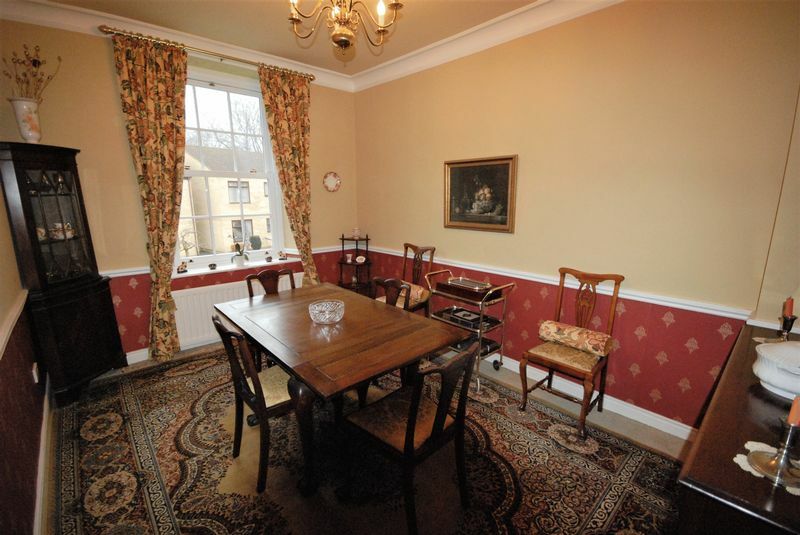 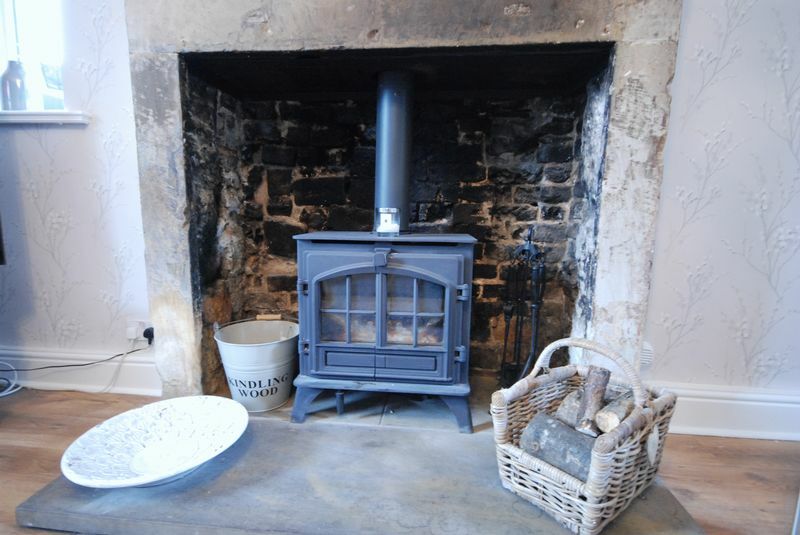 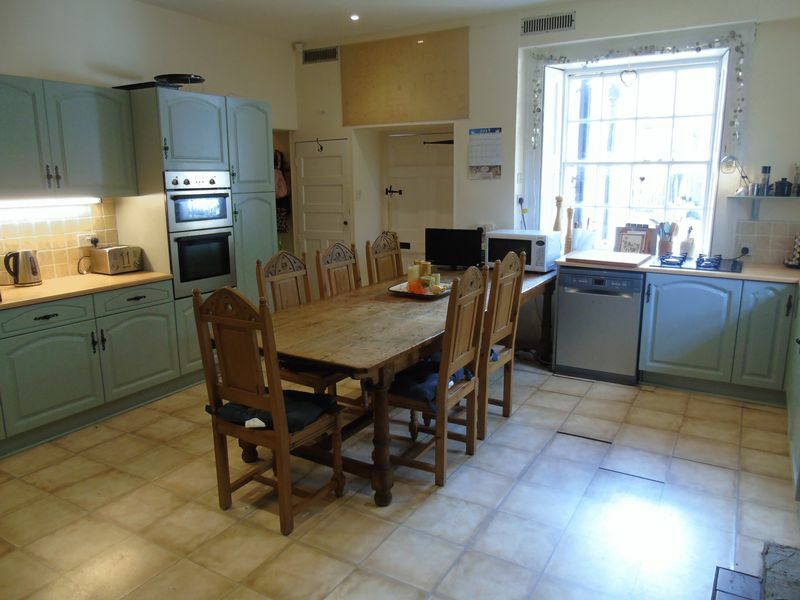 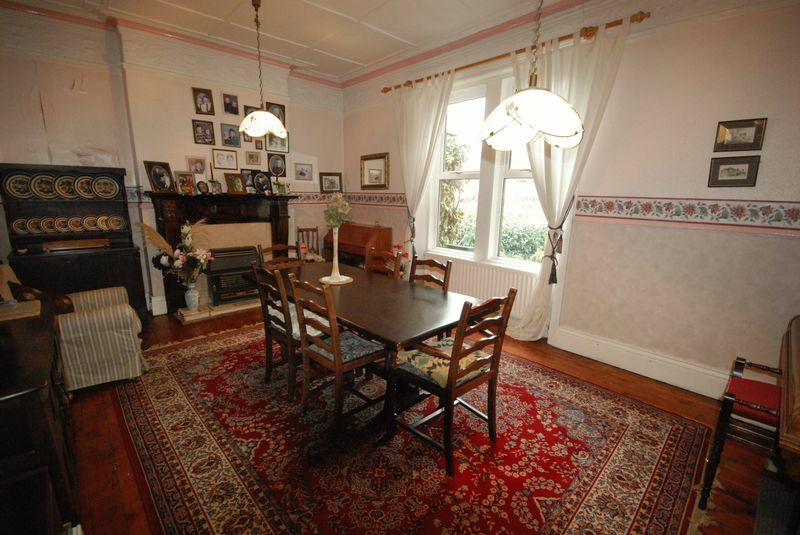 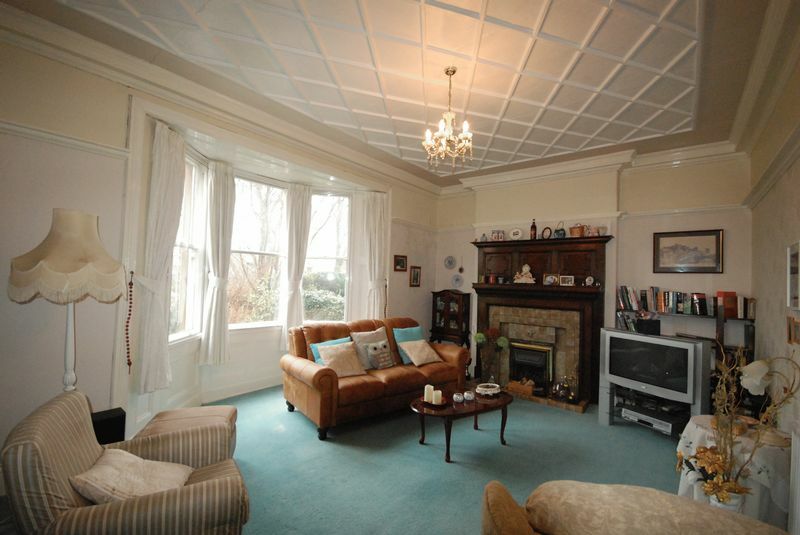 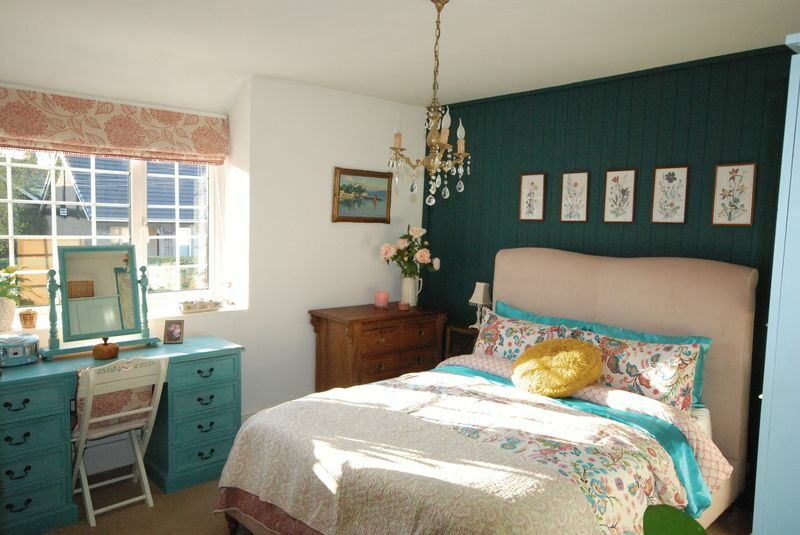 A beautifully presented period property that’s full of character and charm. 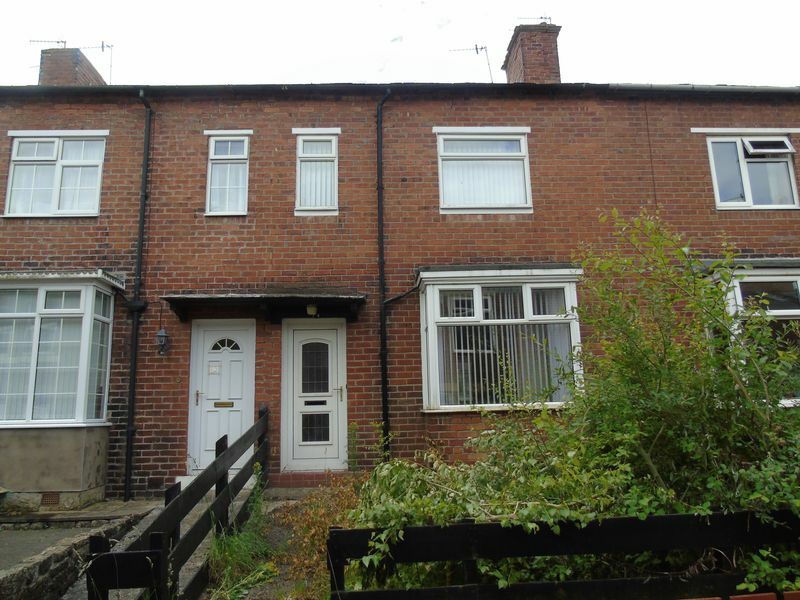 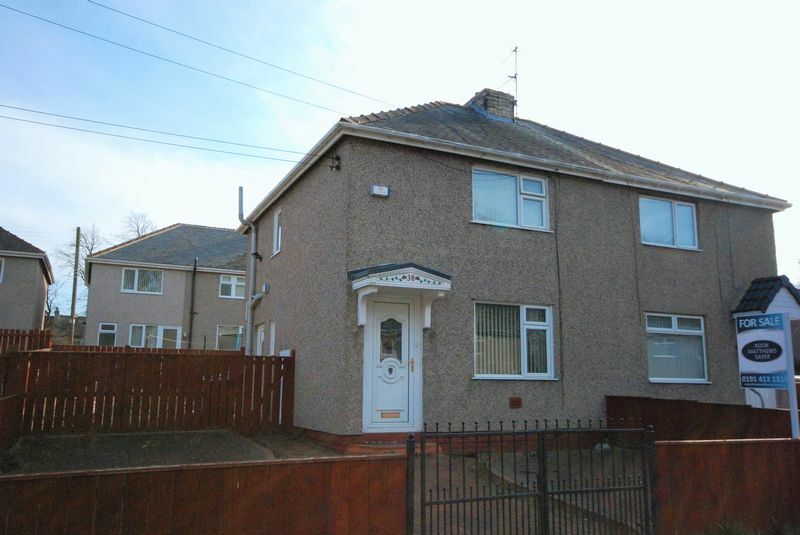 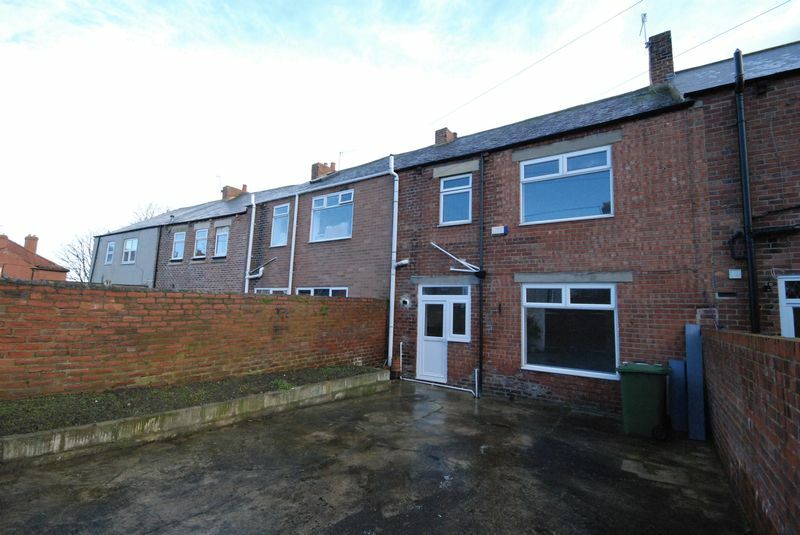 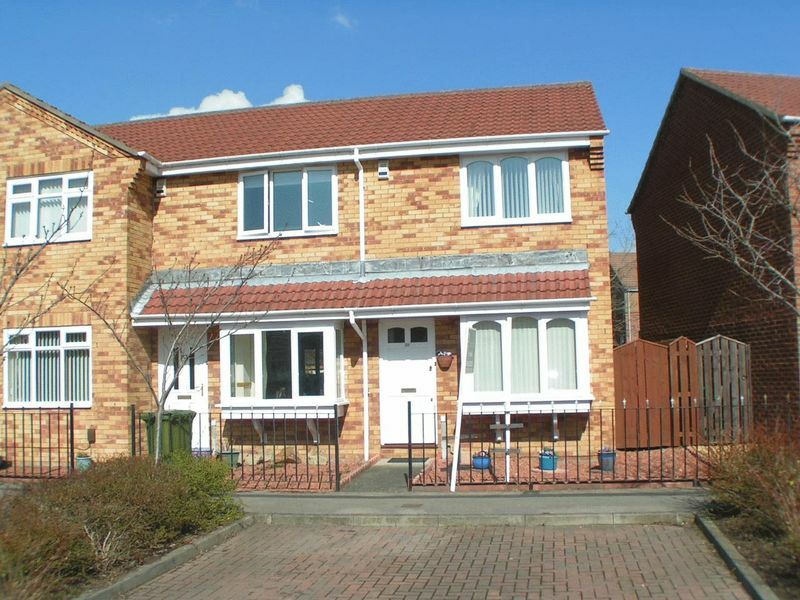 The property is situated on a quiet street in Ryton, close to local shops and bus routes as well as easy access to the A695 to Blaydon, Newcastle City Centre and the A1. 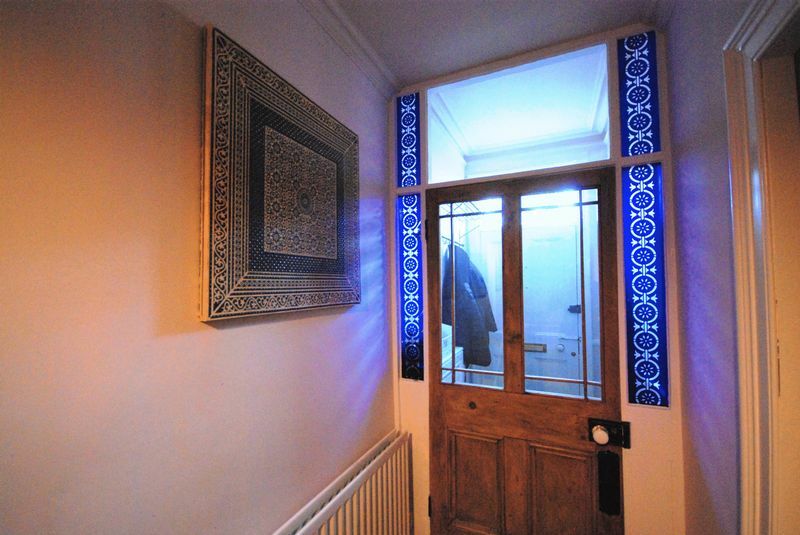 The property has been lovingly maintained by the current owner and briefly comprises; Entrance porch leading to open plan hallway, separate lounge with an archway to the dining room and a stylish, extended kitchen. 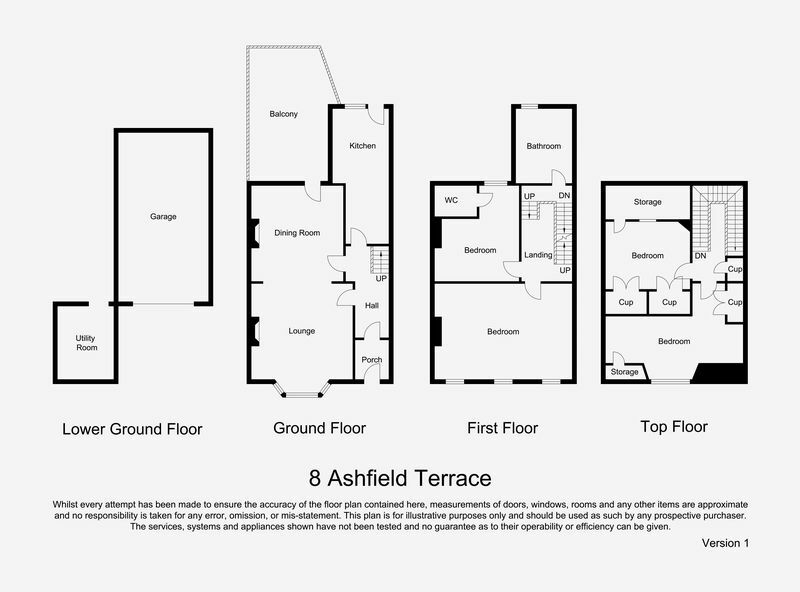 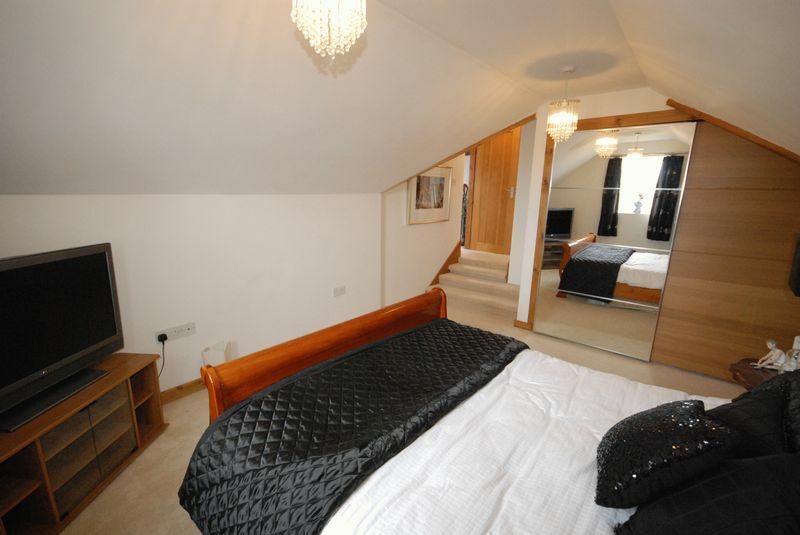 Two double bedrooms, both with built in storage, and a single bedroom can be found on the first floor. 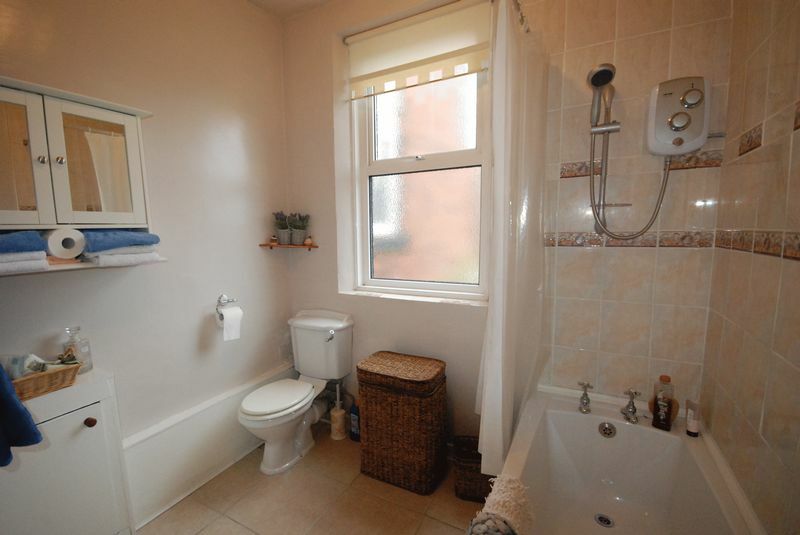 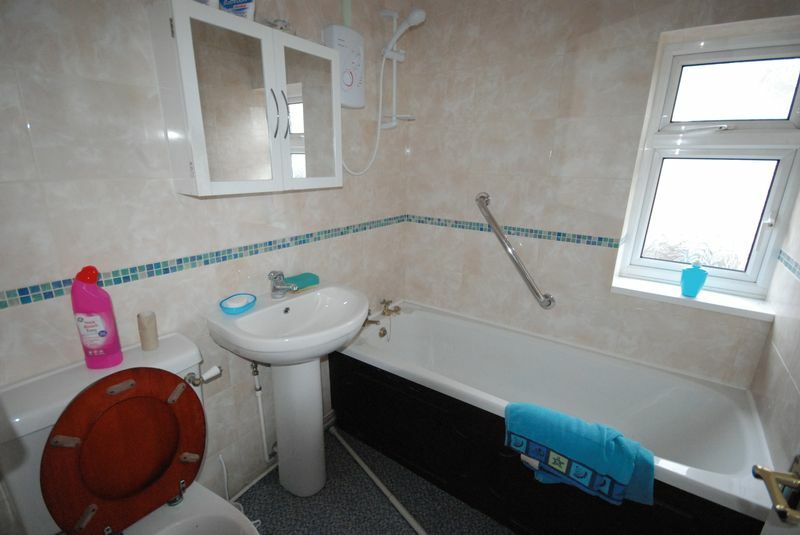 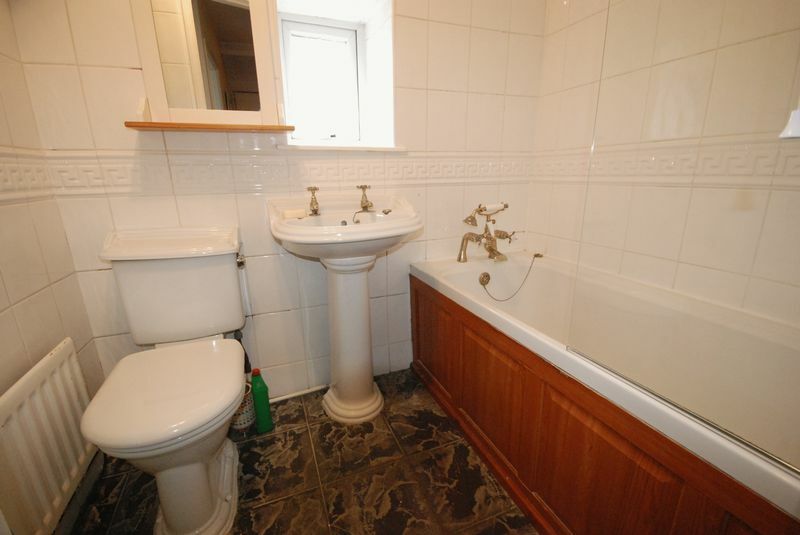 The bathroom is on the split level landing. 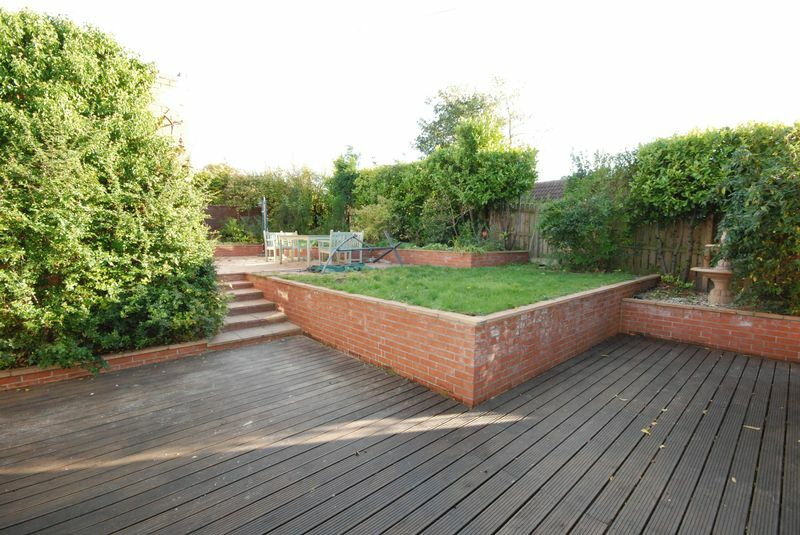 Externally, the property has an immaculate, gated rear yard and gravelled courtyard to the front. 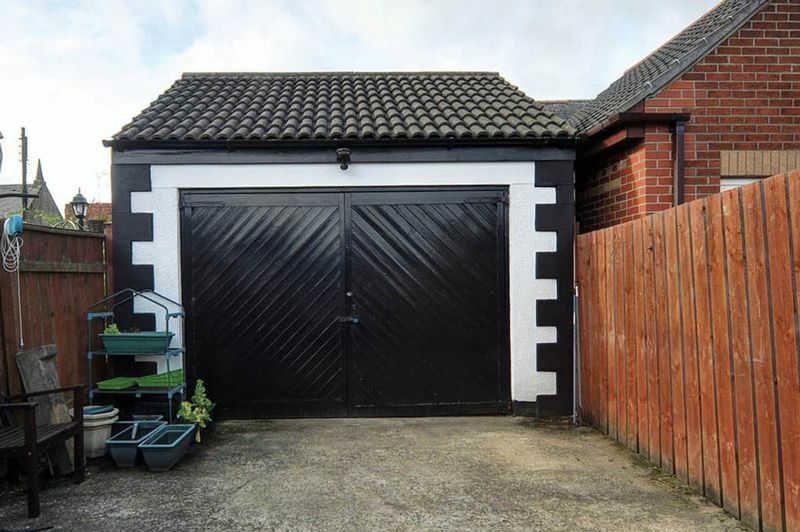 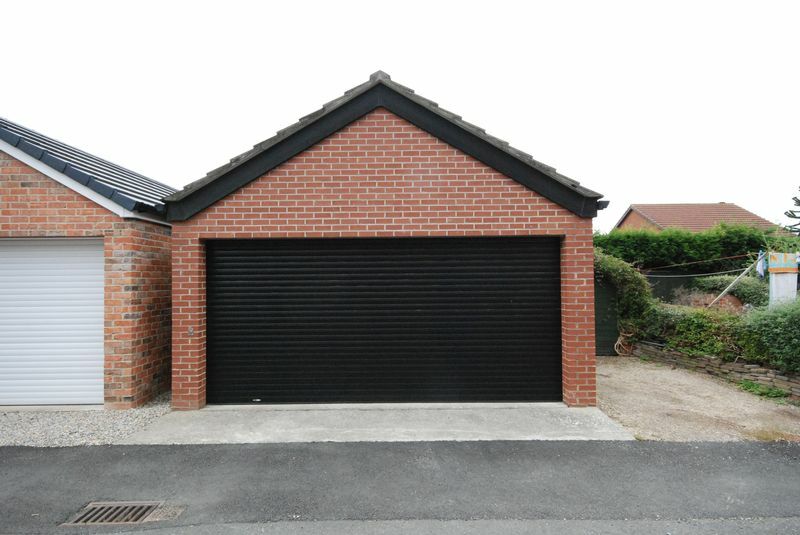 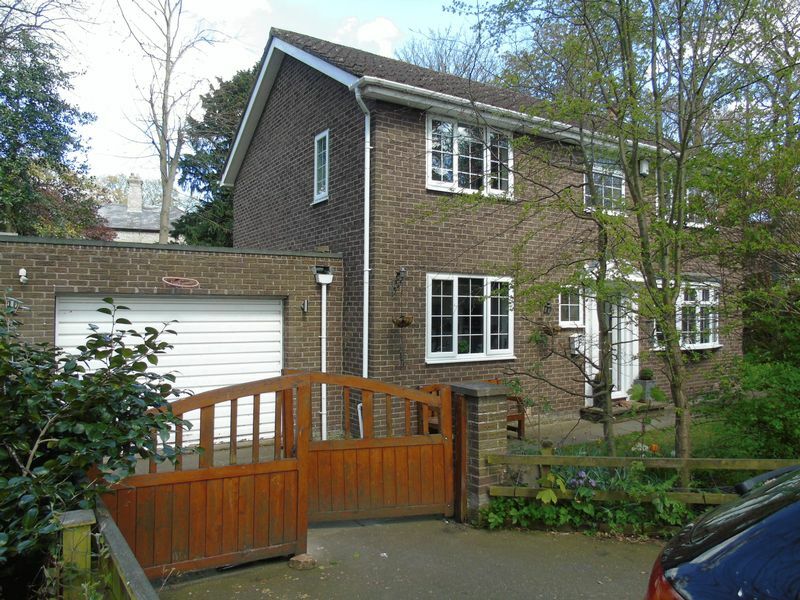 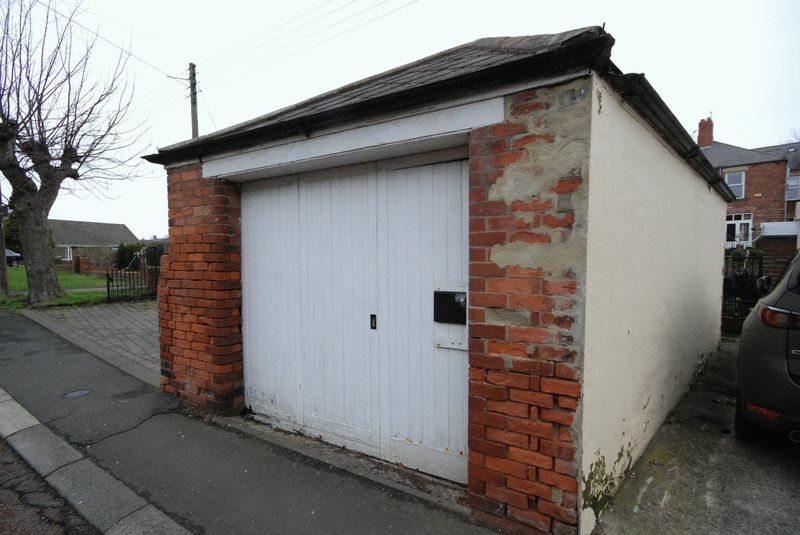 The property also boasts a detached double garage. 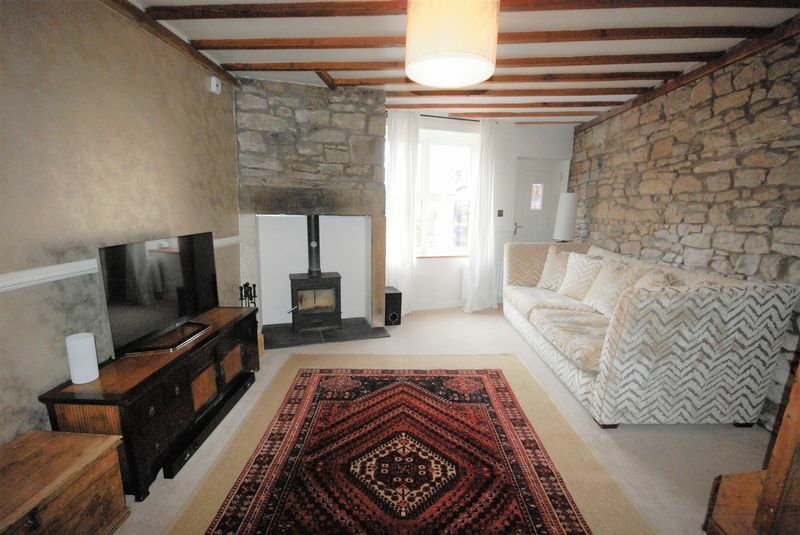 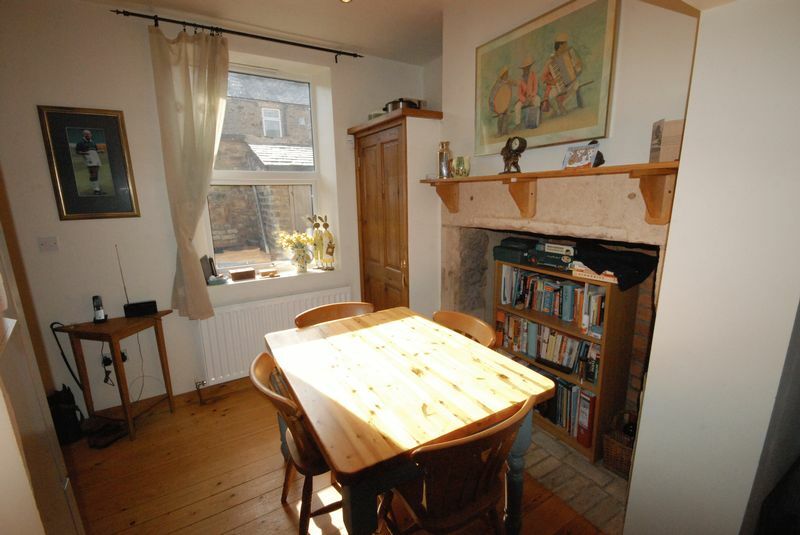 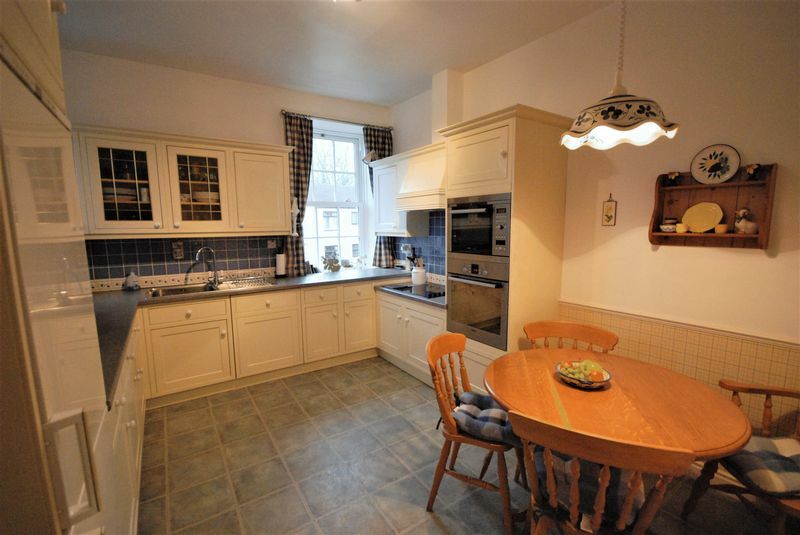 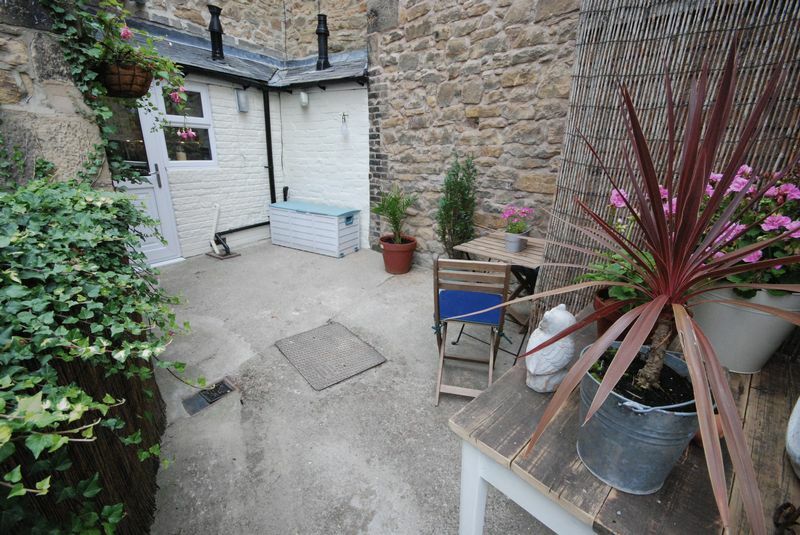 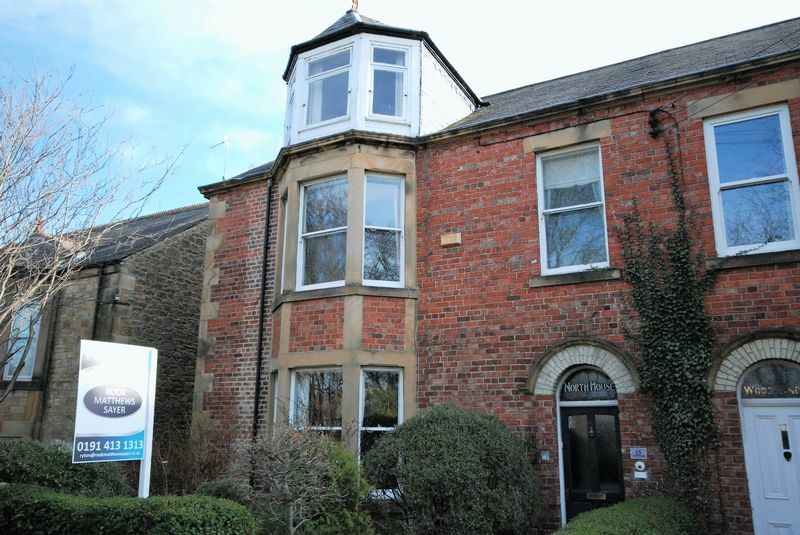 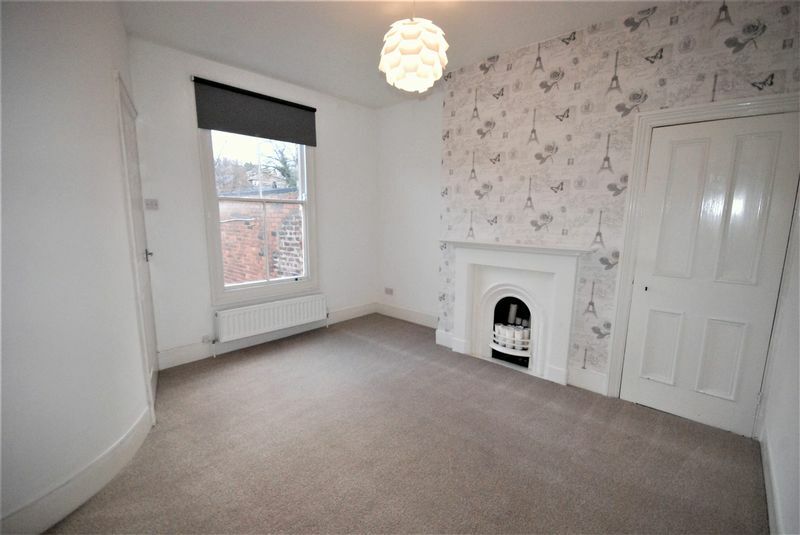 A wonderfully converted family home located on one of the most well-known streets in Ryton, Hexham Old Road. 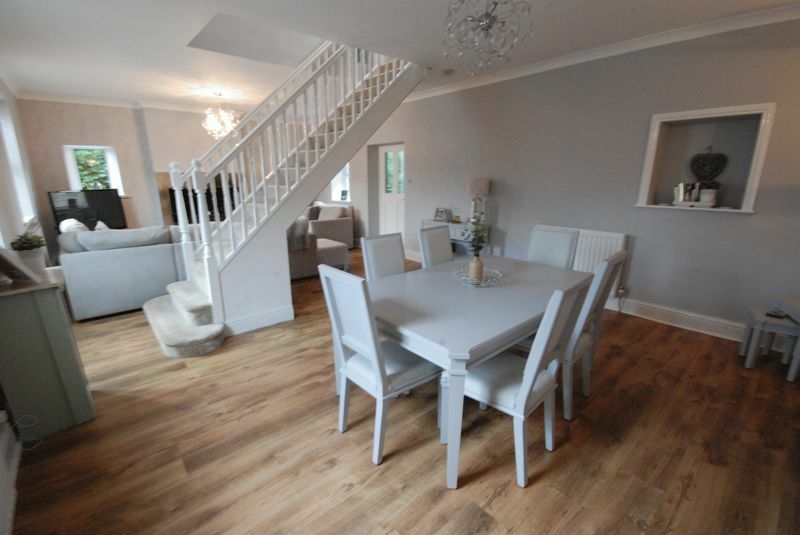 The property has been extended and refurbished to a very high standard and incorporates contemporary open plan living whilst keeping its character and charm. 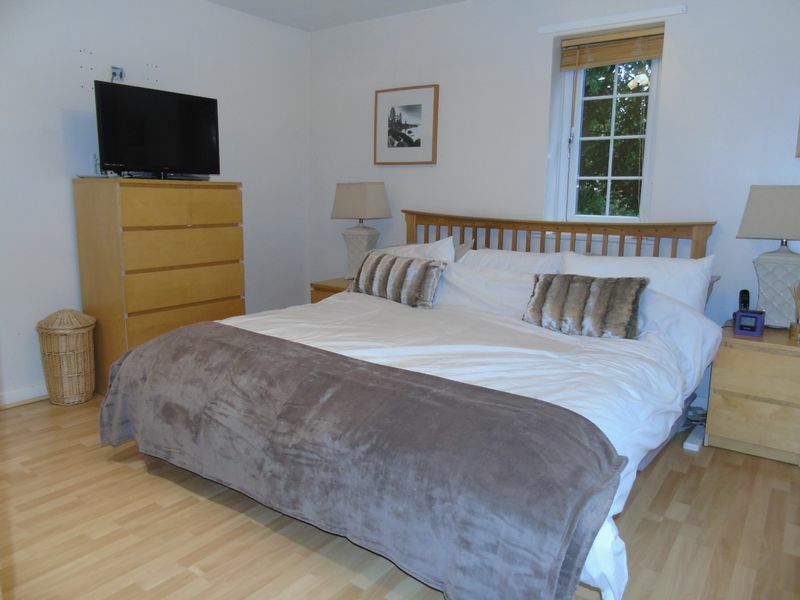 The accommodation features double glazing and under floor heating throughout. 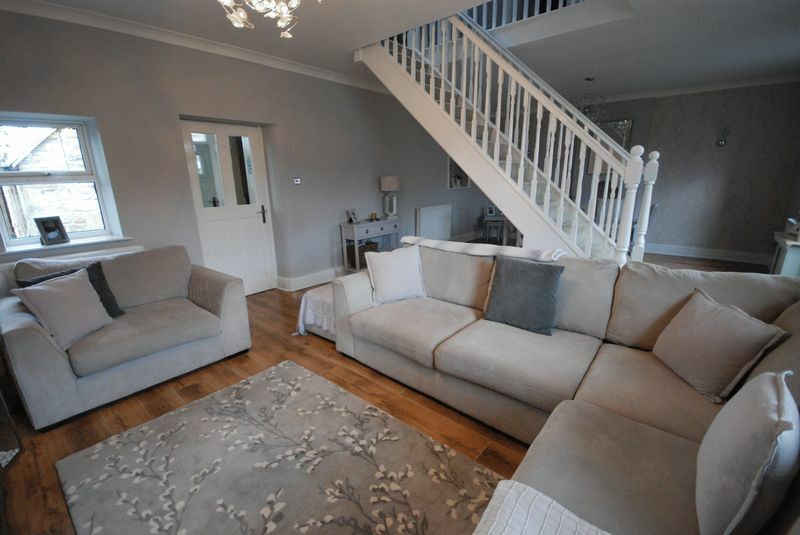 It comprises; entrance hall, ground floor WC, separate dining room, 23ft lounge with French doors to the balcony, additional reception room/fourth bedroom, fabulous modern kitchen with feature Island and steps down to a further family room. 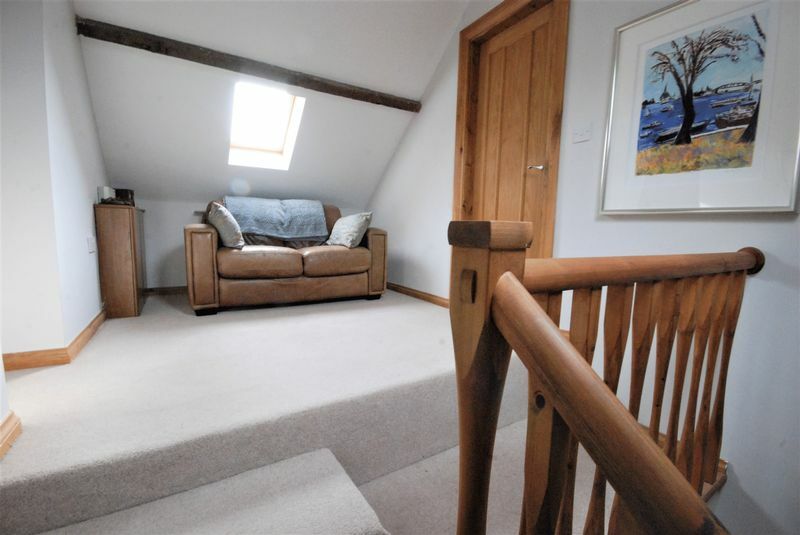 The first floor has a lovely space for seating on the landing with Velux windows, three generous bedrooms, two with ensuite facilities, and a family bathroom. 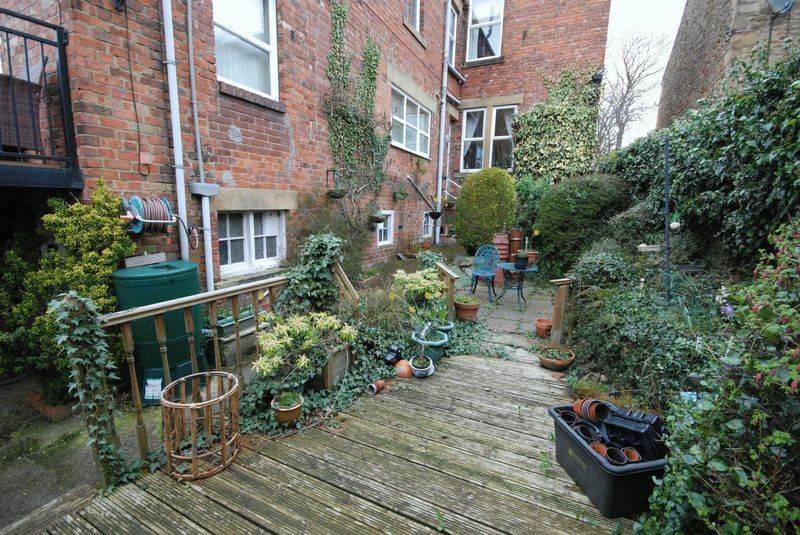 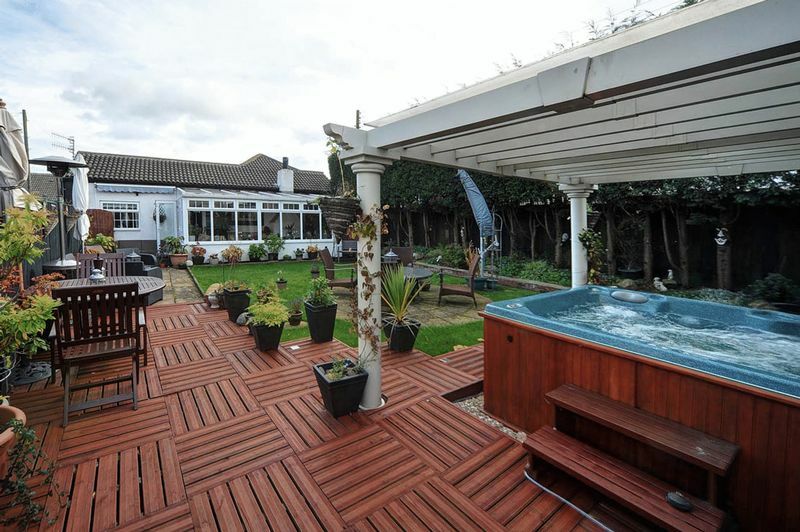 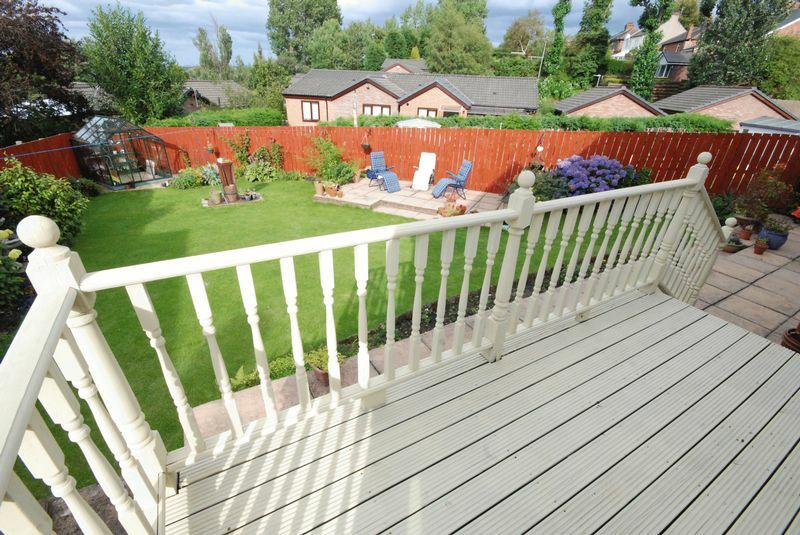 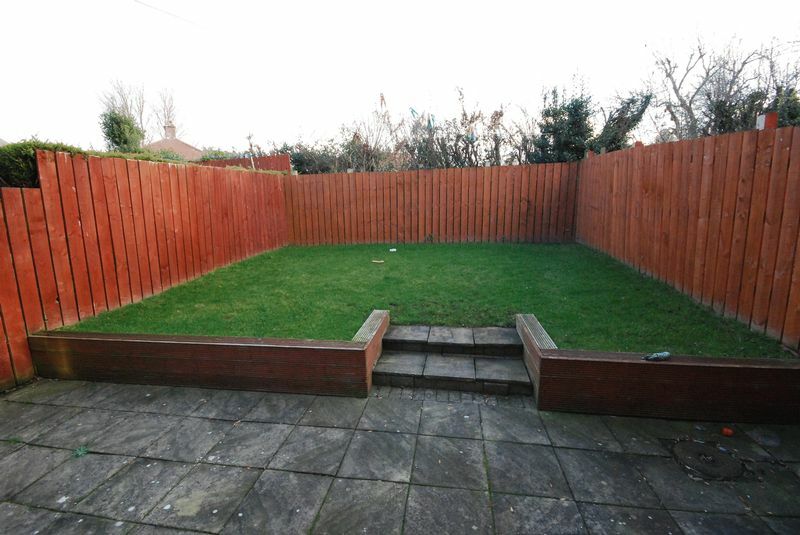 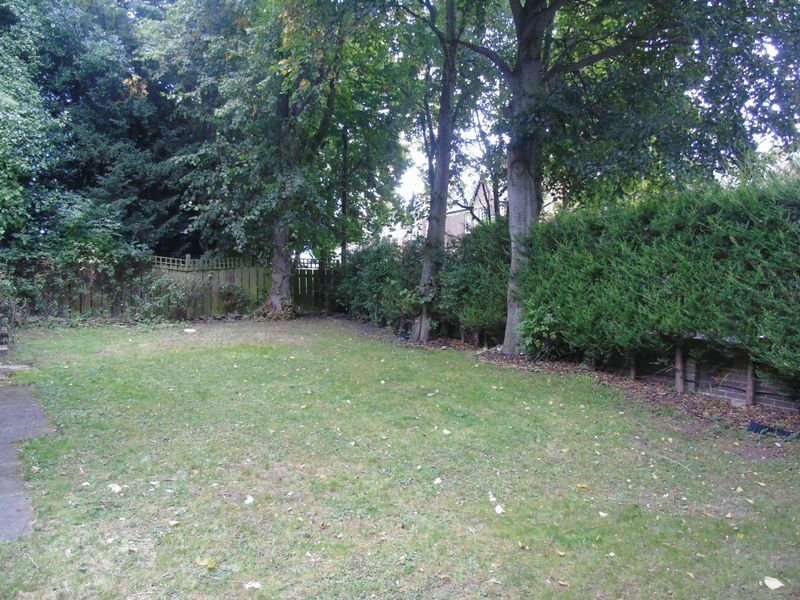 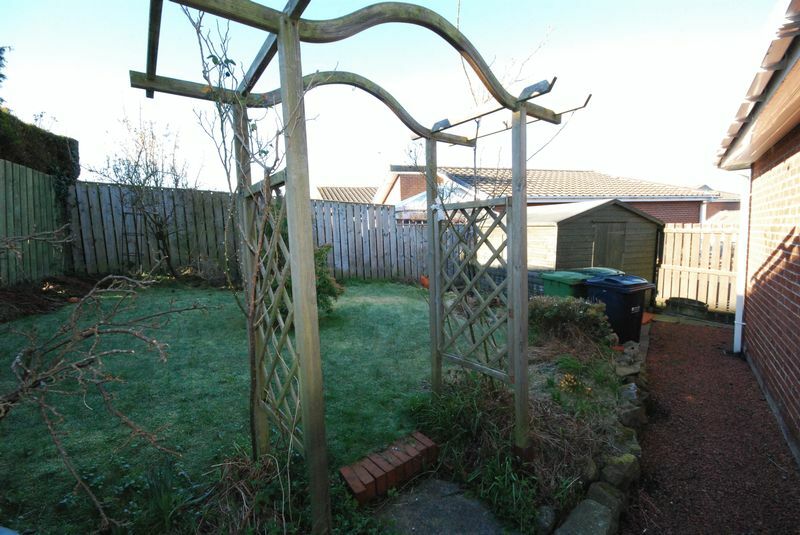 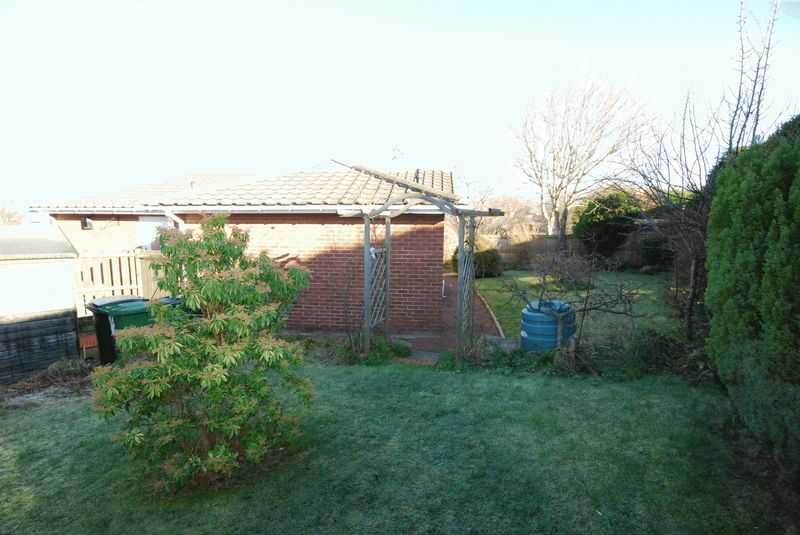 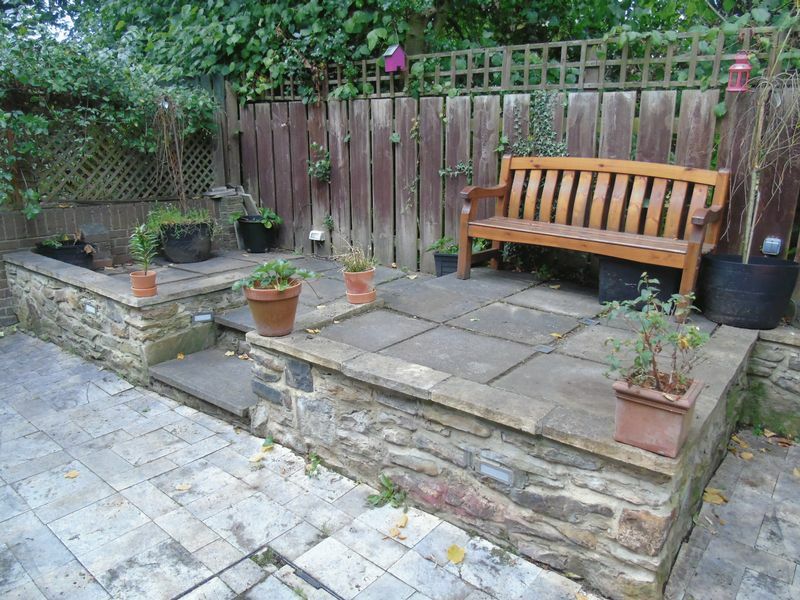 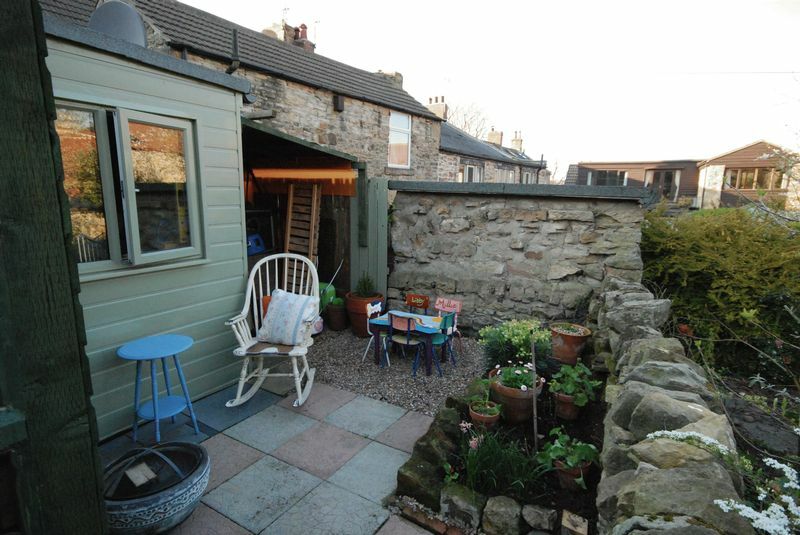 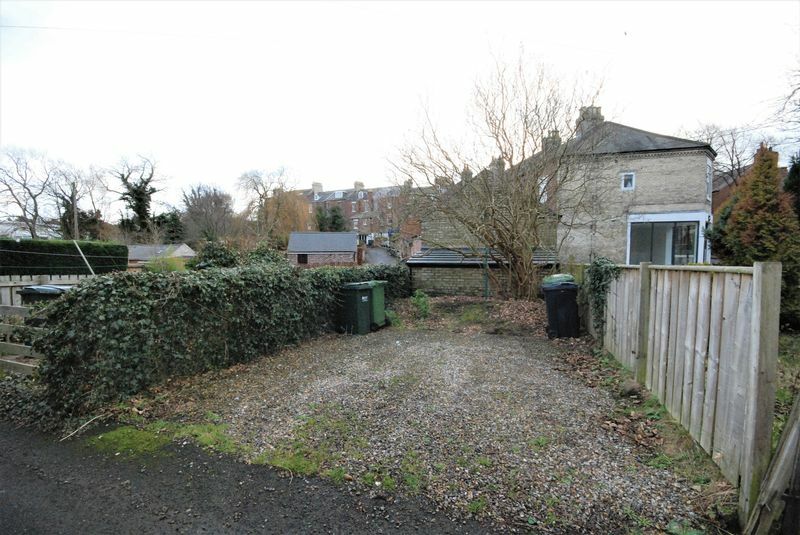 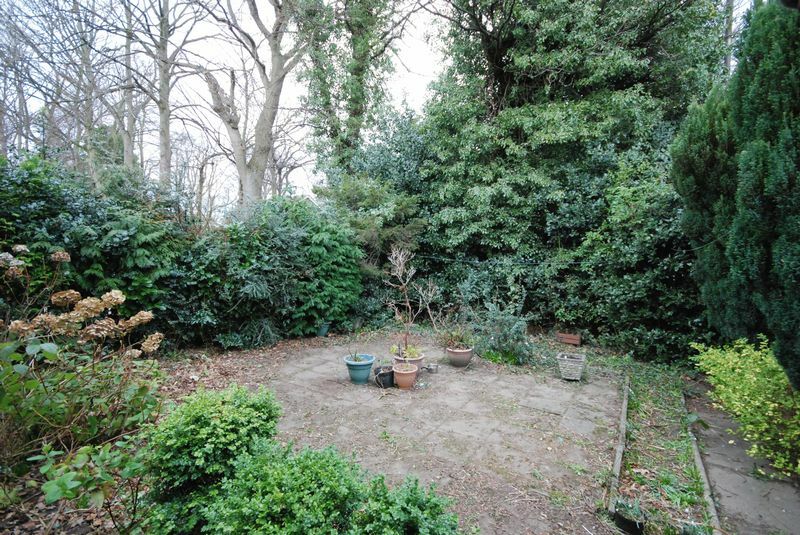 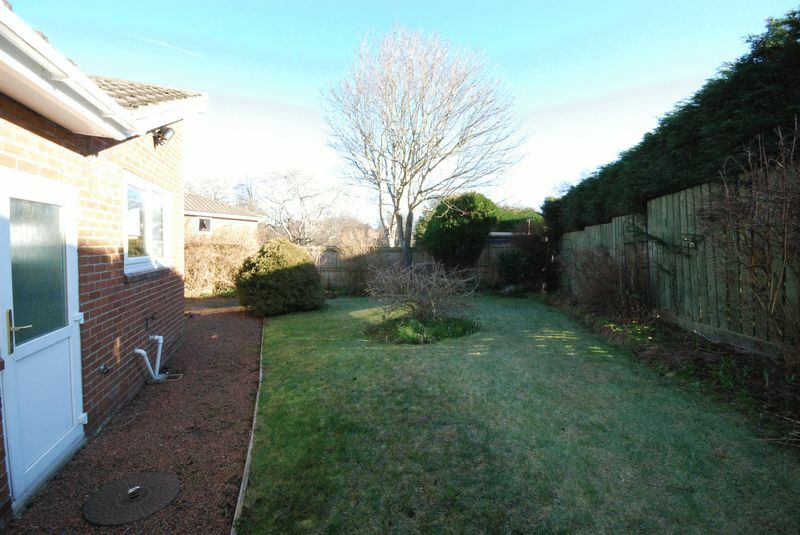 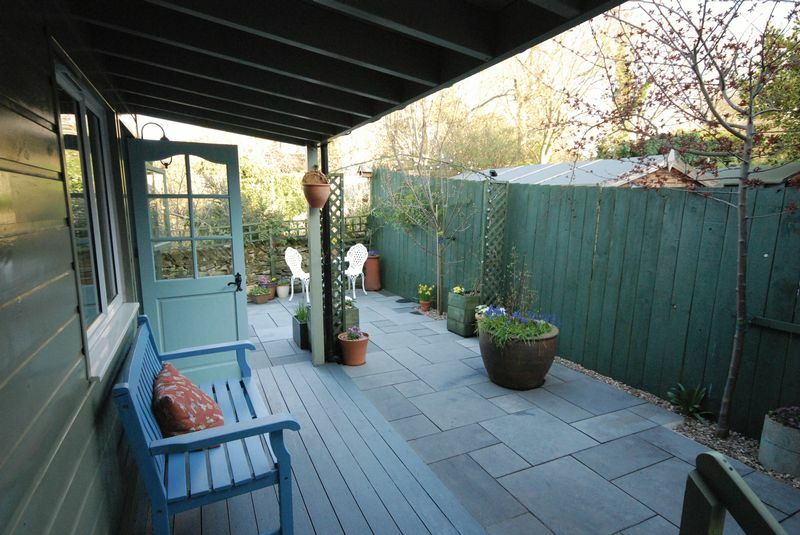 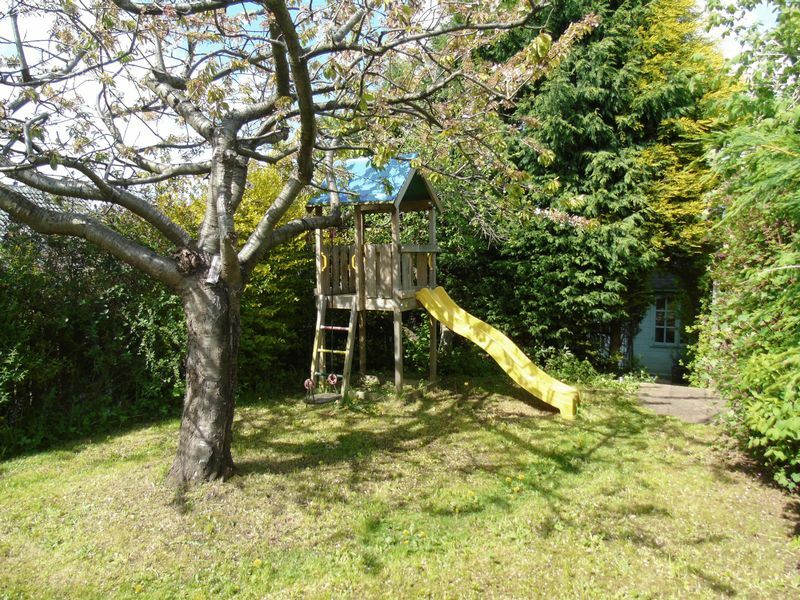 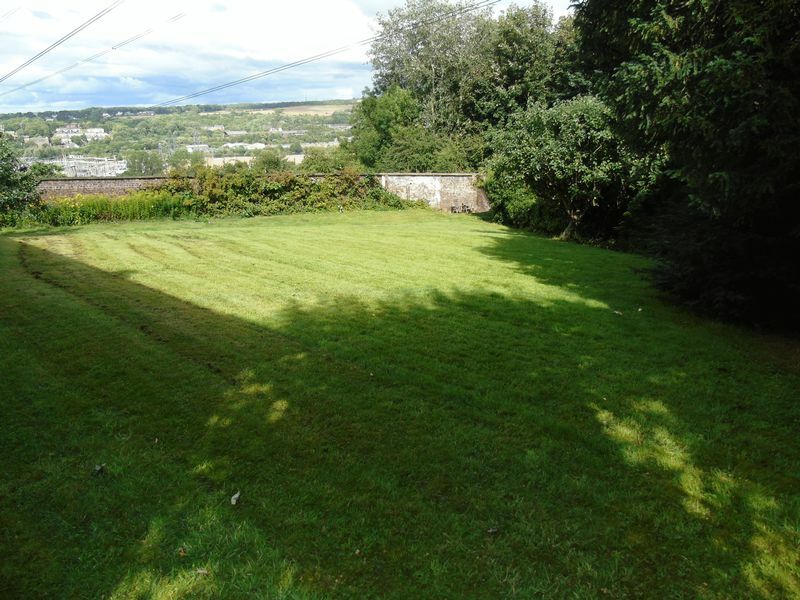 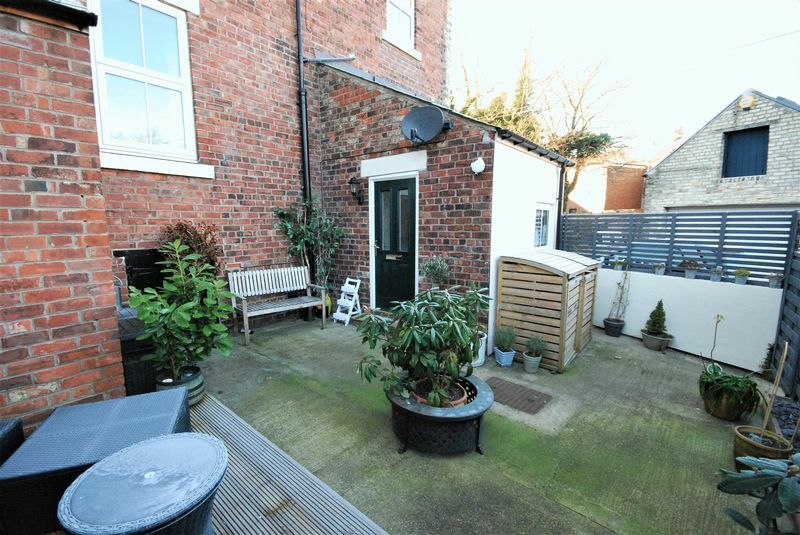 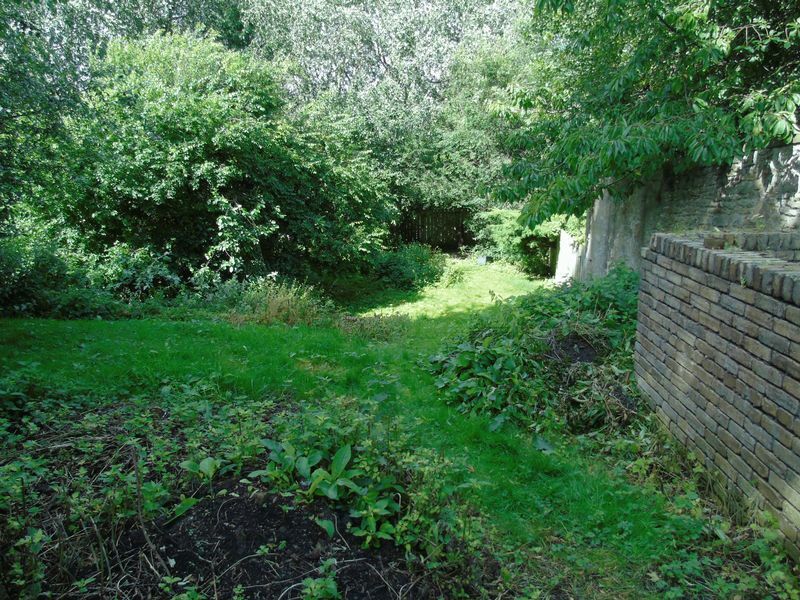 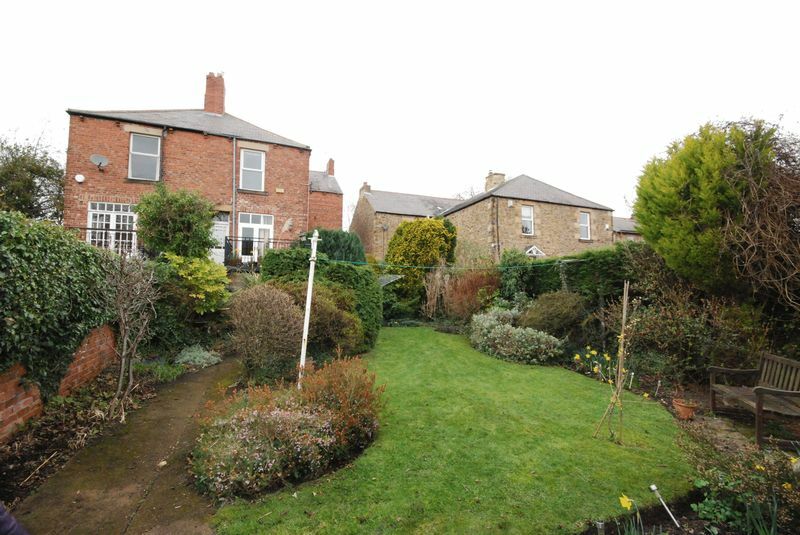 Externally, the property has a private garden to the front. 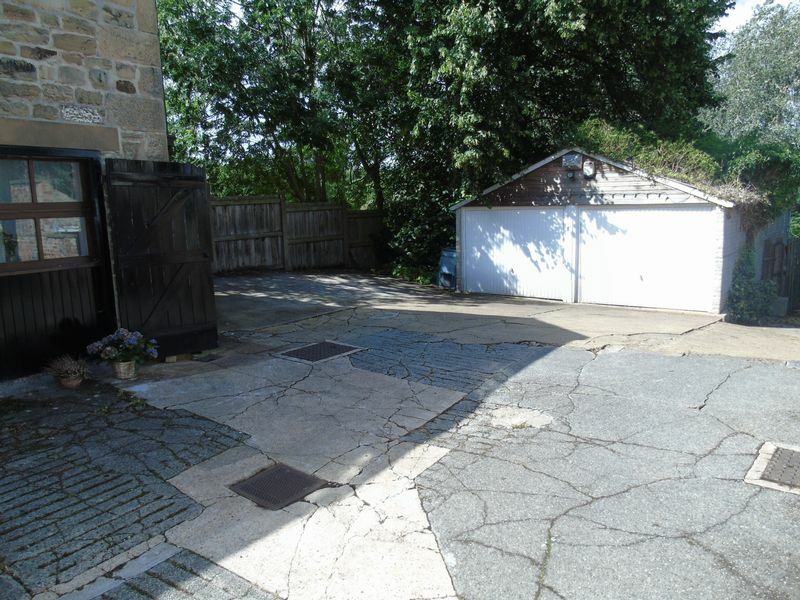 The driveway provides plenty of space for parking and leads to the attached garage. 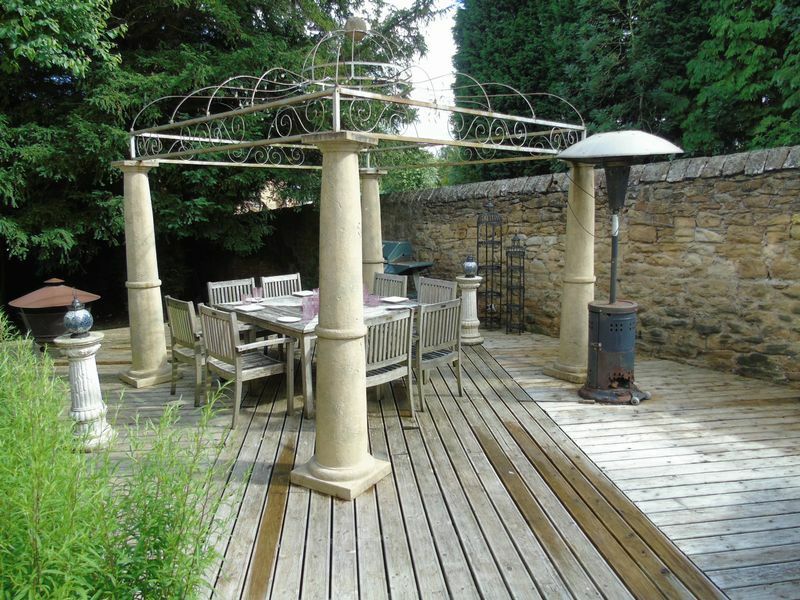 The fabulous rear garden is lawned with patio areas, a greenhouse and an array of mature plants, trees and shrubs. 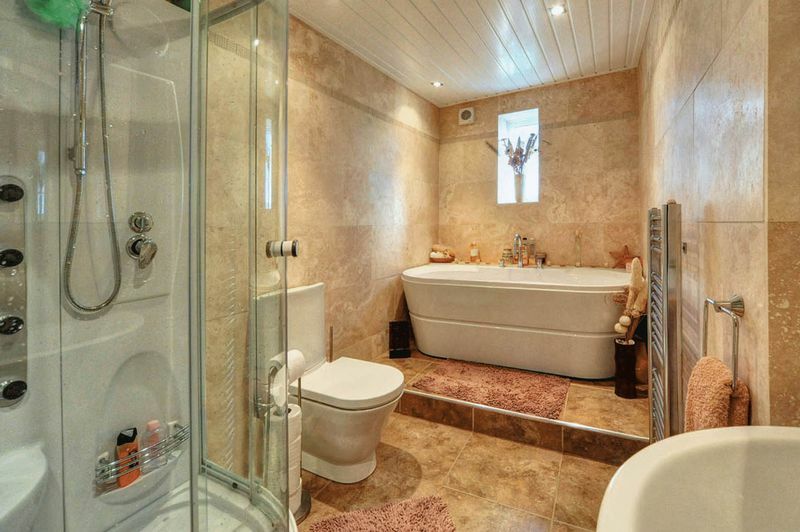 Viewing is essential to truly appreciate the size and style of this superb home. 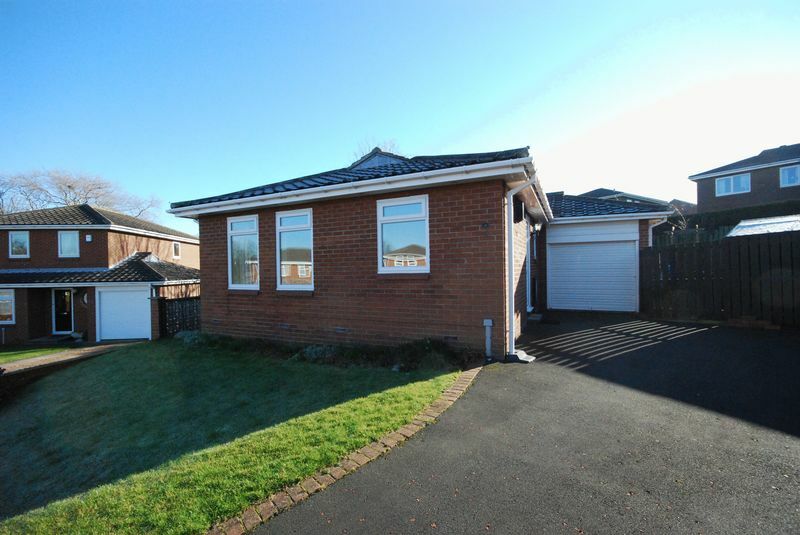 An immaculate detached bungalow situated in within easy reach of the excellent amenities of Ryton. 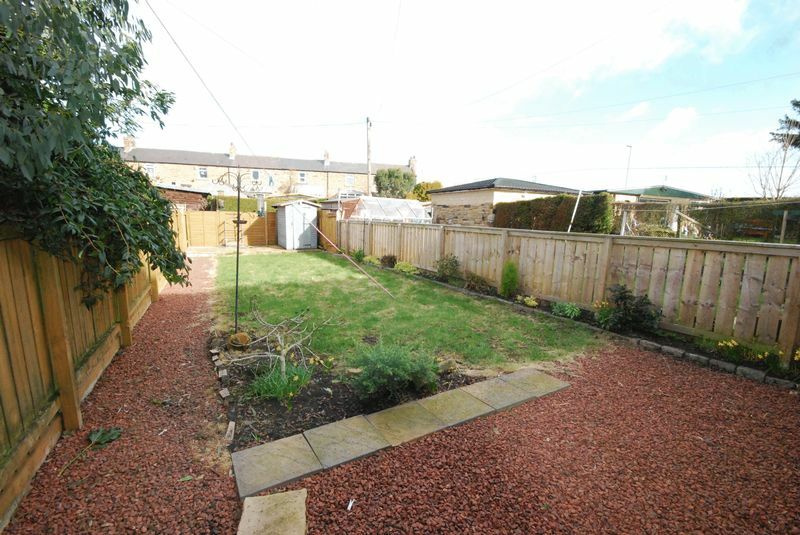 This property has been perfectly updated and maintained by the current owner and benefits from low maintenance front and rear gardens. 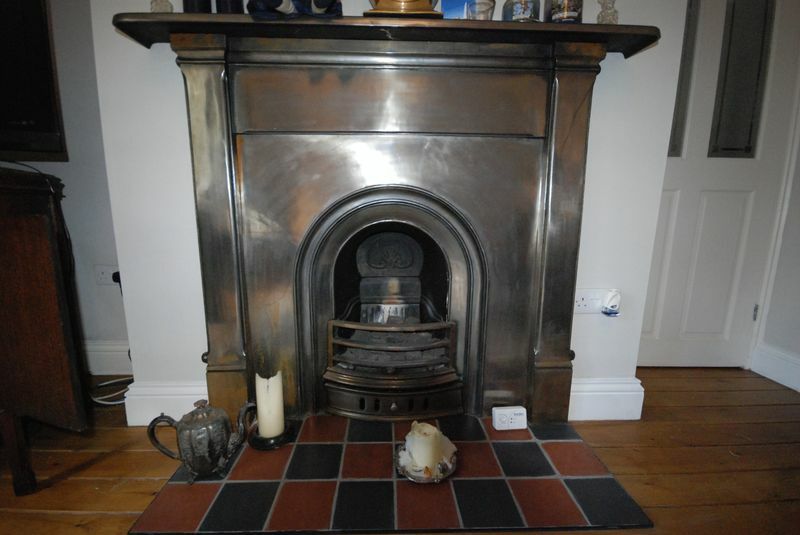 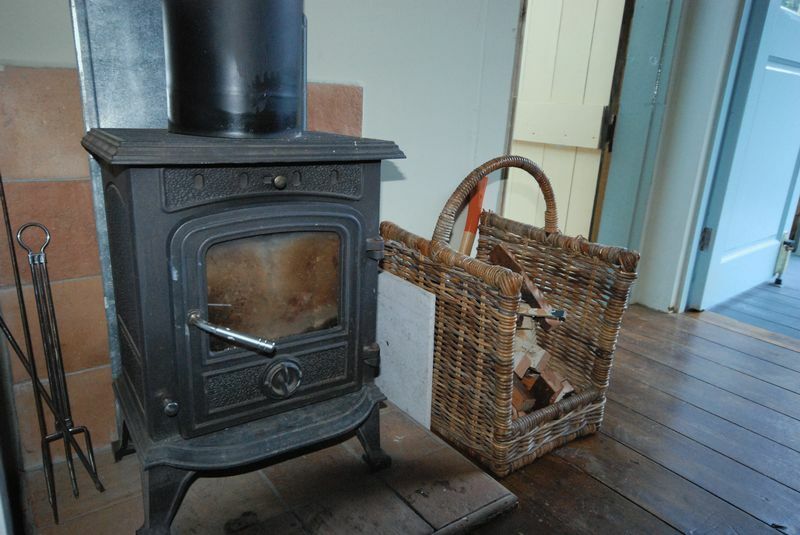 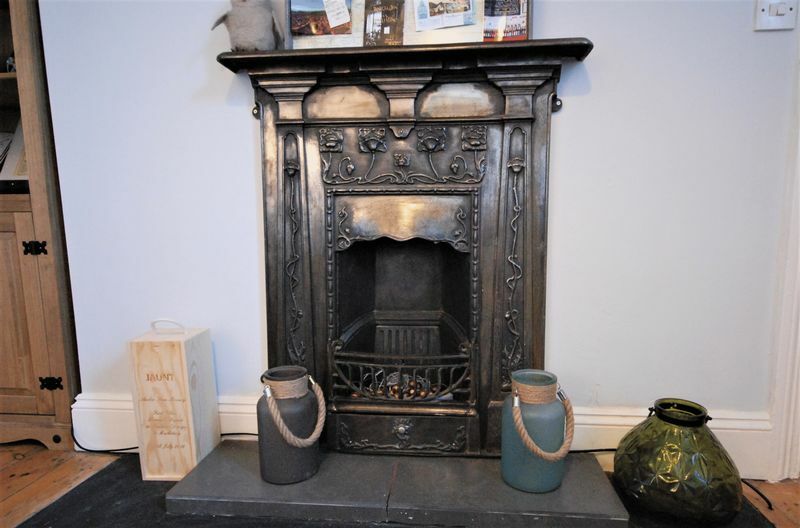 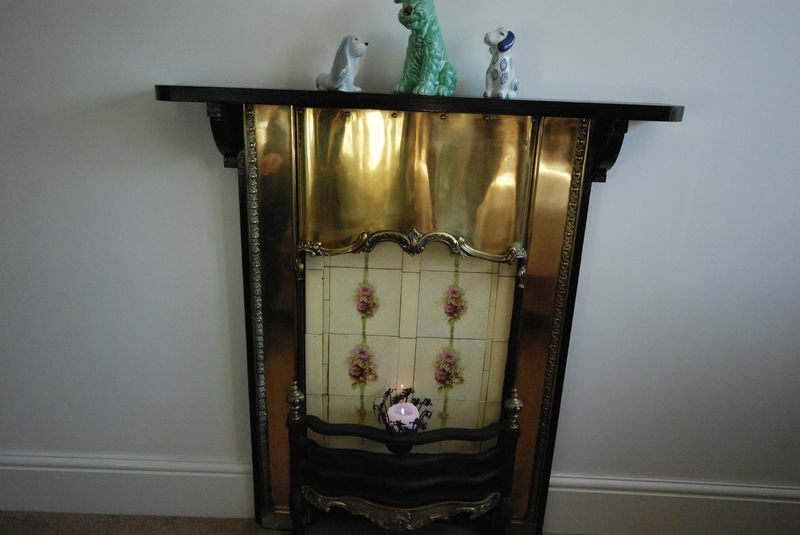 It’s fired with gas central heating and has double glazing throughout. 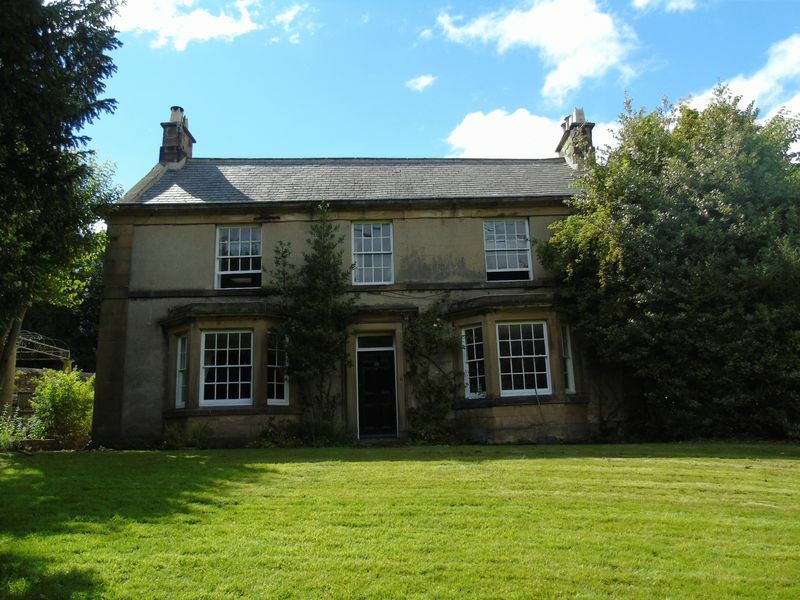 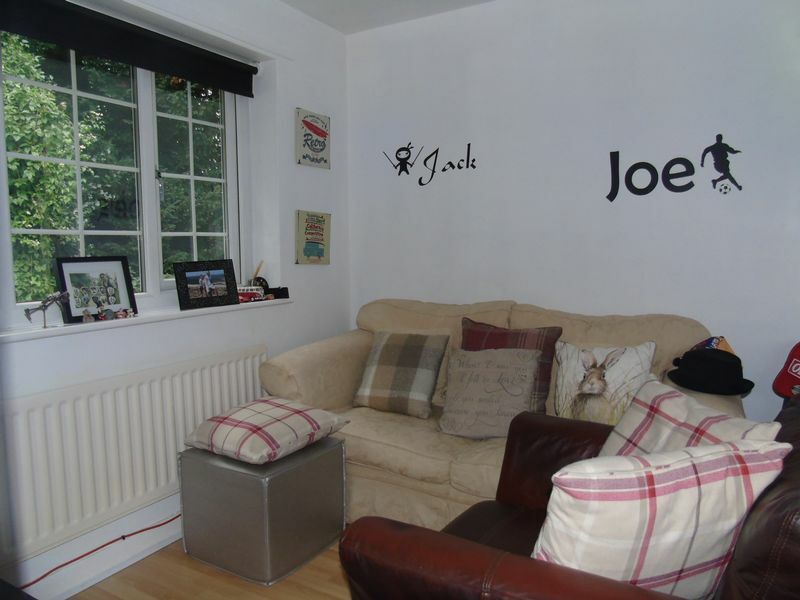 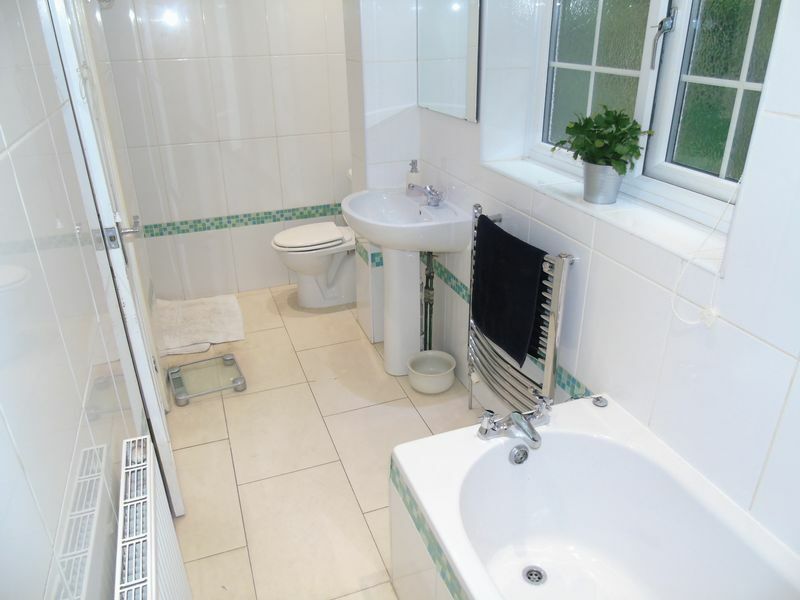 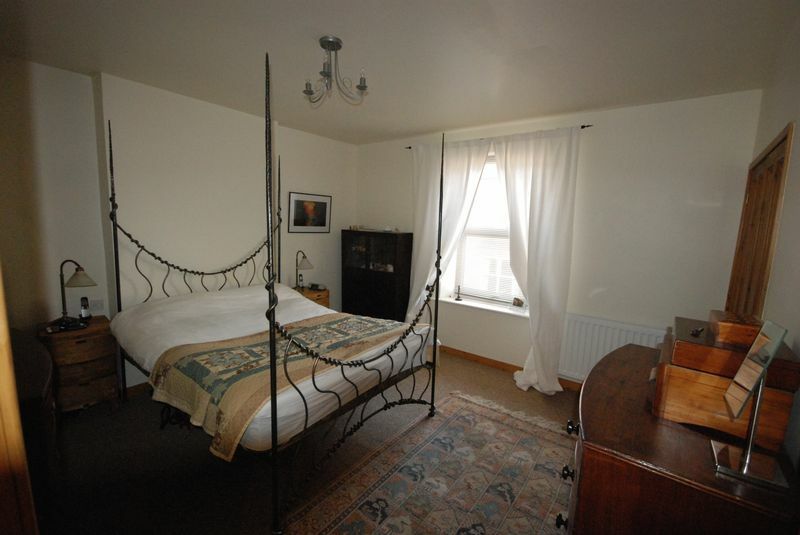 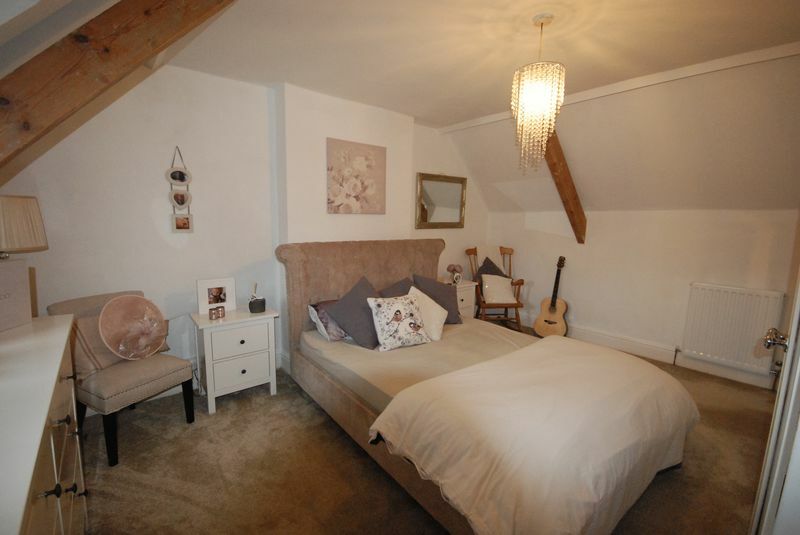 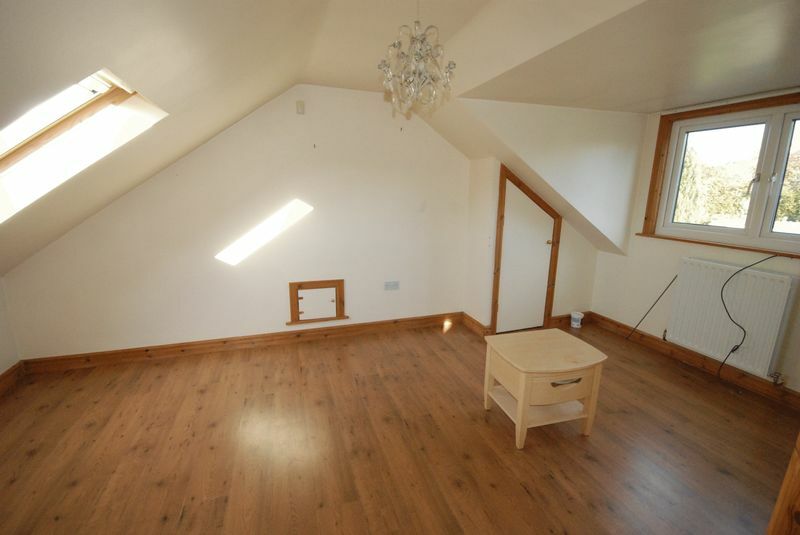 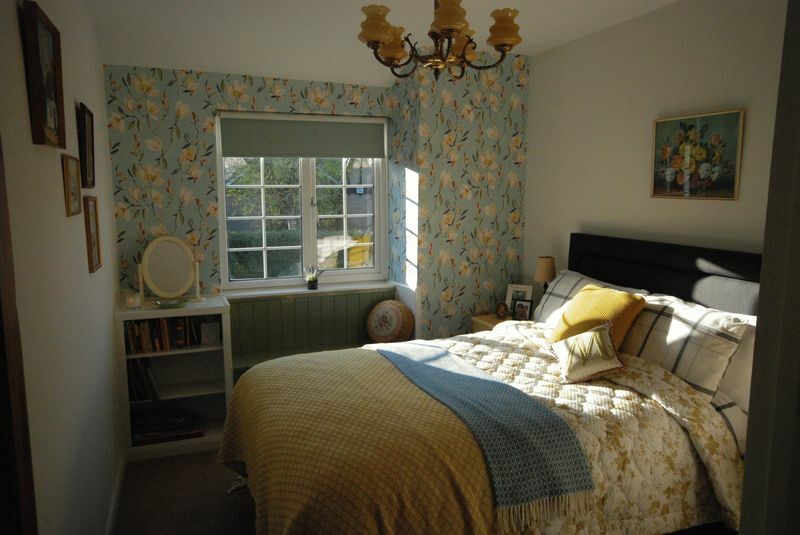 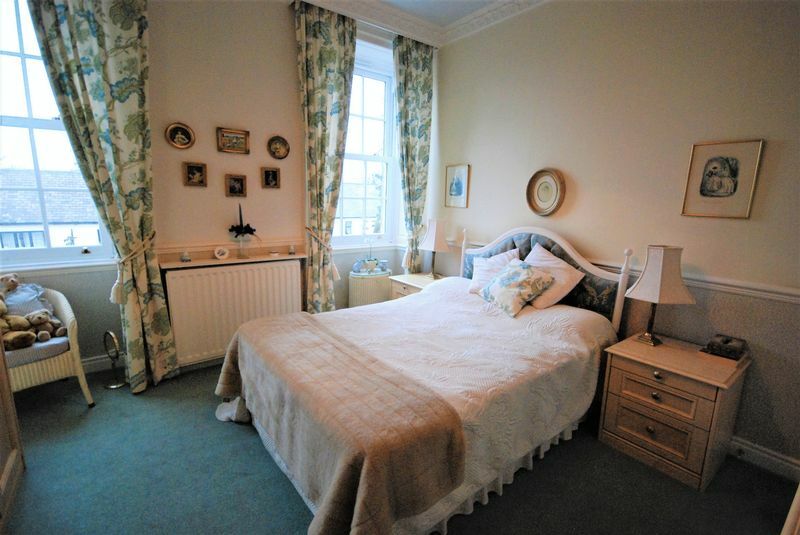 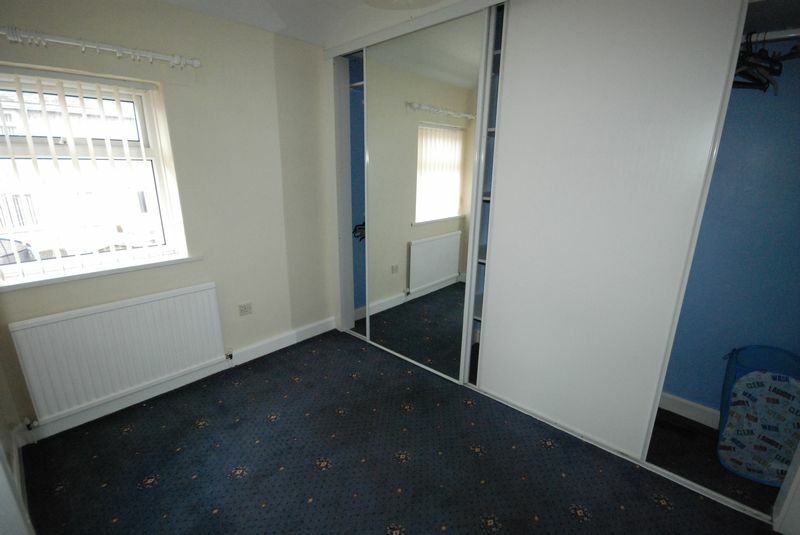 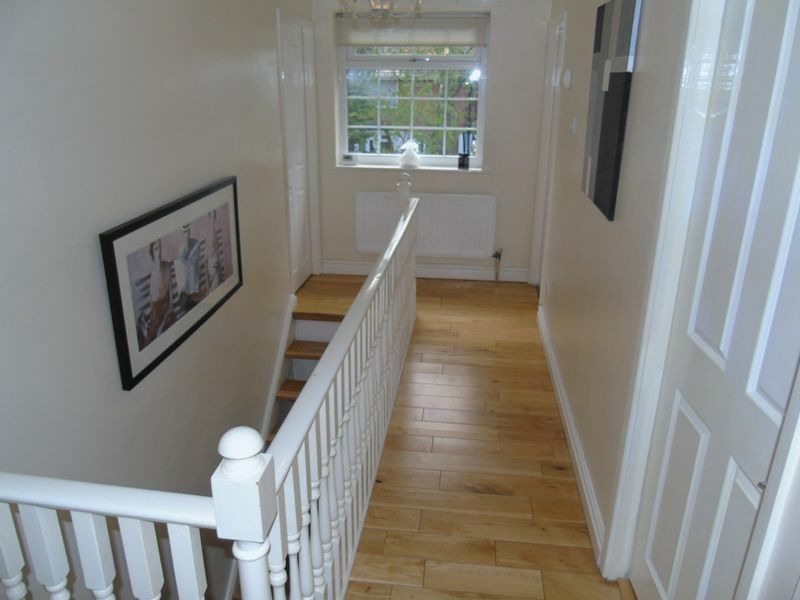 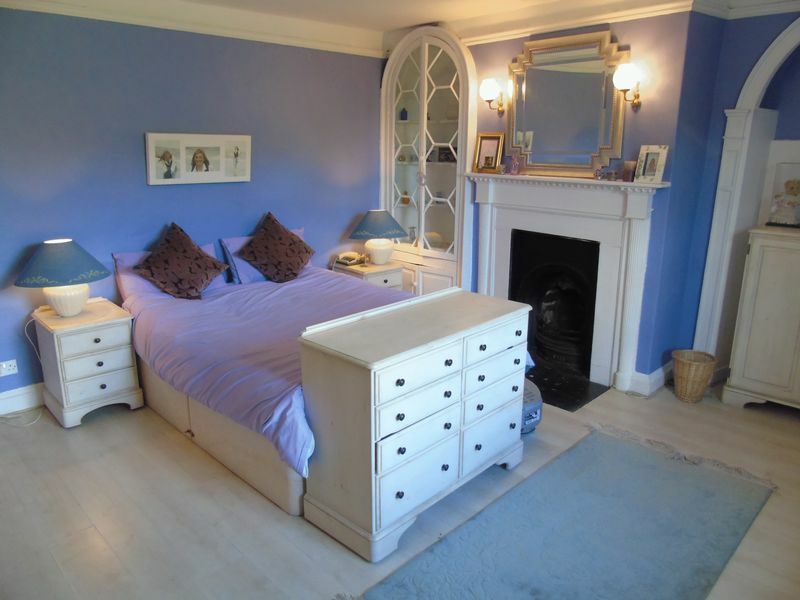 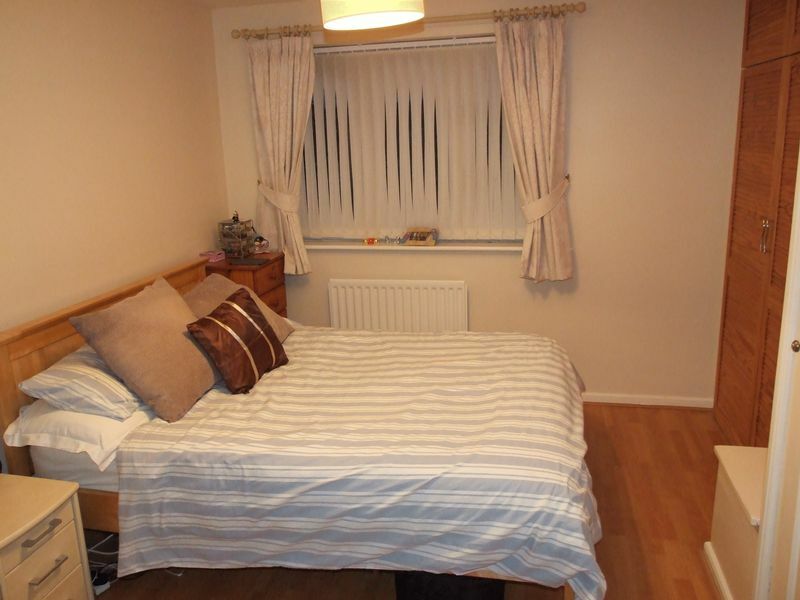 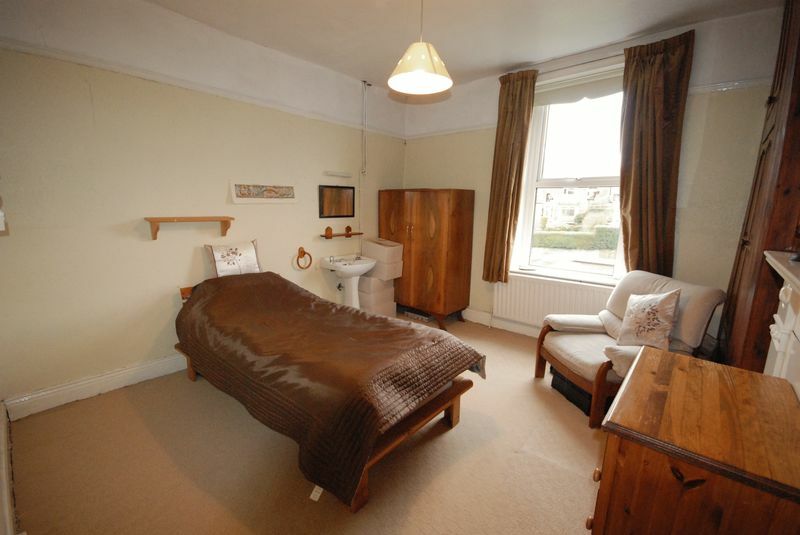 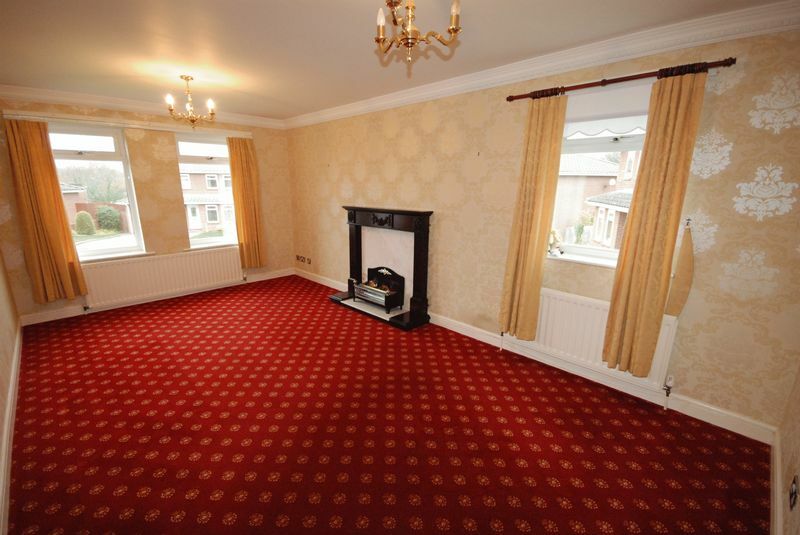 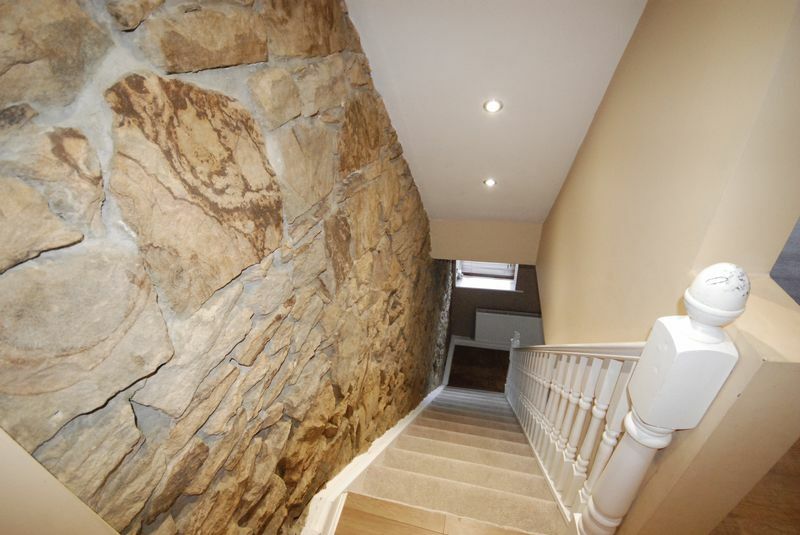 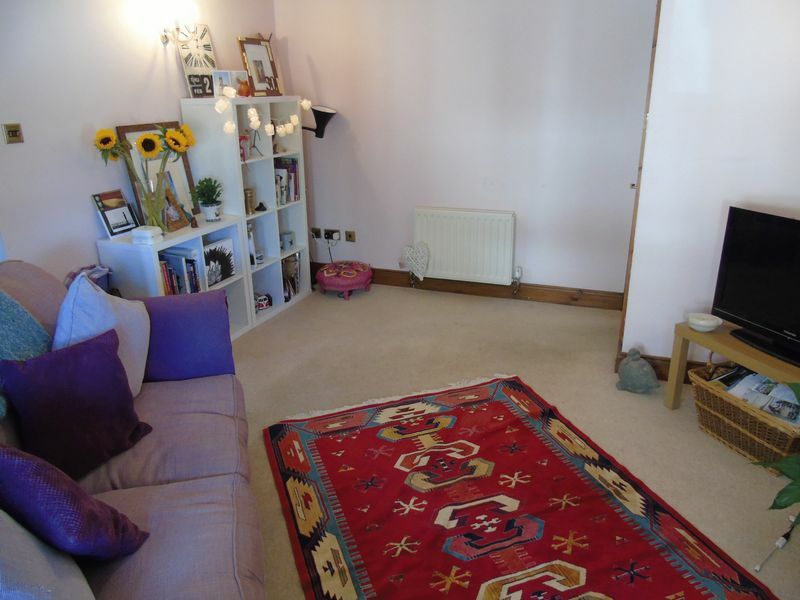 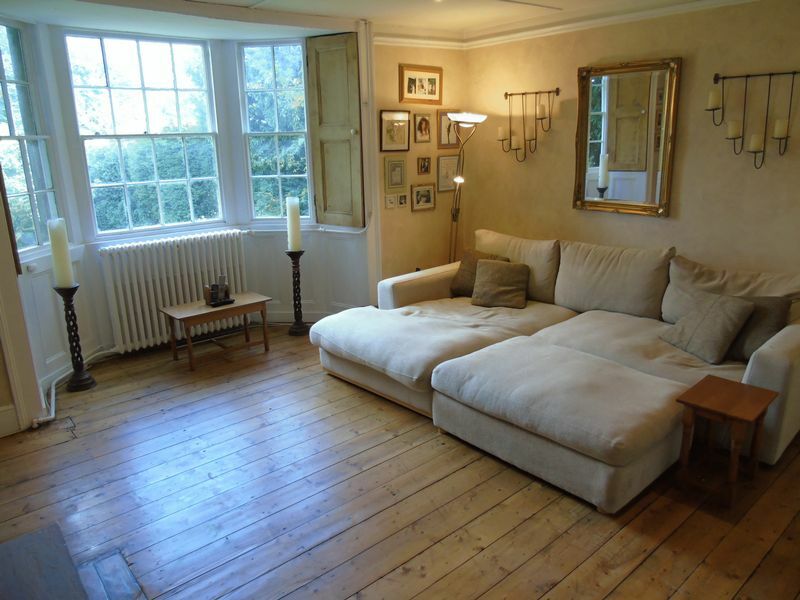 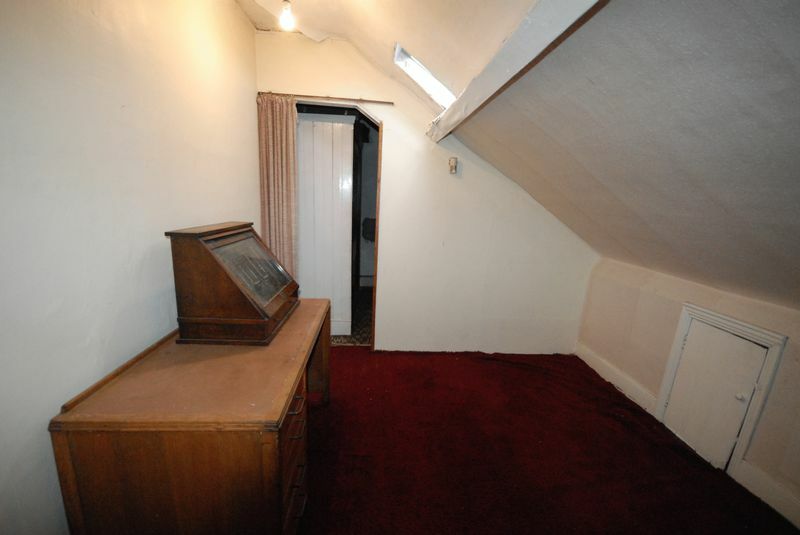 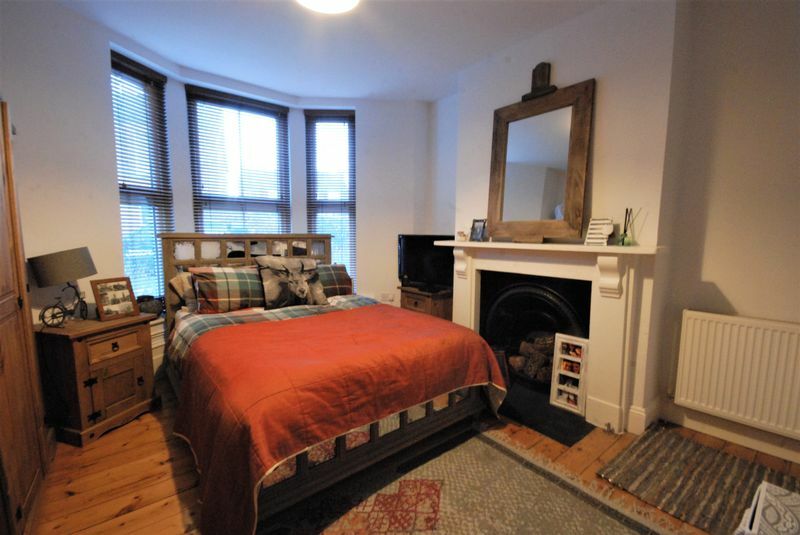 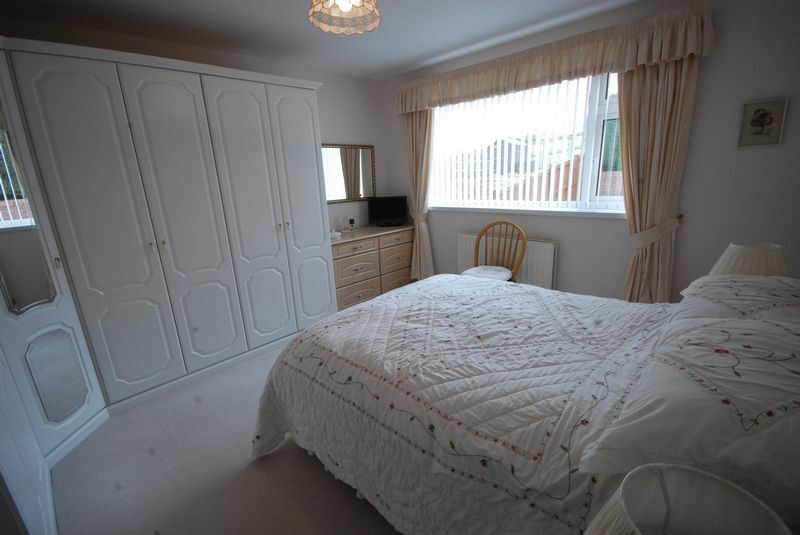 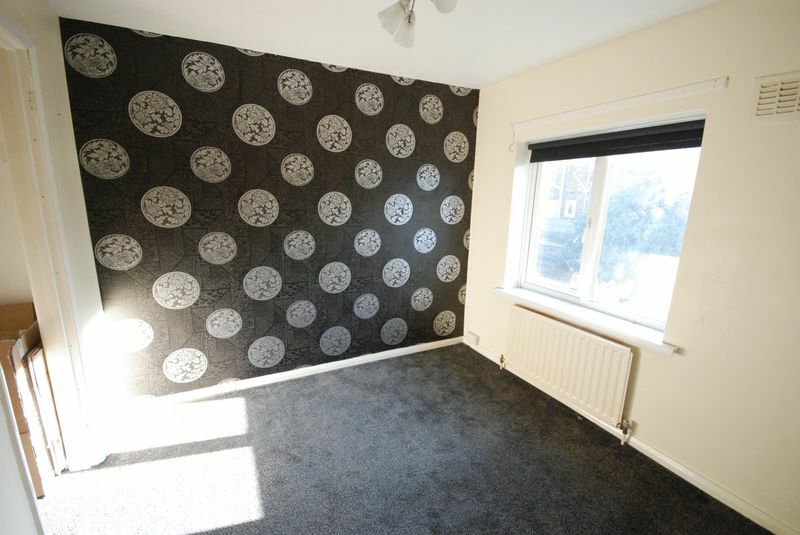 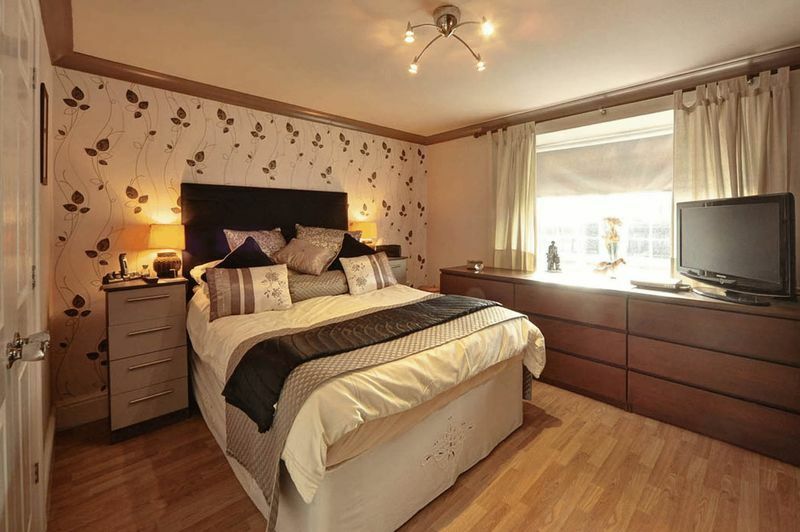 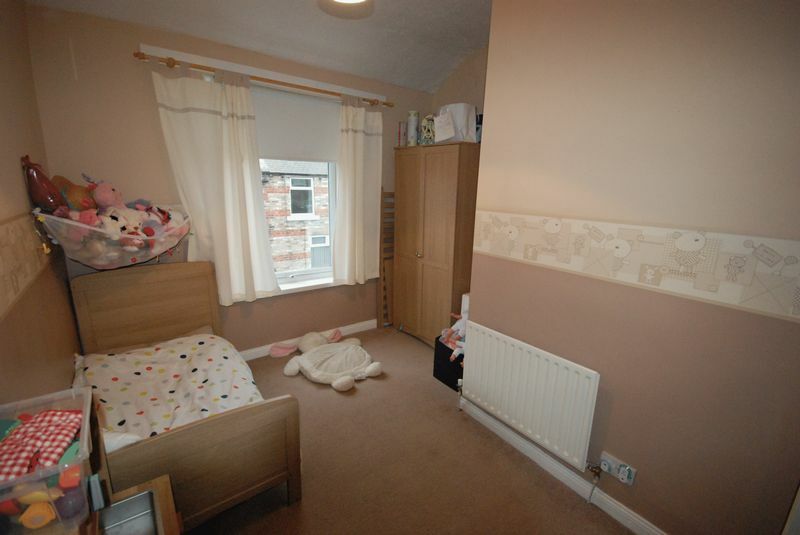 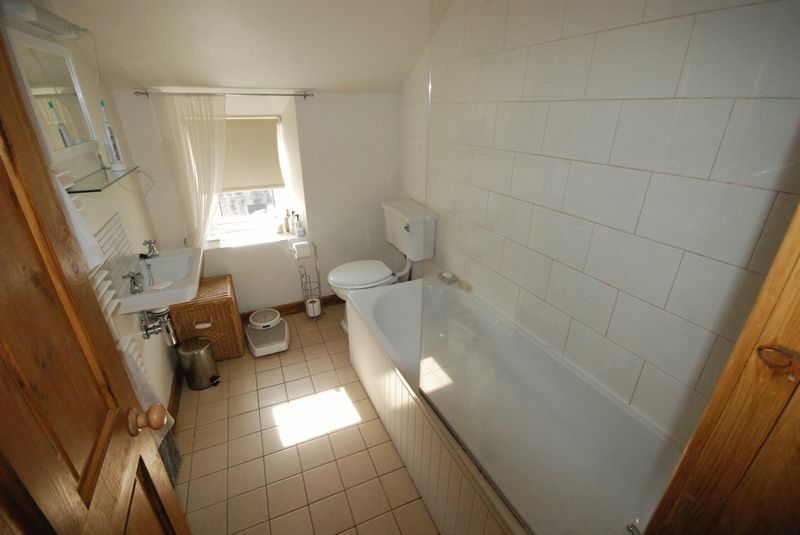 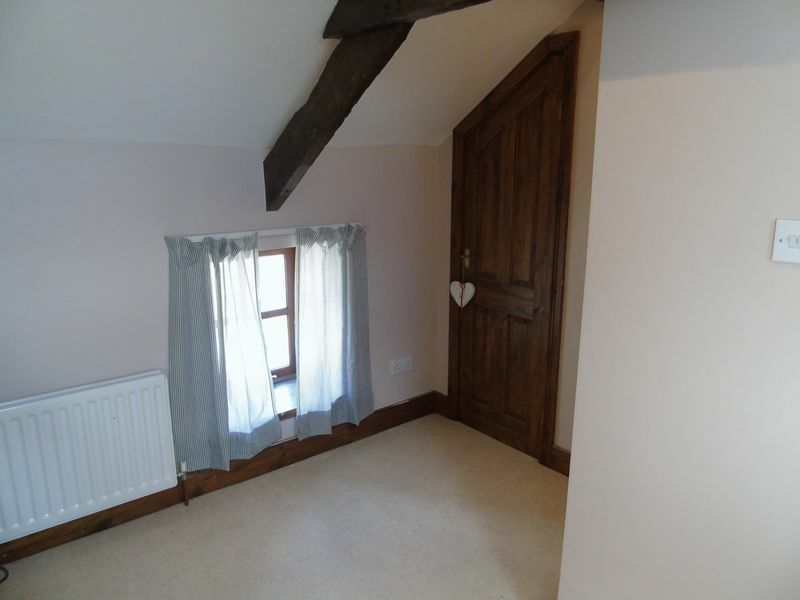 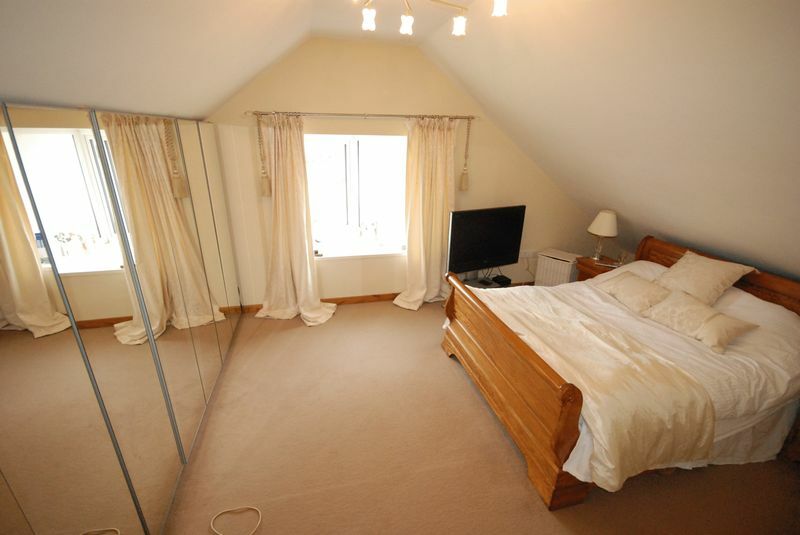 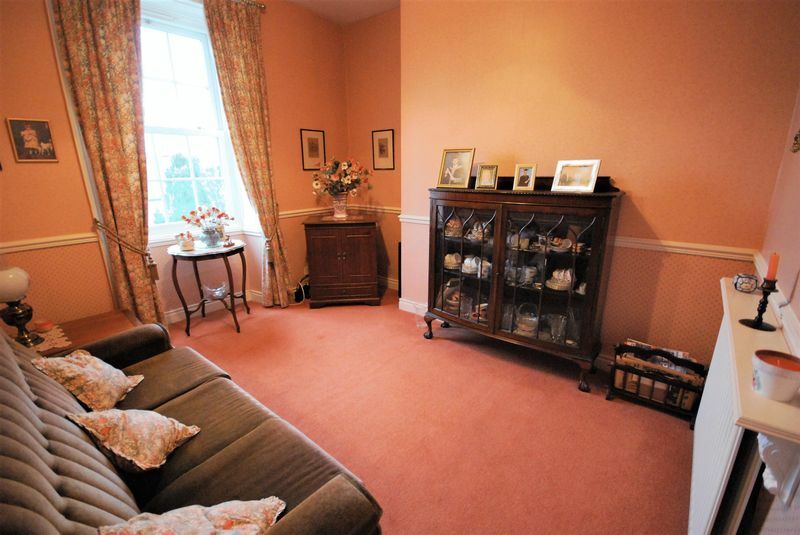 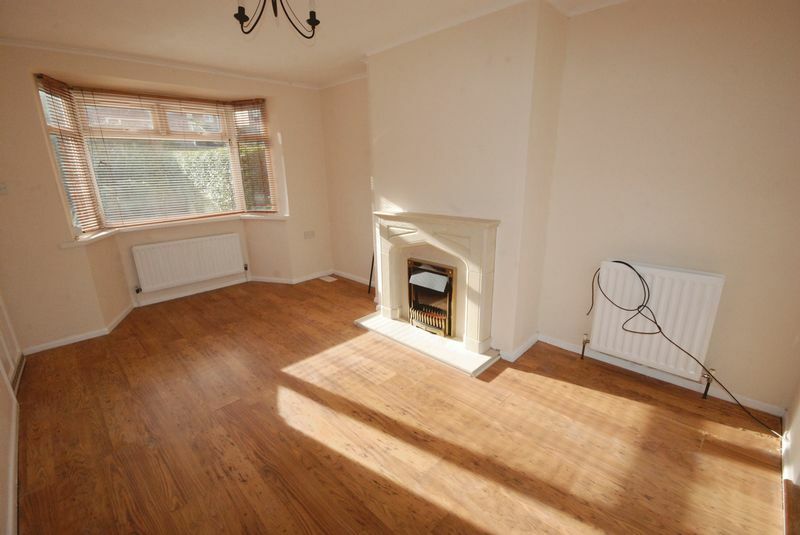 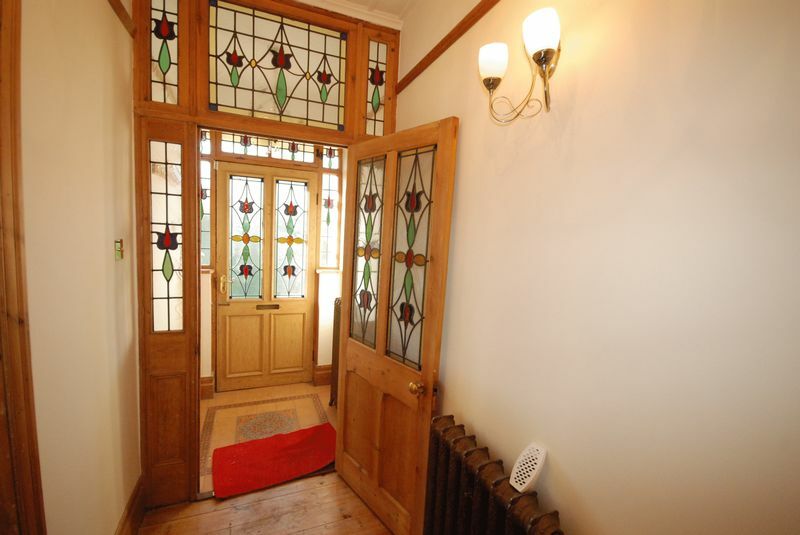 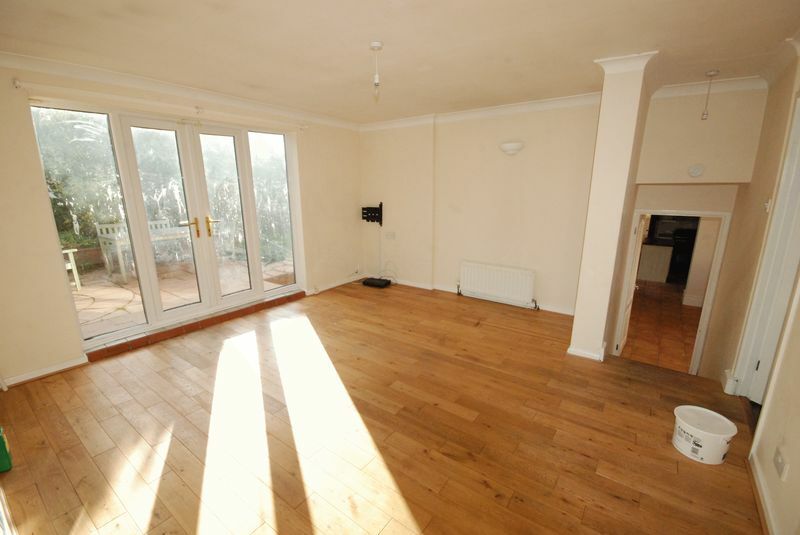 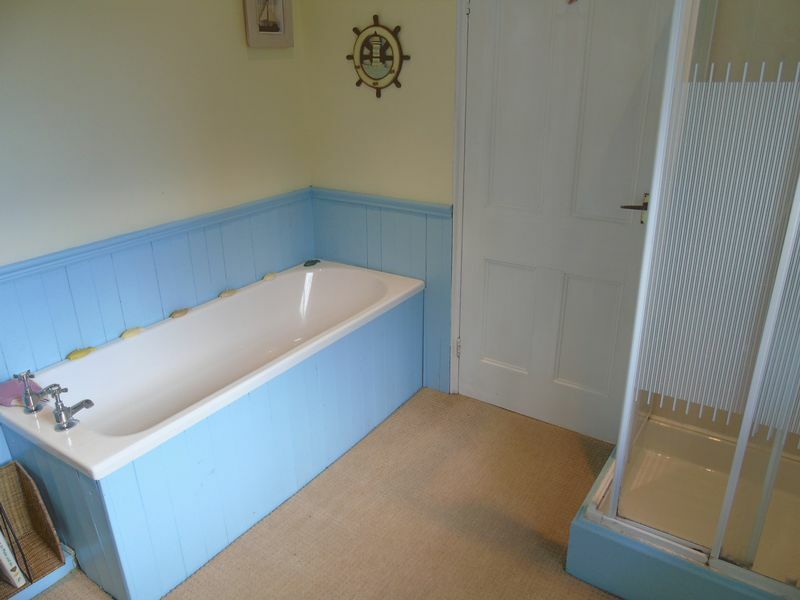 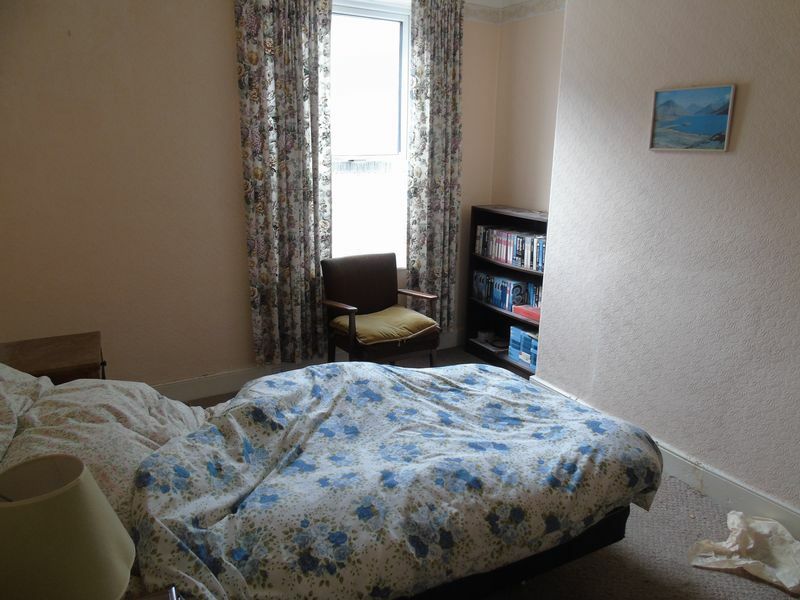 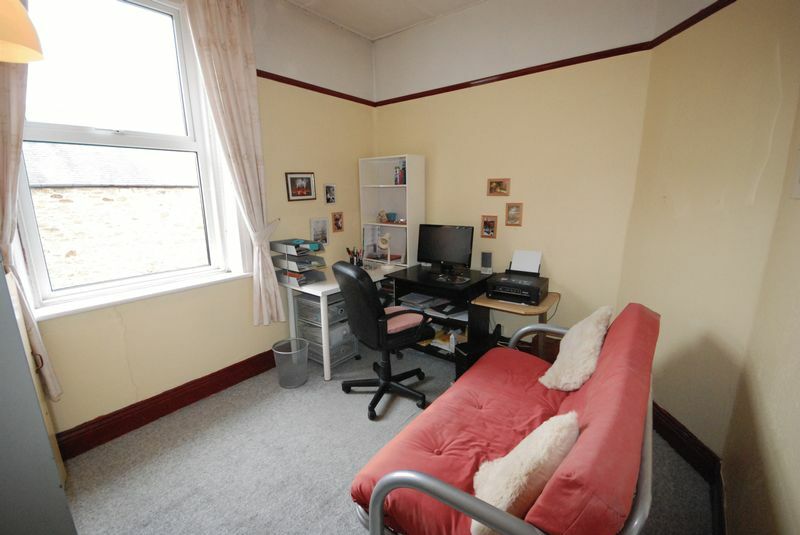 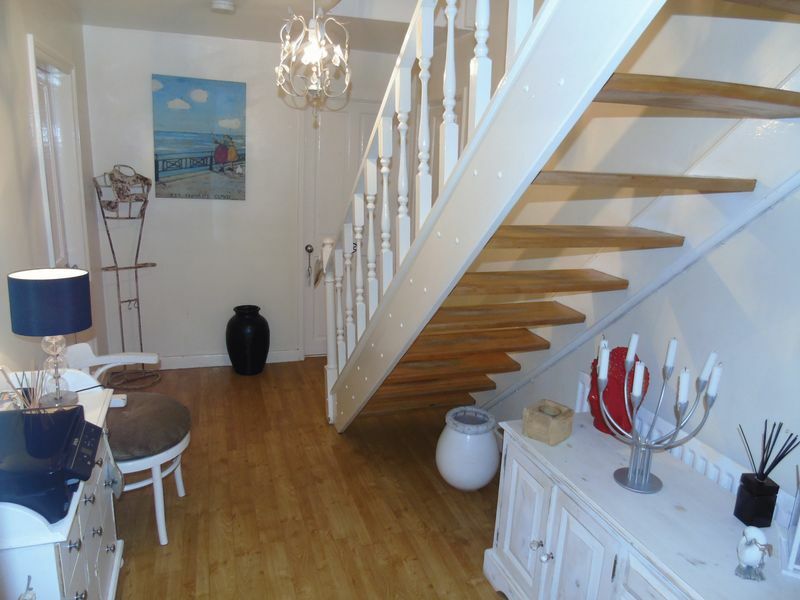 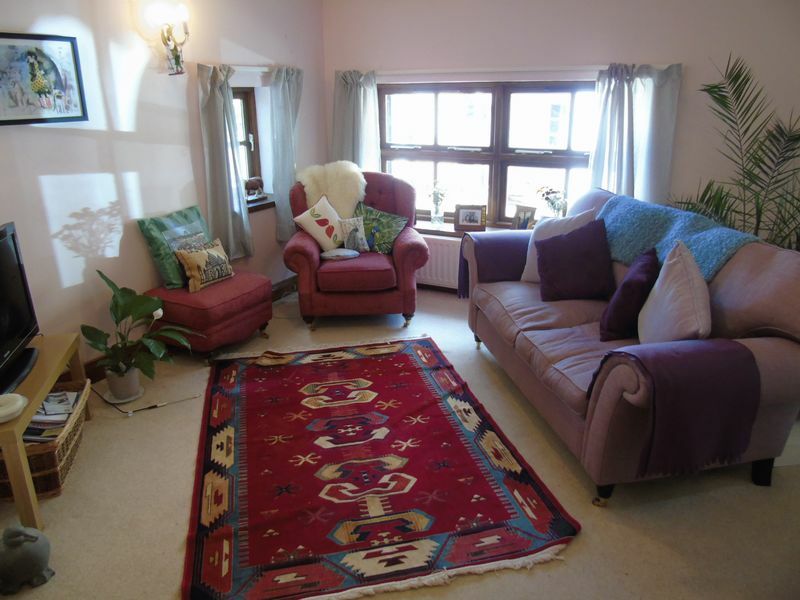 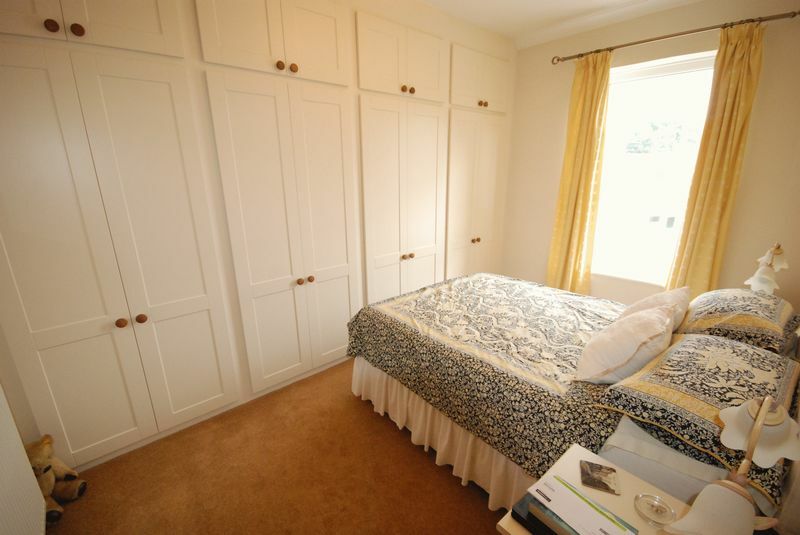 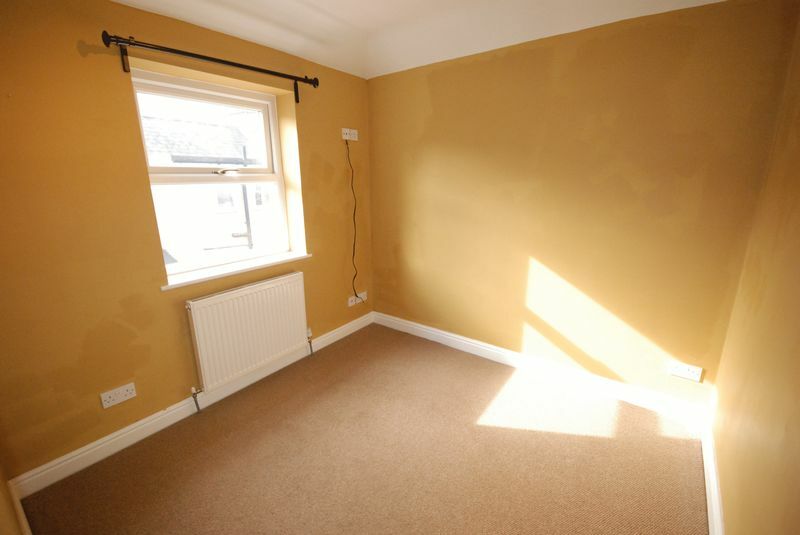 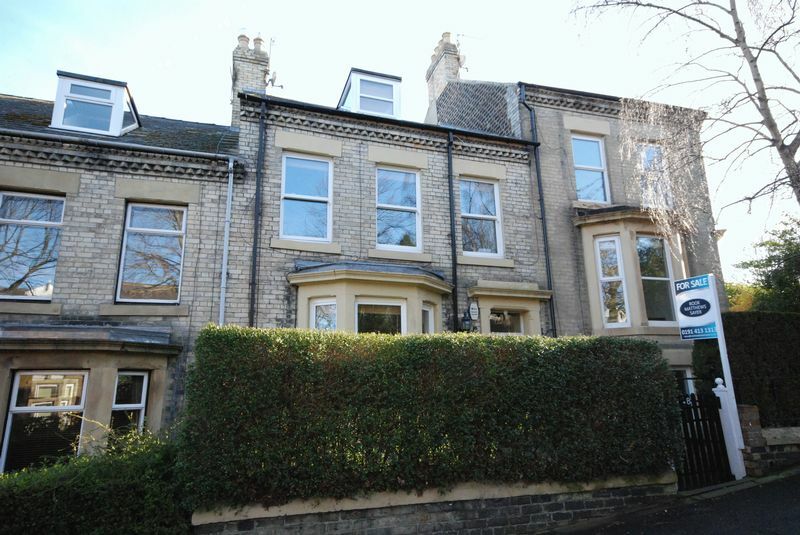 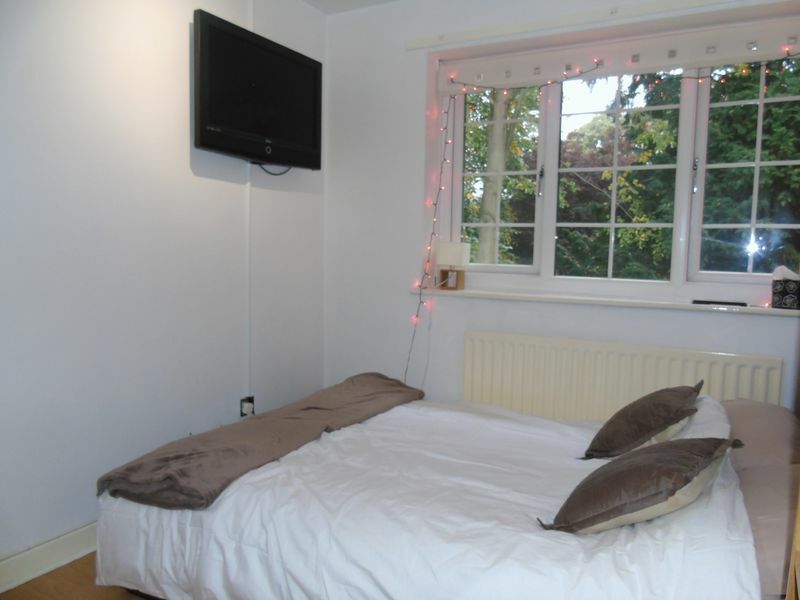 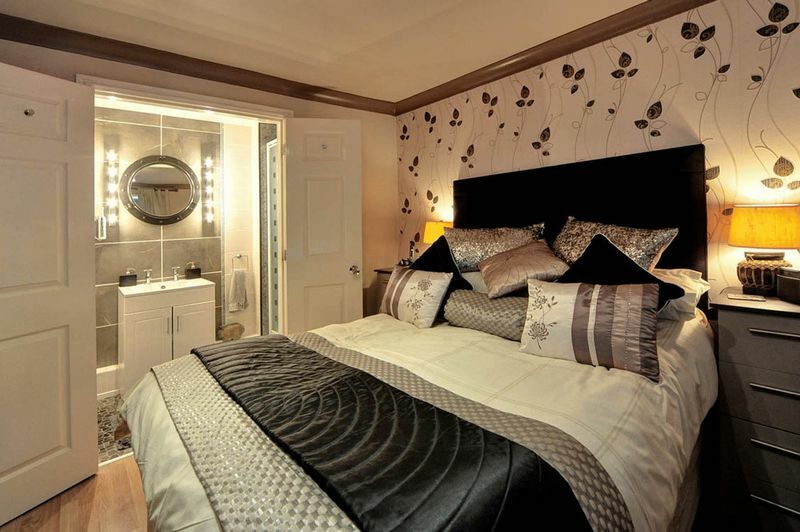 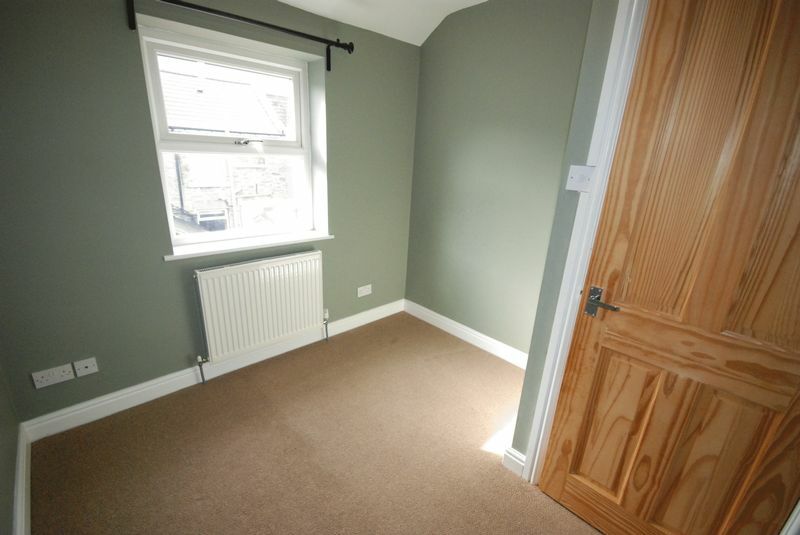 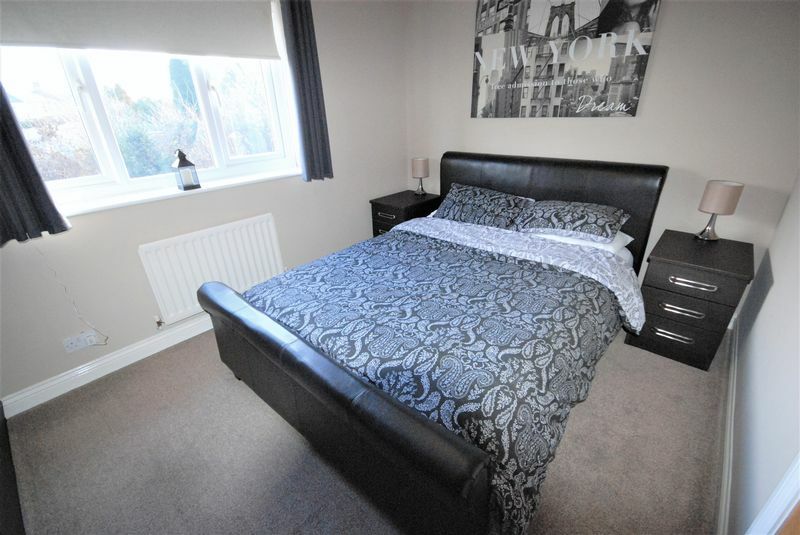 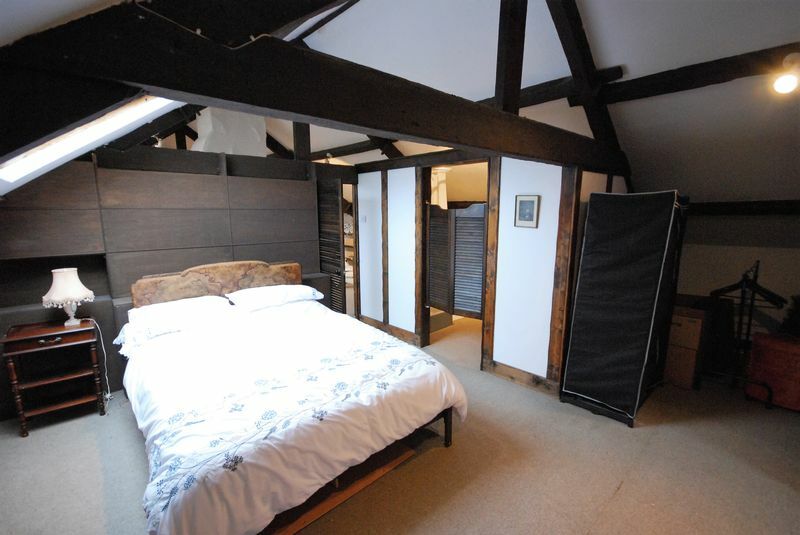 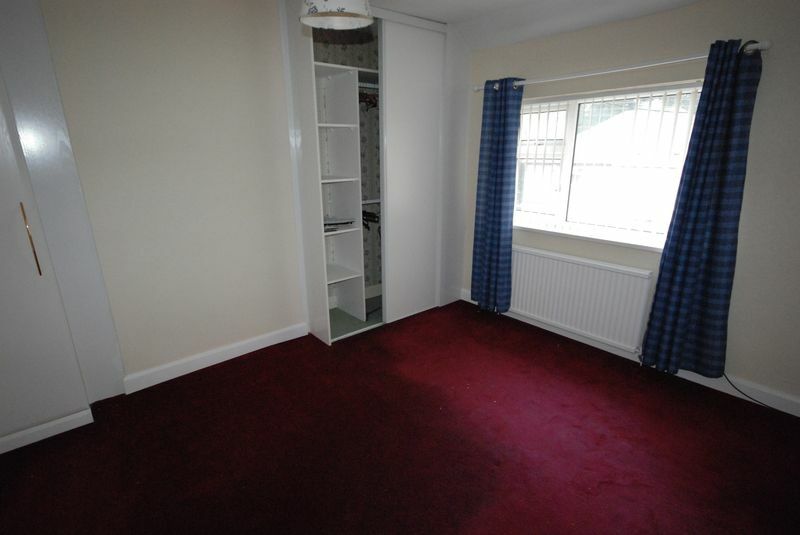 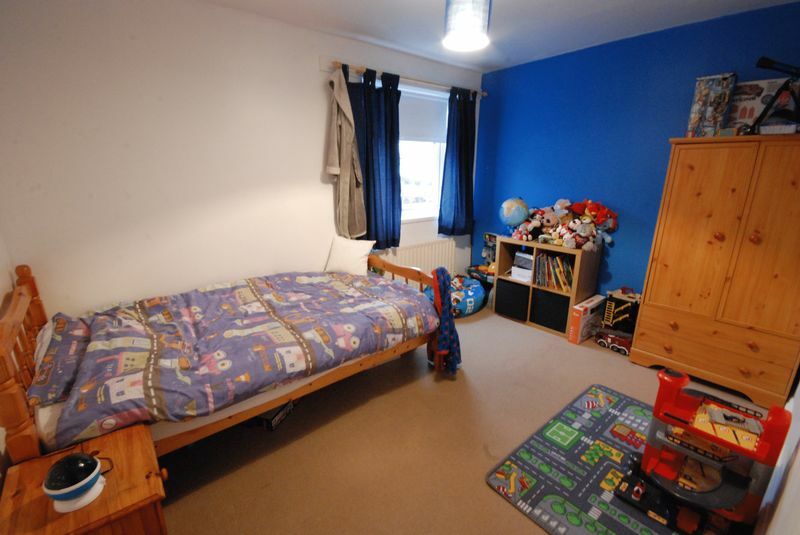 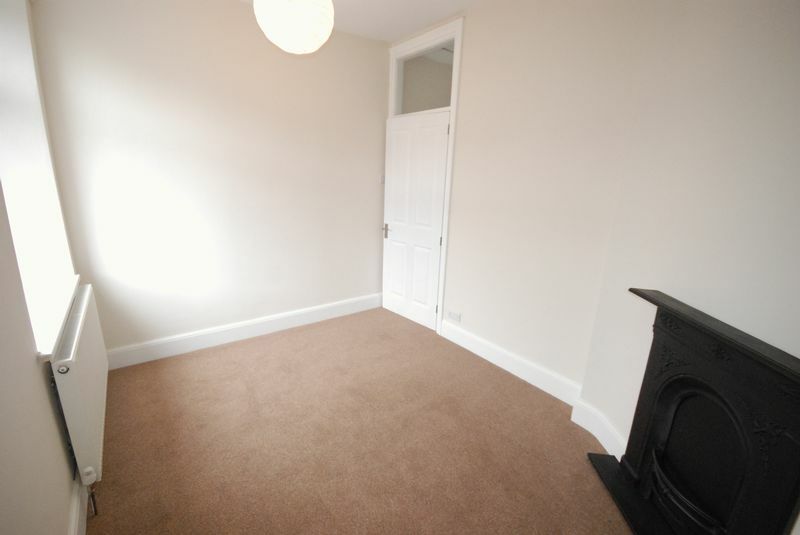 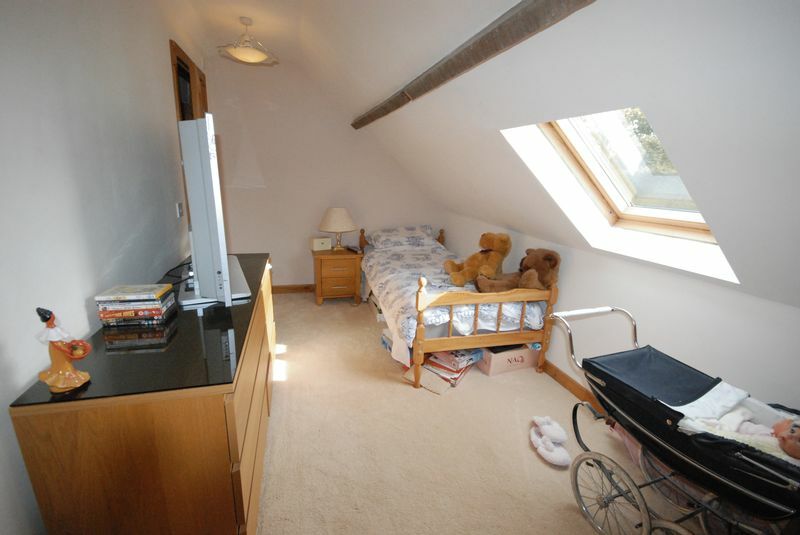 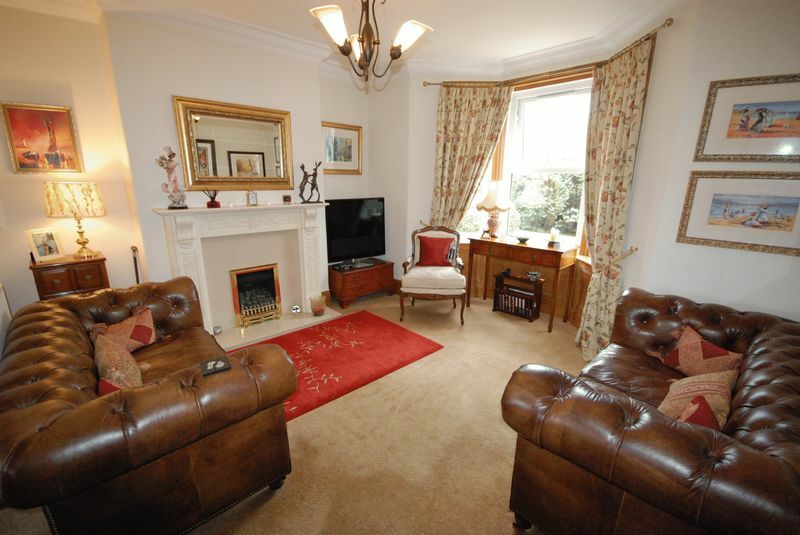 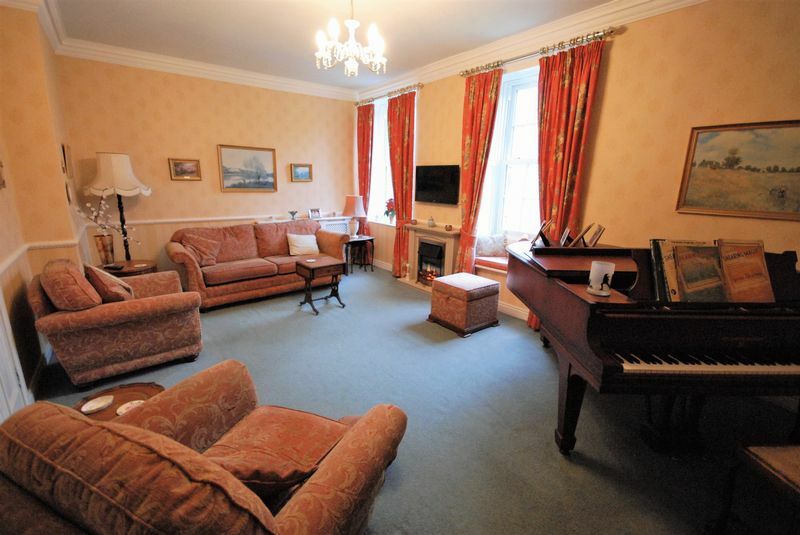 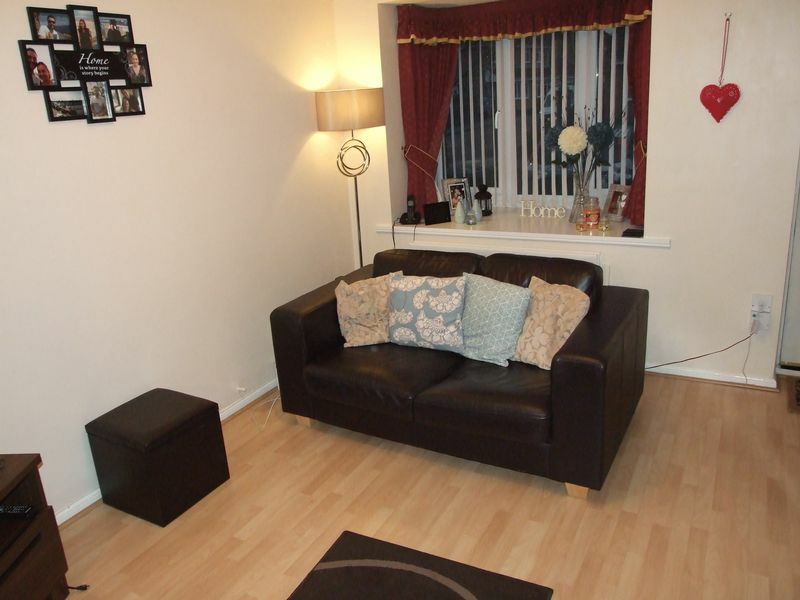 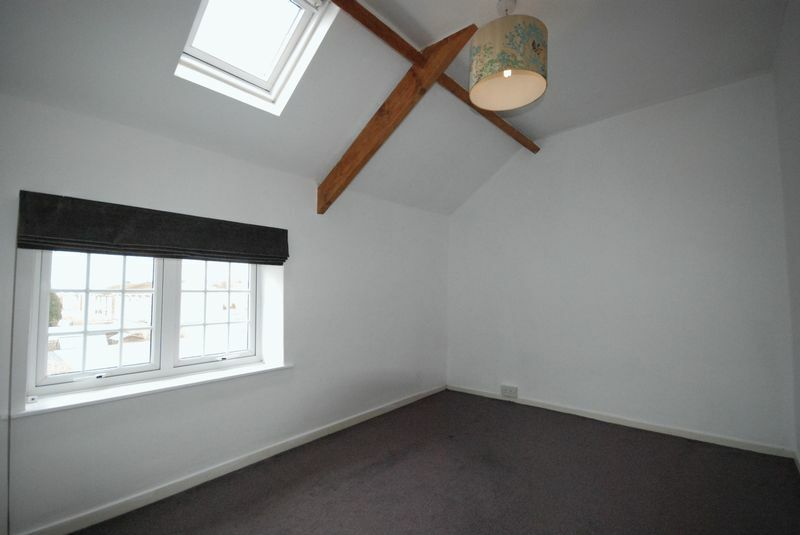 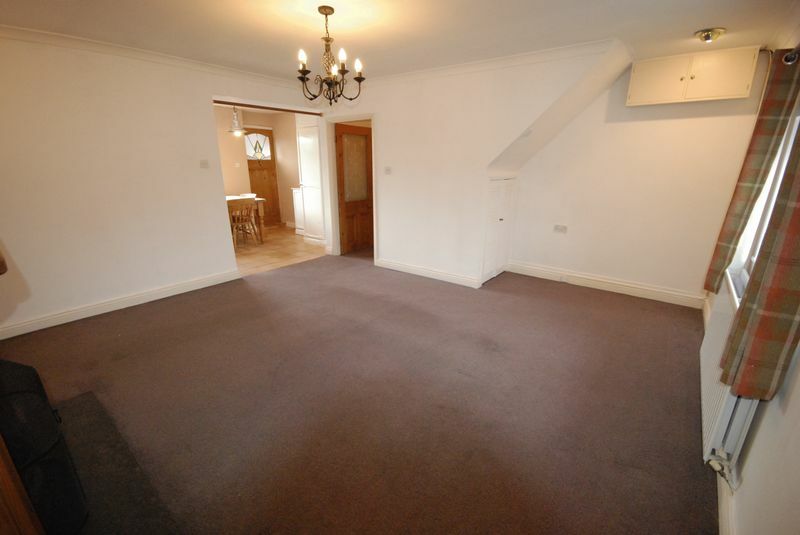 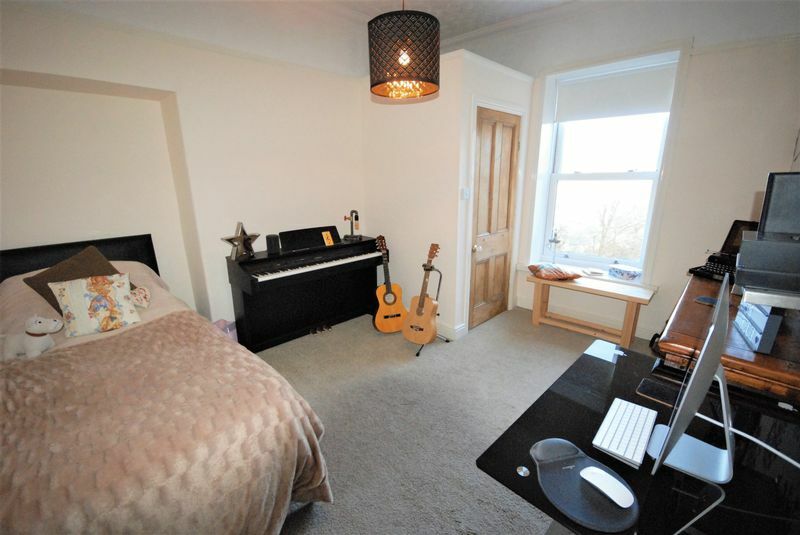 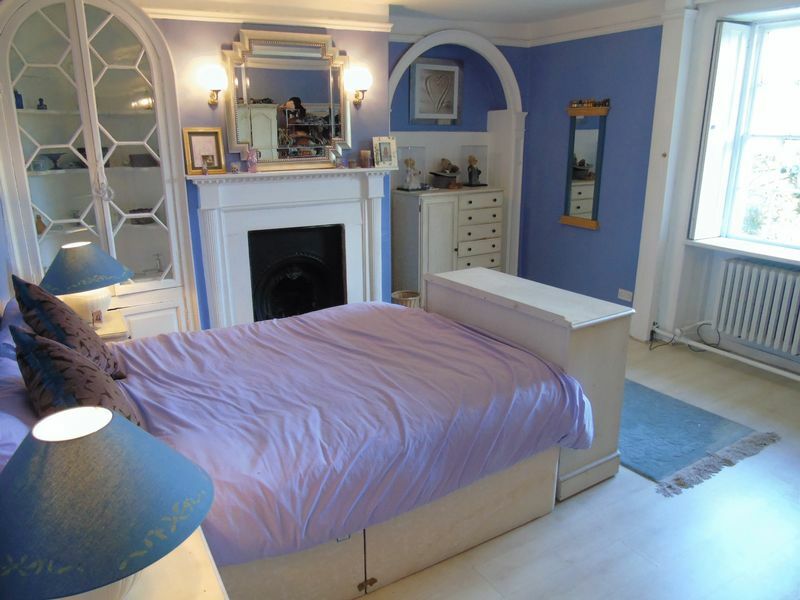 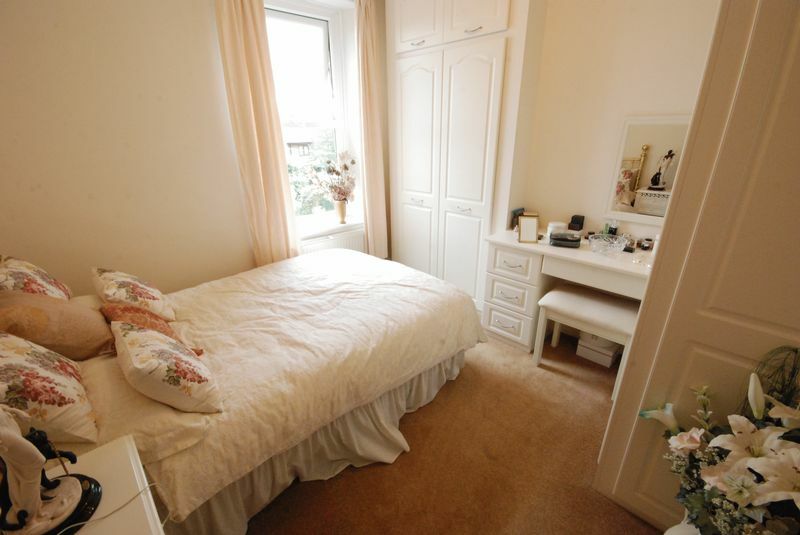 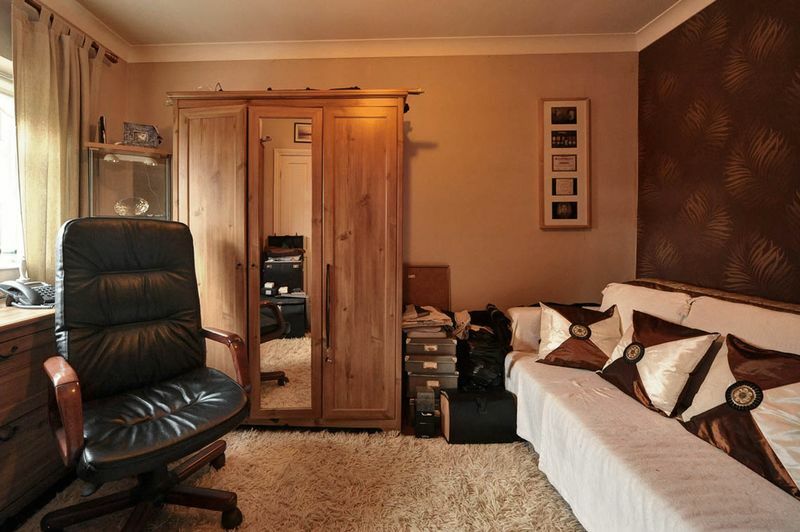 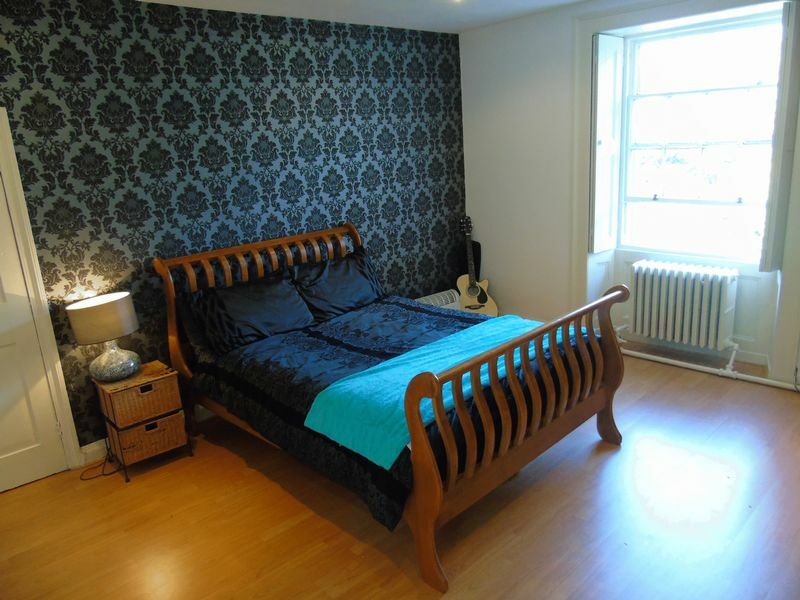 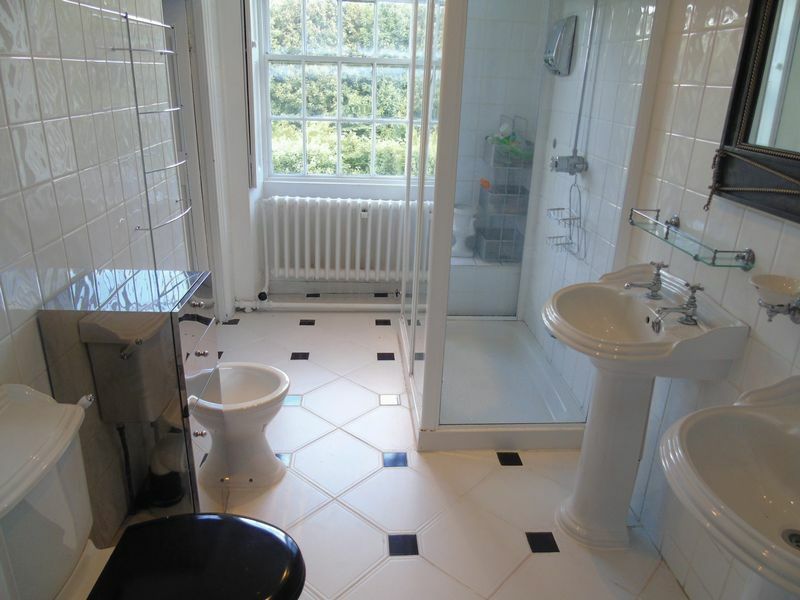 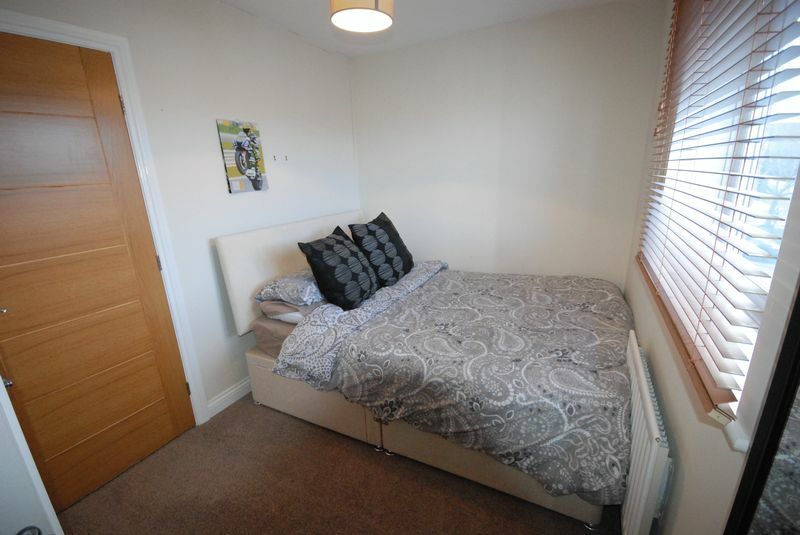 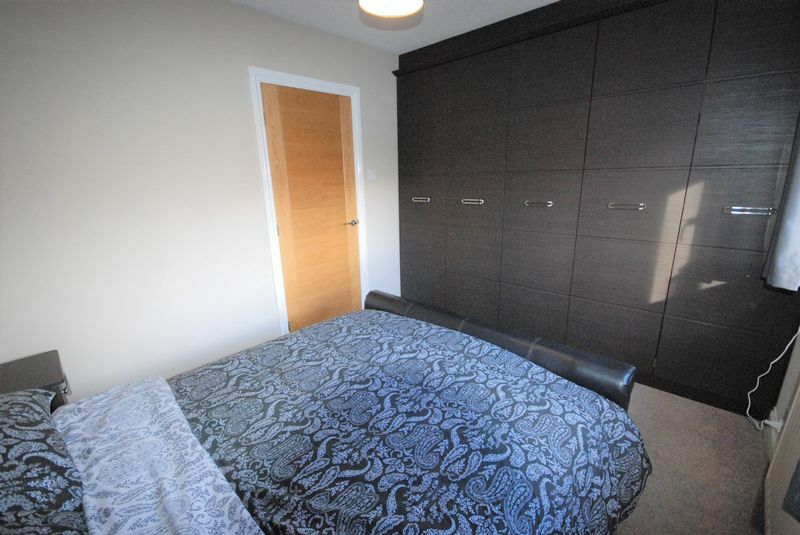 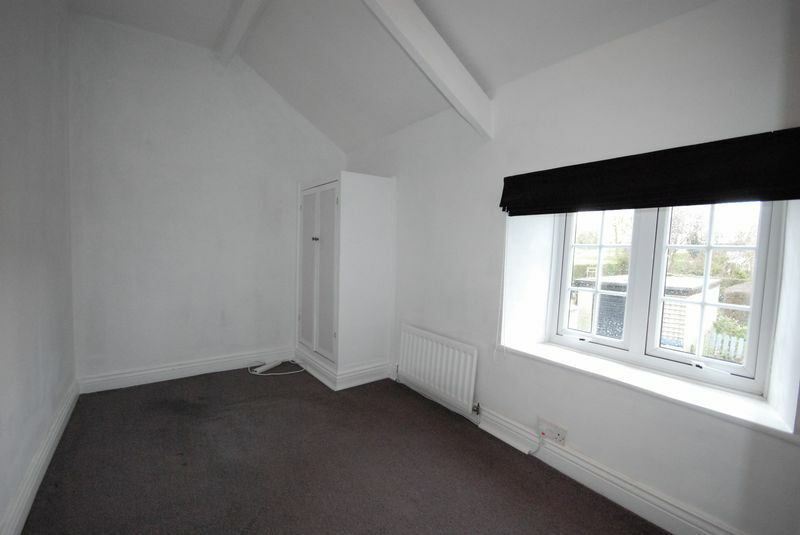 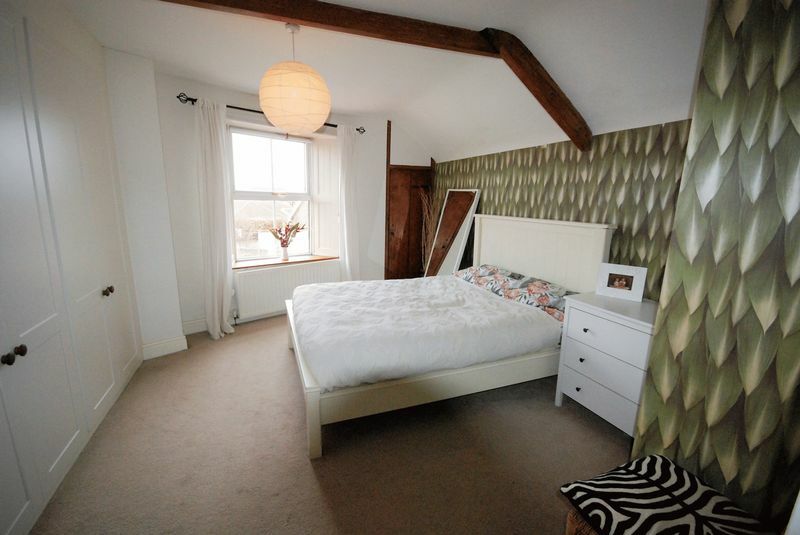 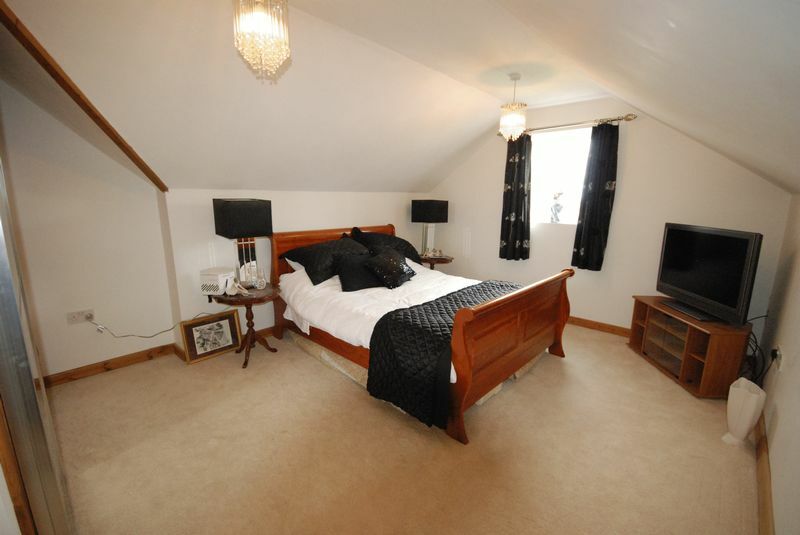 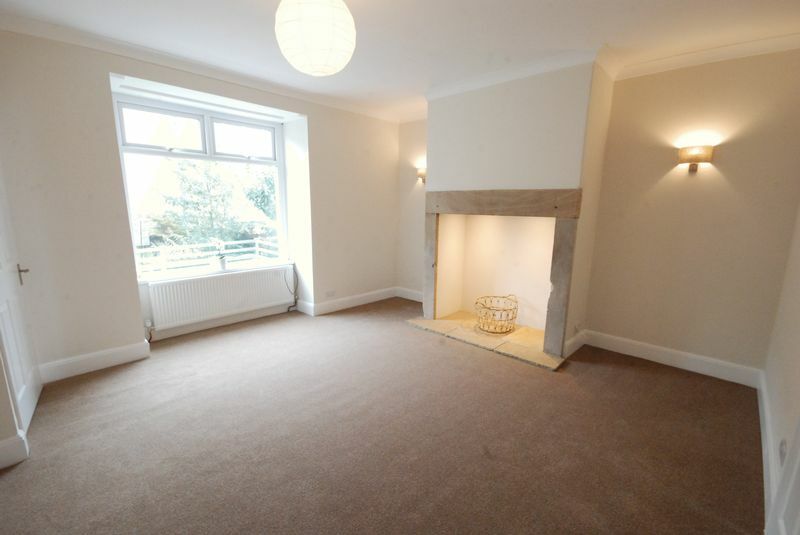 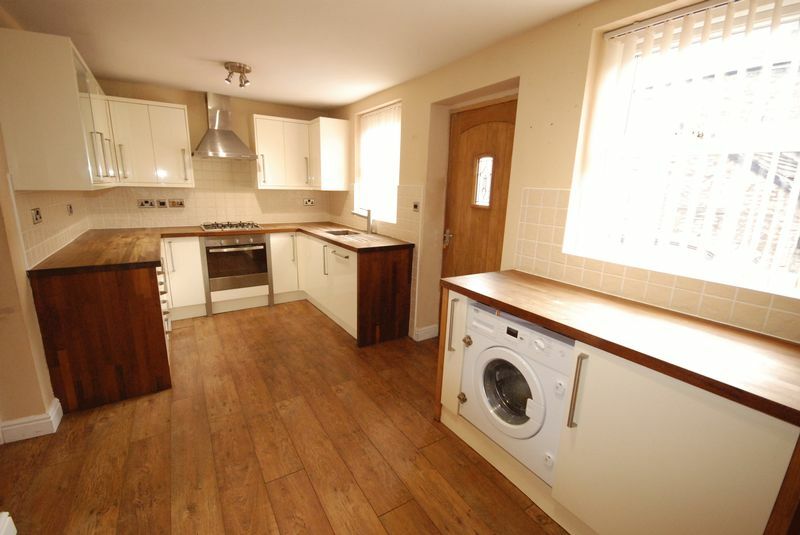 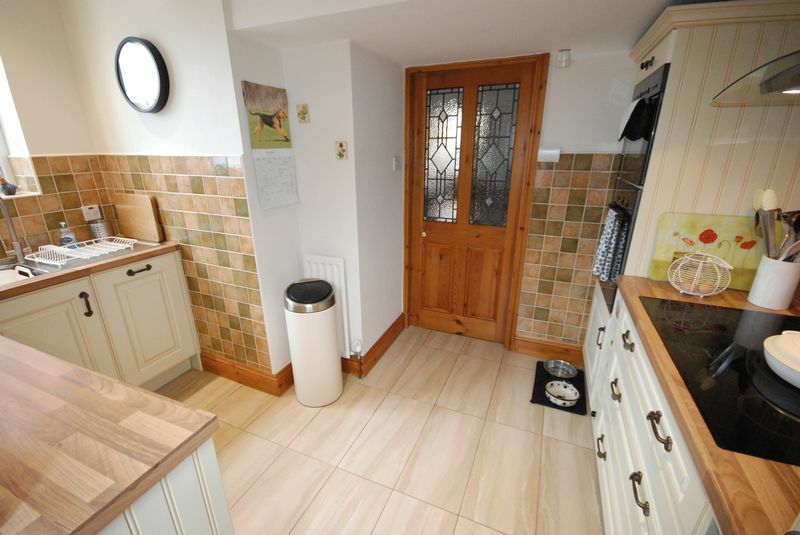 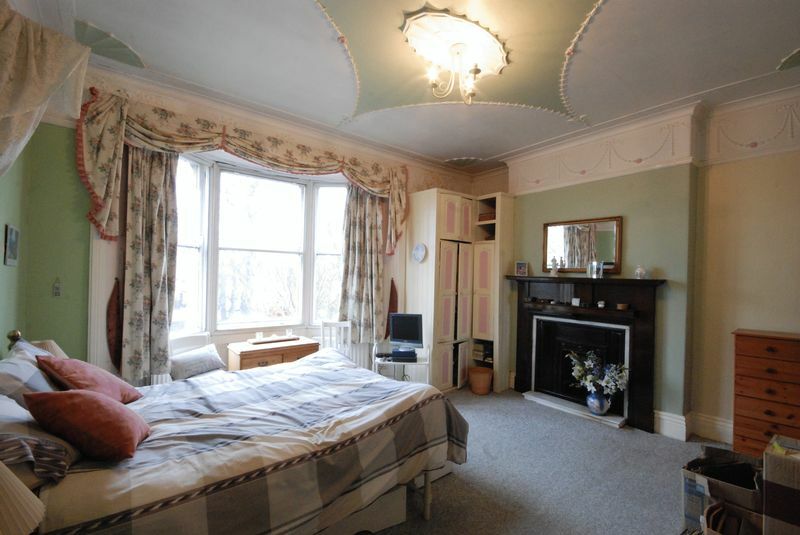 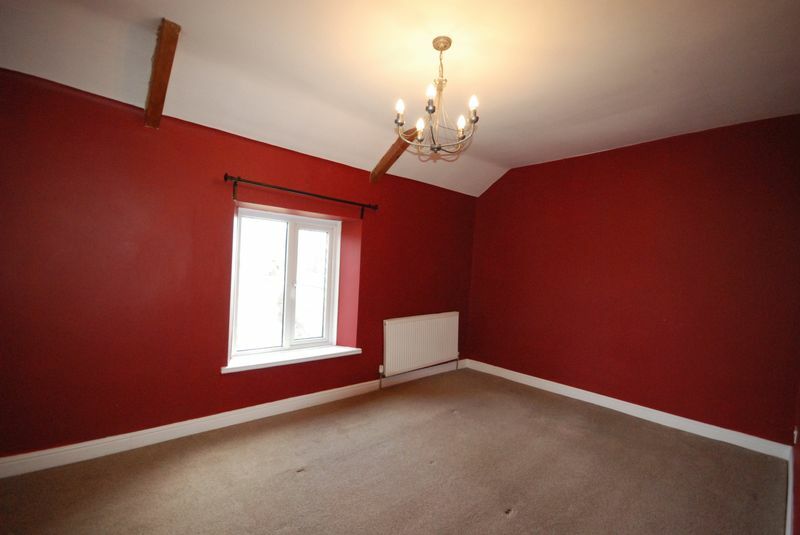 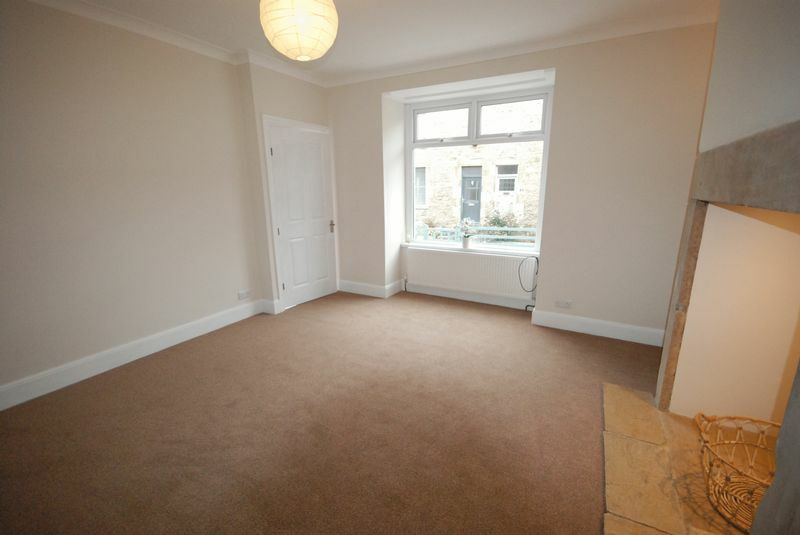 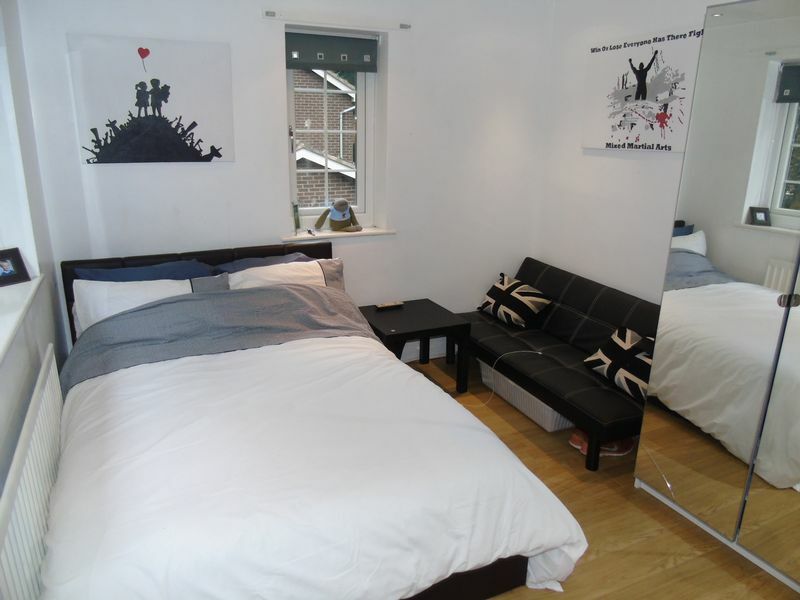 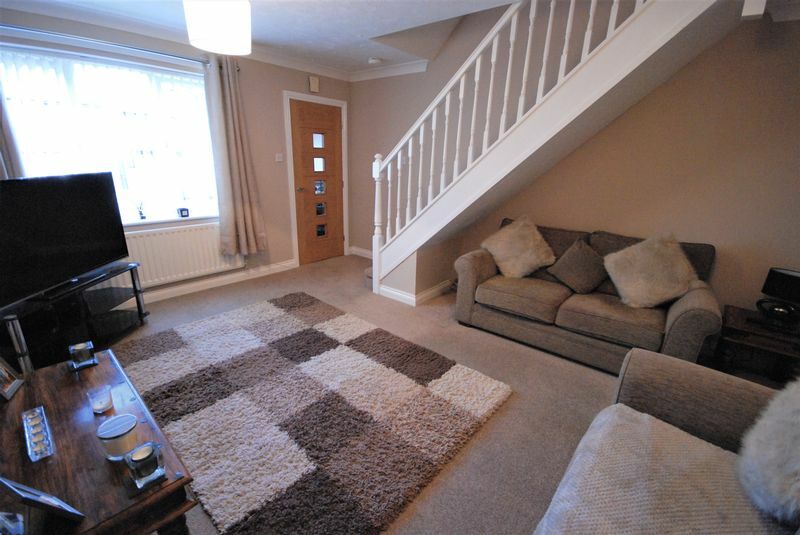 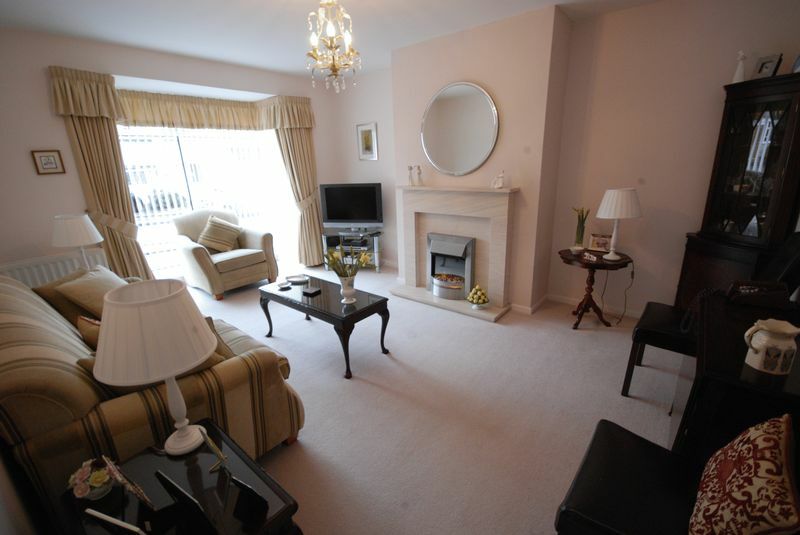 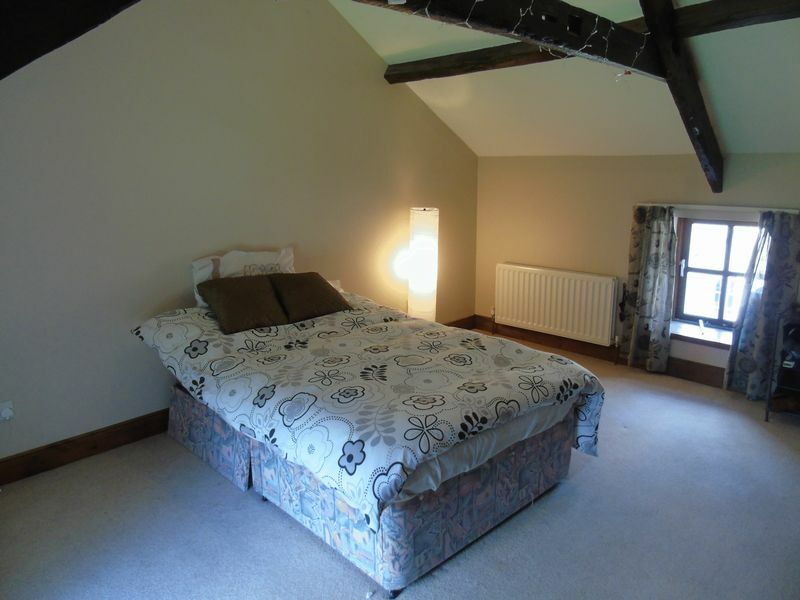 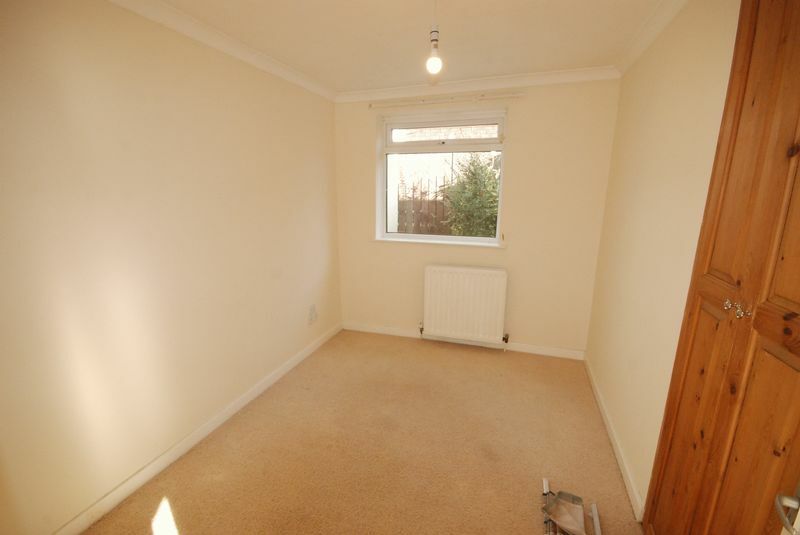 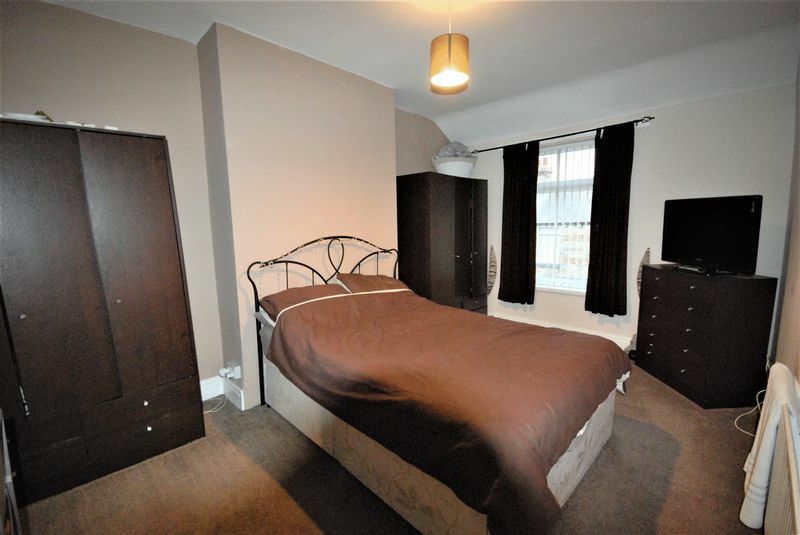 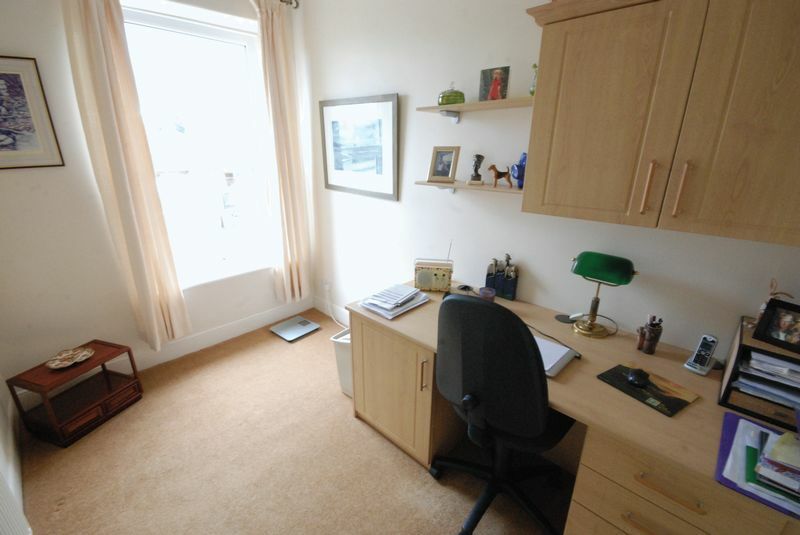 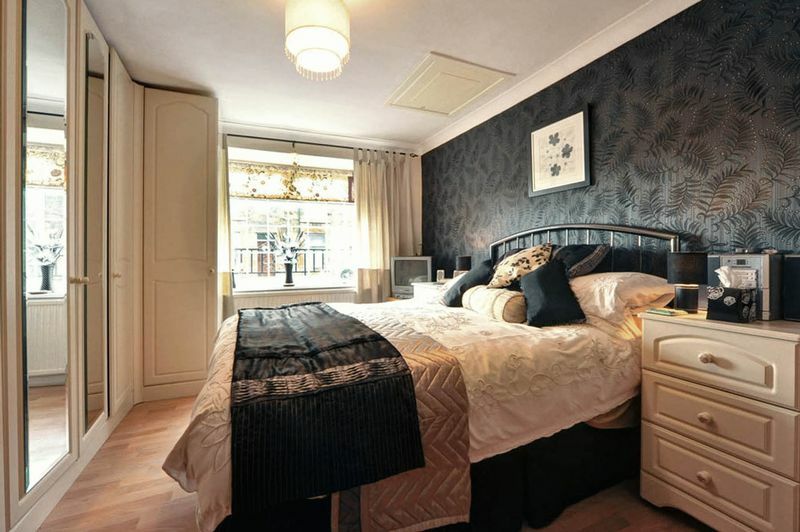 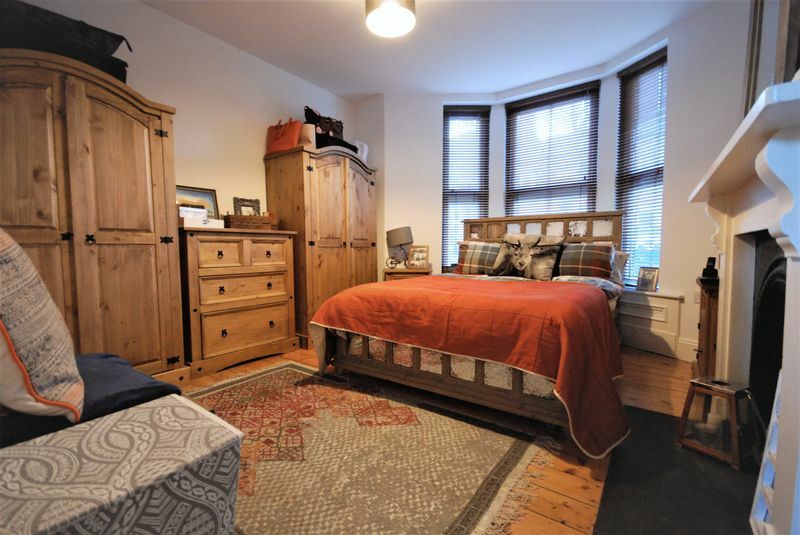 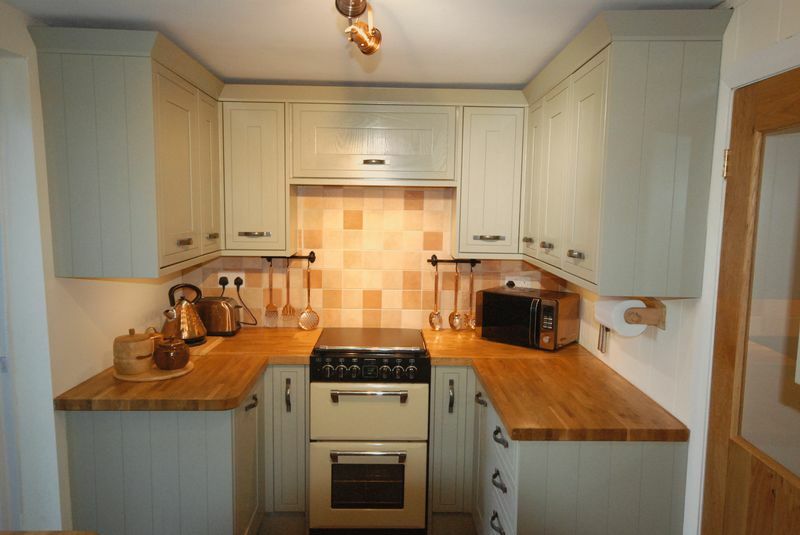 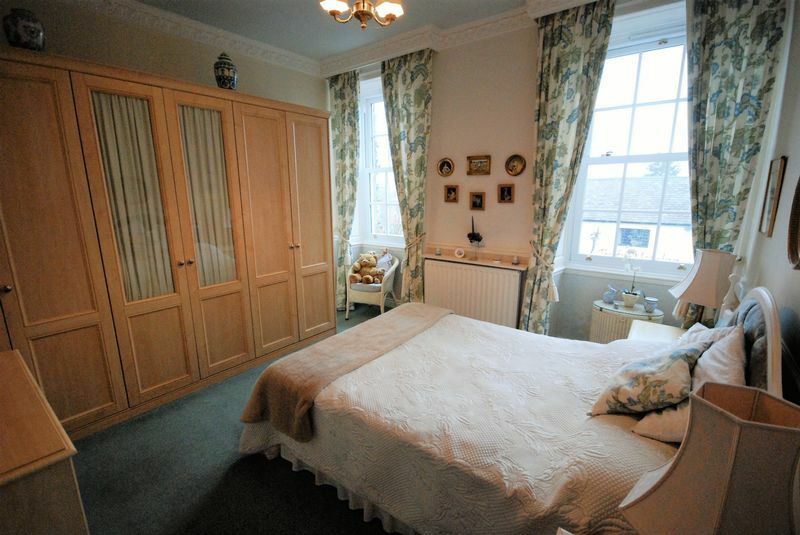 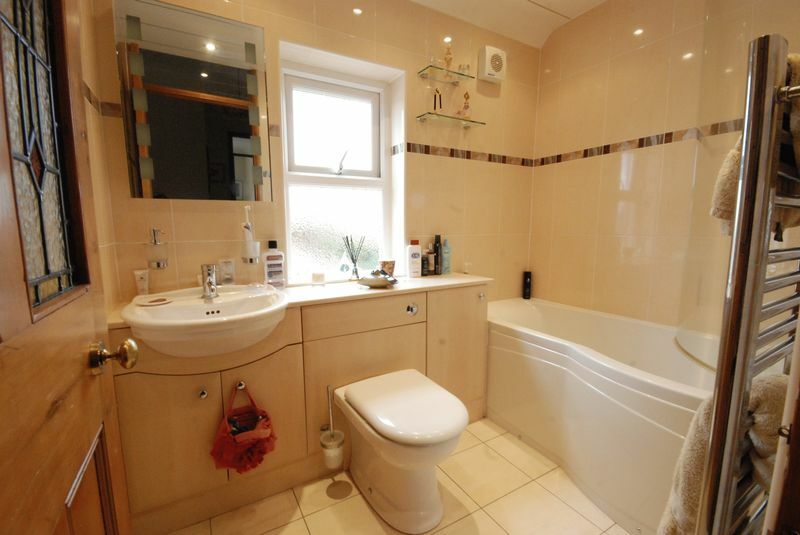 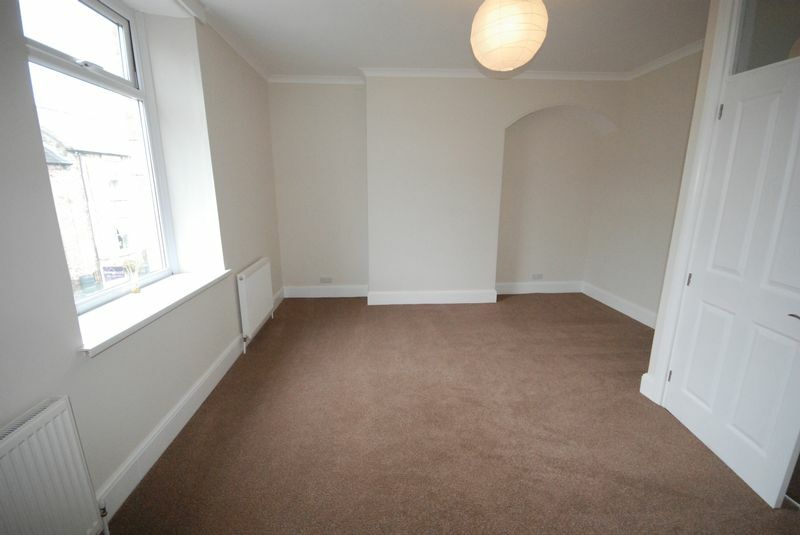 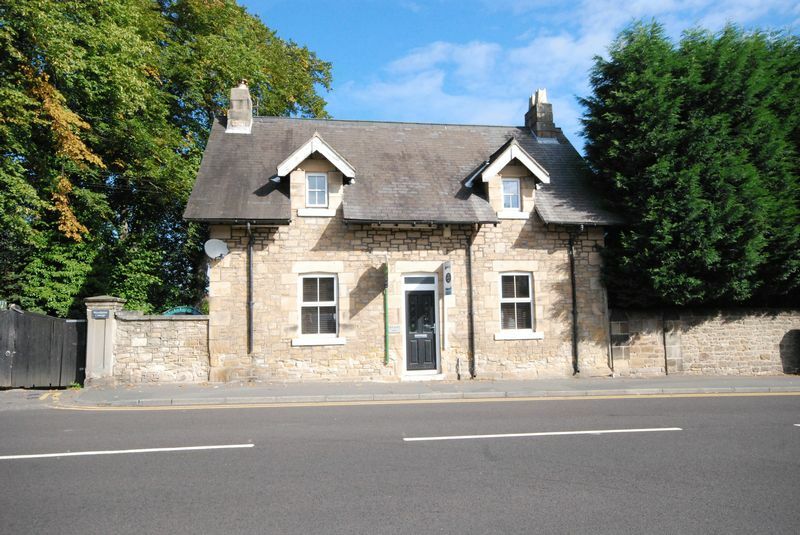 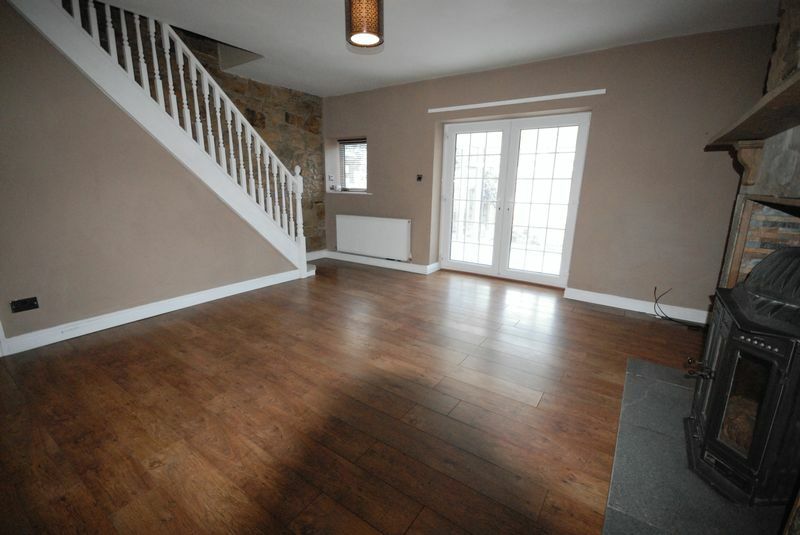 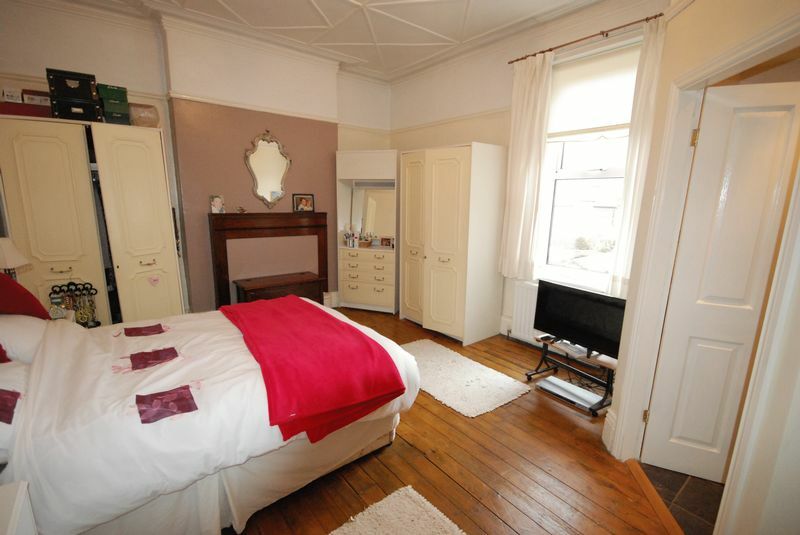 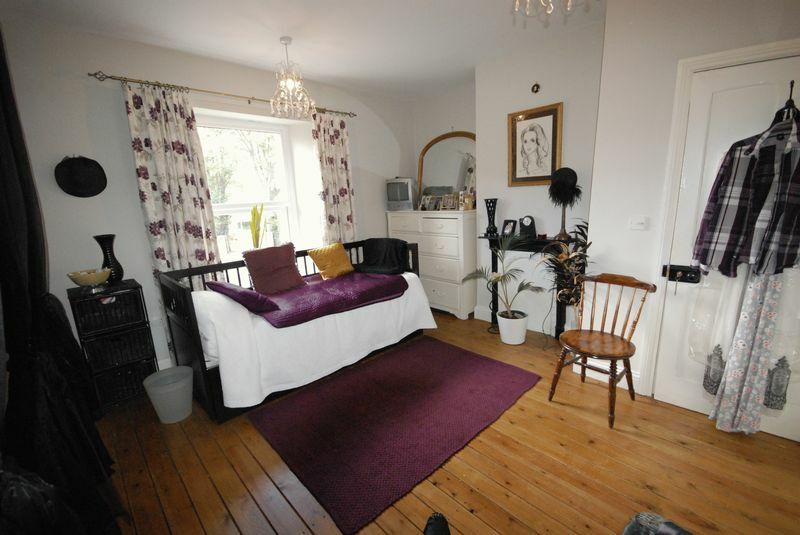 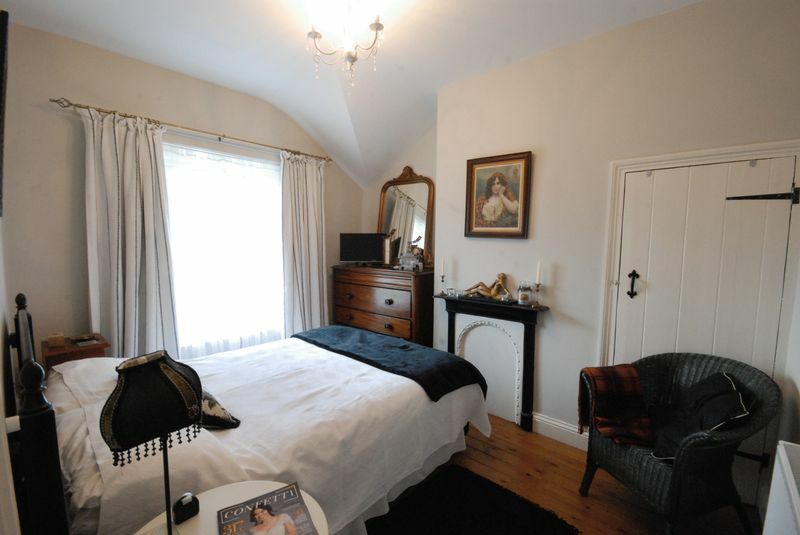 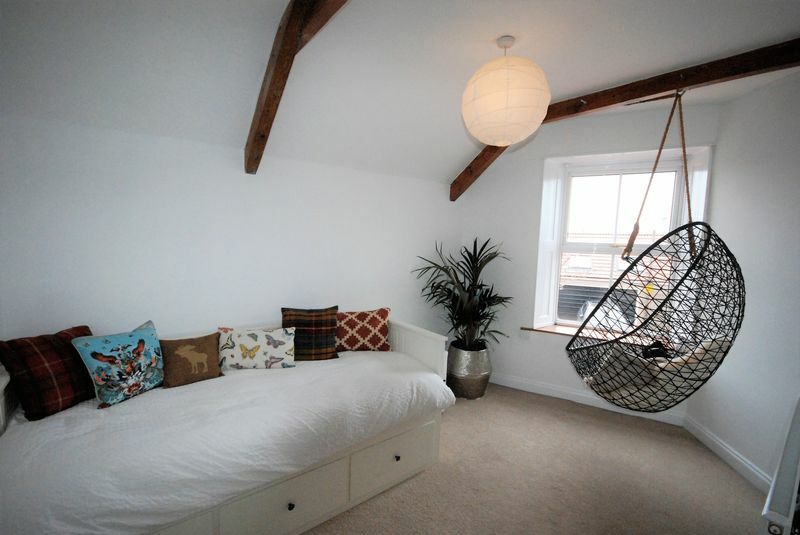 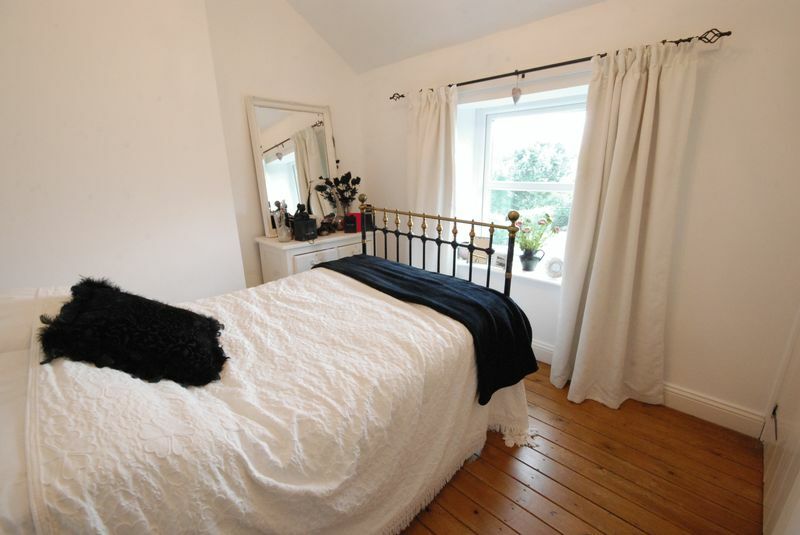 The property briefly comprises; Entrance hall leading to second bedroom which has the benefit of fitted wardrobes. 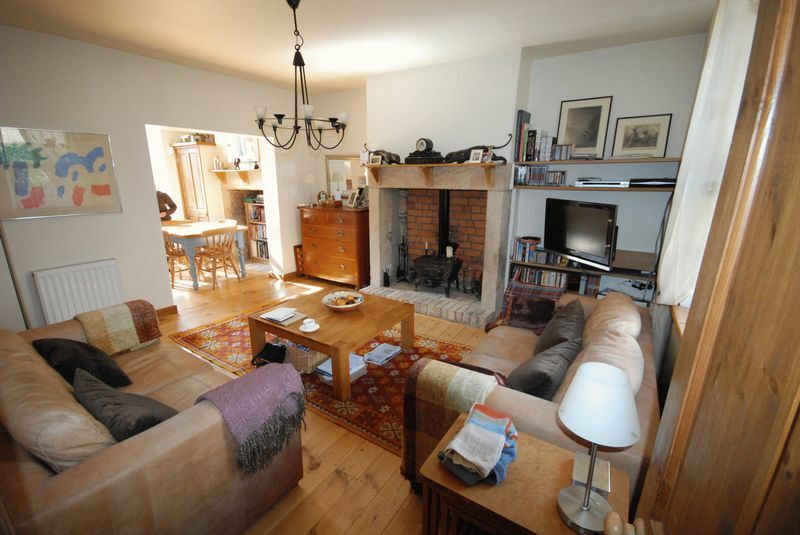 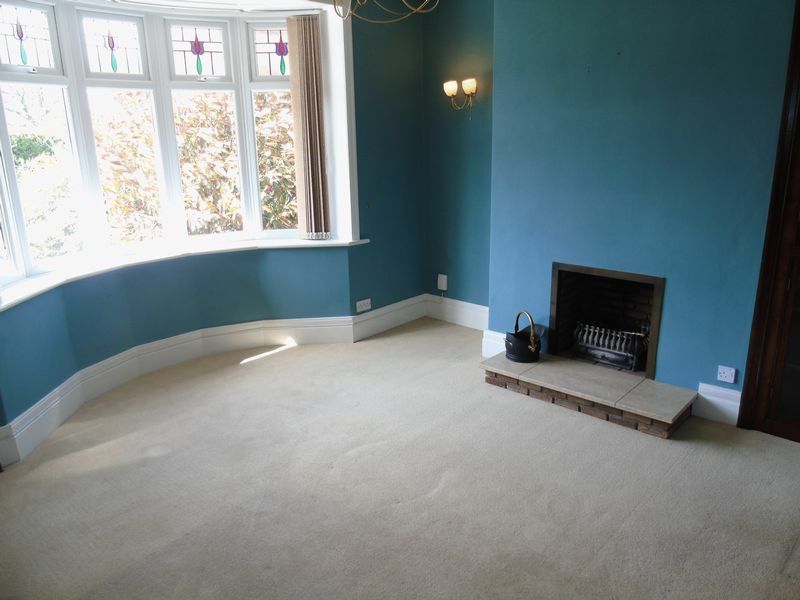 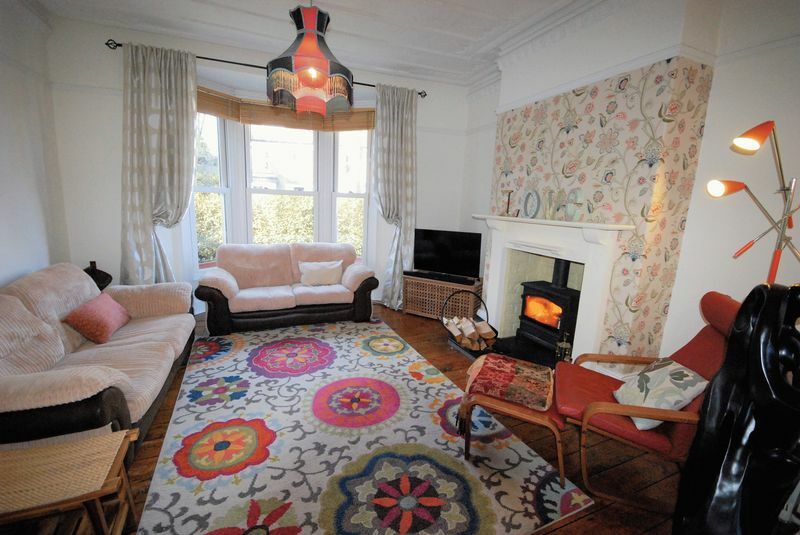 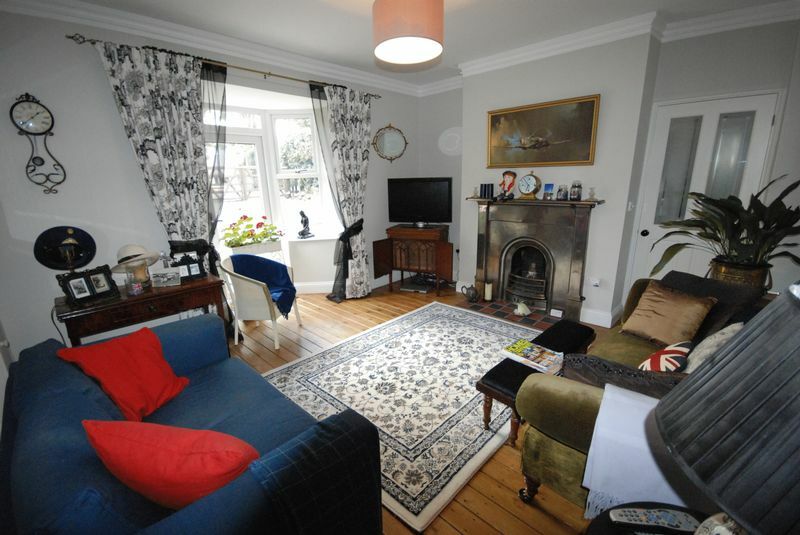 The lounge has a wonderful bright bay window to the front and a modern, fitted electric fire. 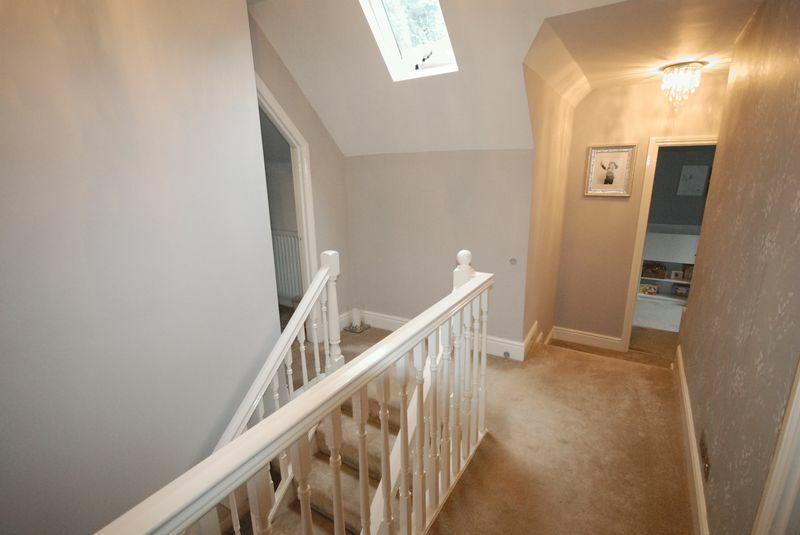 The inner hall leads round to the master bedroom, again with fitted wardrobes, a contemporary shower room and fully fitted kitchen complete with breakfast bar. 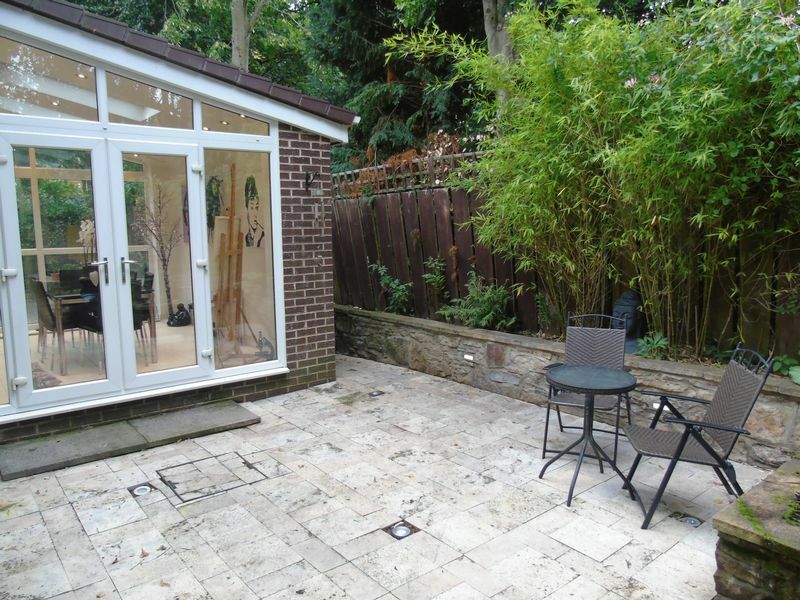 The kitchen also provides access to the integral garage and out to the rear garden. 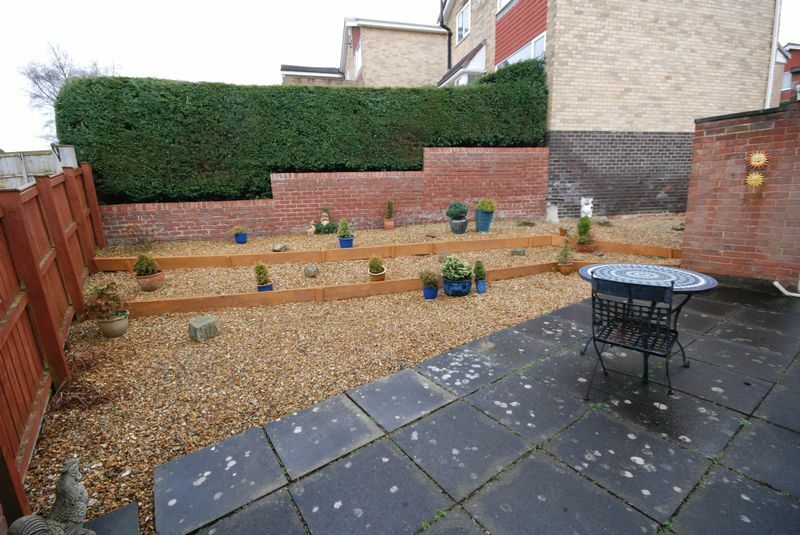 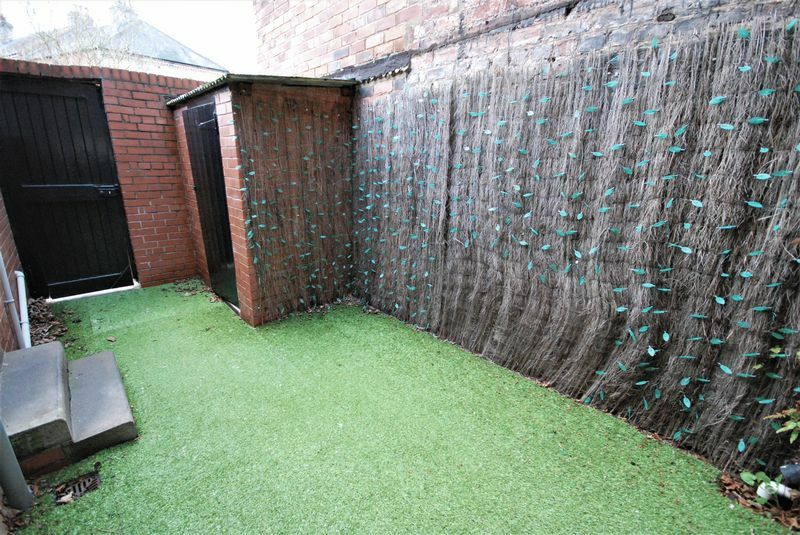 Externally, the rear garden is mainly gravelled with fenced boundaries and the front is paved. 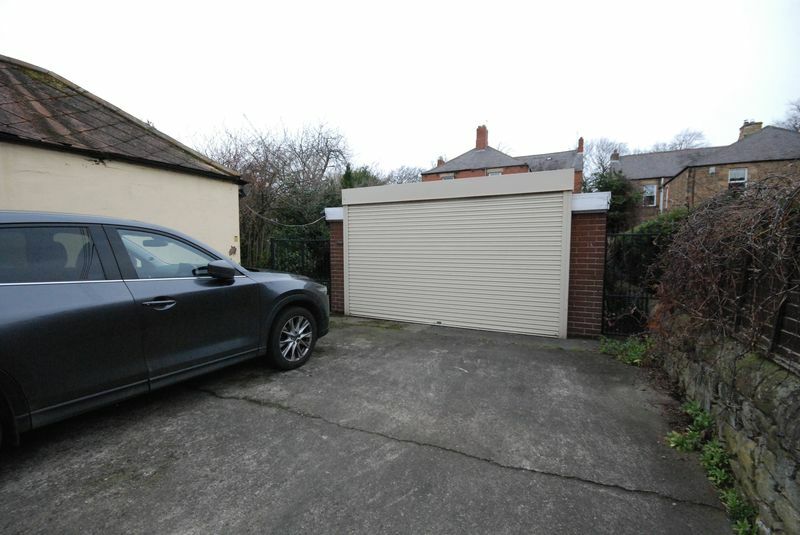 A driveway provides off street parking and access to the garage. 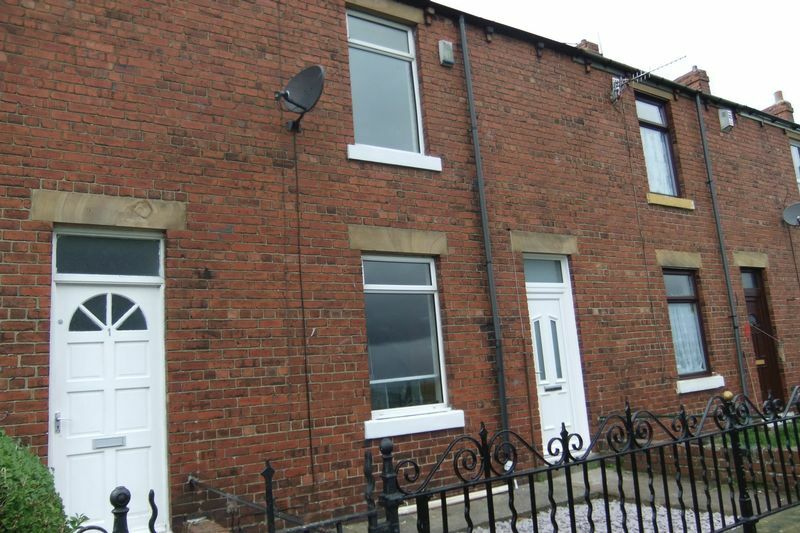 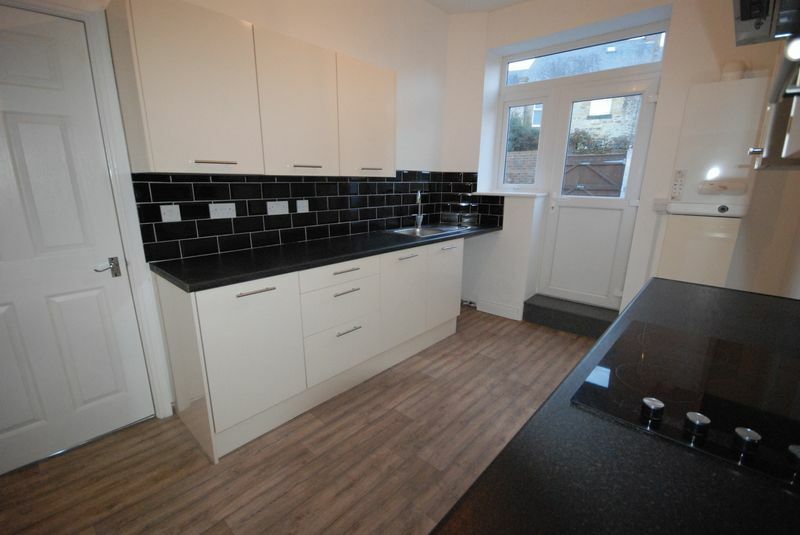 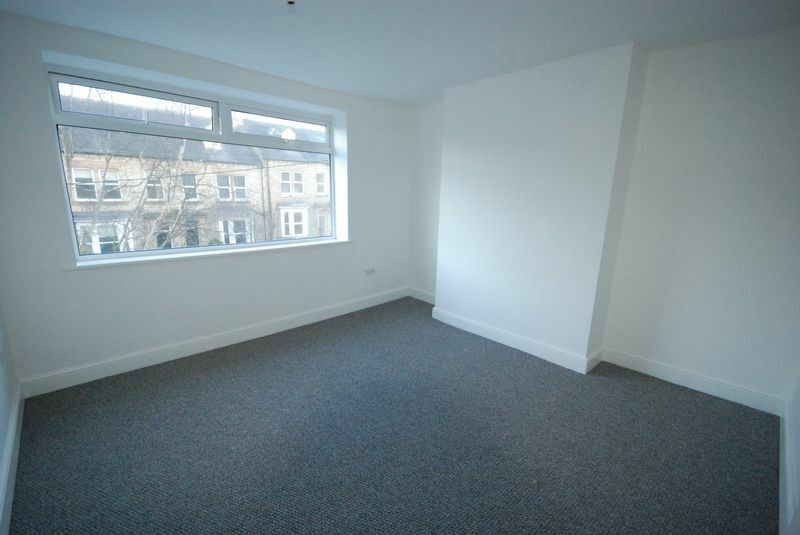 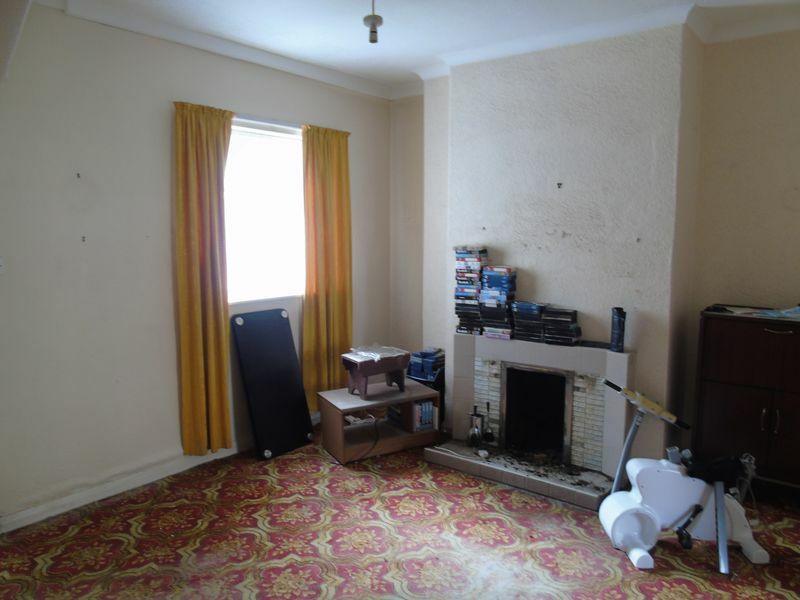 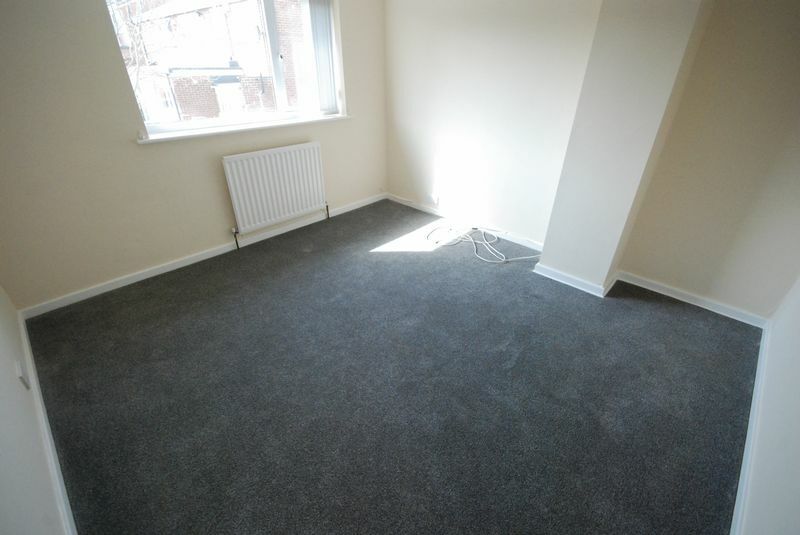 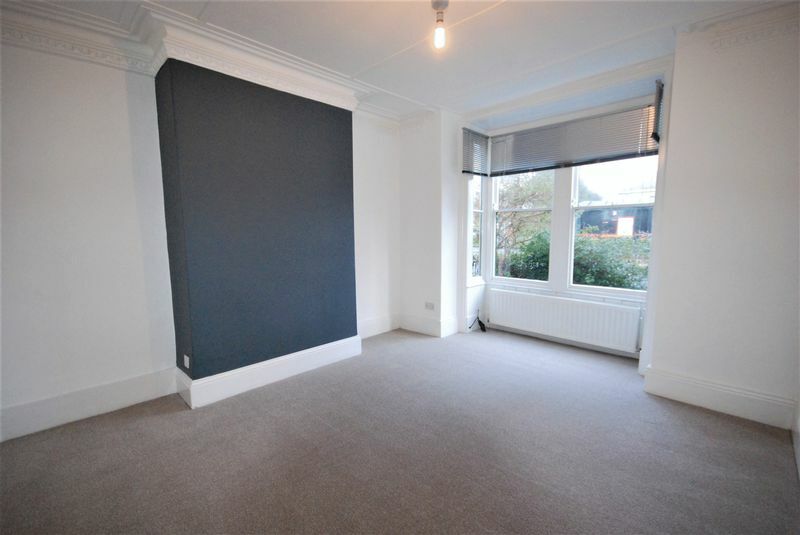 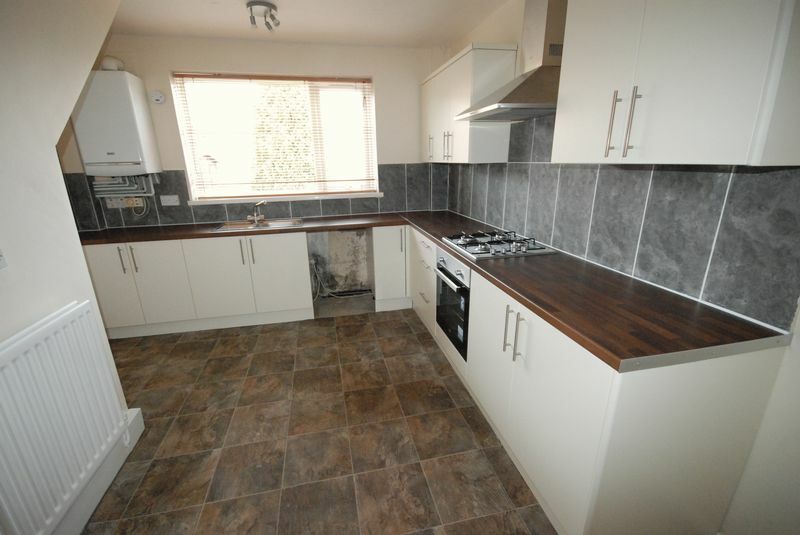 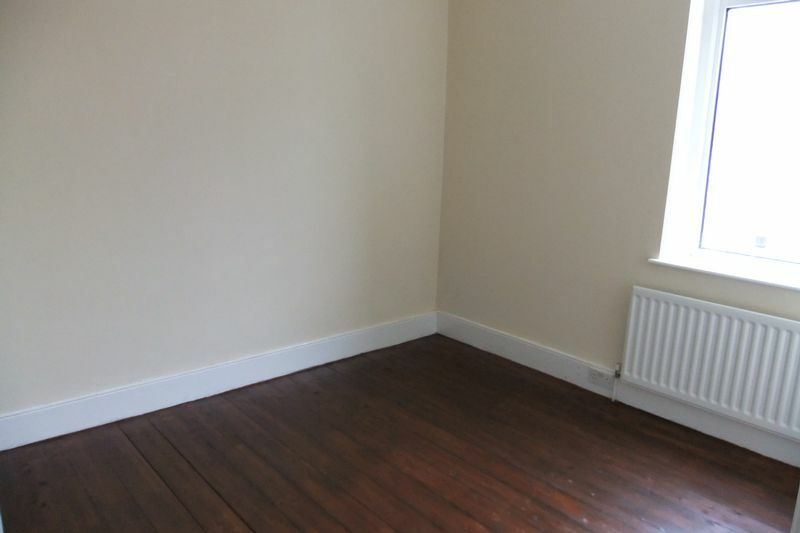 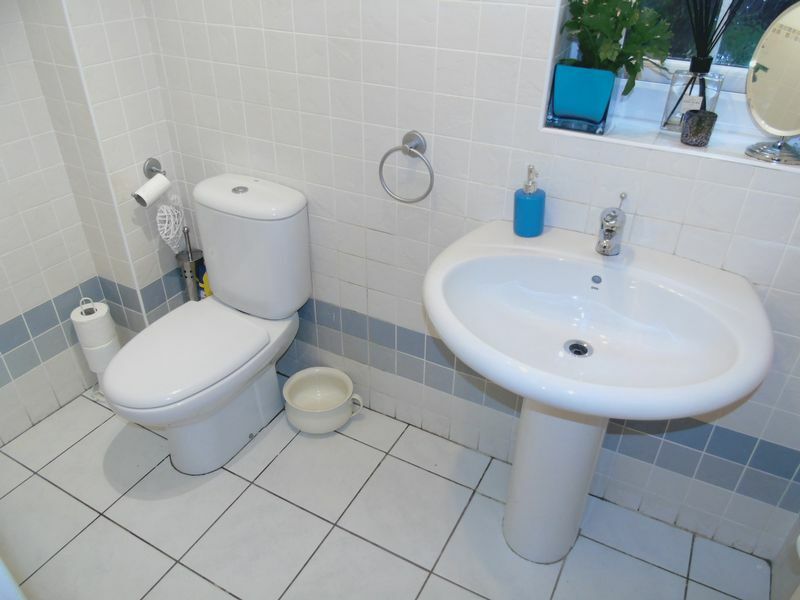 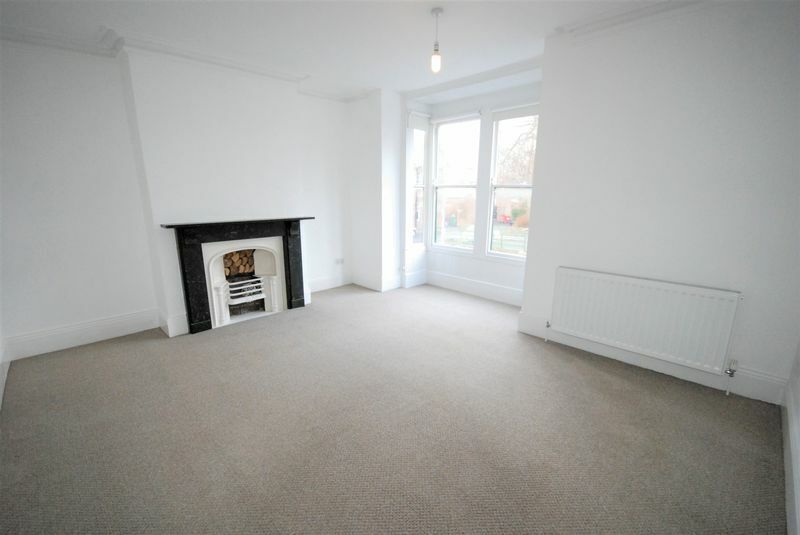 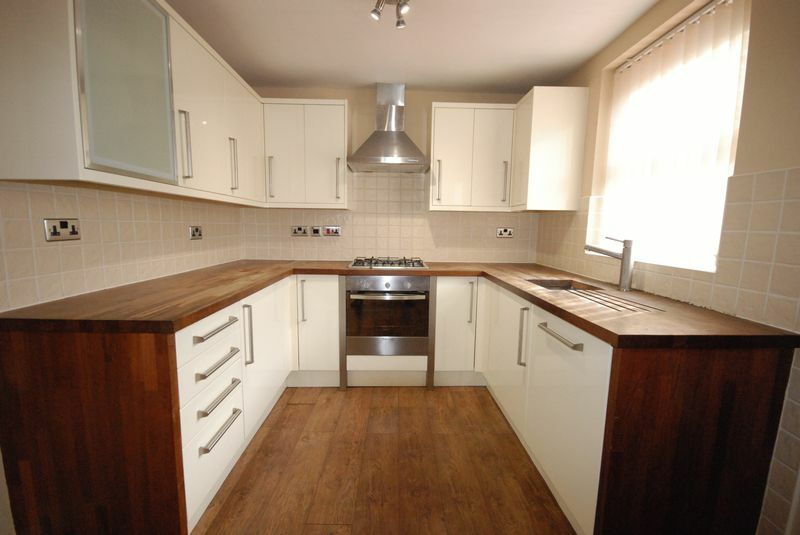 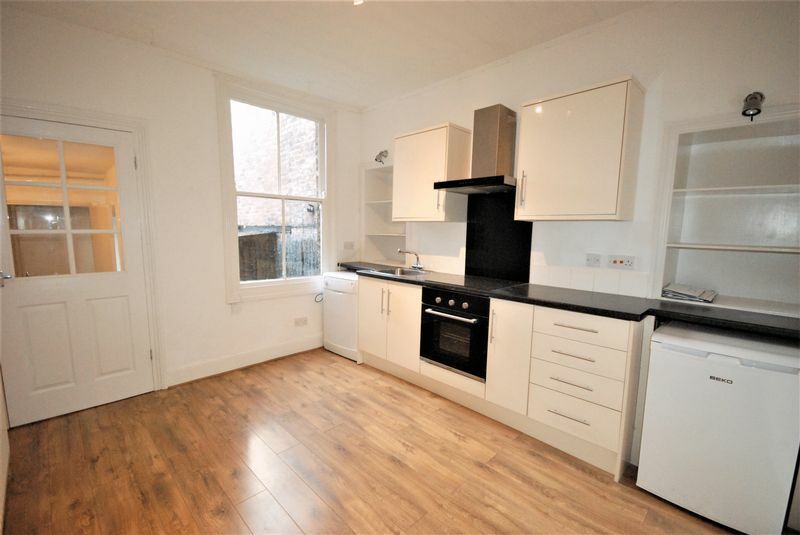 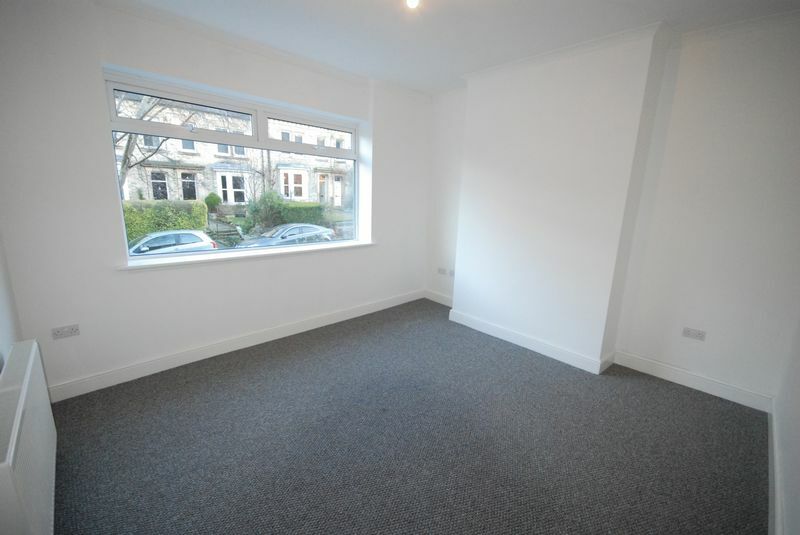 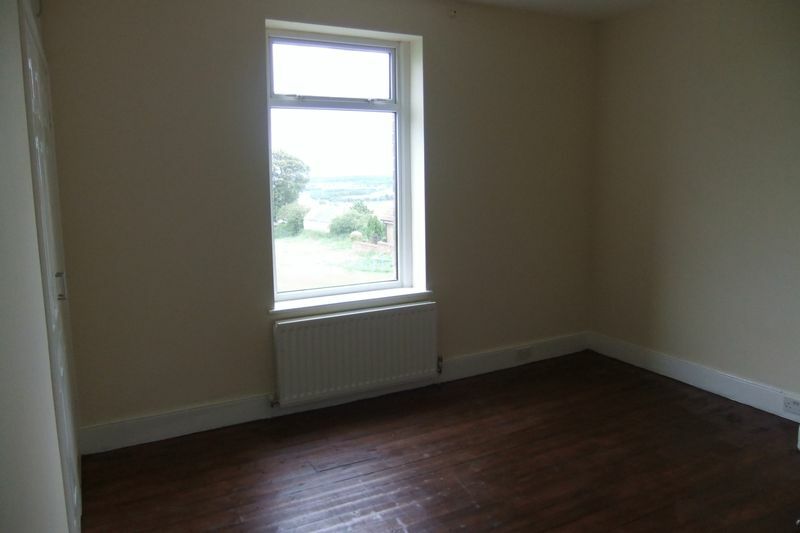 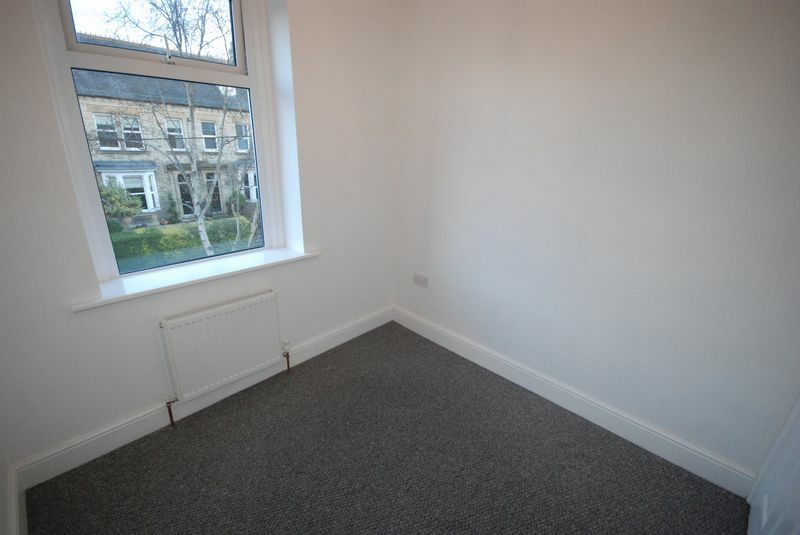 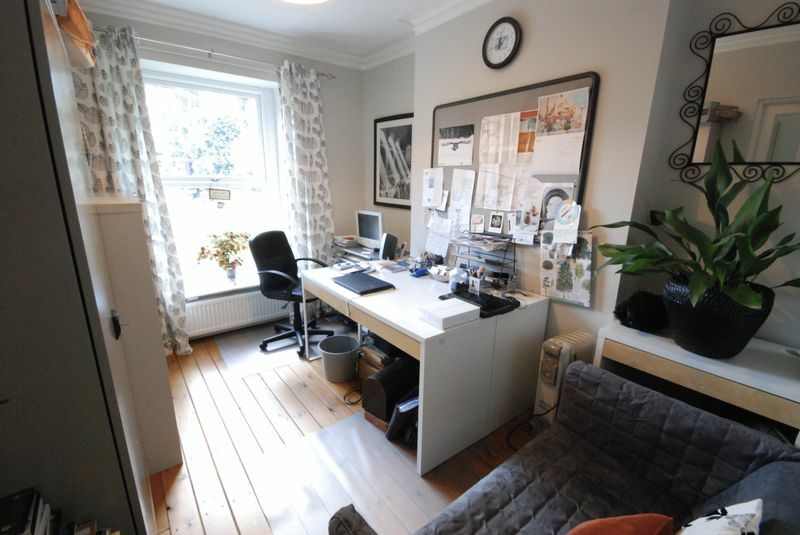 The property is currently let therefore only available to landlords who will take over the tenancy. 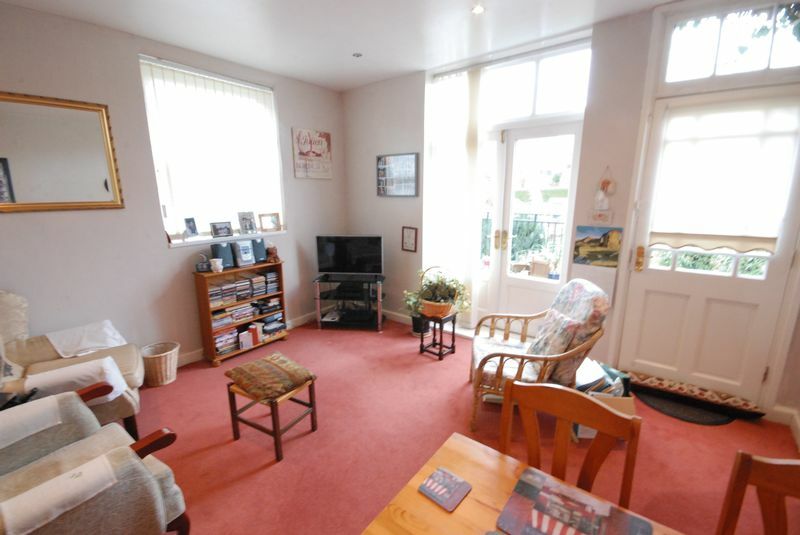 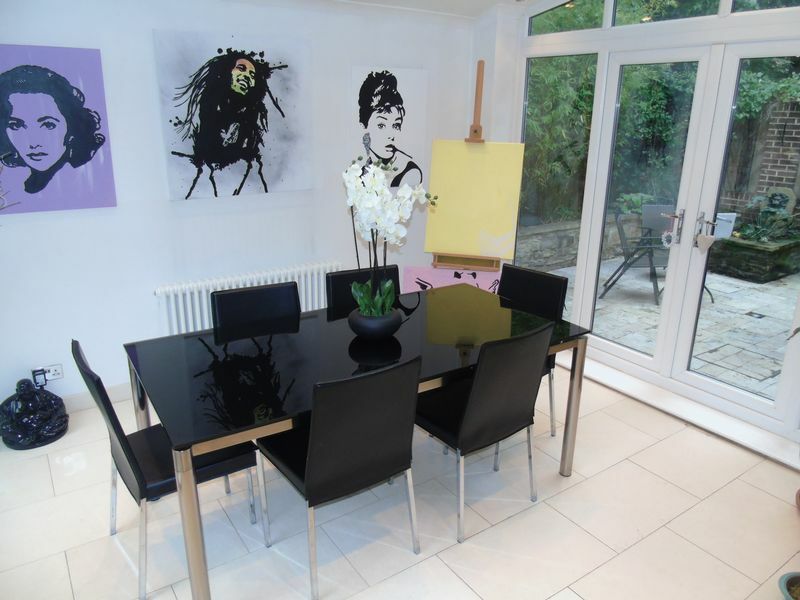 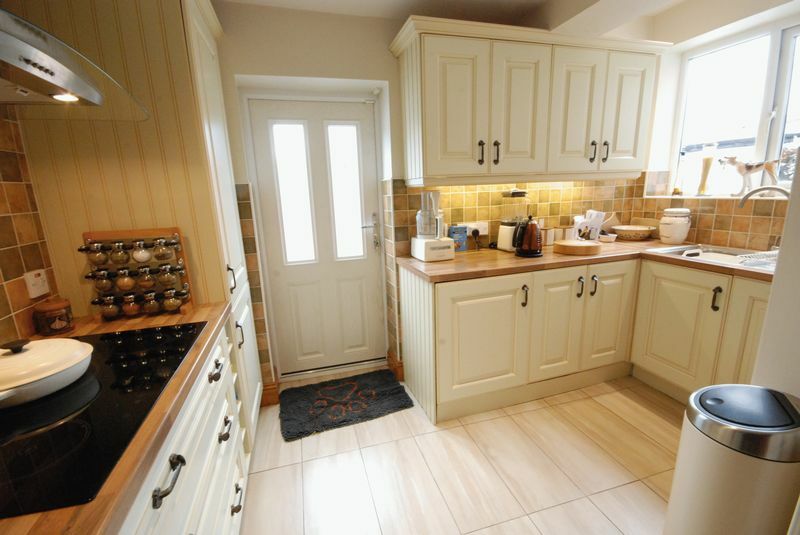 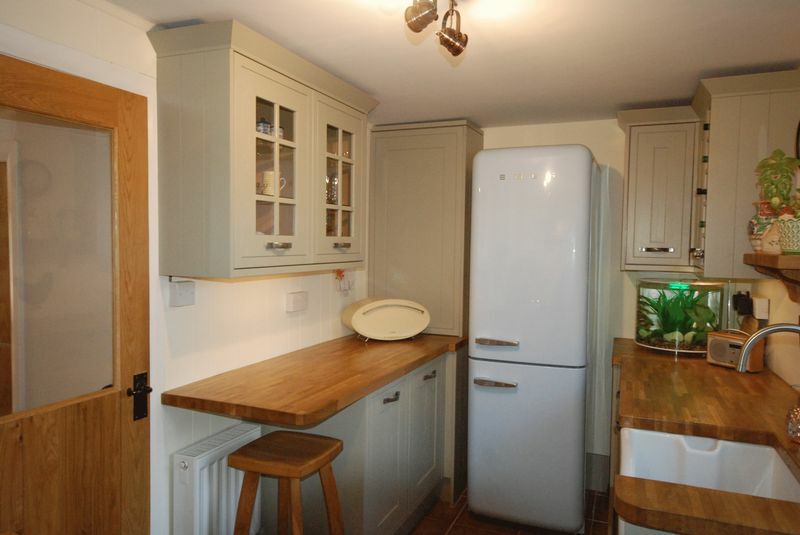 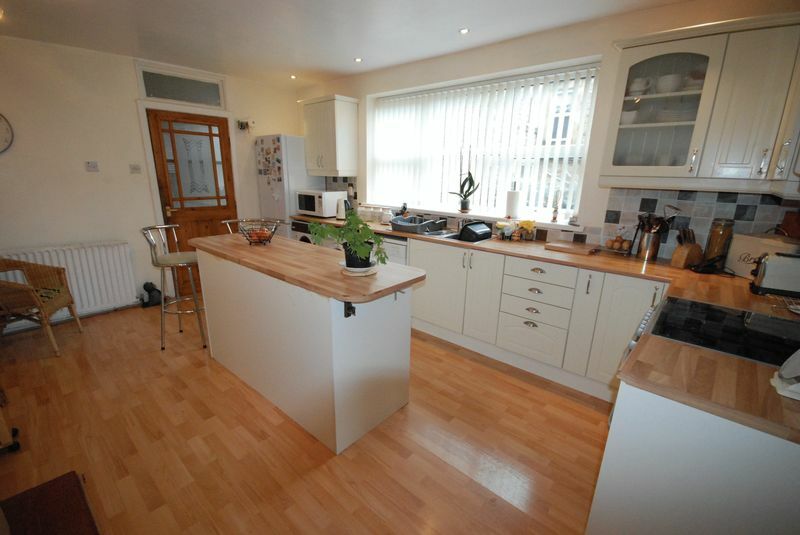 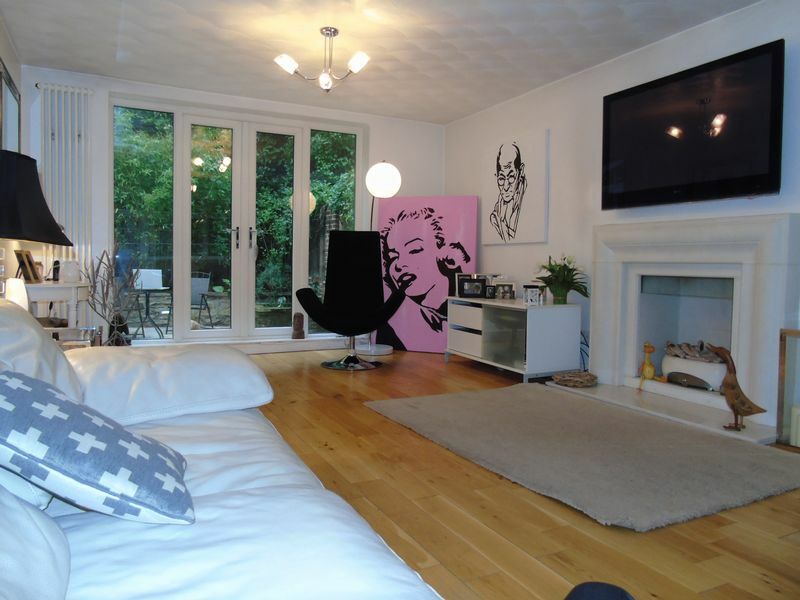 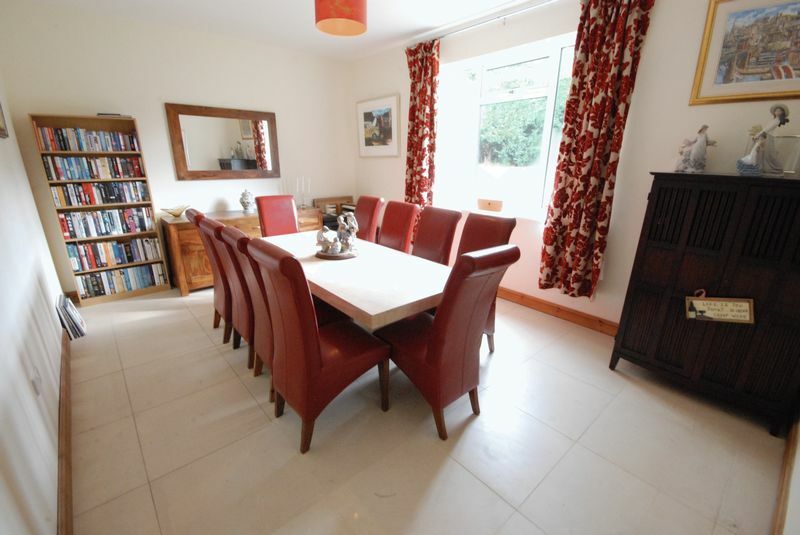 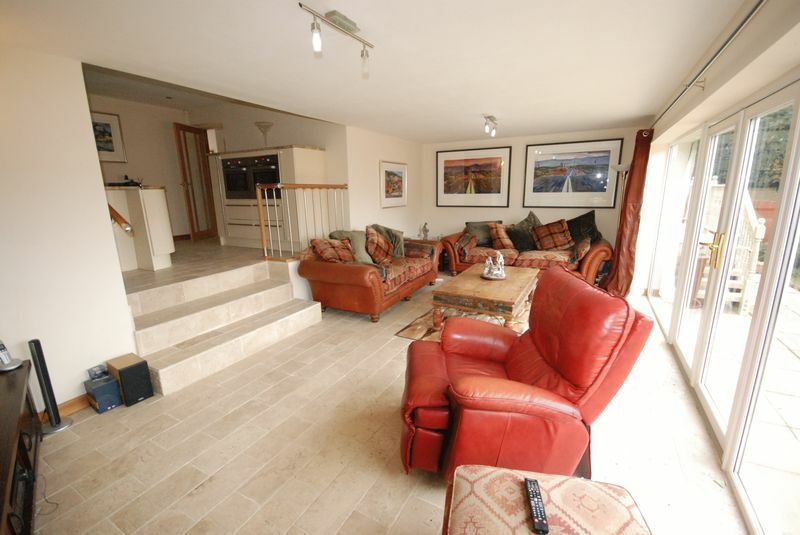 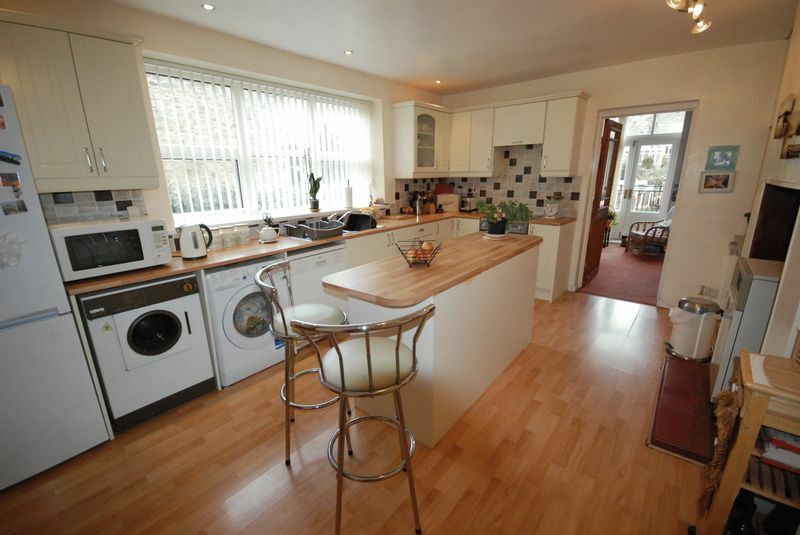 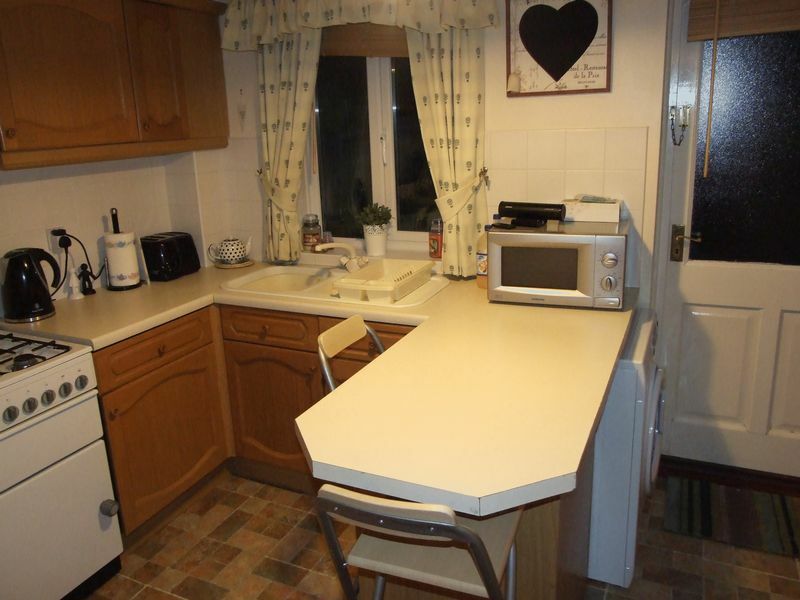 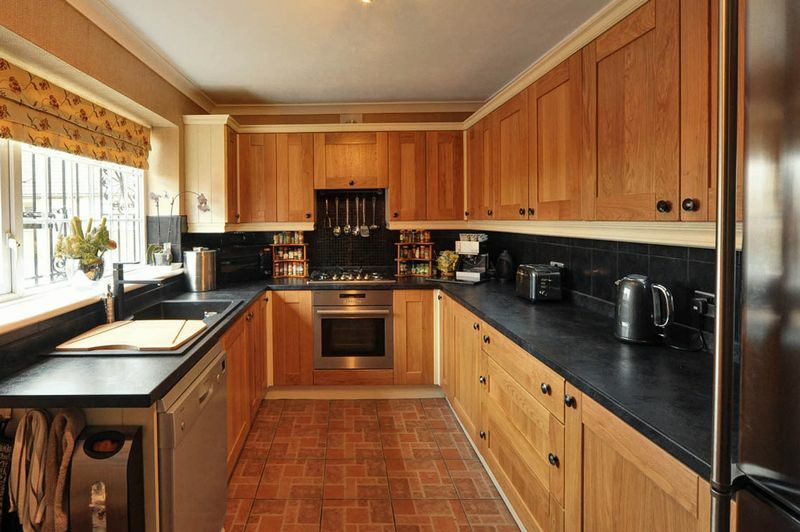 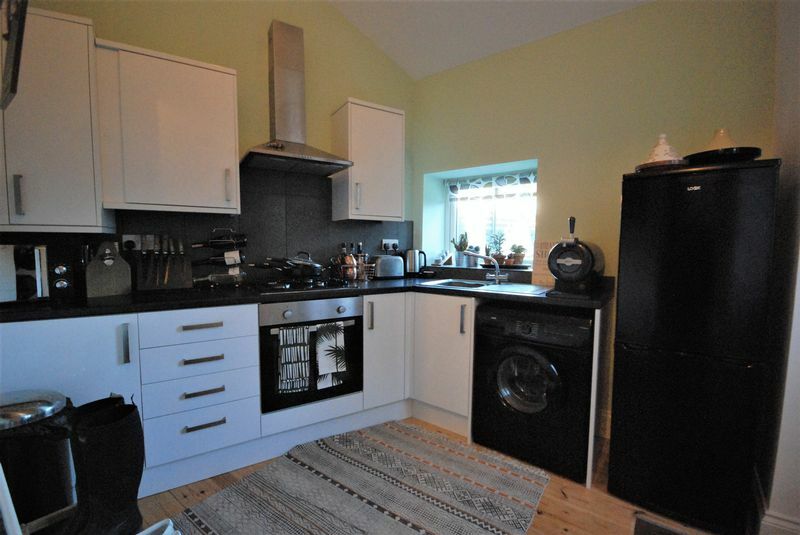 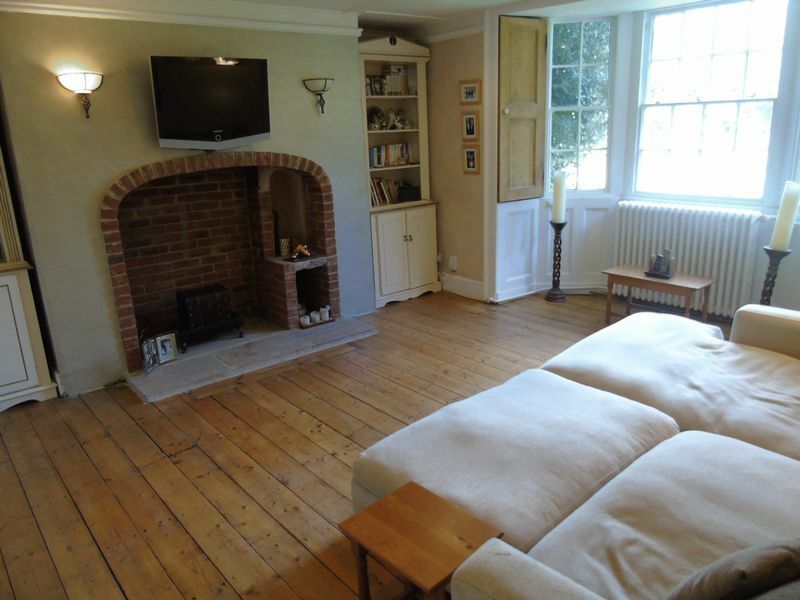 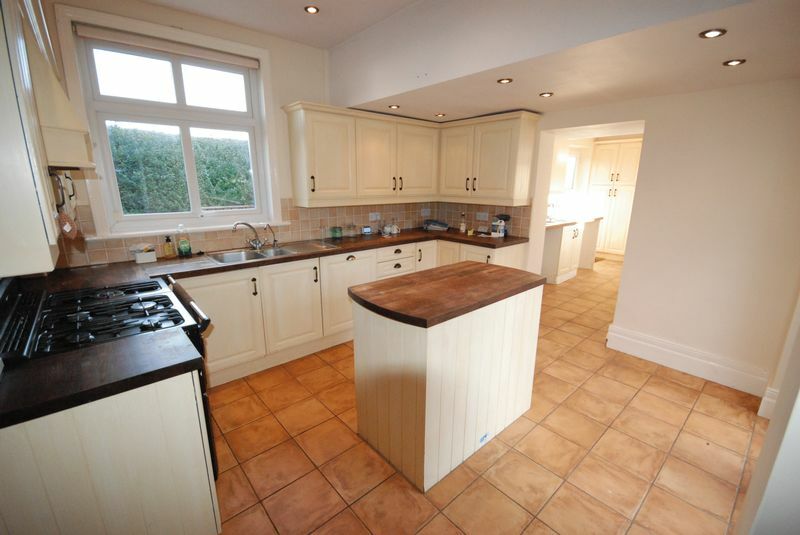 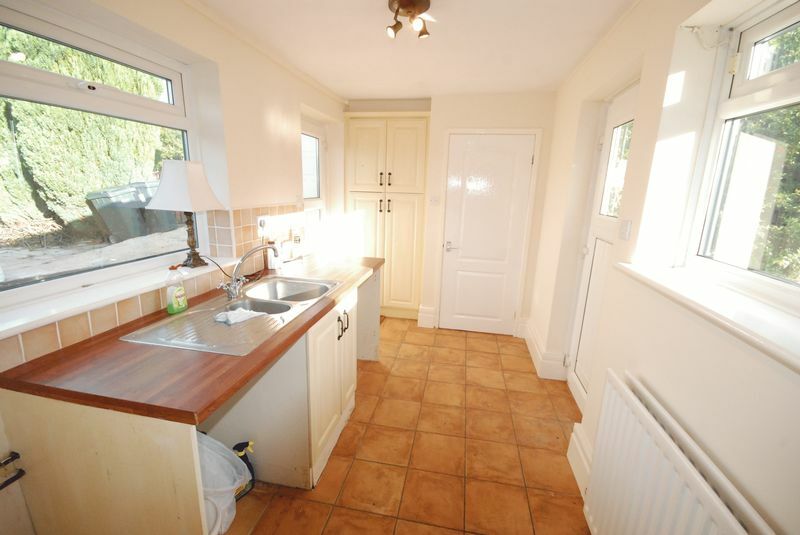 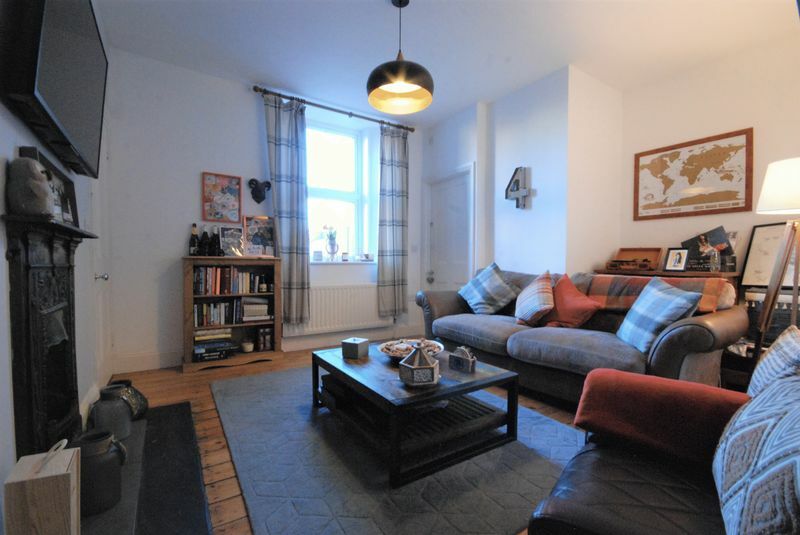 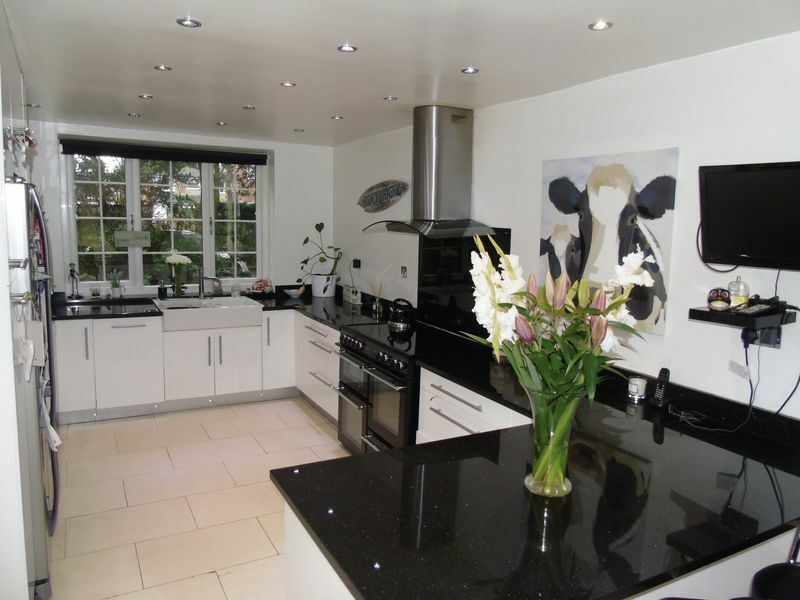 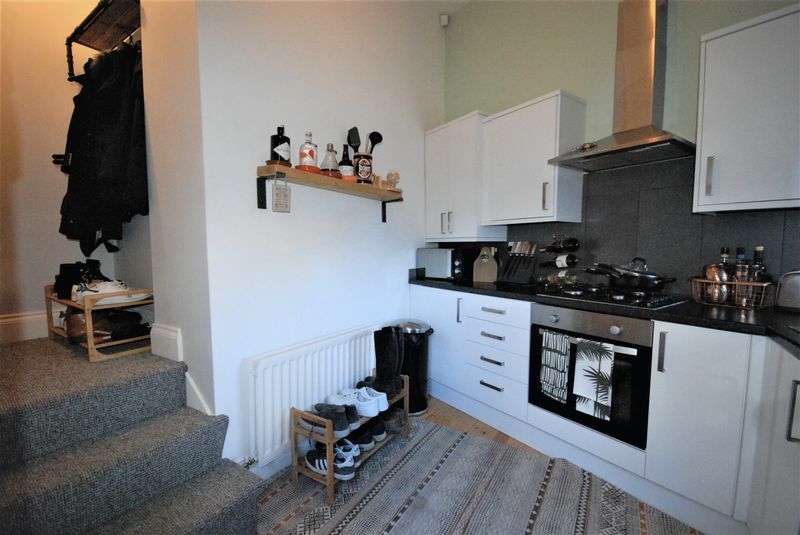 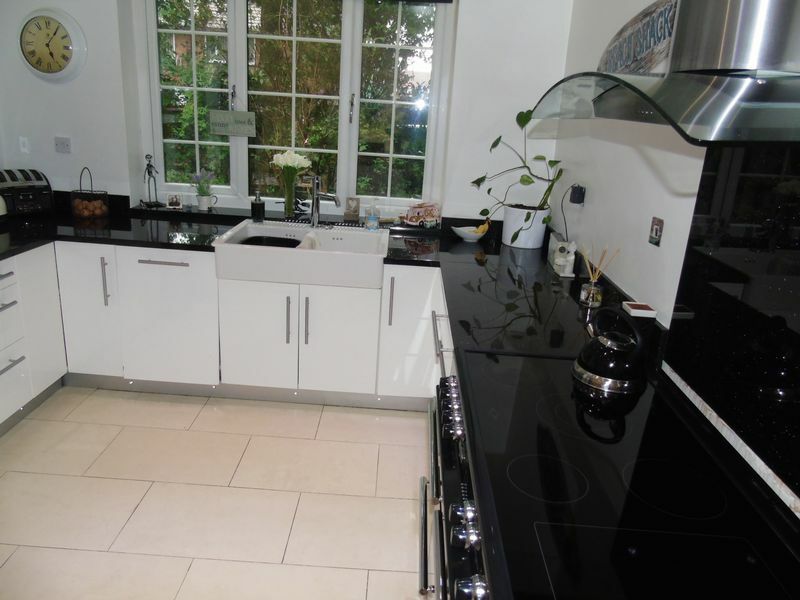 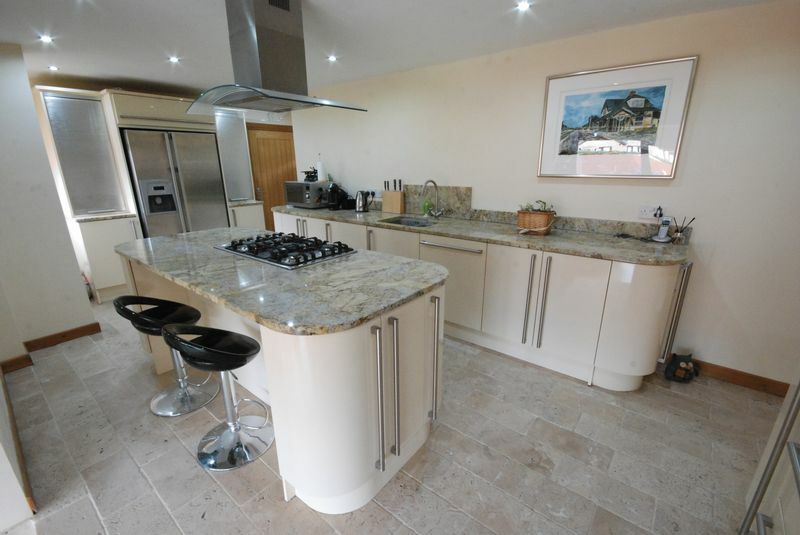 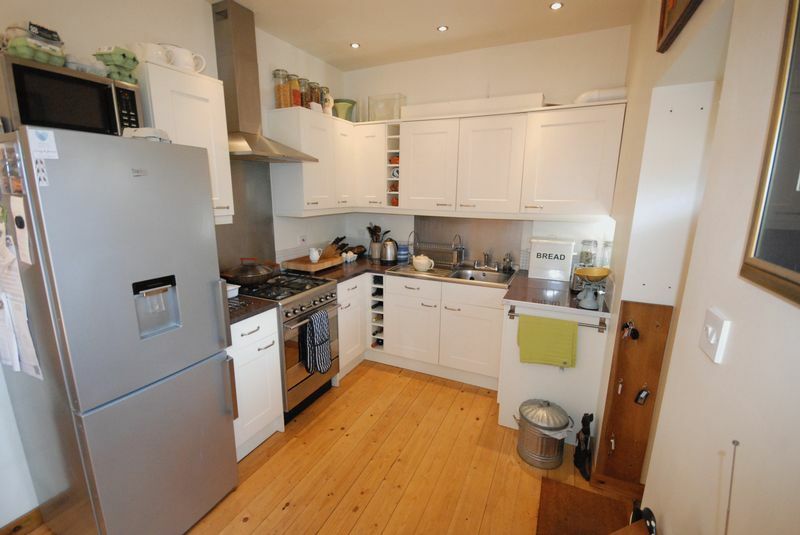 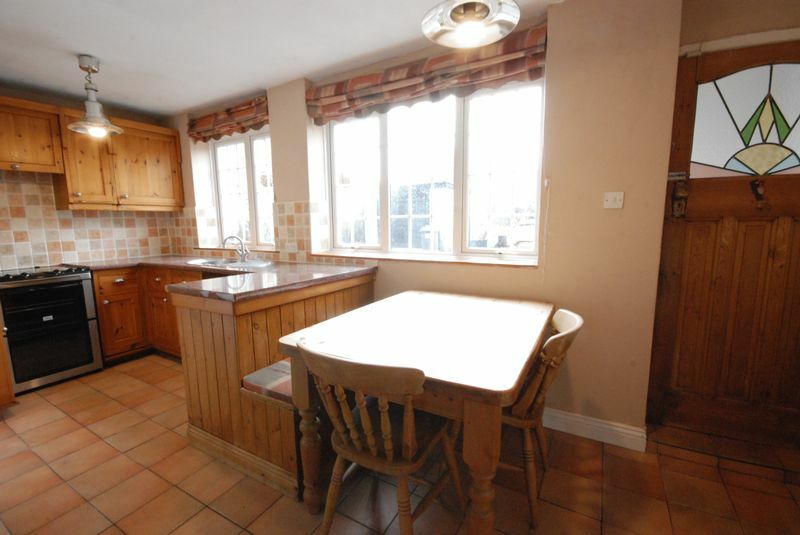 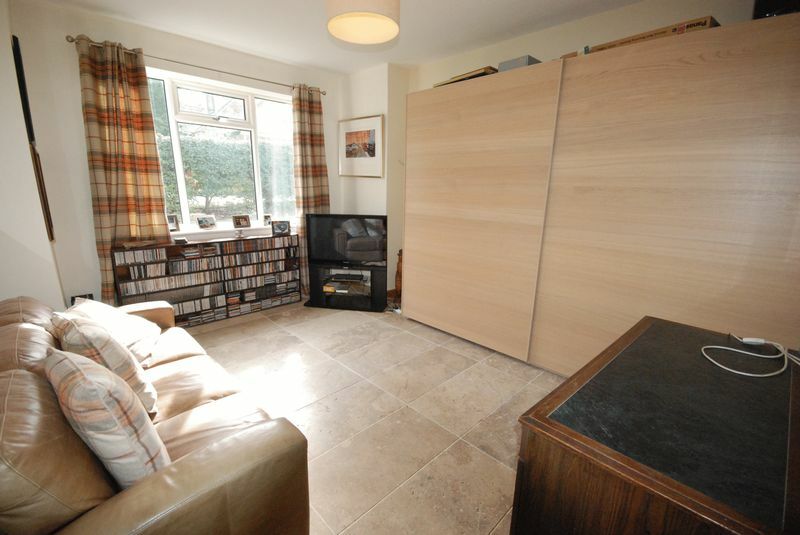 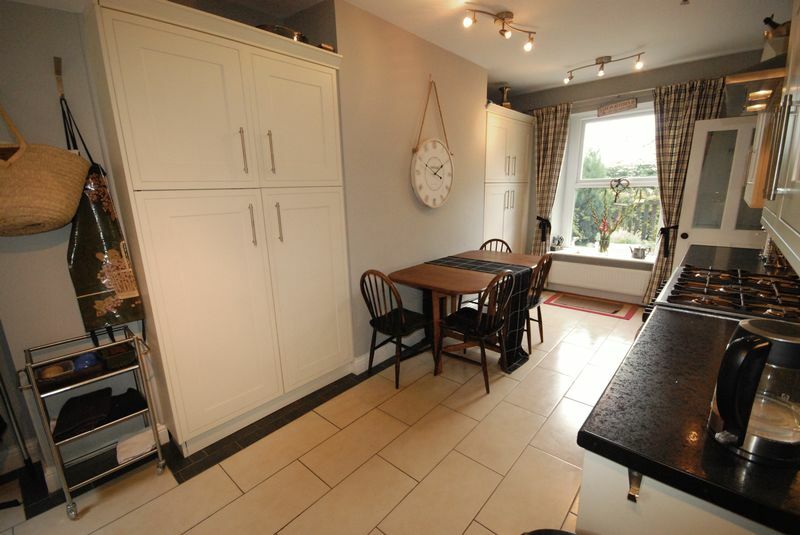 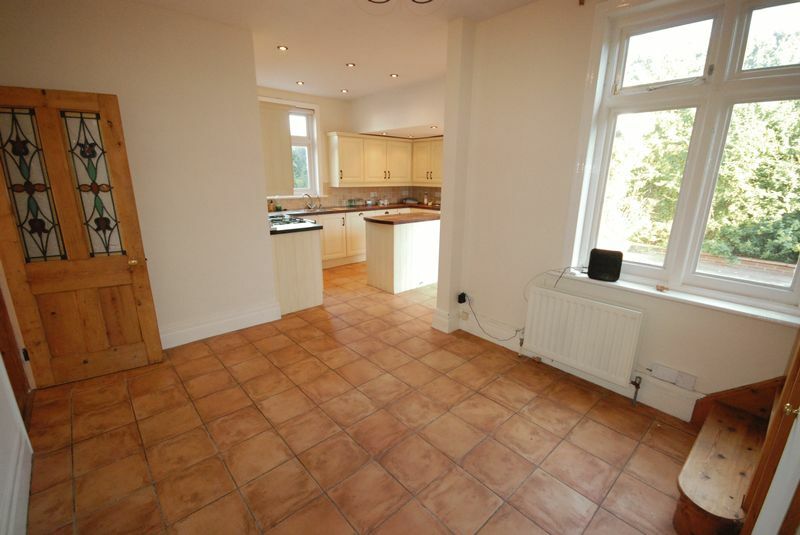 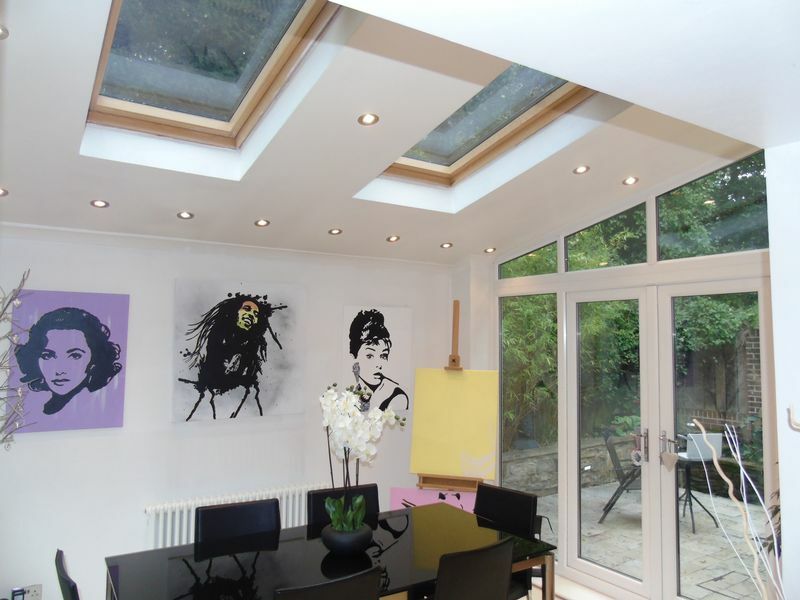 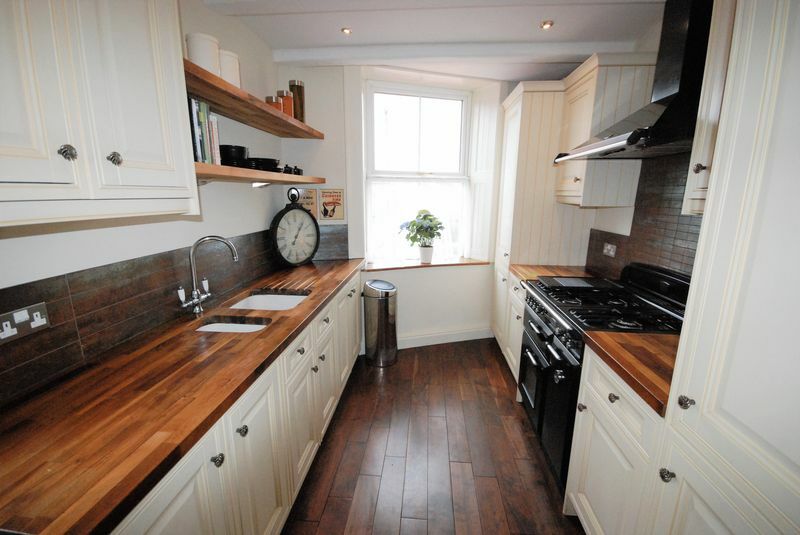 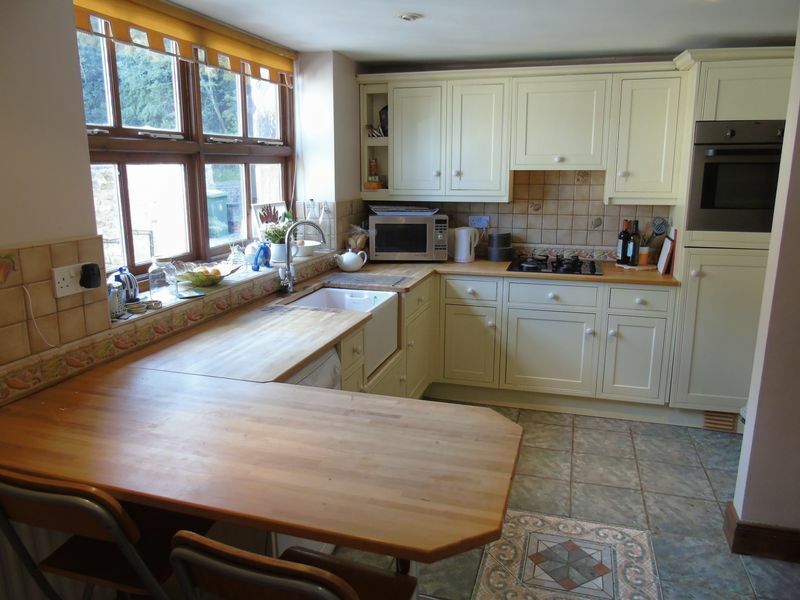 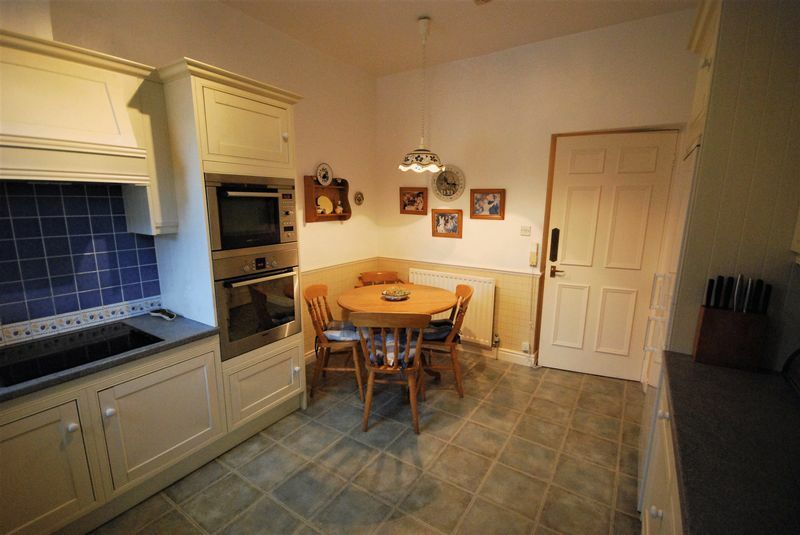 The property comprises of a lounge and kitchen to the ground floor. 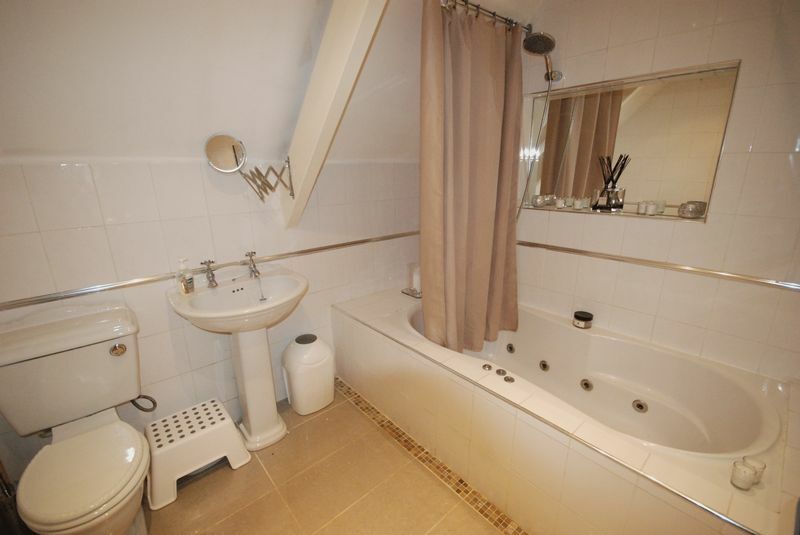 To the first floor there are 2 bedrooms and a bathroom. 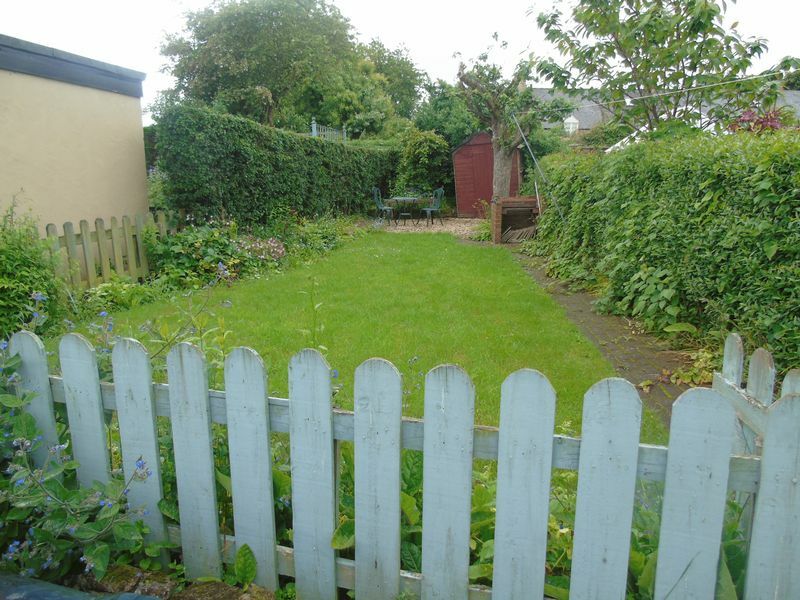 Externally there is a pretty lawned garden and a designated parking space. 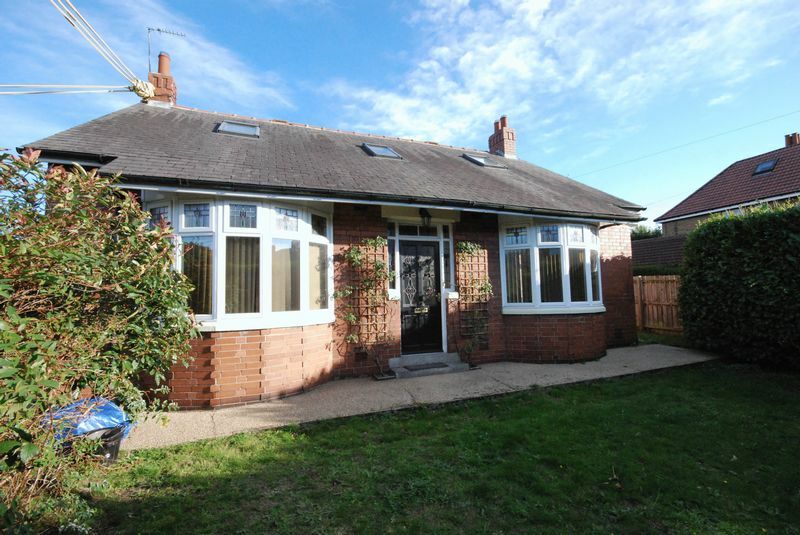 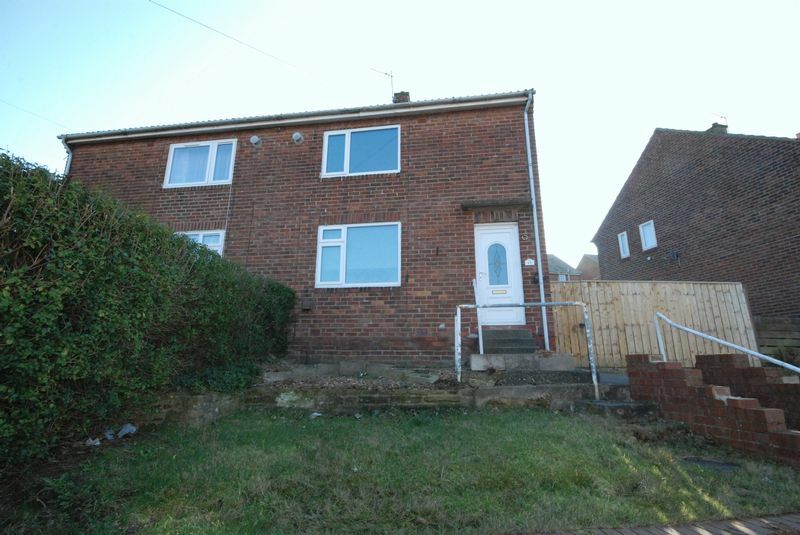 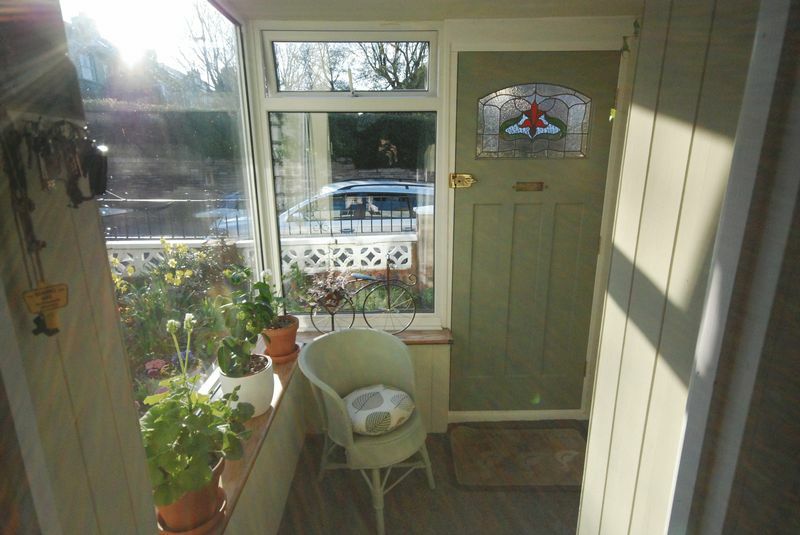 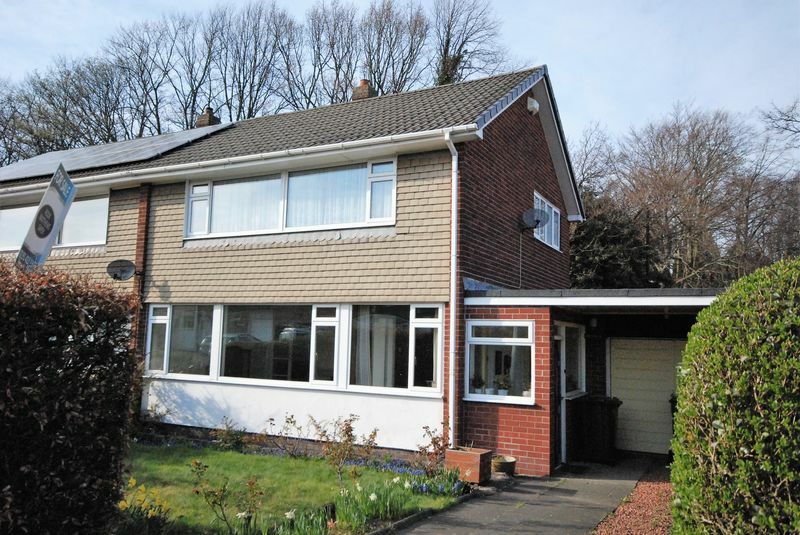 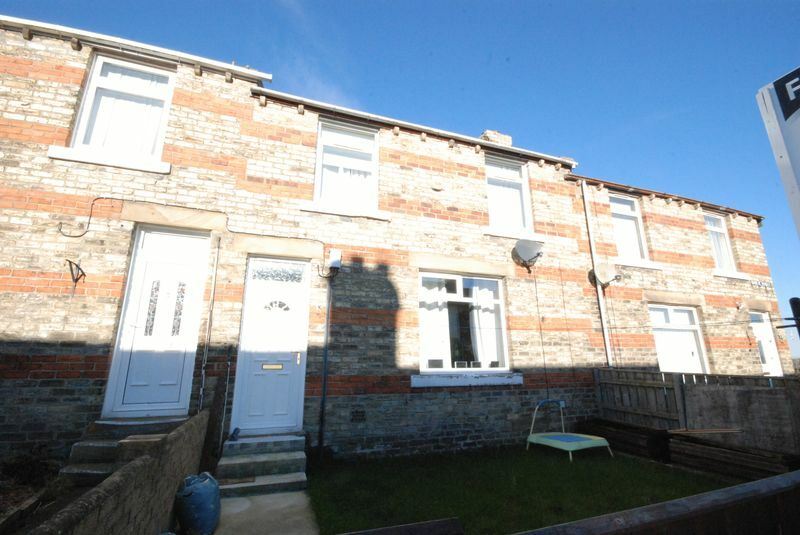 The home has been well maintained and benefits from double glazing and gas fired central heating. 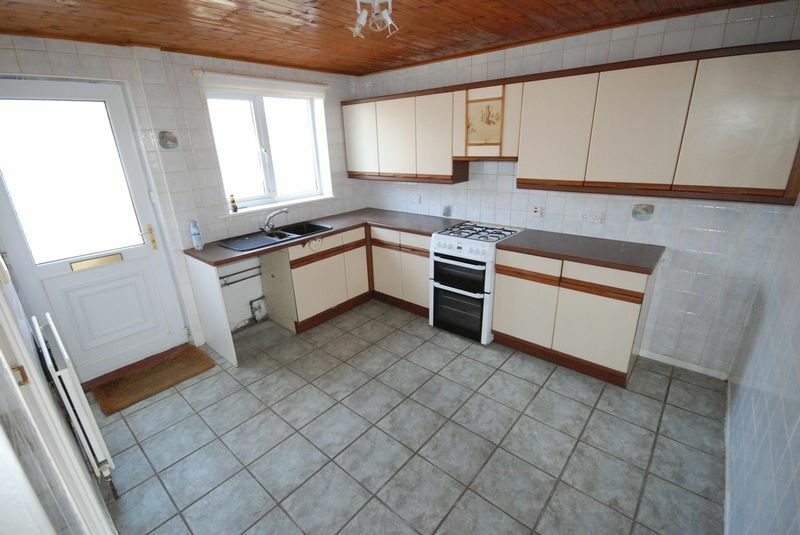 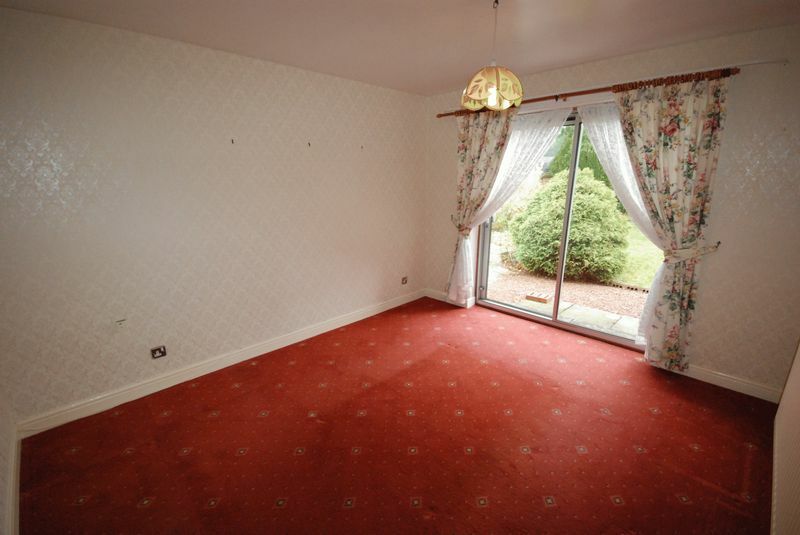 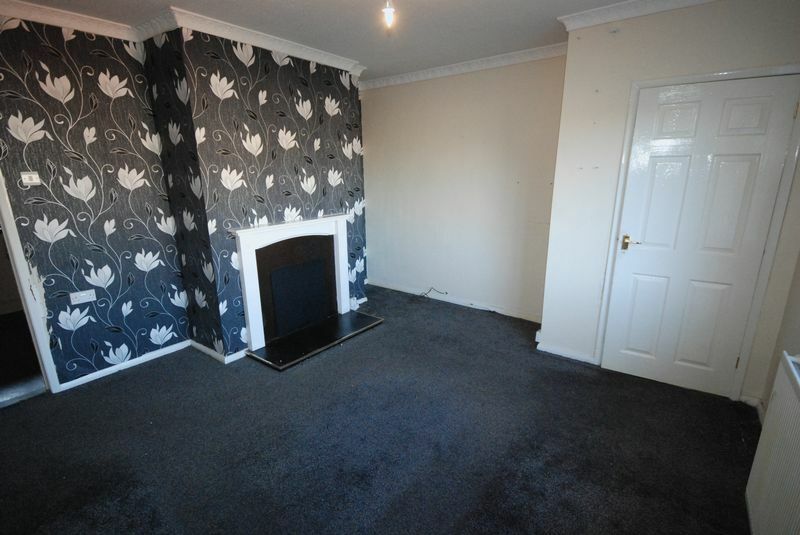 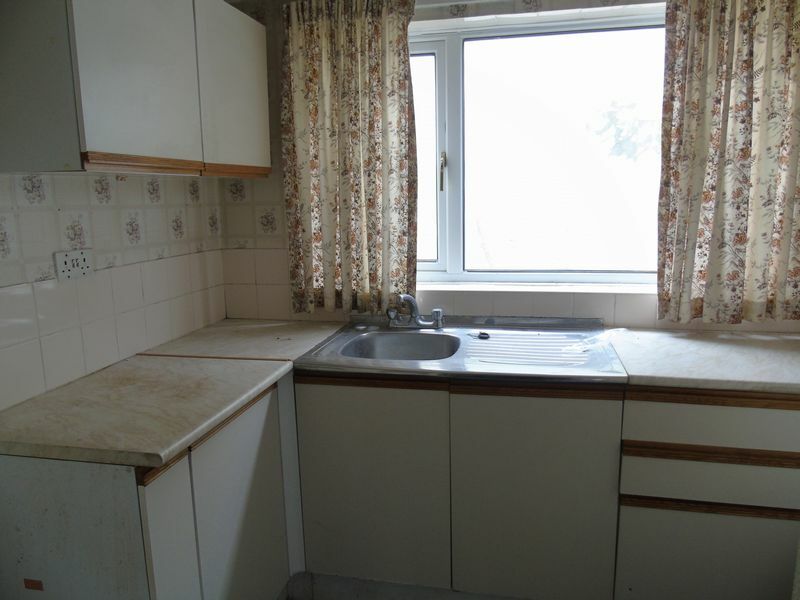 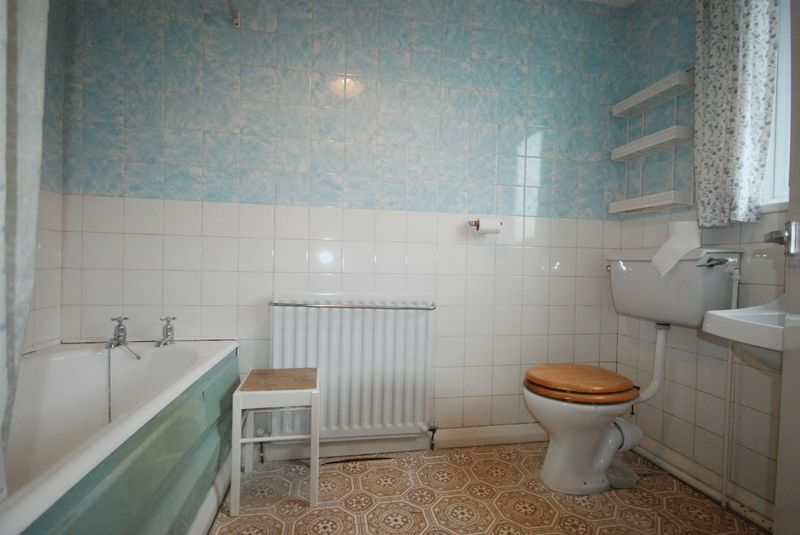 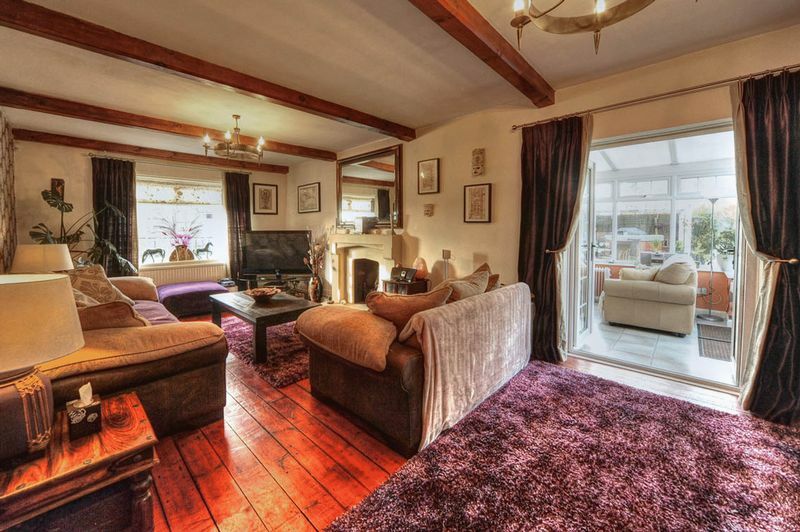 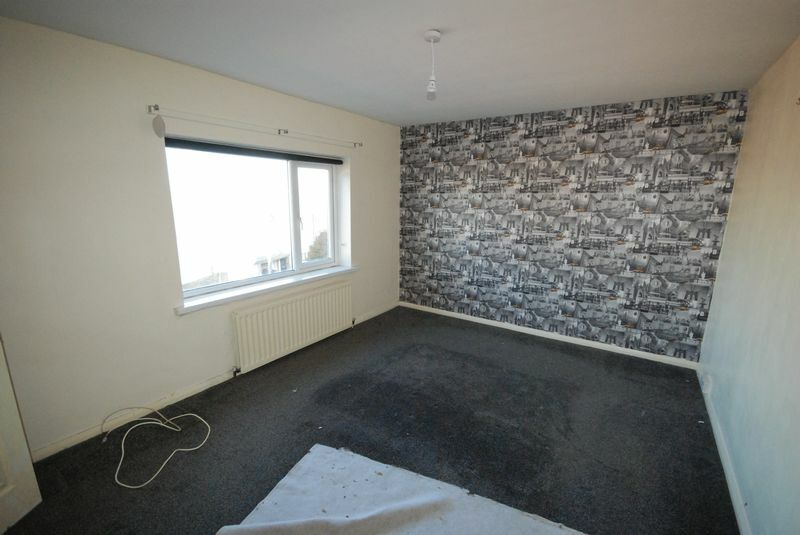 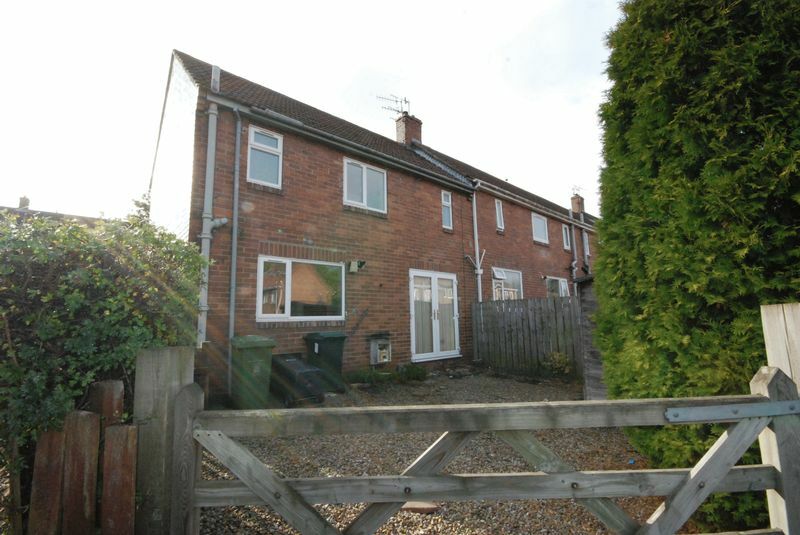 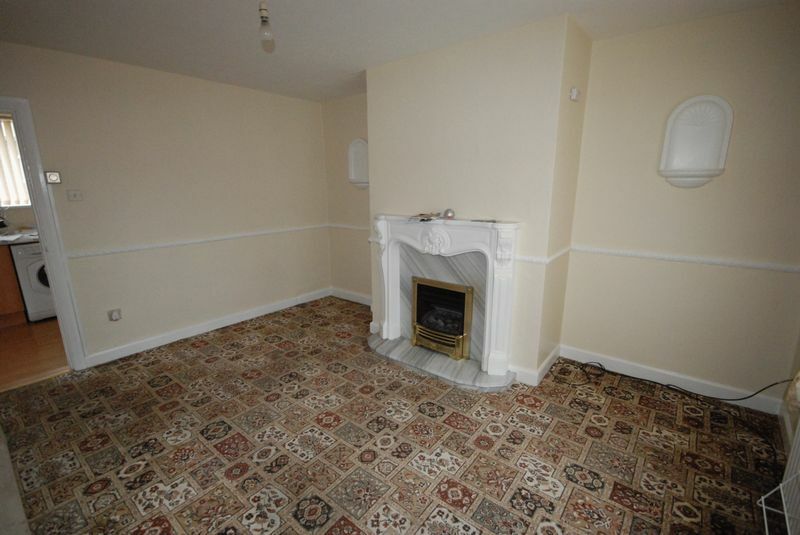 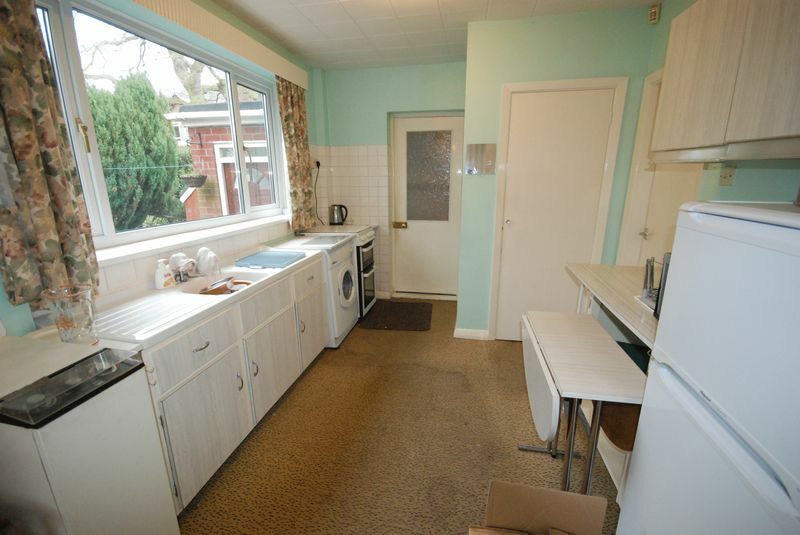 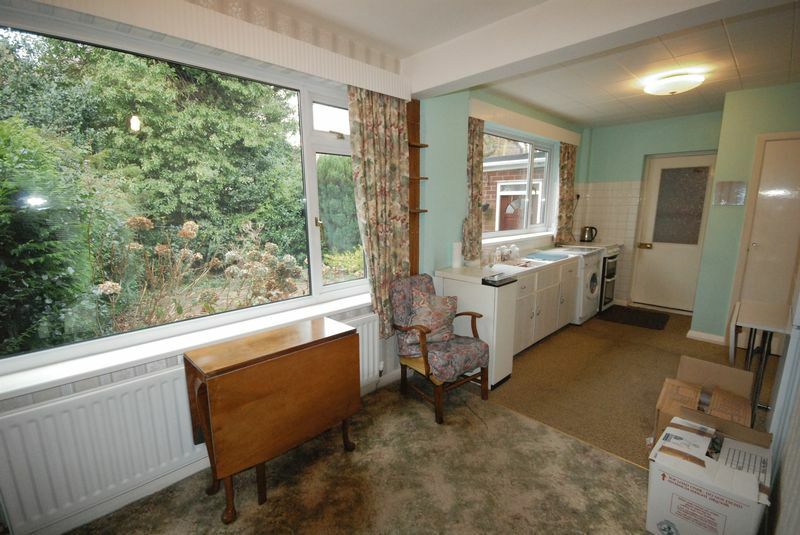 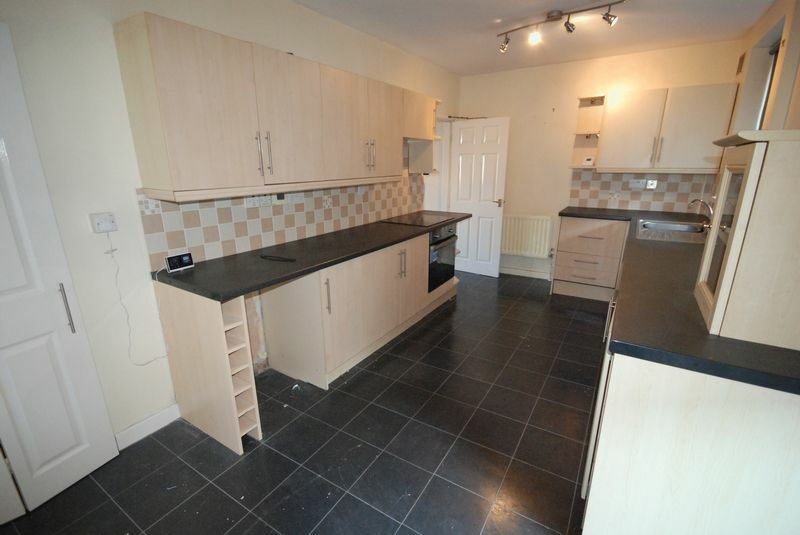 Set in the heart of Ryton this home is in need of some modernisation. 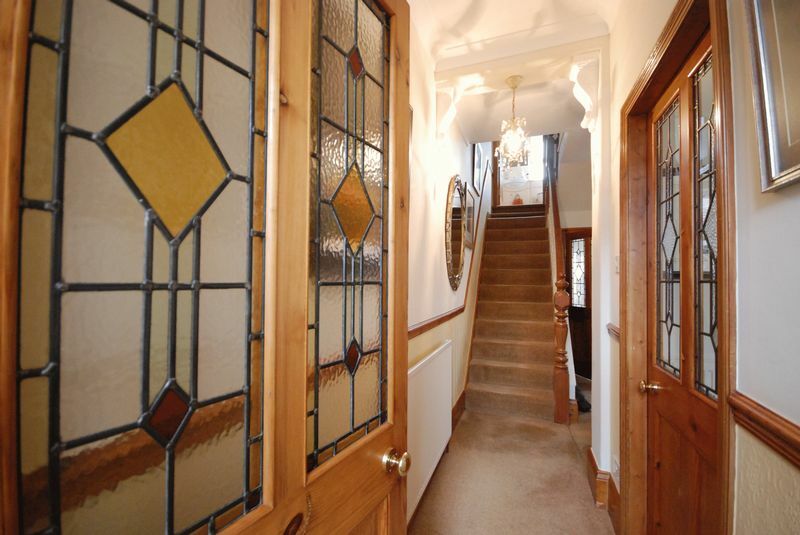 The home comprises an entrance hallway with staircase, 2 formal reception rooms and a kitchen. 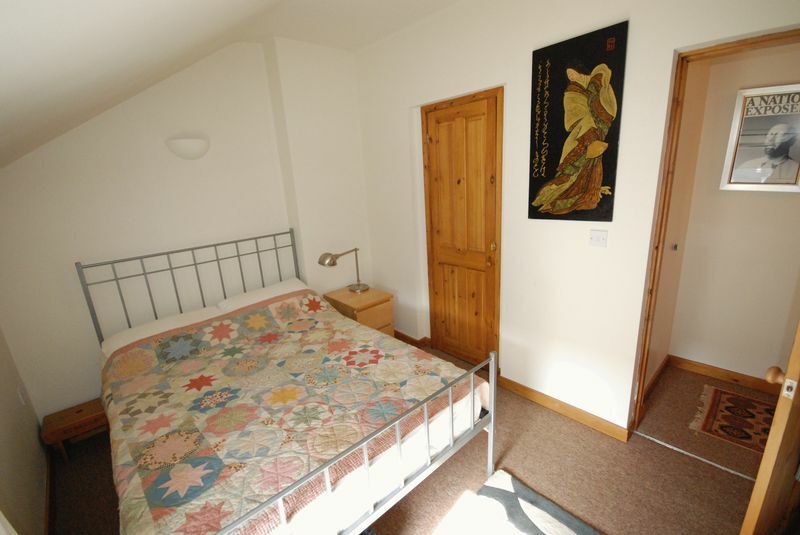 To the first floor there are 2 good size bedrooms and a bathroom. 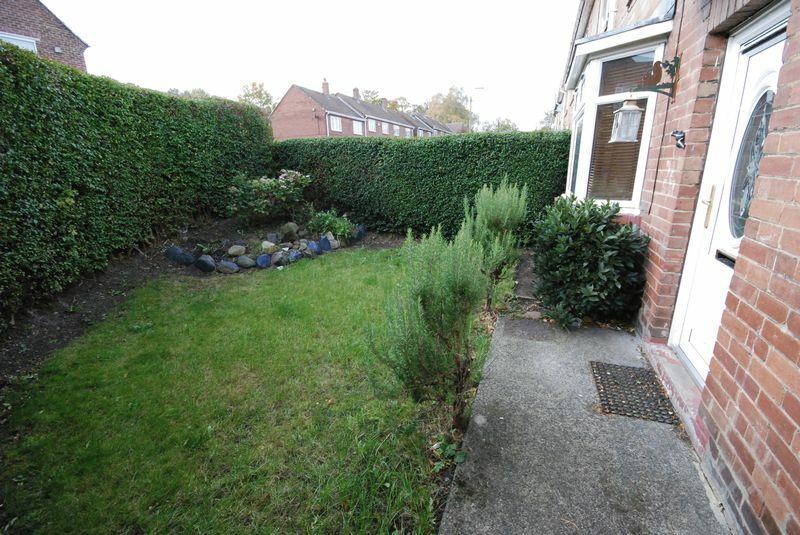 Externally there is a small garden at the front and a walled yard at the rear. 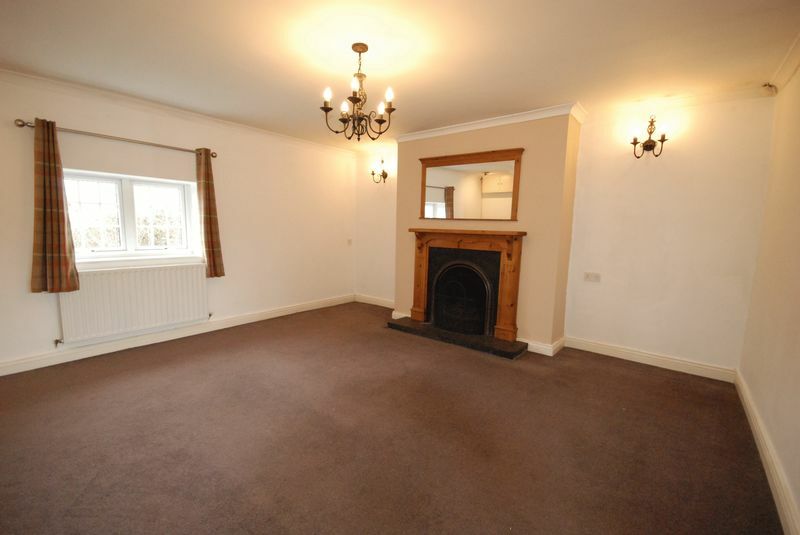 Situated in the idyllic old village of Ryton we are thrilled to offer this fantastic versatile four bedroom upper maisonette to the market. 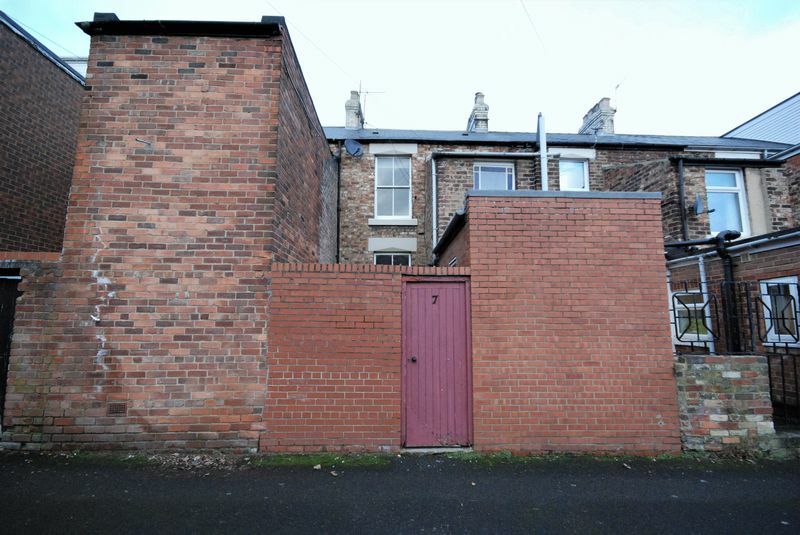 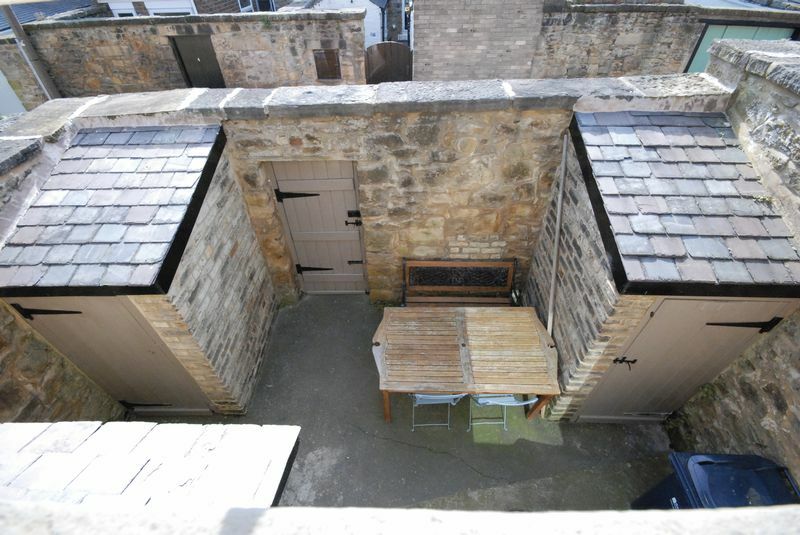 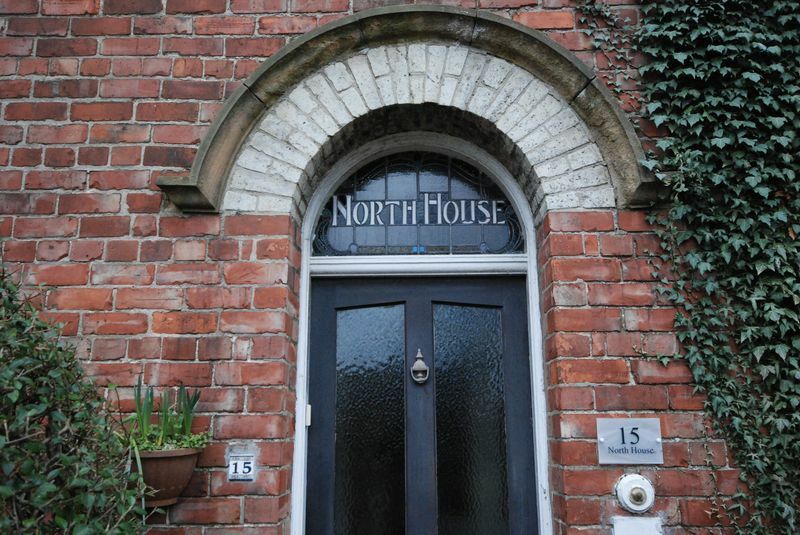 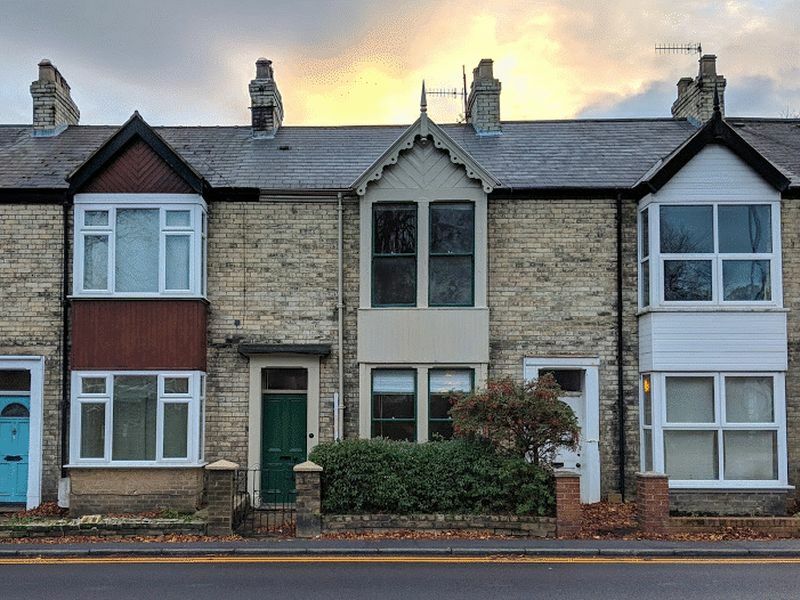 This Grade II listed property retains many original characteristics and features and provides excellent accommodation for someone looking for a unique yet spacious home. 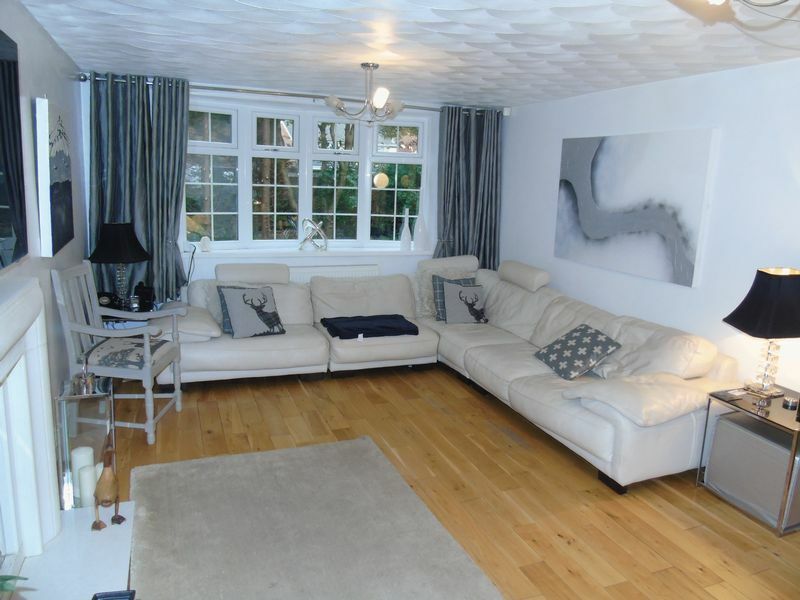 The property briefly comprises of an entrance hall leading to a bright and airy spacious lounge, a formal dining room, a sitting room which has been formally used as an additional bedroom, access to a large breakfasting kitchen with a utility room / workshop attached and a good sized family bathroom. 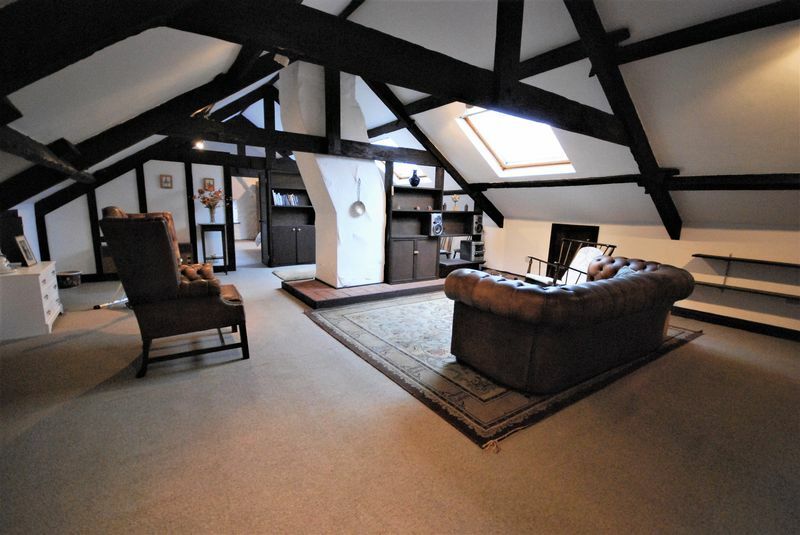 A staircase leading to the top floor comprises a further bedroom leading to a magnificent open space which could be used for a variety of uses currently the space provides a further sitting room and a bedroom with en-suite facilities all accompanied with original beams and ample storage. 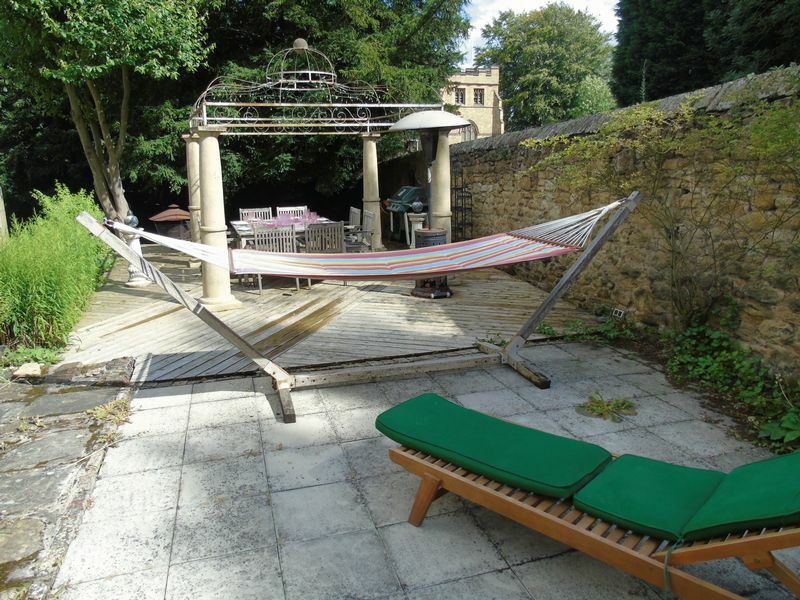 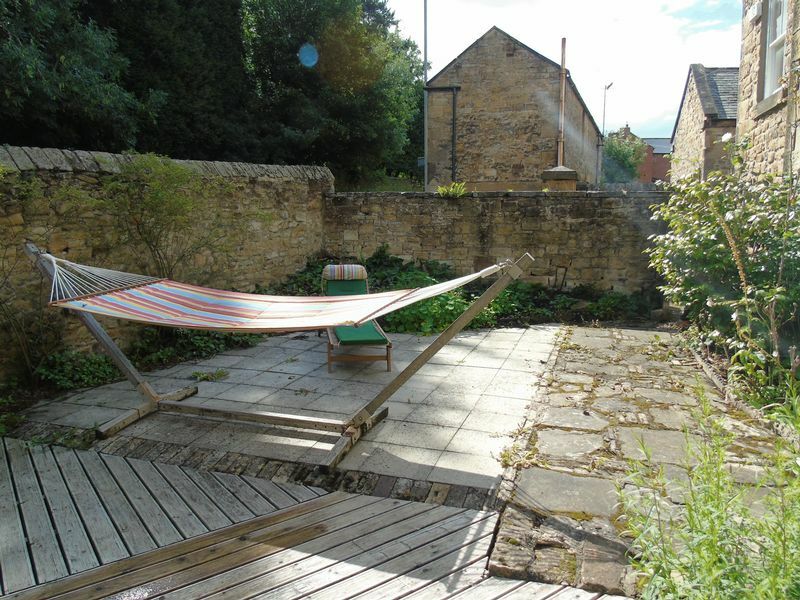 This property benefits from the use of the communal cellar and also the communal grounds. 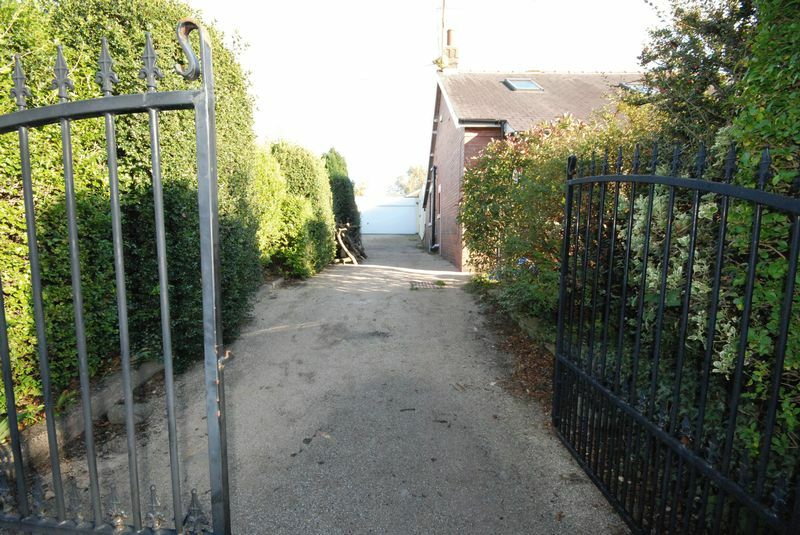 There is private parking to the front of the home. 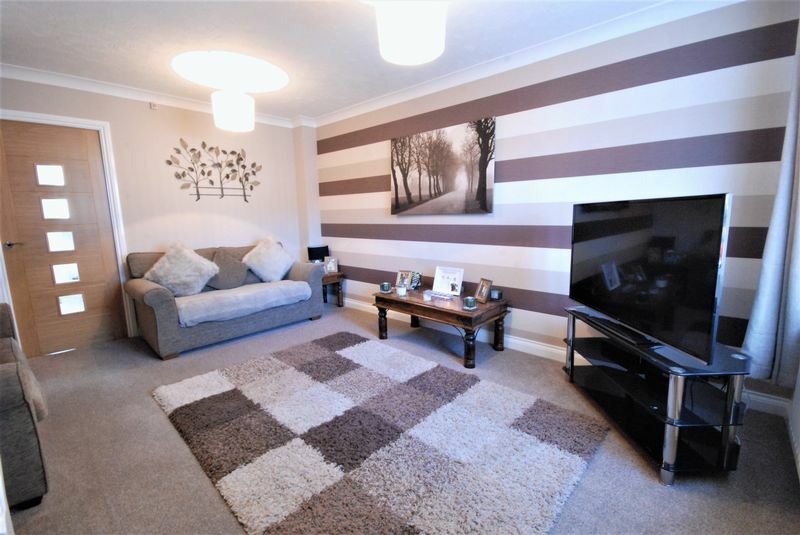 Rook Matthews Sayer are thrilled to offer this beautiful 4 bedroom family home in the heart of Ryton. 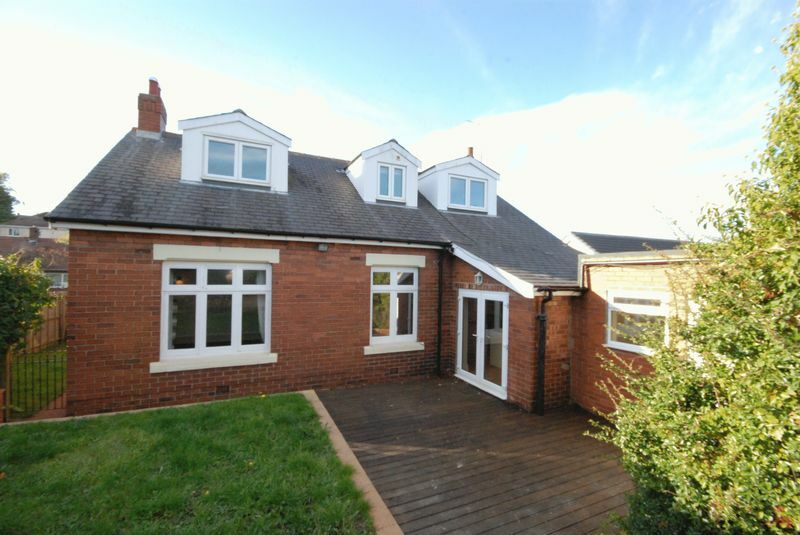 Set at the top of Grange Road on The Mount the home has been significantly upgraded and extended by the current owners. 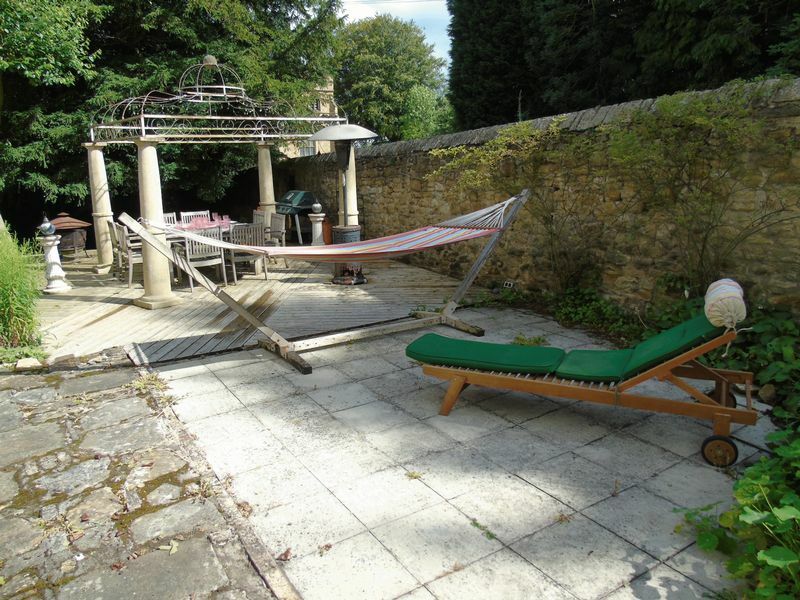 The property briefly comprises of a formal lounge, downstairs W/C , large kitchen diner leading into an Orangery. 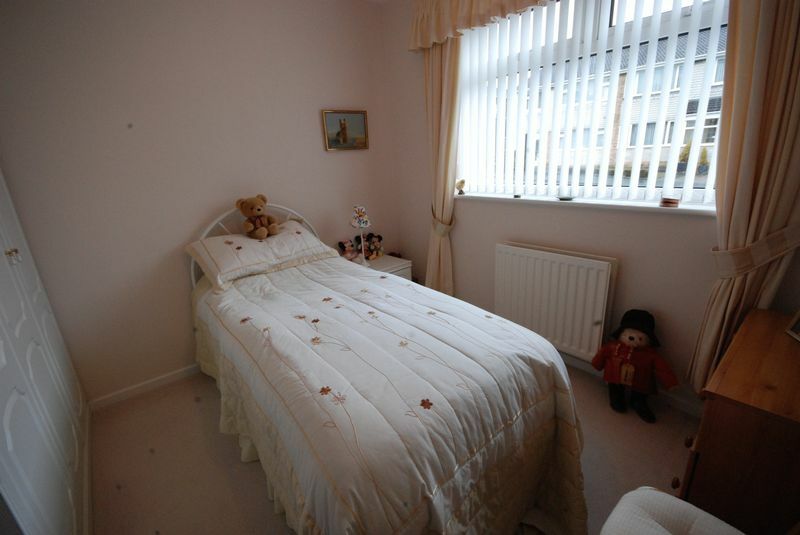 To the first floor there are 4 good size bedrooms and a family bathroom. 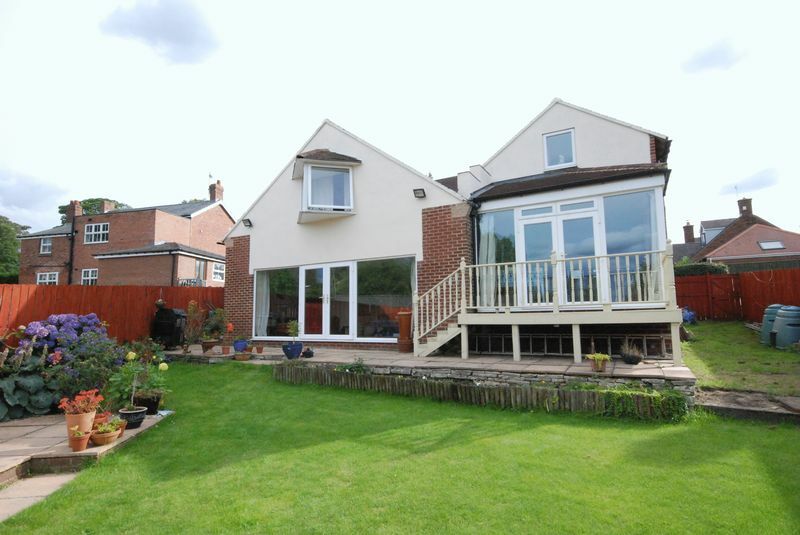 The home benefits from a corner plot with wrap around gardens to the front and side and 2 pretty yards to the rear. 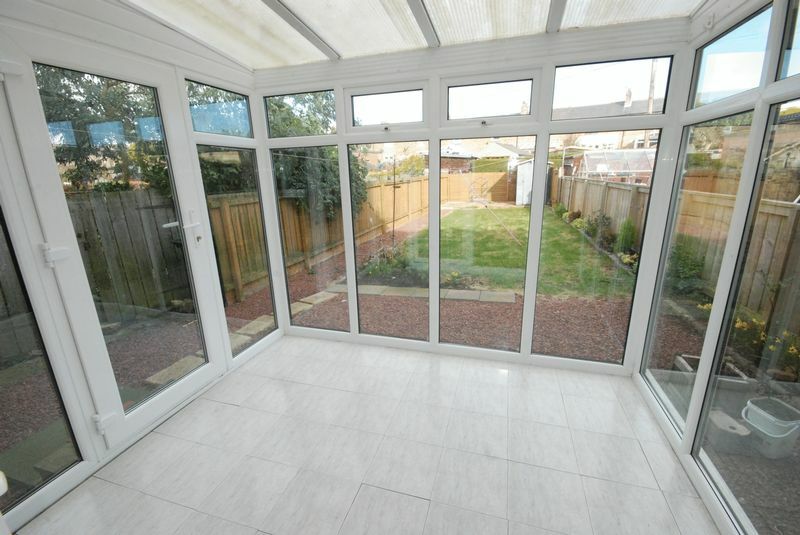 Additional features are a garage, private driveway, double glazing and gas fired central heating. 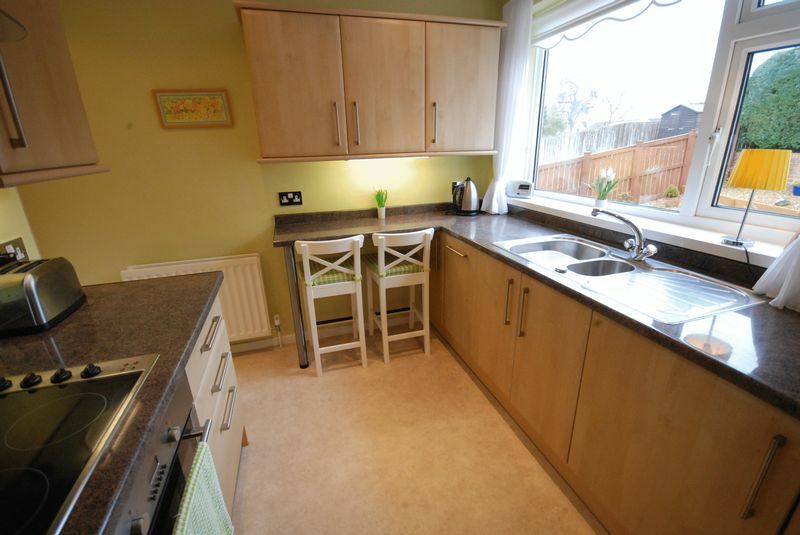 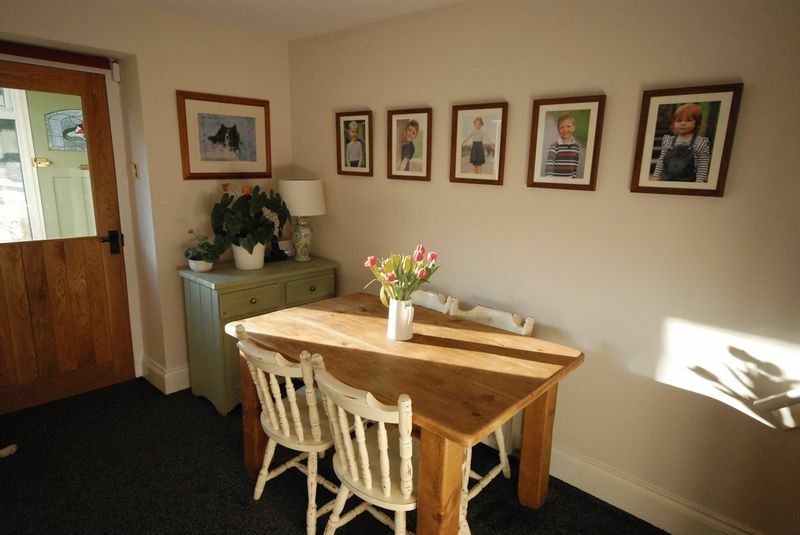 The home is close to all the local amenities, public transport links and feeds into the excellent local schools. 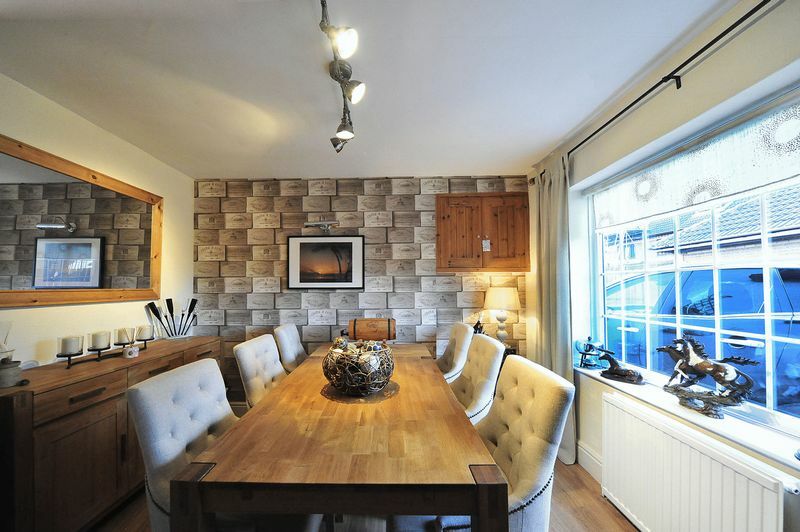 An exceptional family home, viewings are essential. 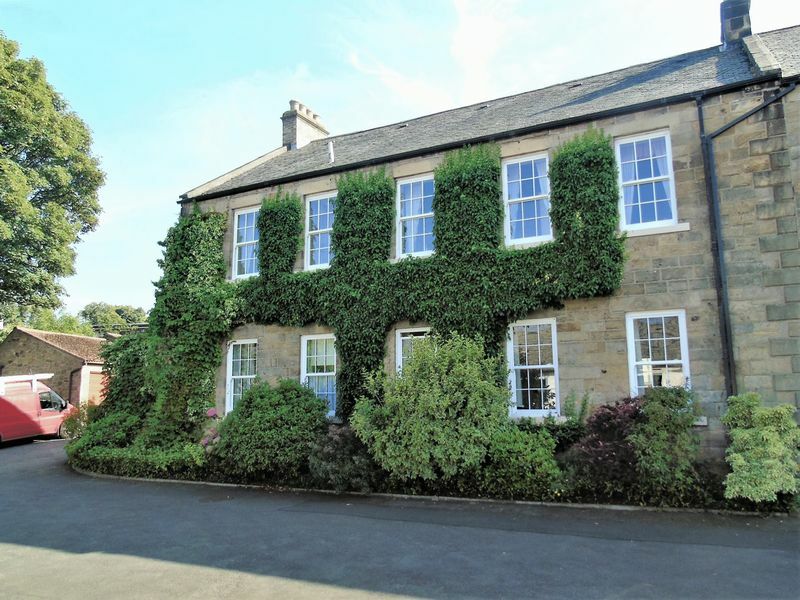 We offer to the market this stunning Grade Two listed four/five bedroom detached house circa 1780 set in its own grounds boasting a double garage, paddock and an investment property within the grounds. 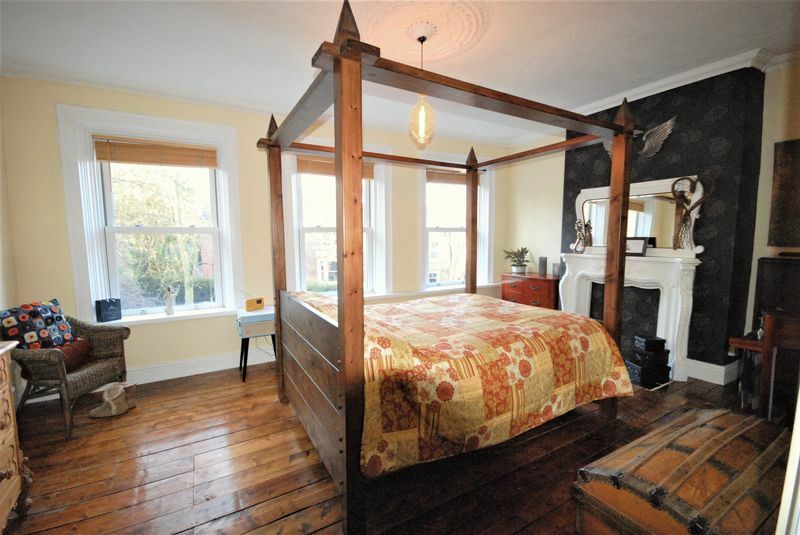 This unique property is bursting with local history and the owner has advised us it was previously a public house, farmhouse, rectory and a pit manager’s house. 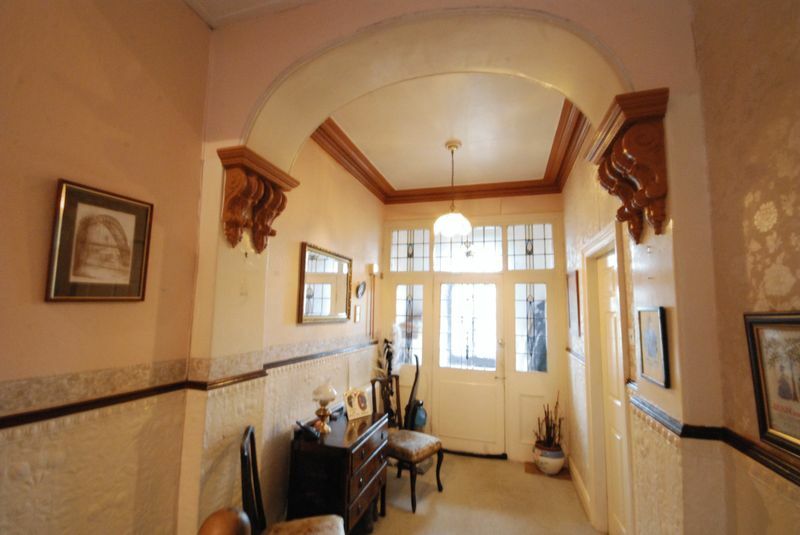 This substantial home has some wonderful period features including magnificent feature fireplaces and an original butler’s pantry complete with meat hooks. 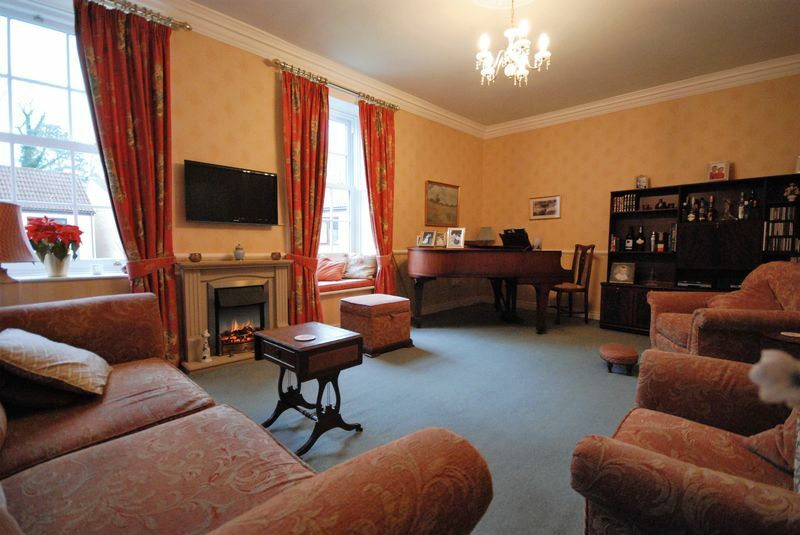 The accommodation briefly comprises of: Entrance lobby leading to inner hall, comfortable lounge with glorious views over the garden, impressive formal dining room and third reception room with access to the patio and outdoor entertaining area. 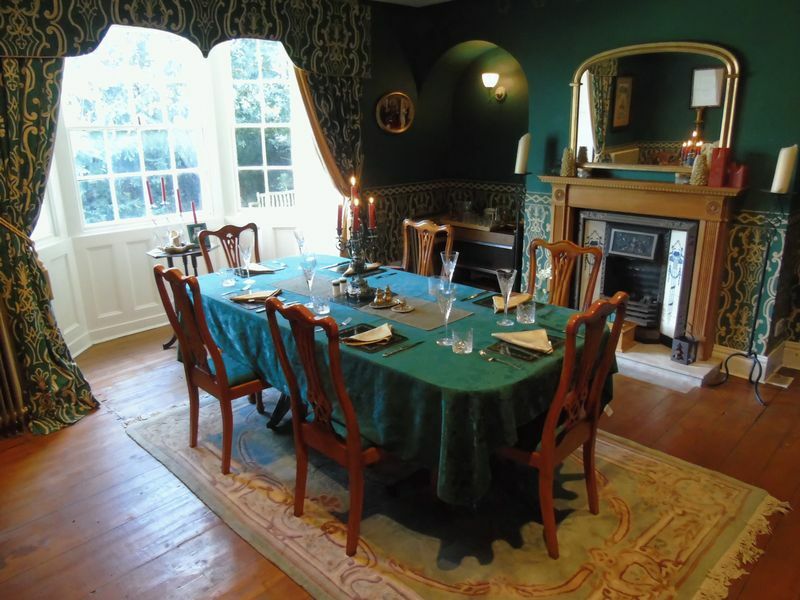 Completing the ground floor is the magnificent breakfasting kitchen with inglenook fireplace, ground floor w.c. utility/boot room, original butlers pantry with meat hooks and access to the lower floor cellar. 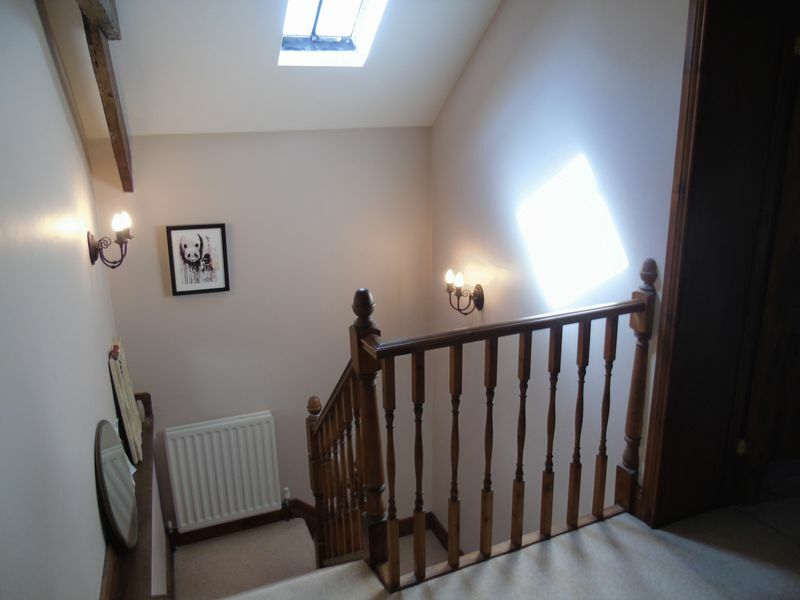 Stairs lead to the first floor landing, generous master bedroom with door to a lovely en-suite, second bedroom open to stylish bathroom and w.c with free-standing roll top bath, shower room also accessed from the landing, additional generous bedroom with access to another bedroom currently being used as a dressing room, family bathroom and fifth bedroom currently being used as a study. 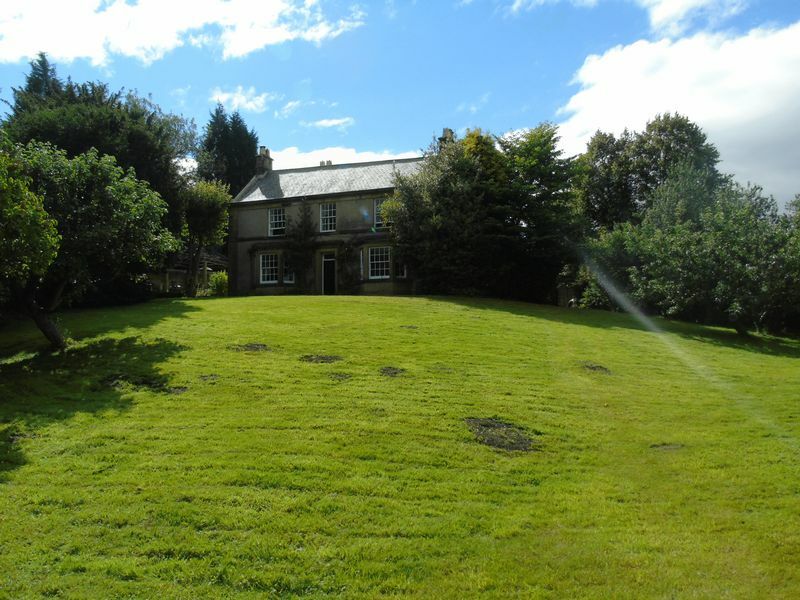 In the grounds of the main house is a lovely Cottage called ‘The Coach House’ which is currently being rented out for £550 pcm. 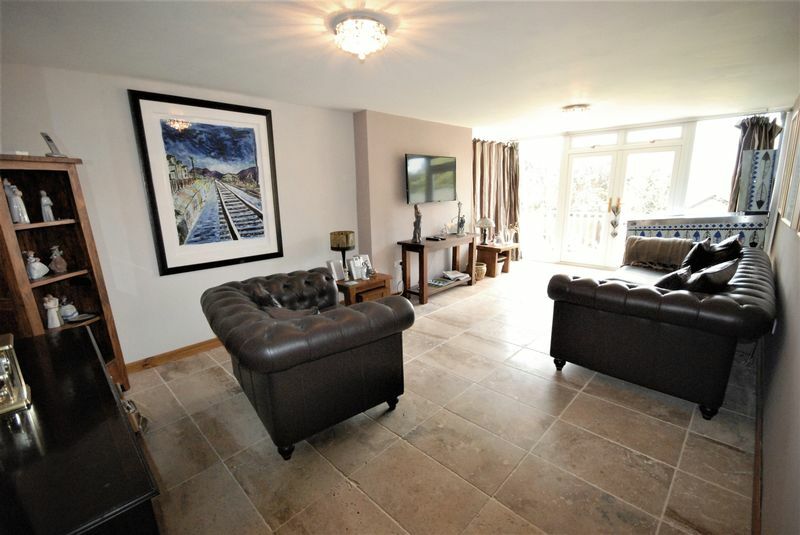 The Coach House briefly comprises of: Entrance lobby, dual aspect lounge open to modern fitted kitchen with breakfast bar, ground floor w.c, stairs to first floor landing, stylish family bathroom and master bedroom. 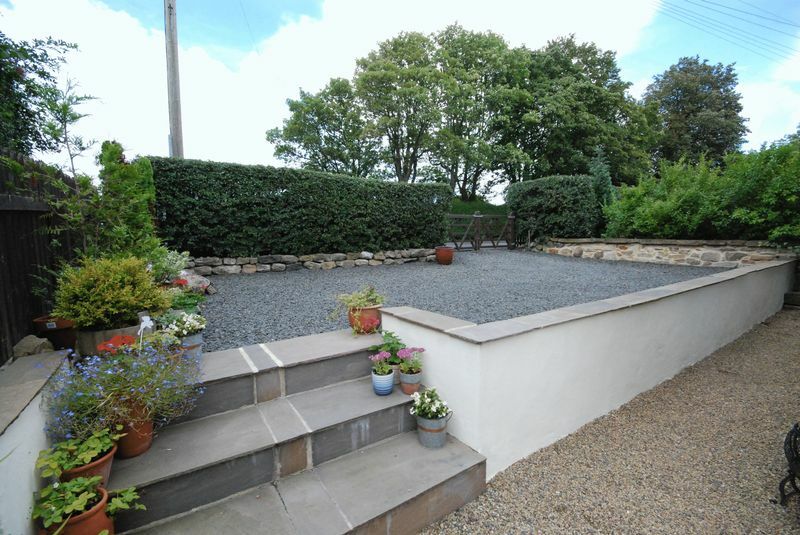 Externally High Hedgefield House has a substantial driveway, detached double garage, outside w.c, patio/entertaining area, generous mature walled garden, orchard, woodland and paddock. 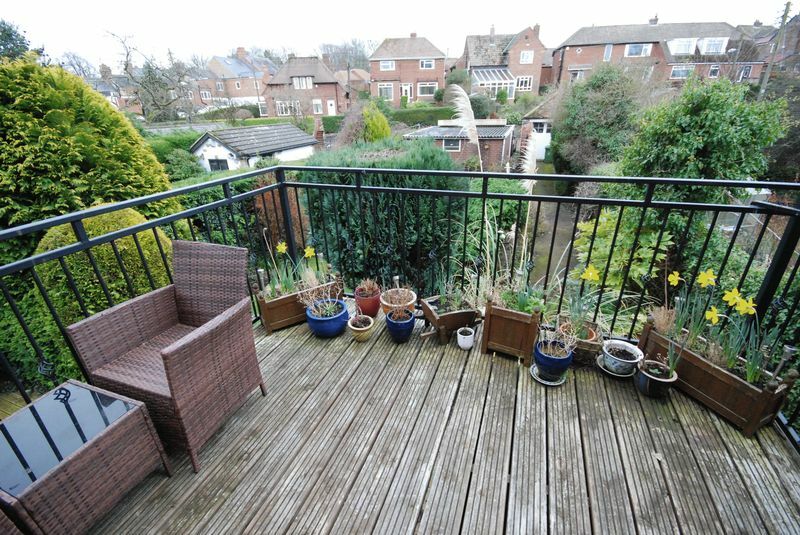 This wonderful property absolutely must be viewed to fully appreciate the size and standard of accommodation on offer. 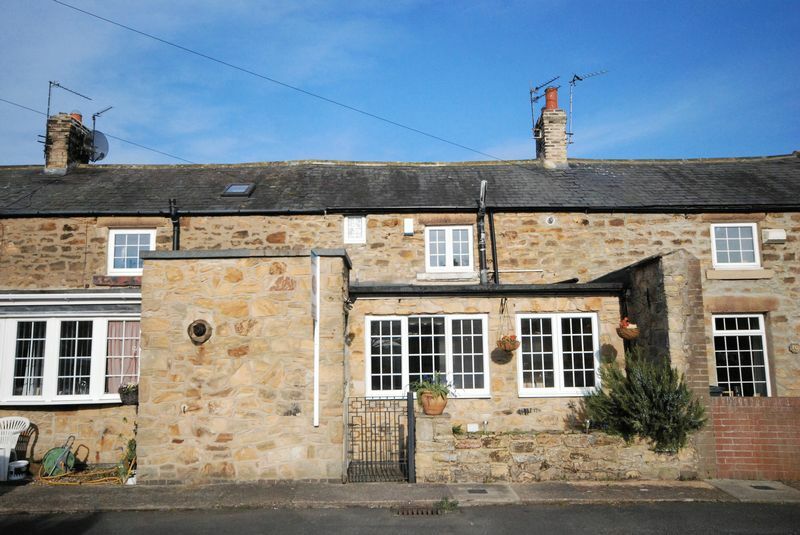 We offer to the market this stunning three bedroom detached cottage conveniently located in Barmoor. 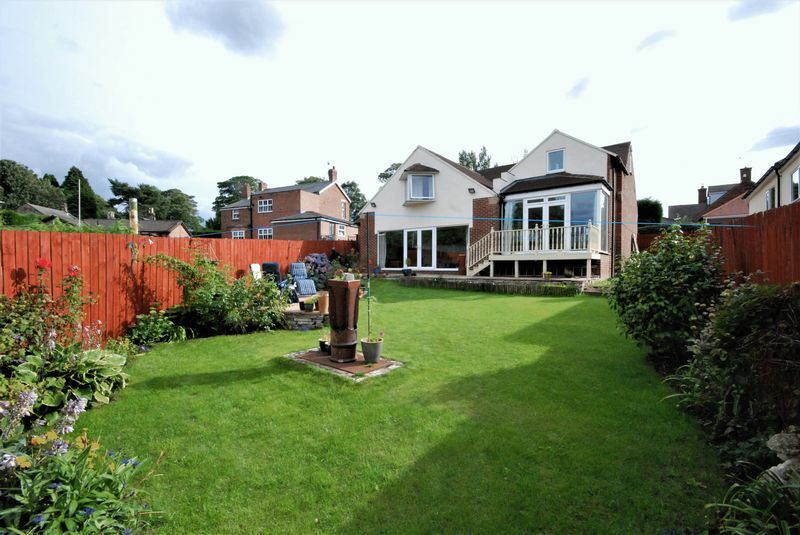 This beautifully presented property boasts superb features and occupies a generous plot with detached garage and ample parking. 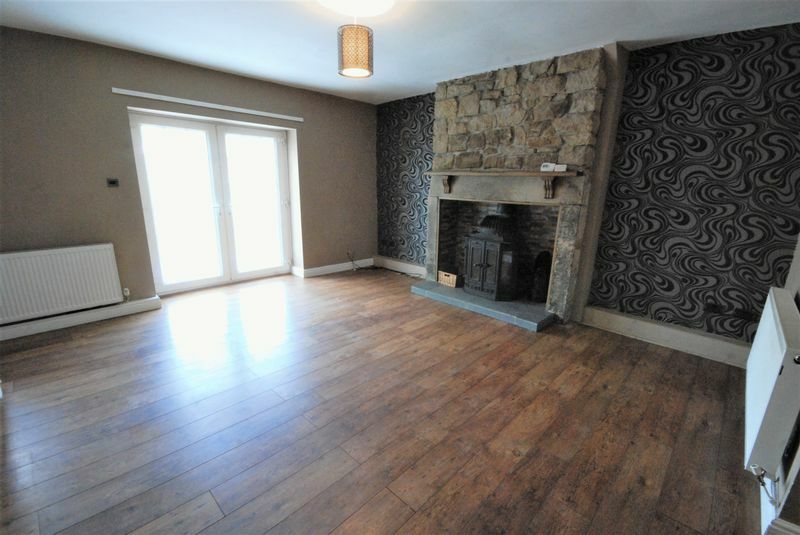 Accommodation briefly comprises of: Stylish fitted kitchen with French doors to the dining room, inner hallway, contemporary family bathroom, striking 22 foot lounge with feature fireplace and traditional beams to the ceiling, conservatory leading to the garden, master bedroom with en-suite shower room and a further two bedrooms. 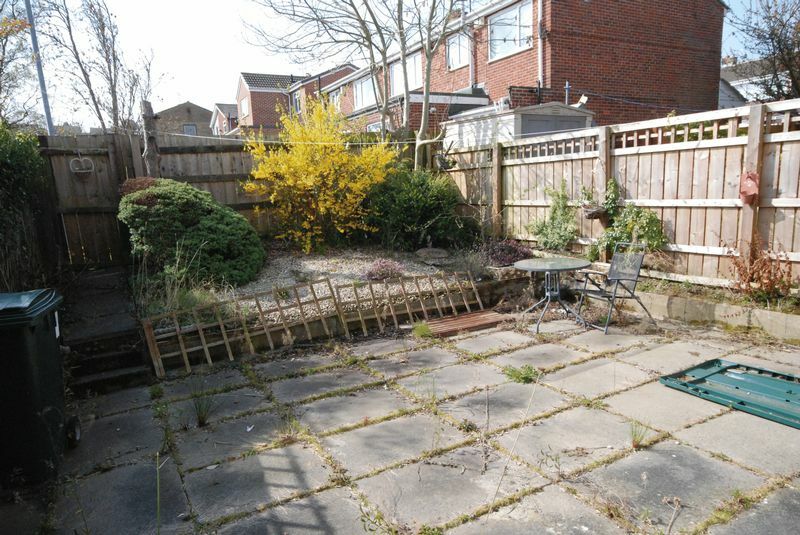 Externally there is a well maintained enclosed garden with patio, decking area, outside light and power, drive with parking for several cars and large detached garage. 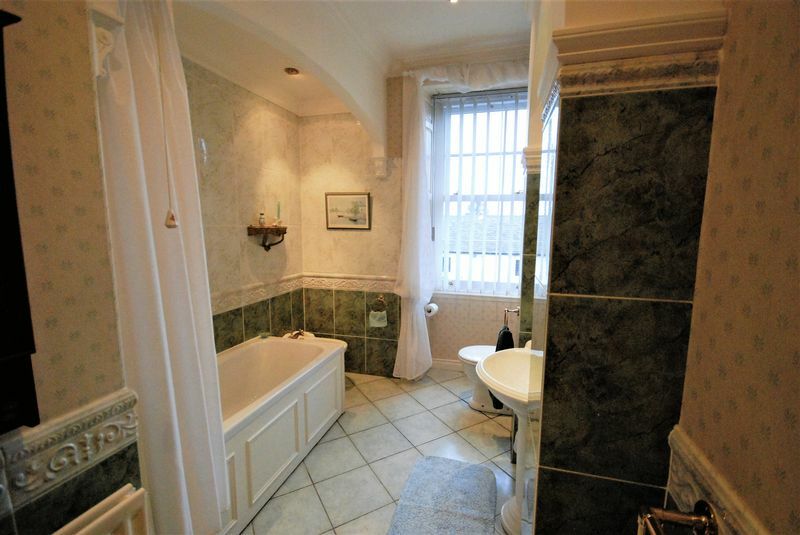 Viewing is absolutely essential to fully appreciate this unique property. 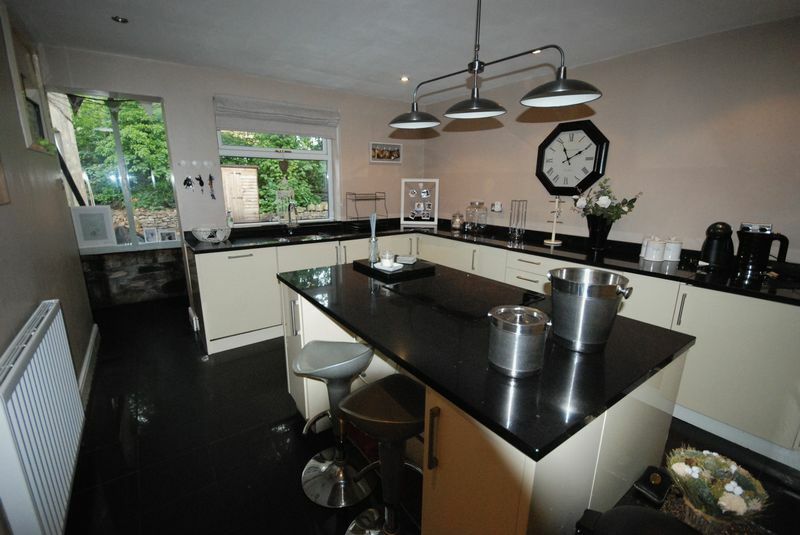 This five bedroom detached property must be viewed internally to appreciate both the size and quality of the accommodation on offer. 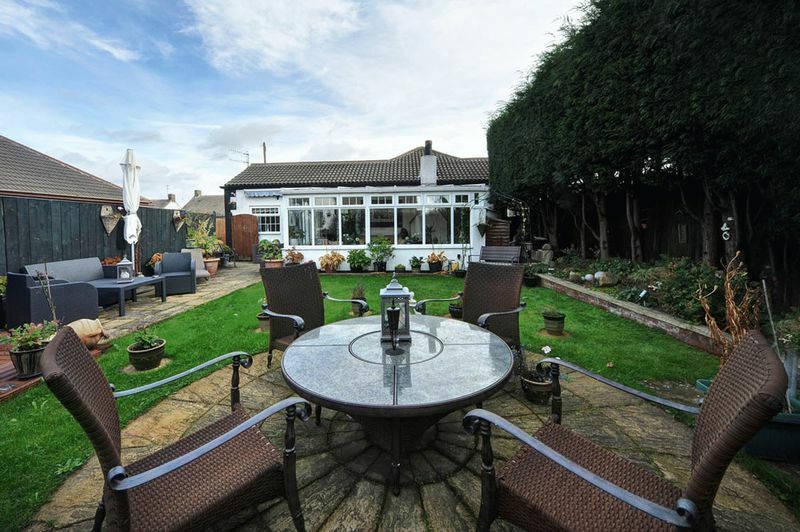 The property boasts a range of features which includes a separate living area leading from the main house to the rear of the property, stripped wood floors, mature gardens and driveway providing ample parking leading to a double garage. 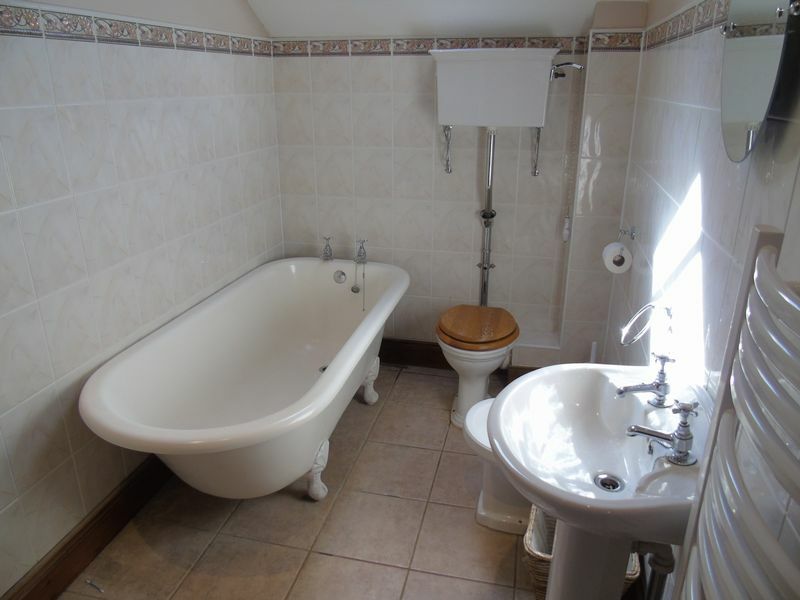 The accommodation to the main house which is split over two floors comprises: lounge, dining room, breakfast room which is open to the kitchen, utility room, three bedrooms, family bathroom and shower room. 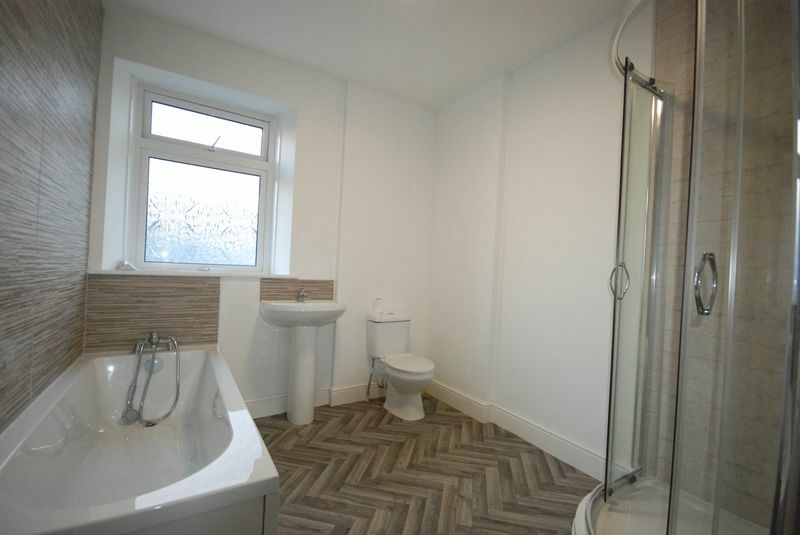 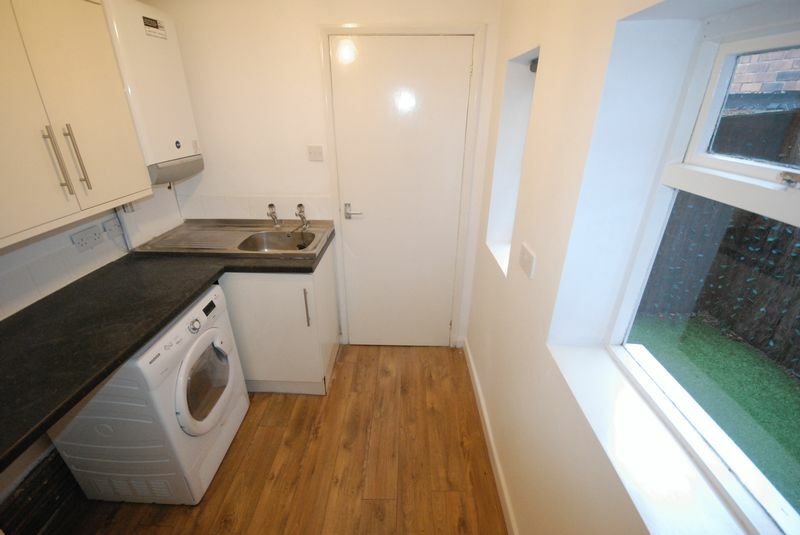 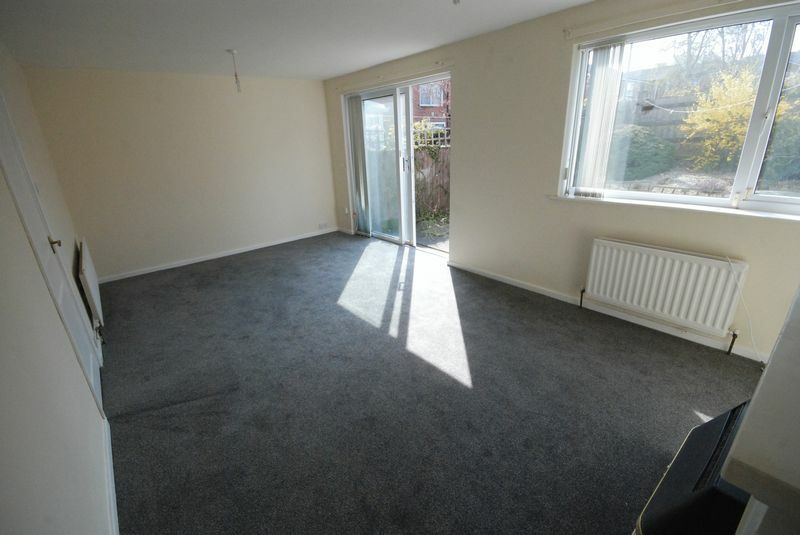 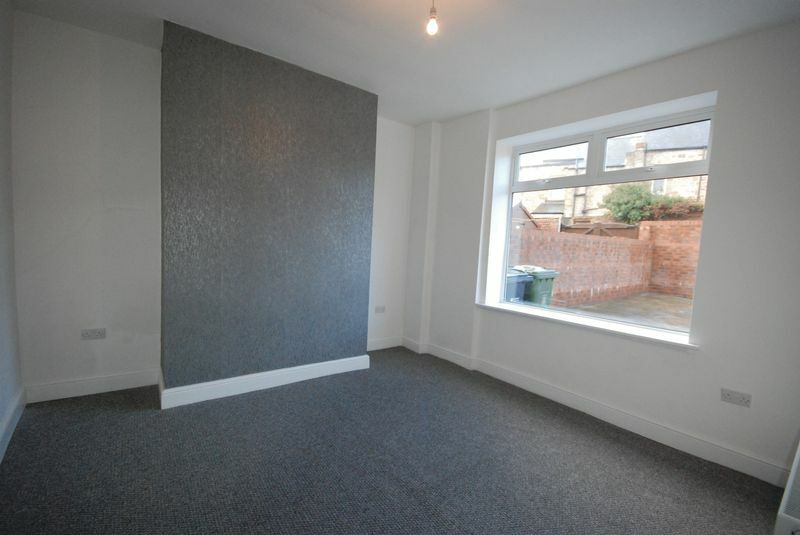 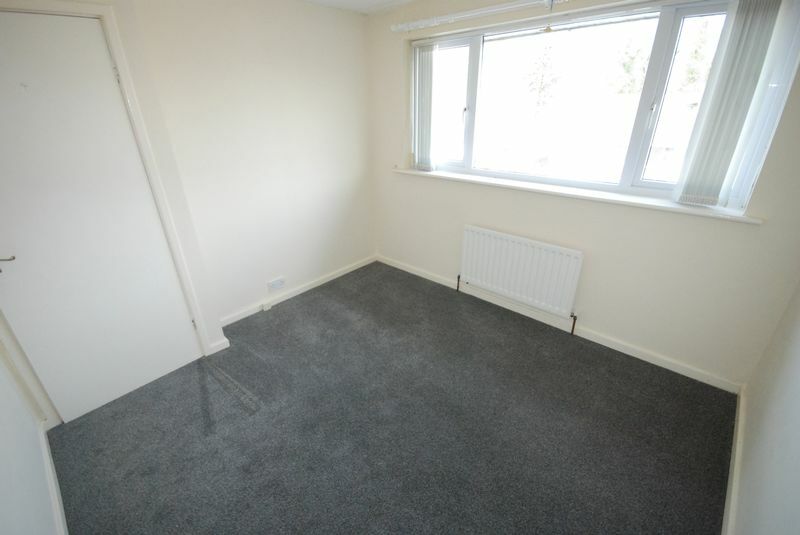 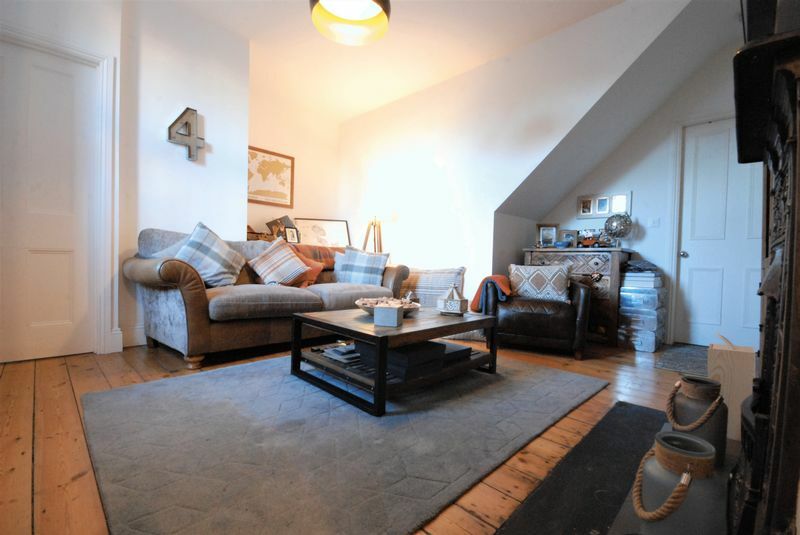 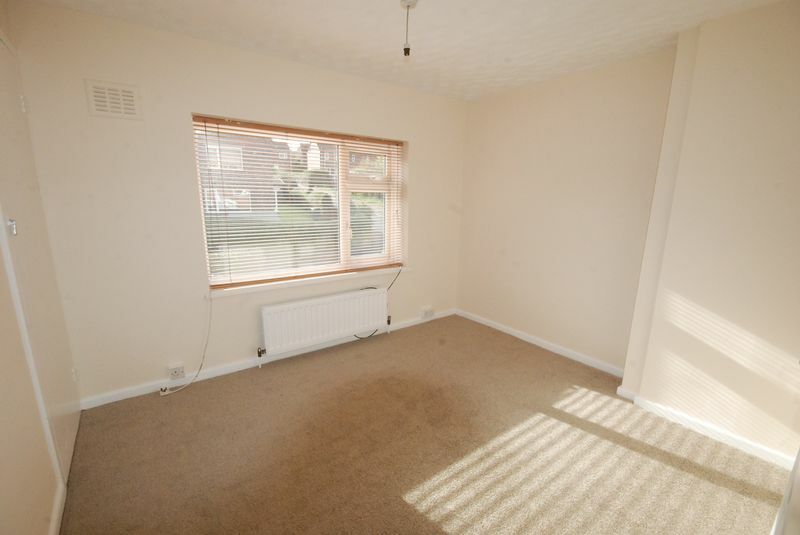 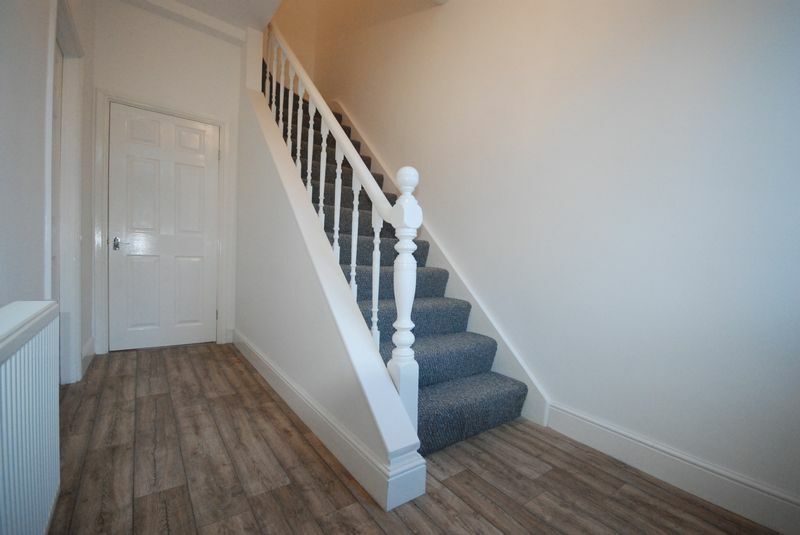 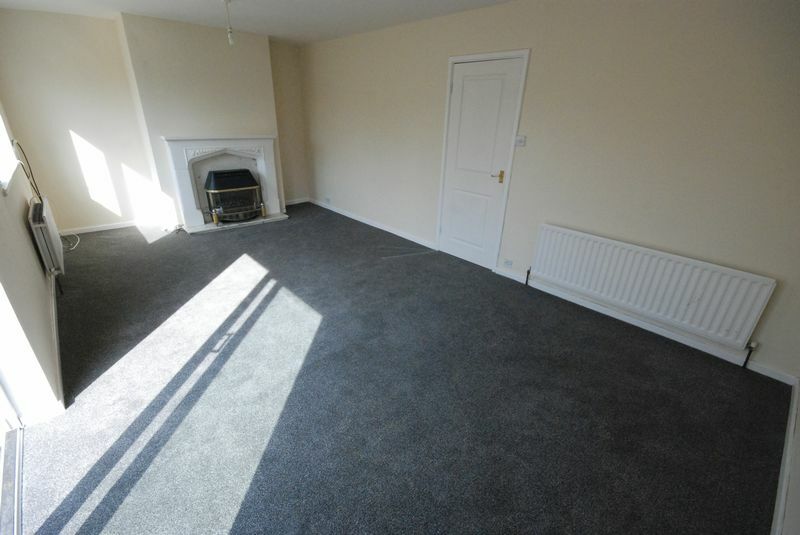 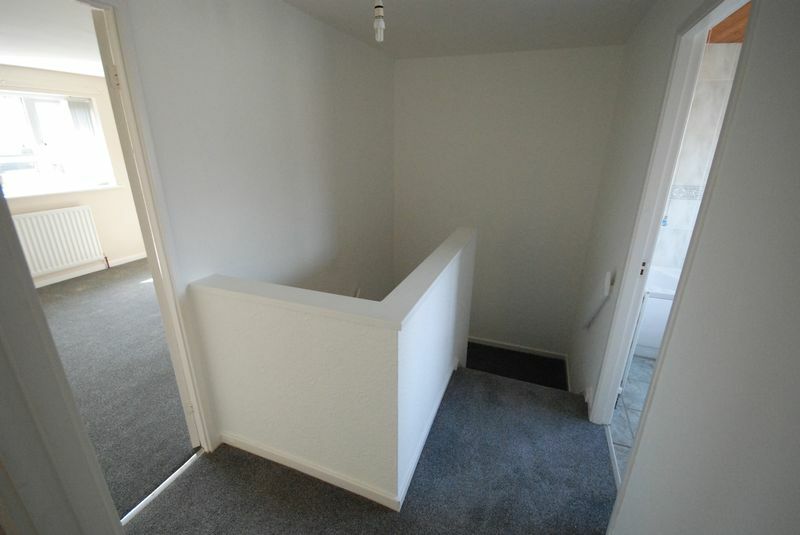 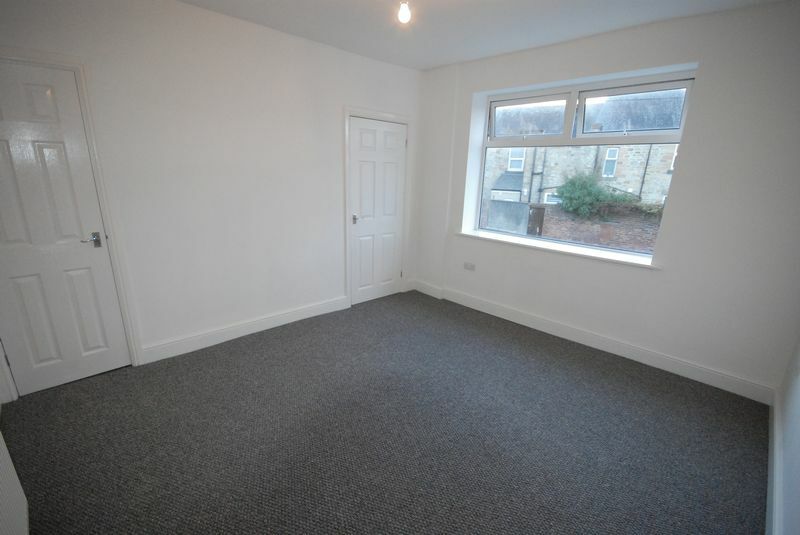 The separate living area which is situated to the rear of the property and is accessed via the utility room, comprises, lounge, two bedrooms and shower room. 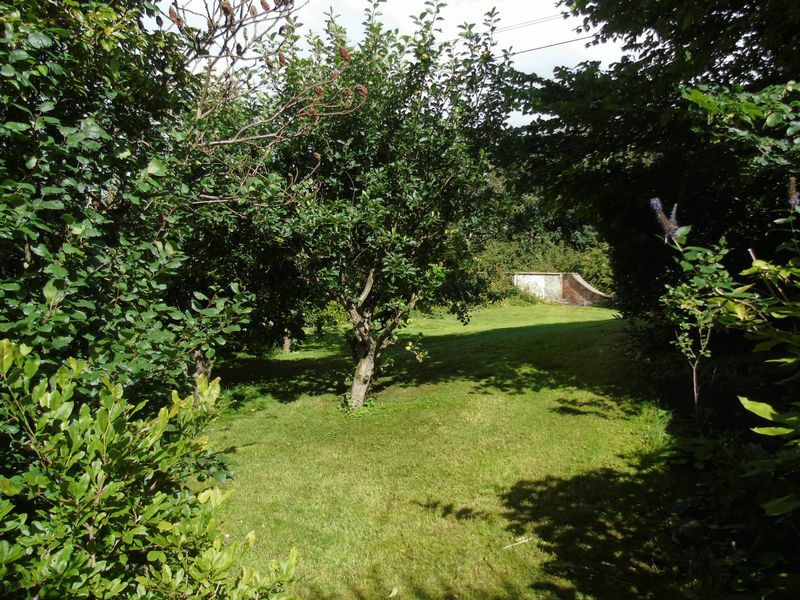 Externally there are mature gardens to three sides which include fruit trees, patio area and summer house.